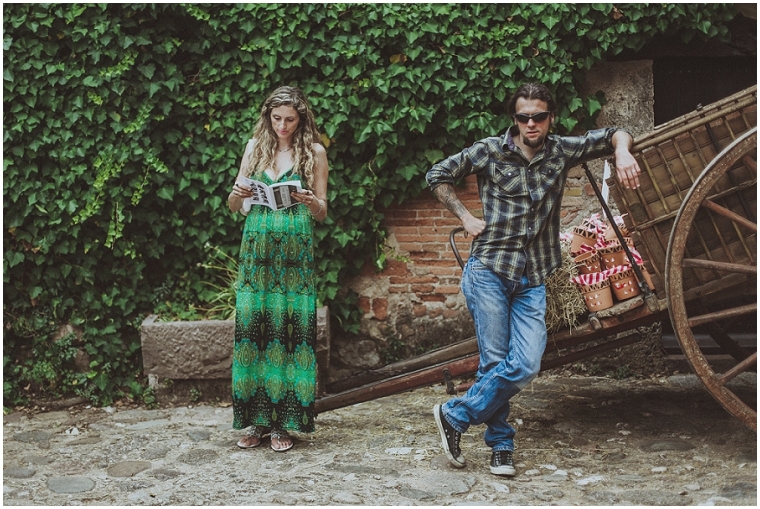 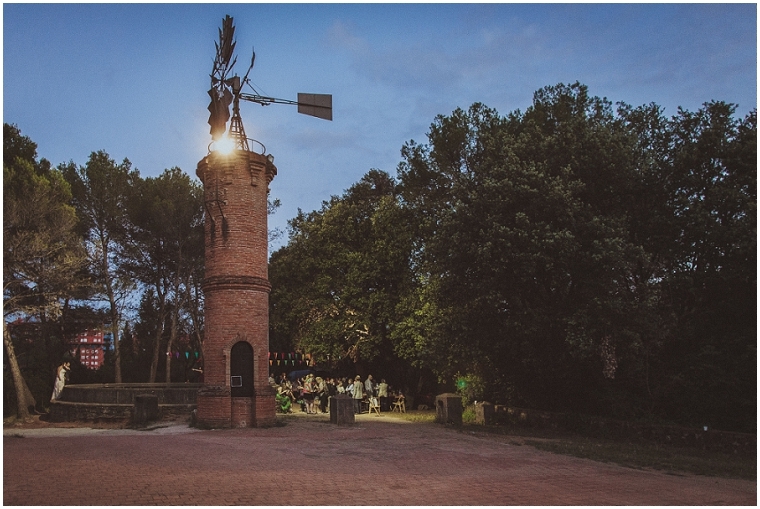 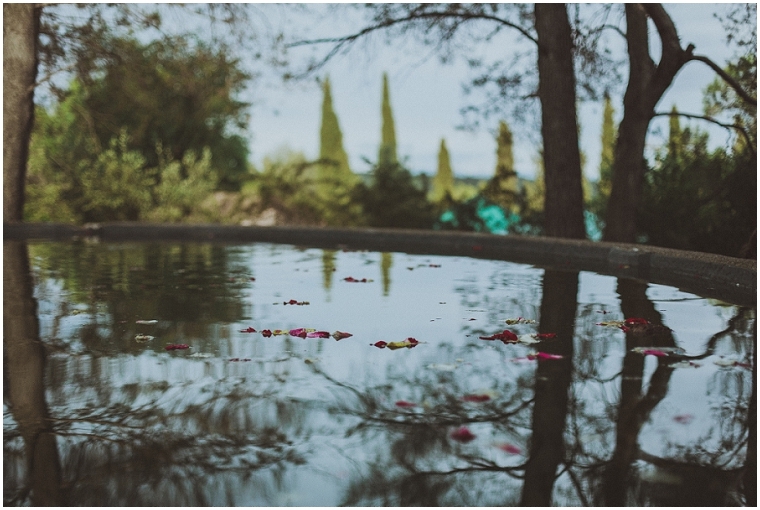 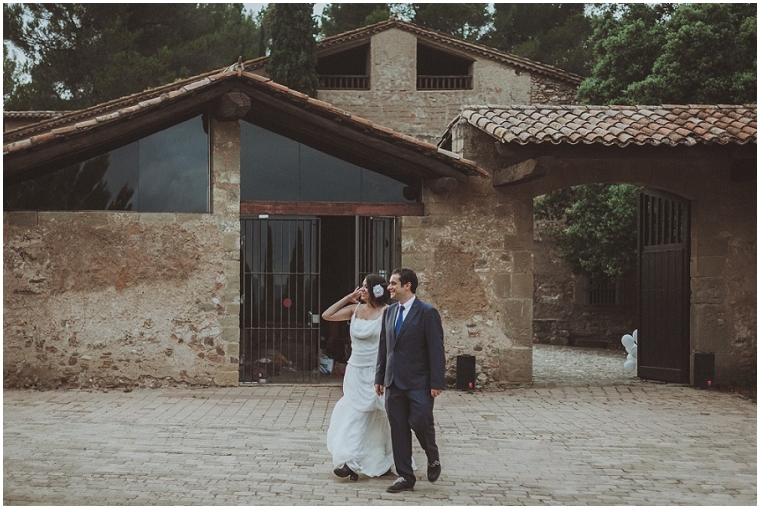 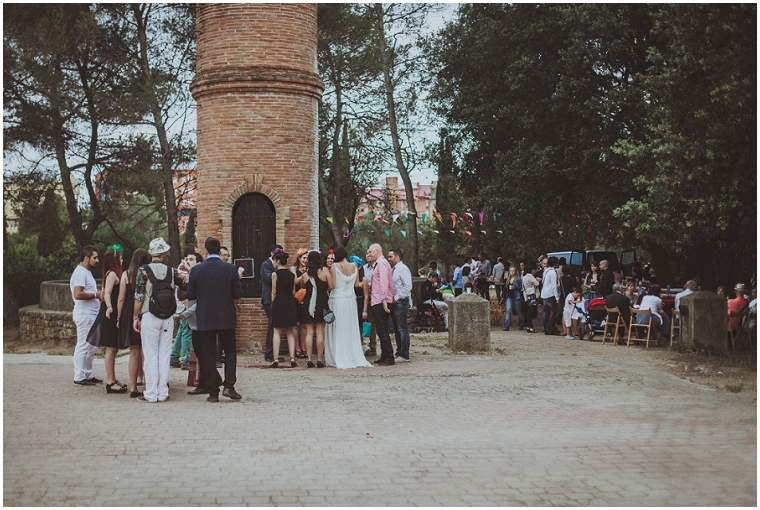 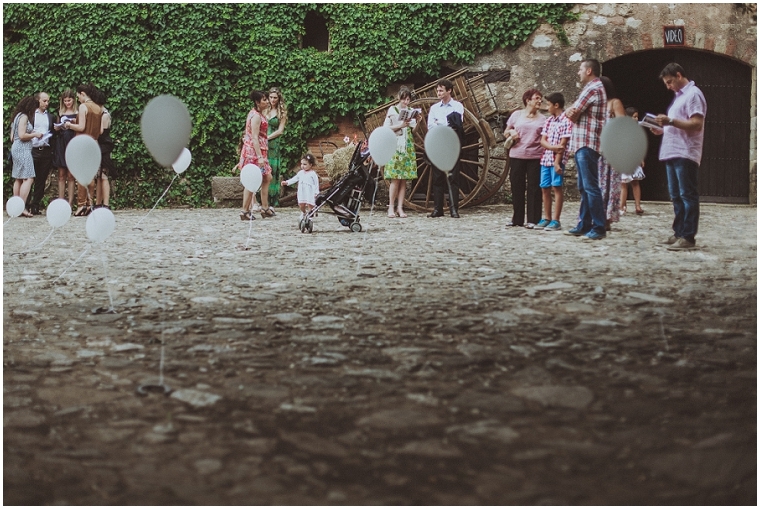 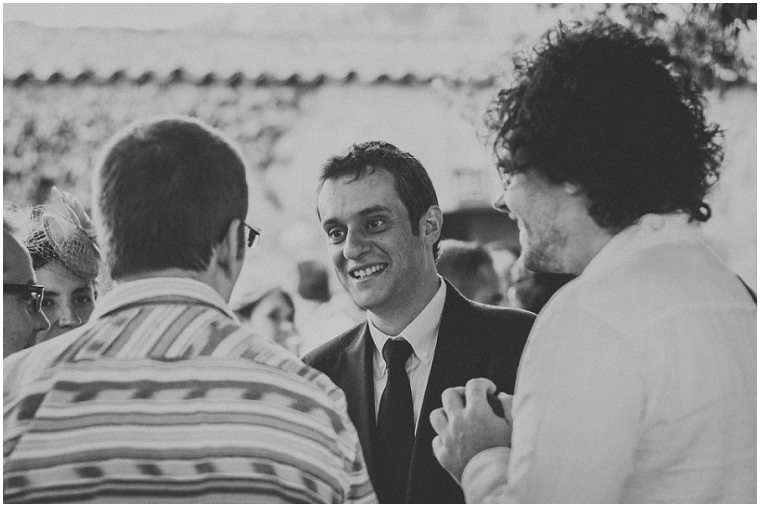 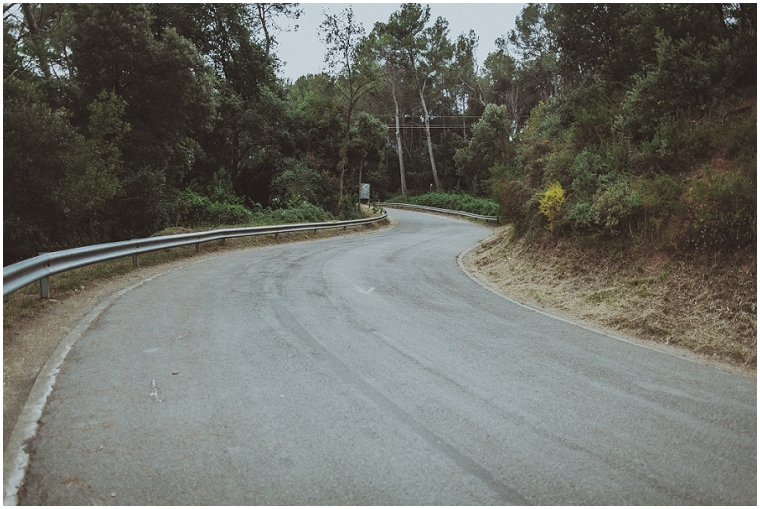 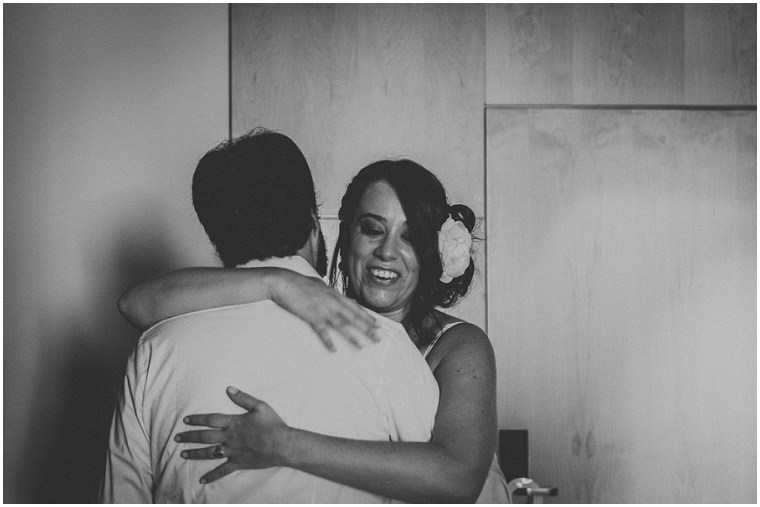 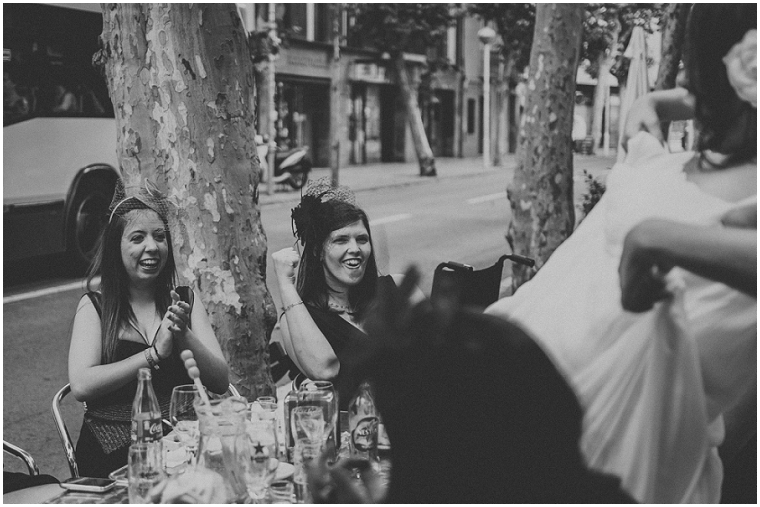 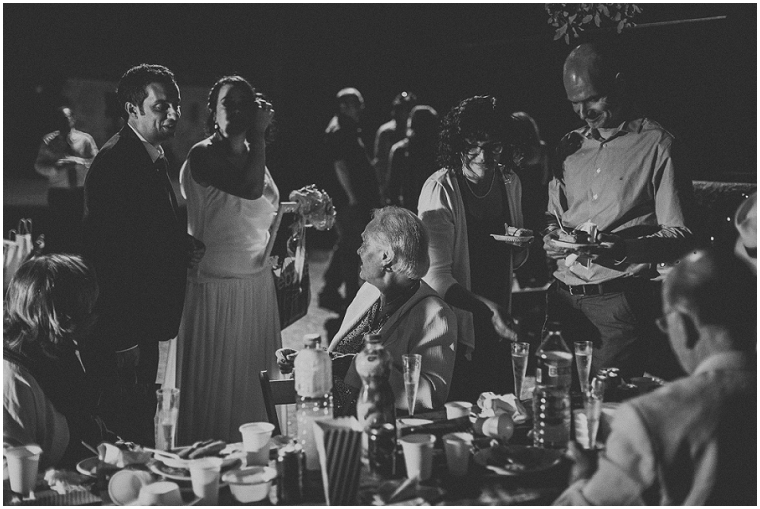 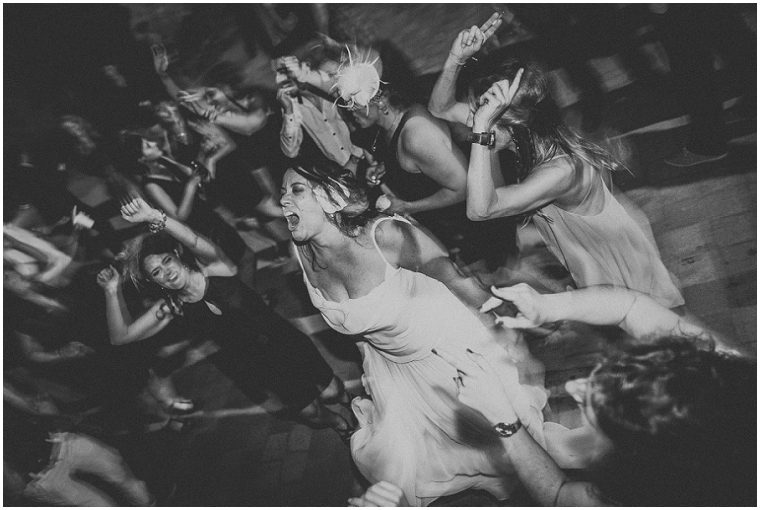 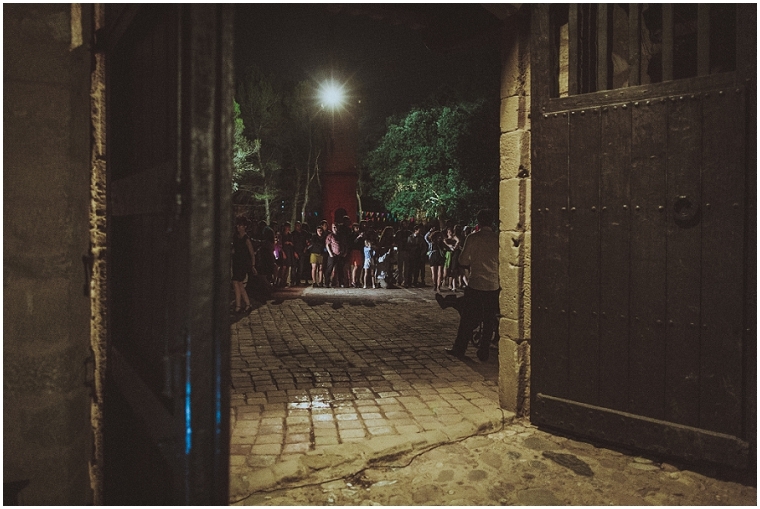 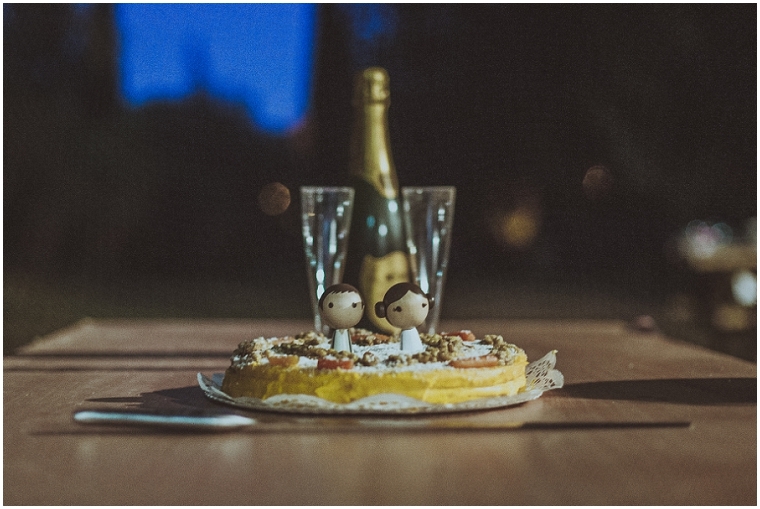 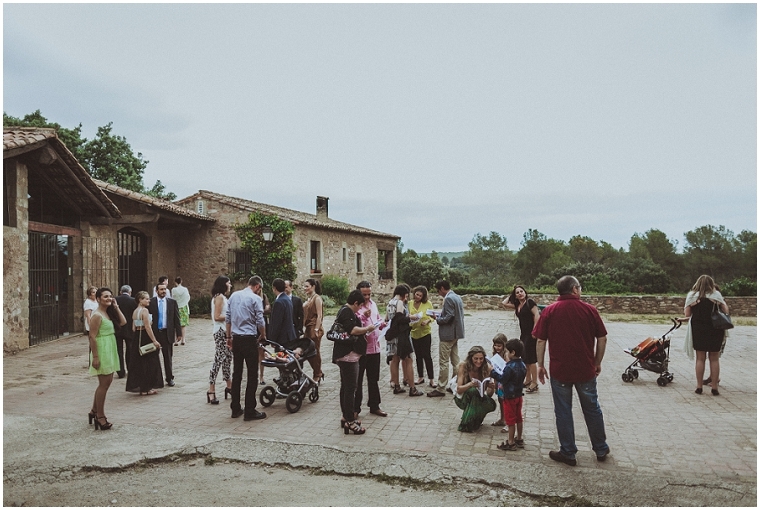 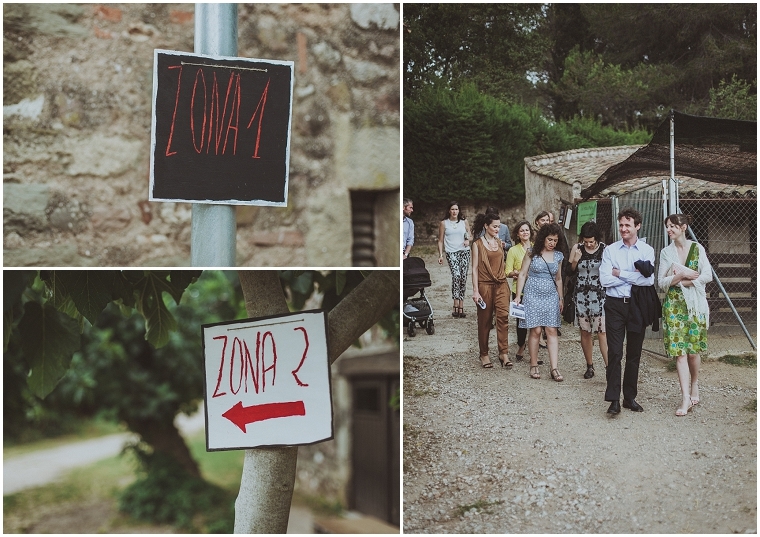 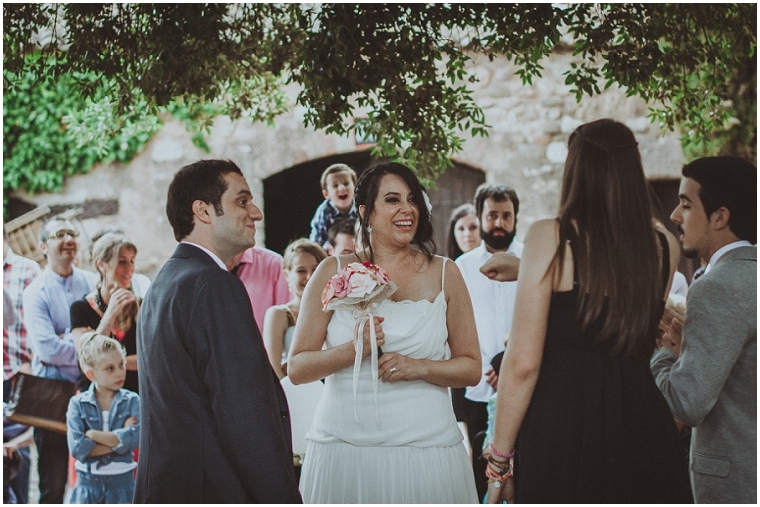 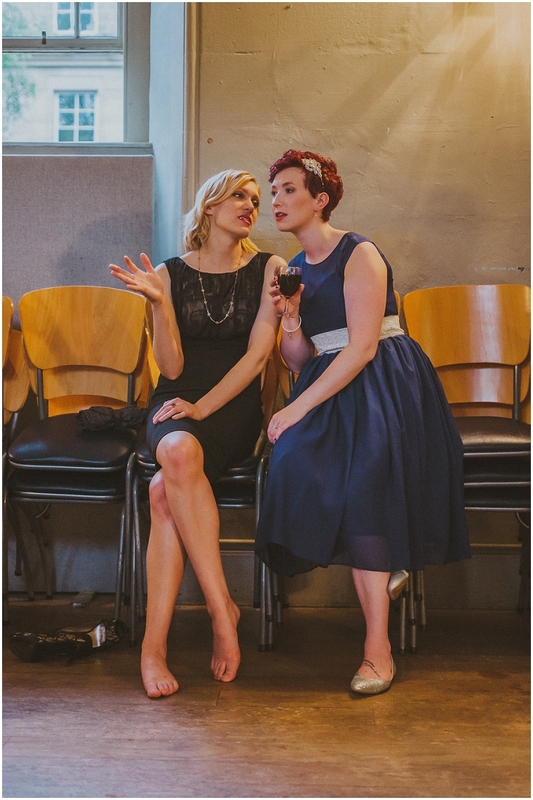 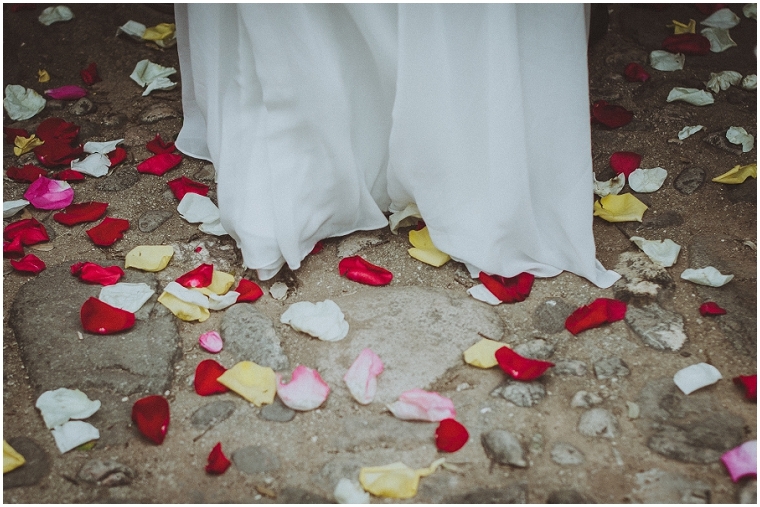 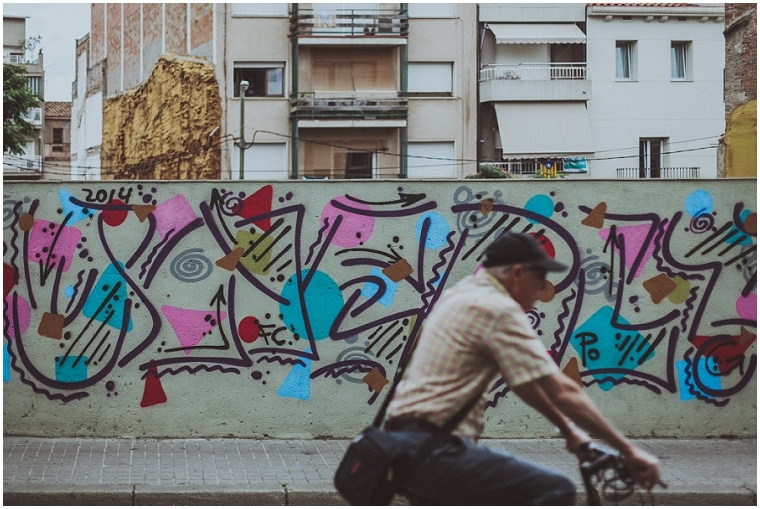 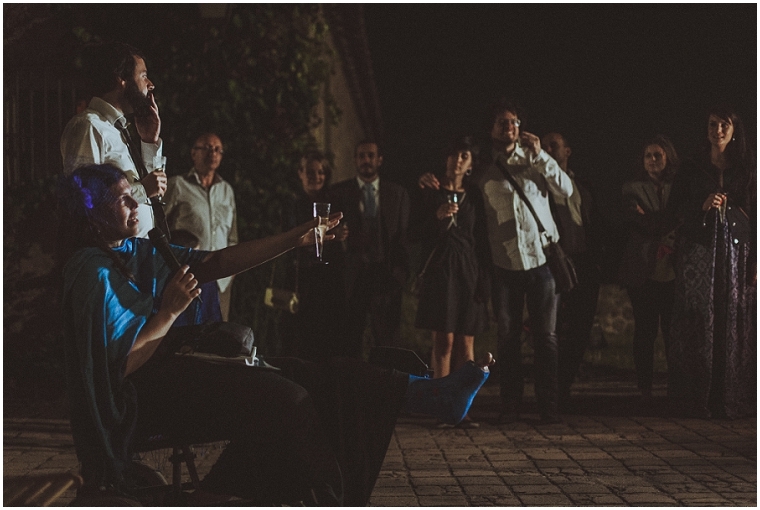 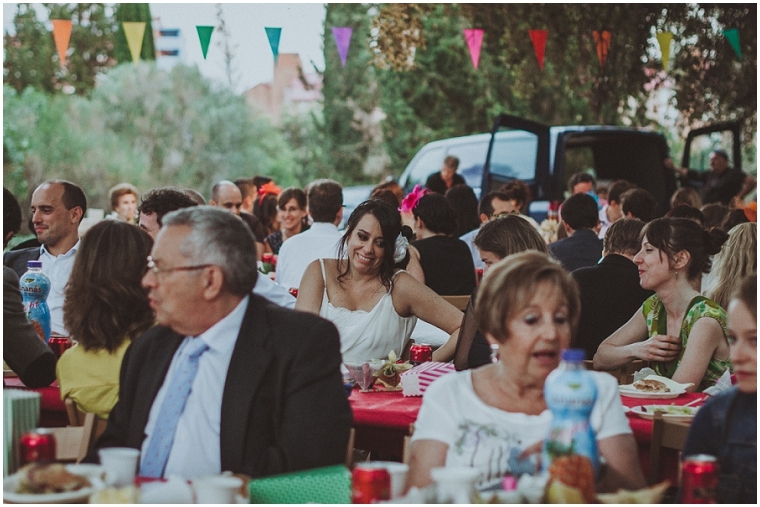 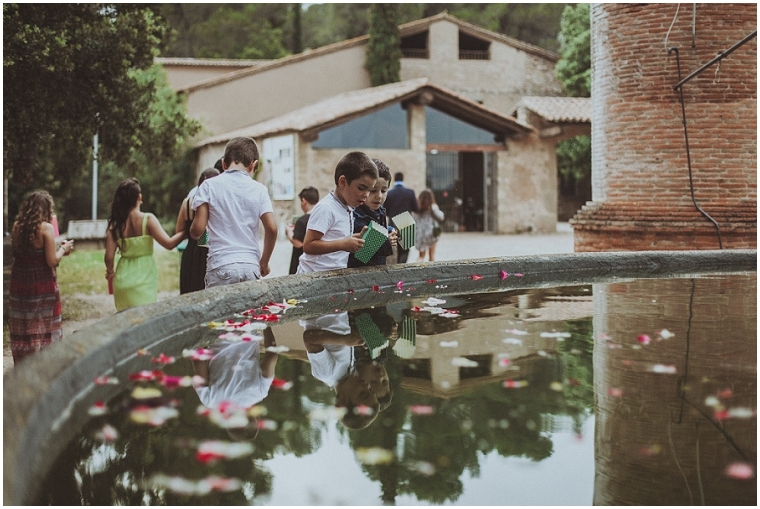 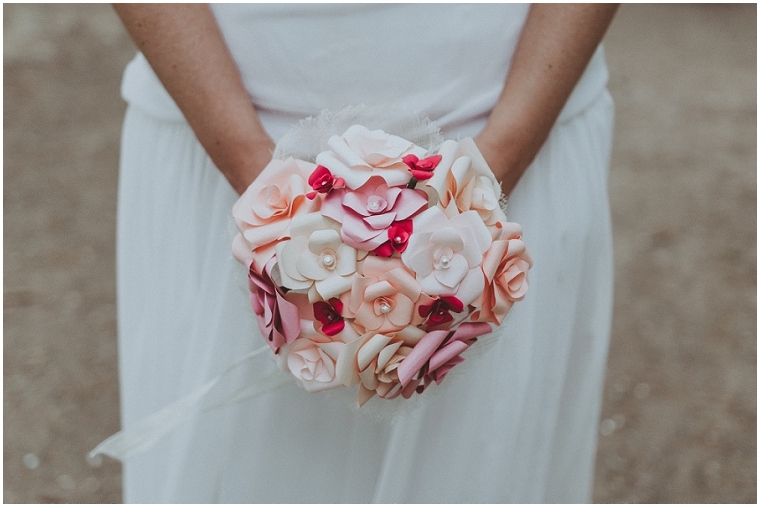 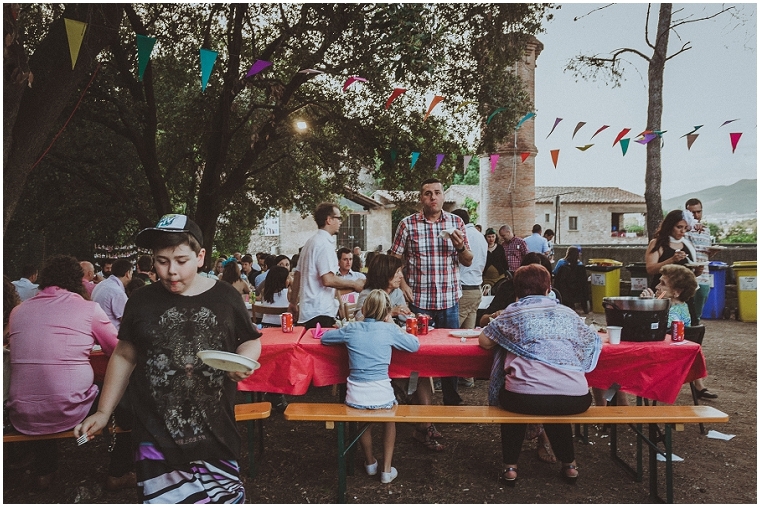 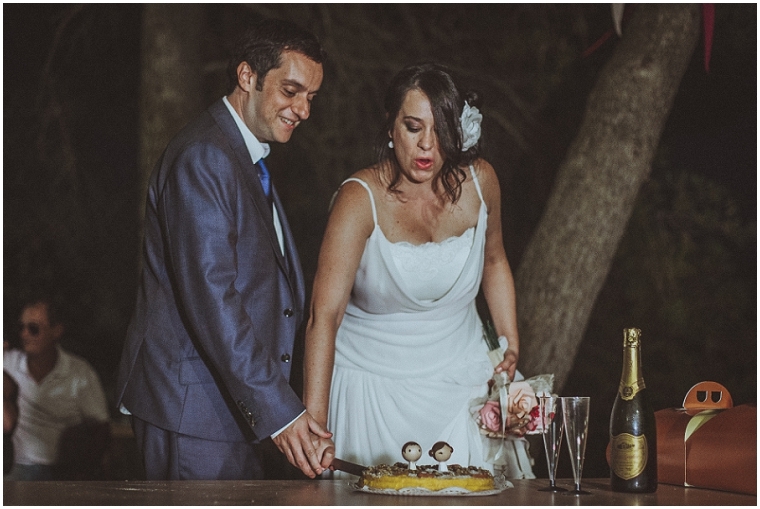 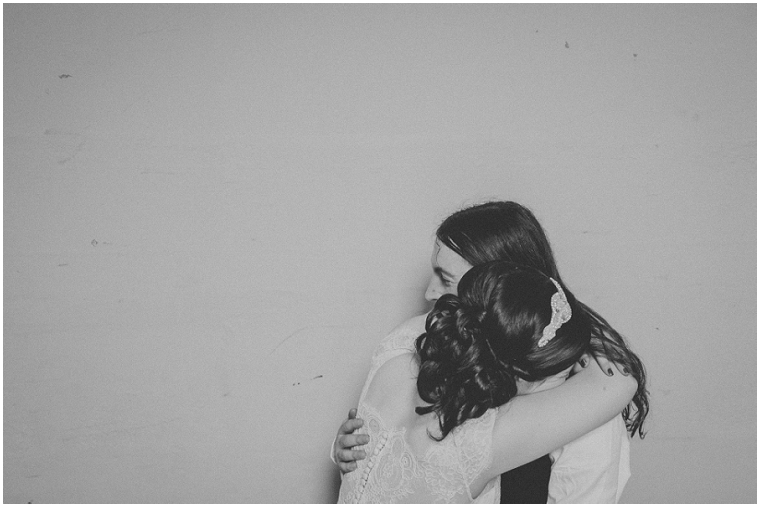 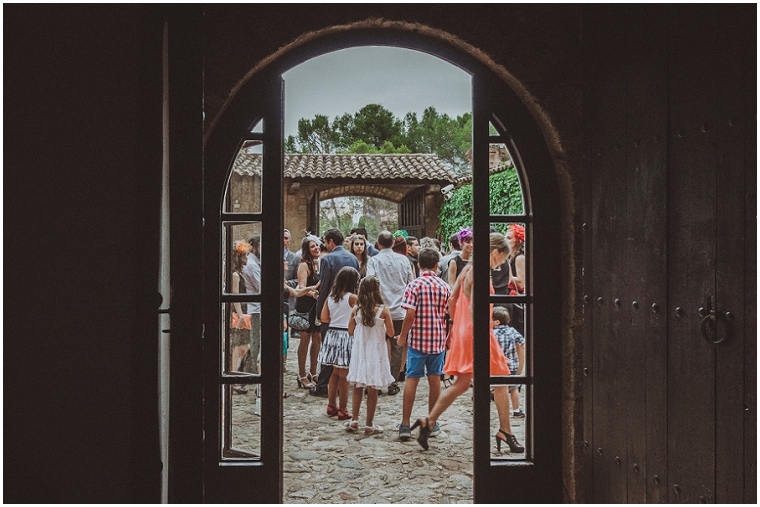 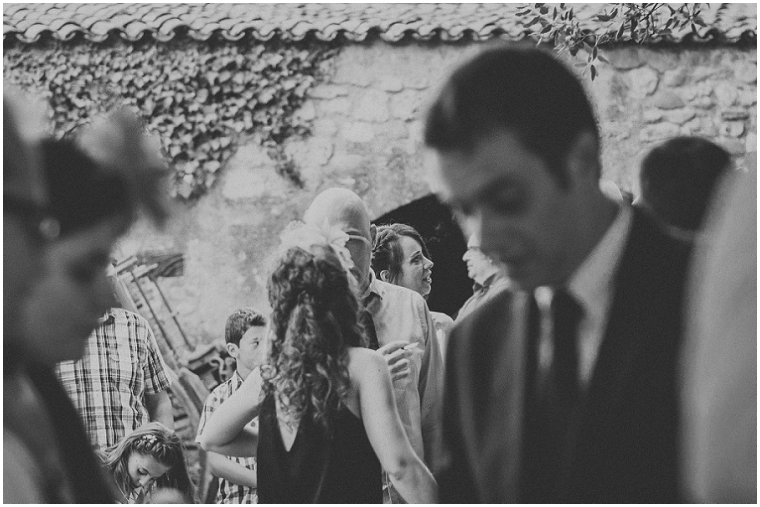 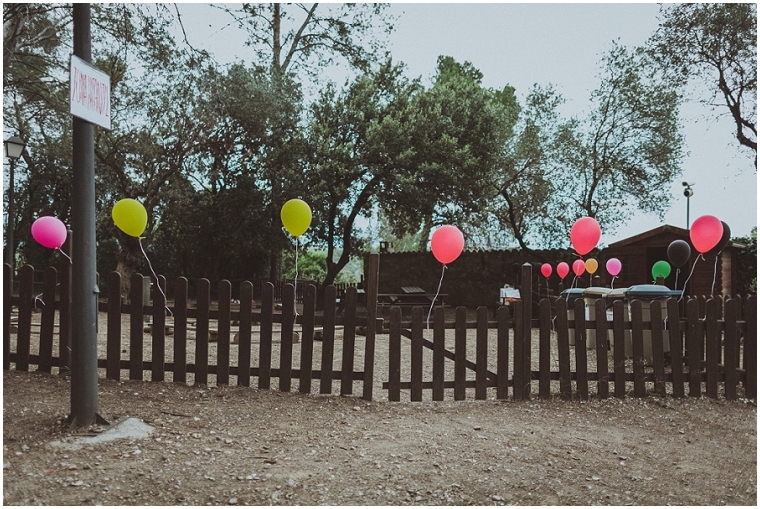 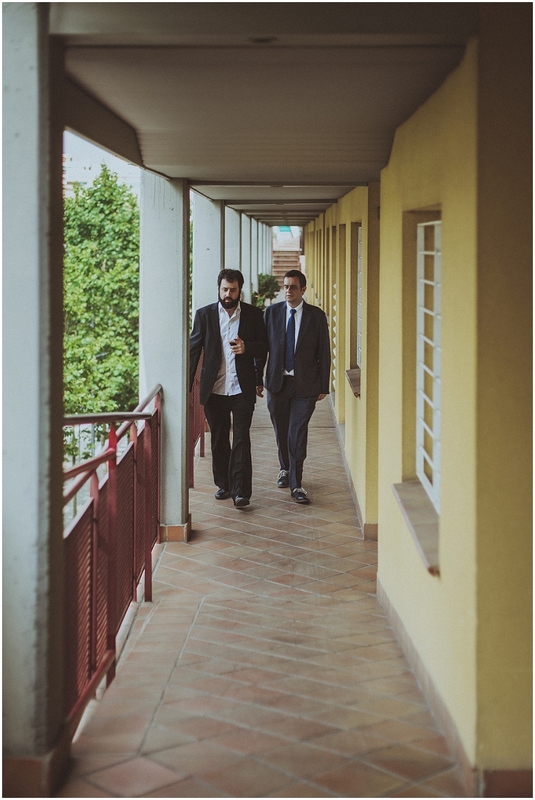 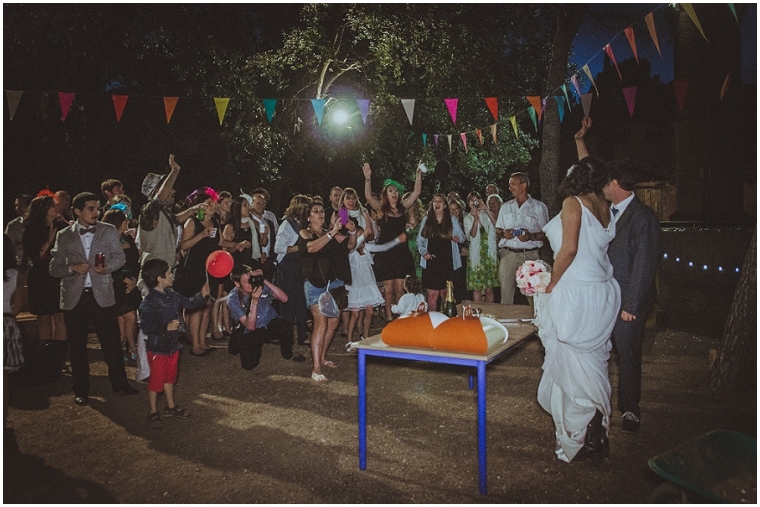 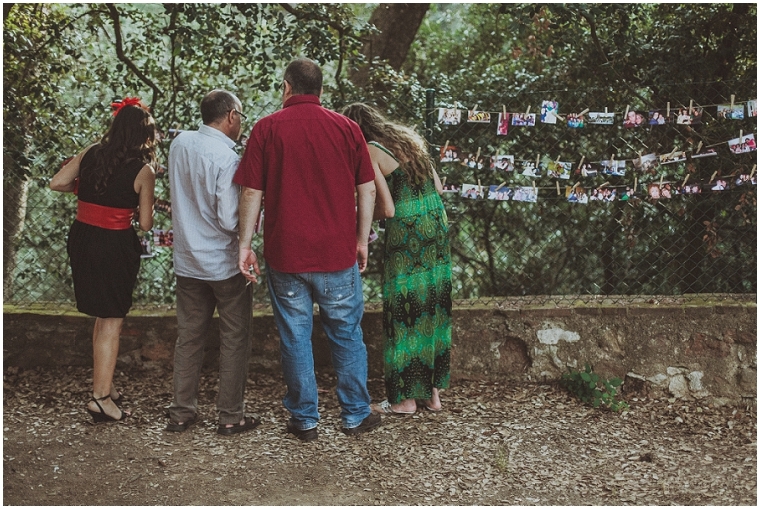 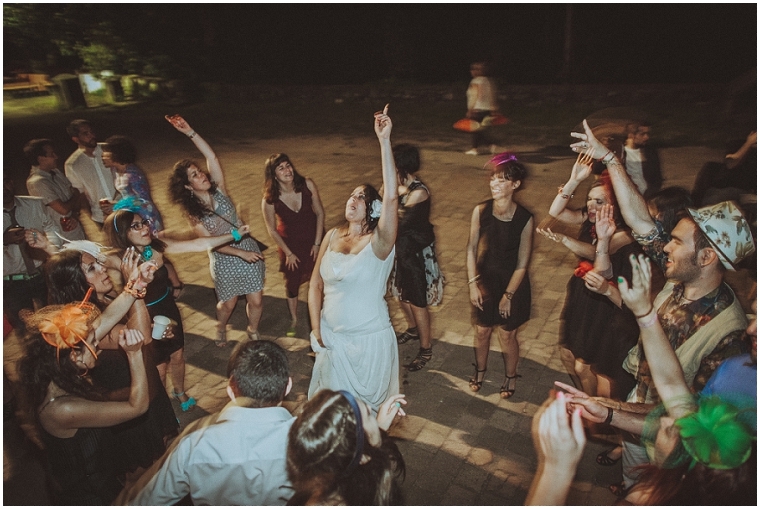 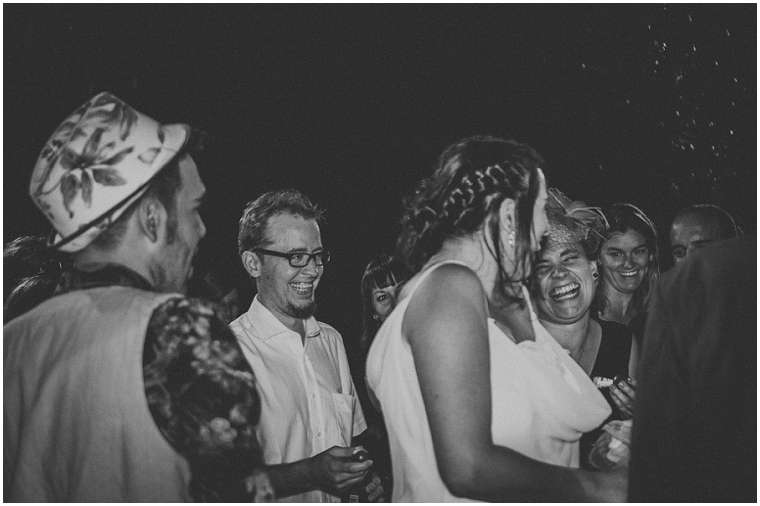 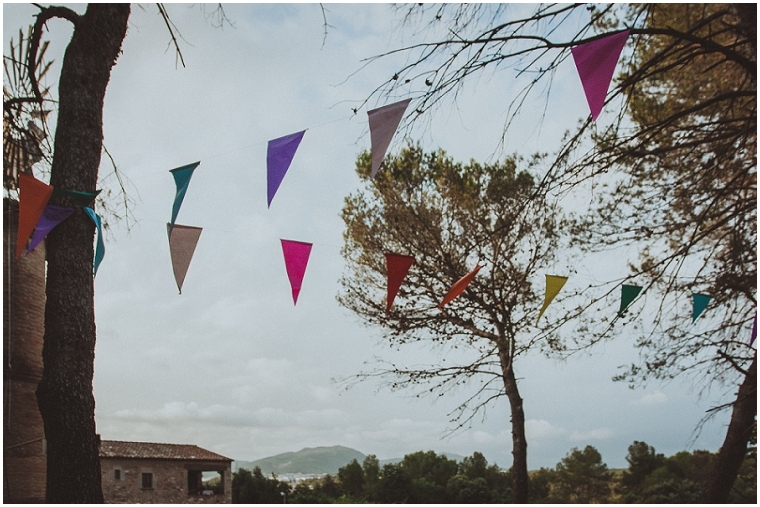 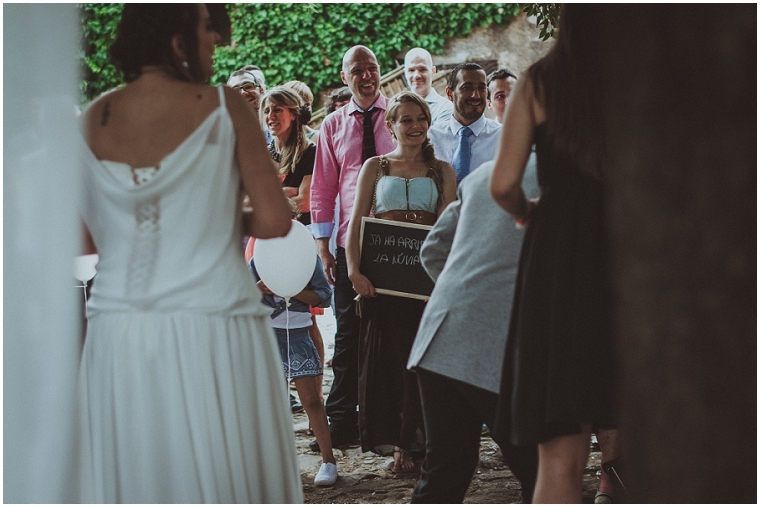 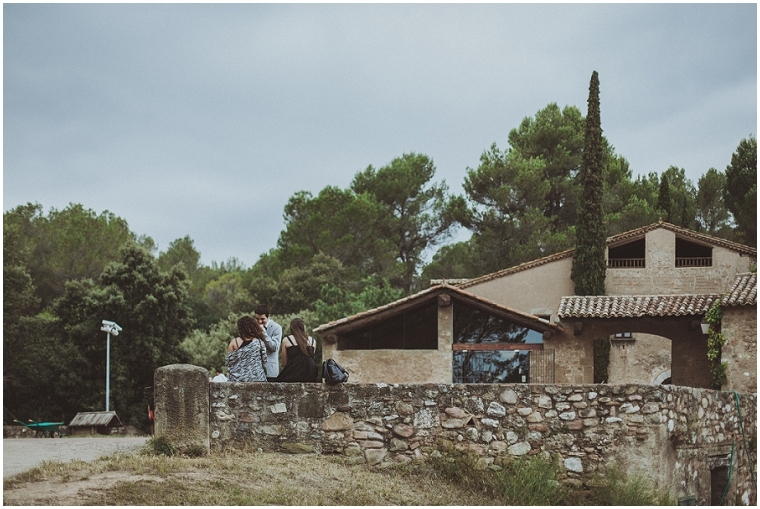 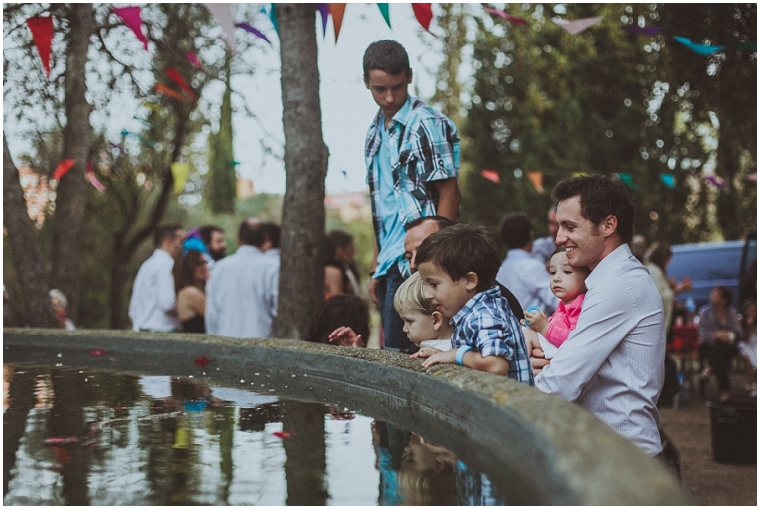 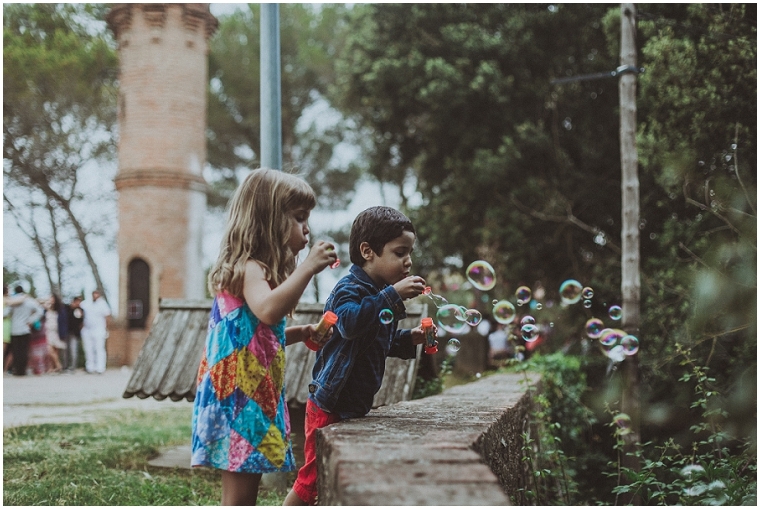 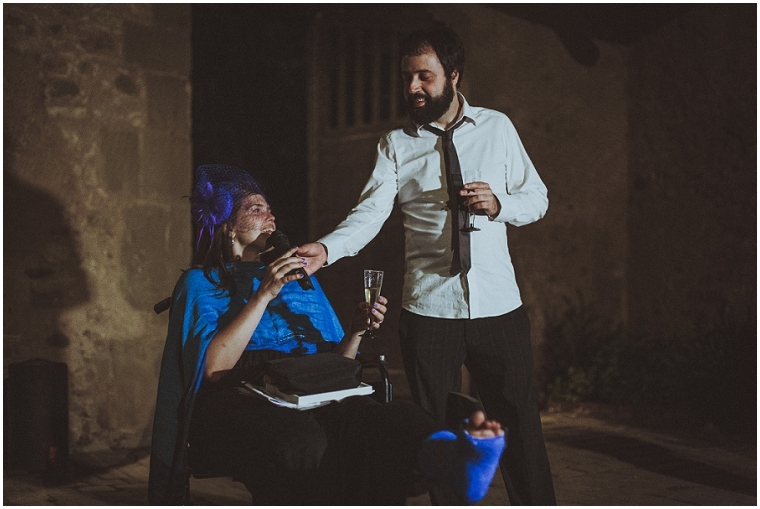 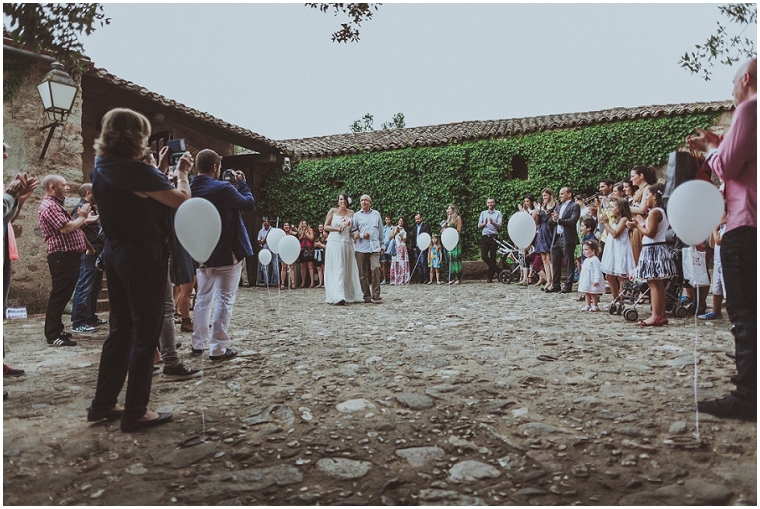 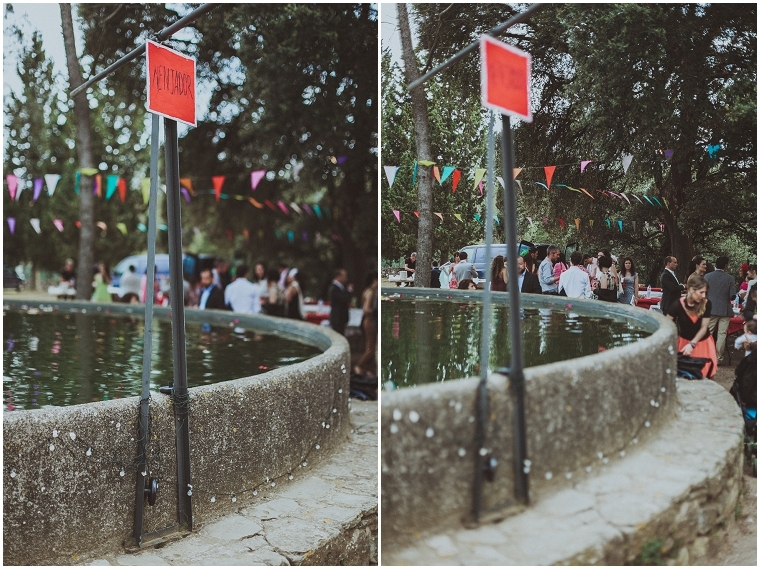 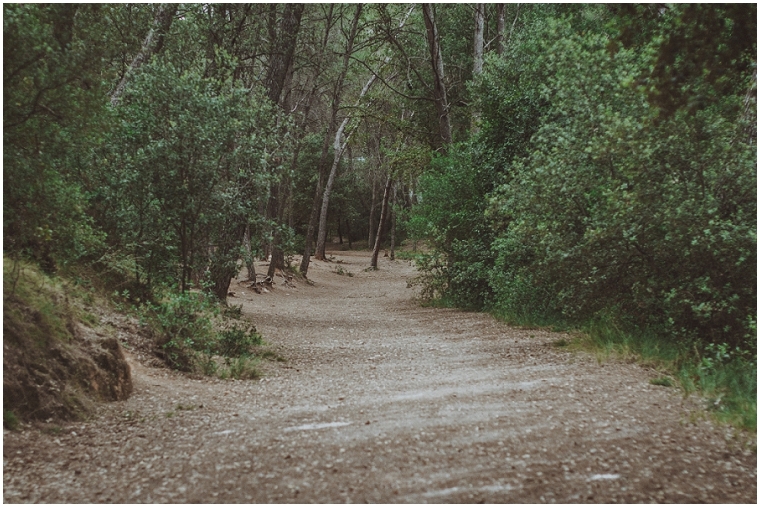 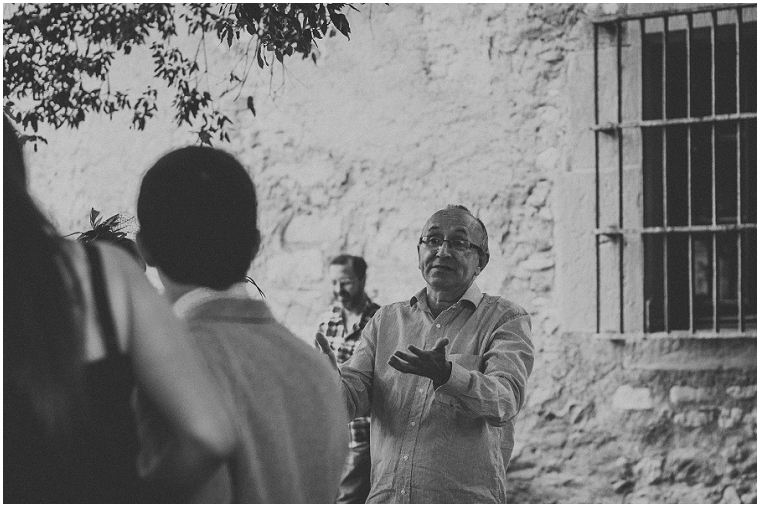 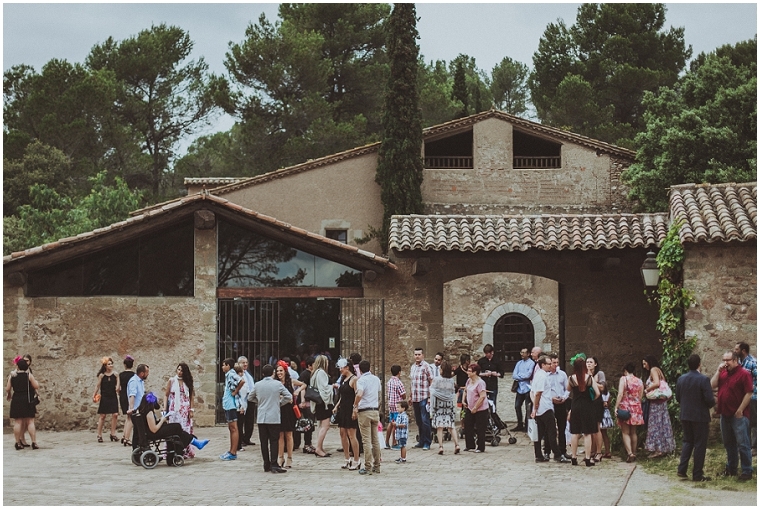 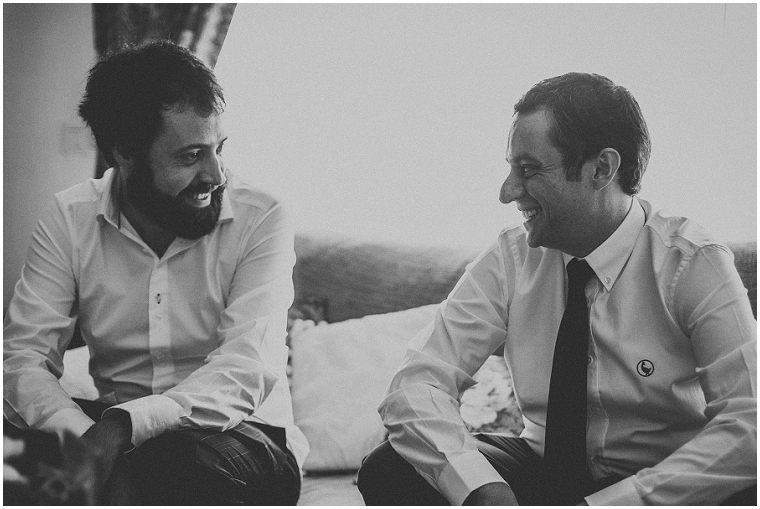 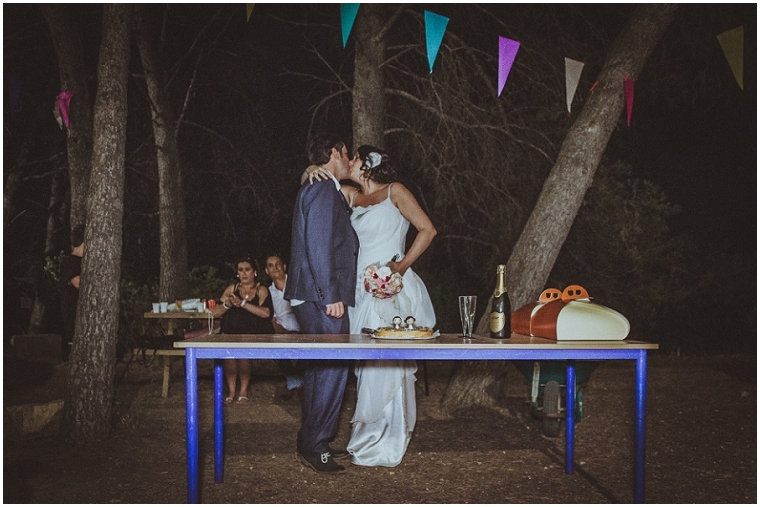 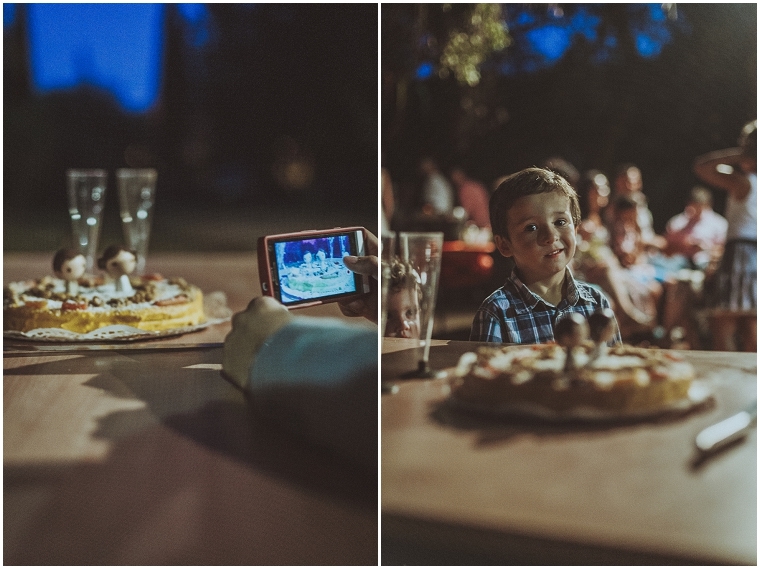 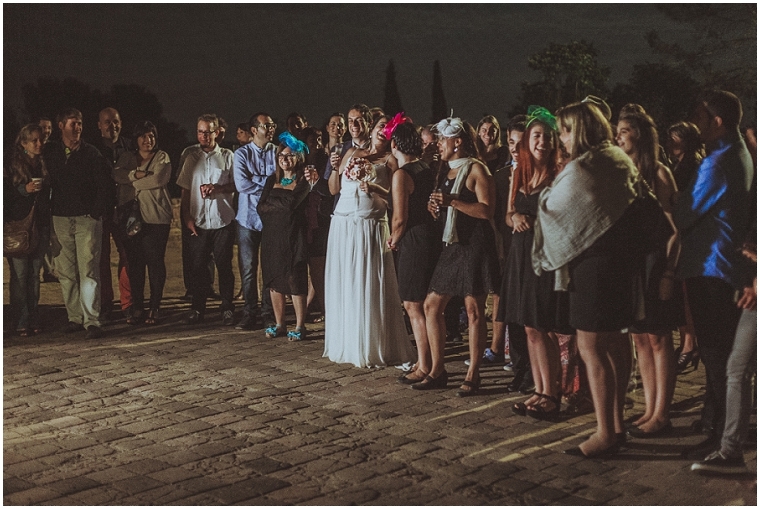 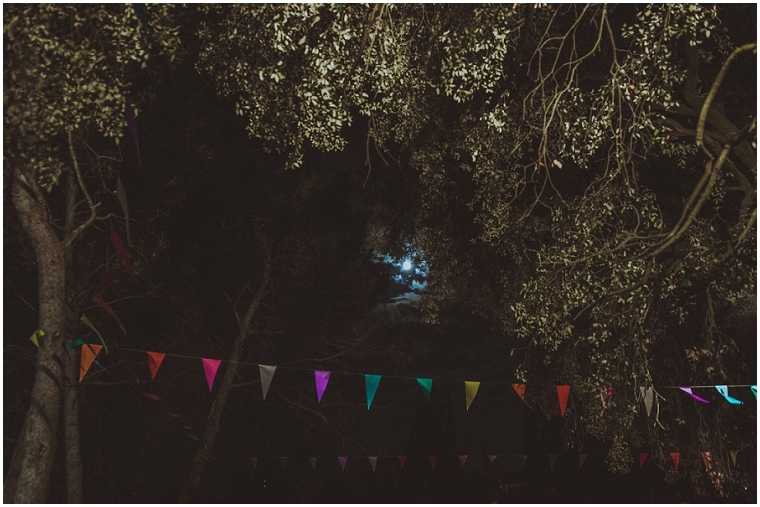 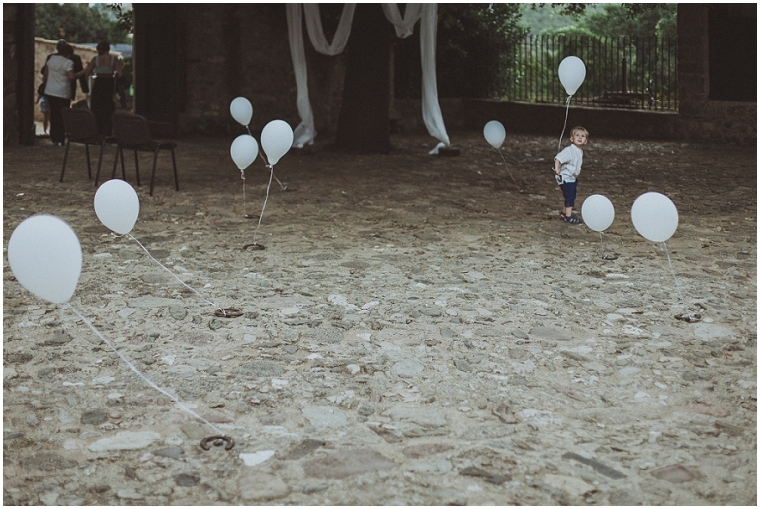 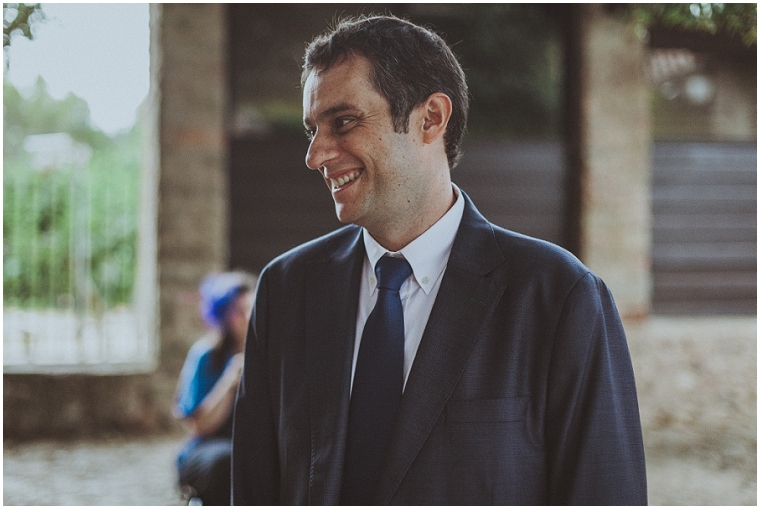 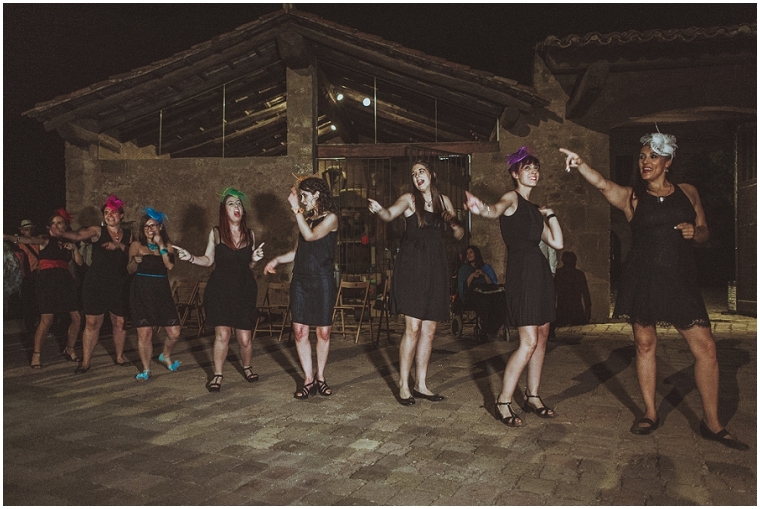 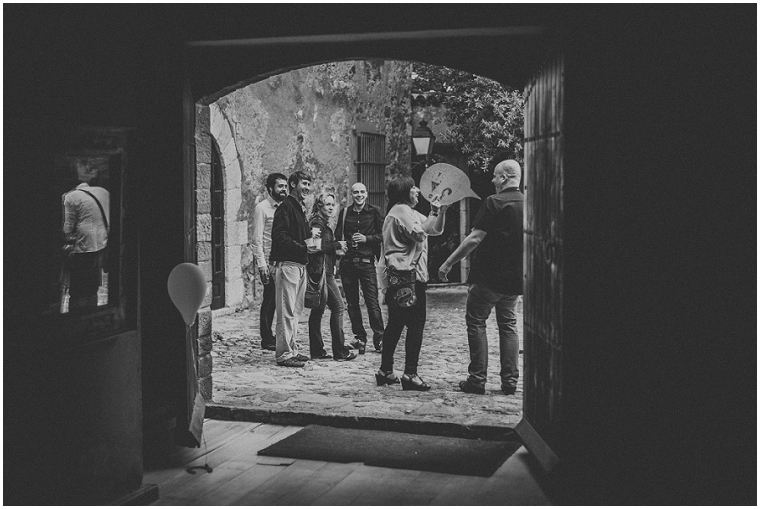 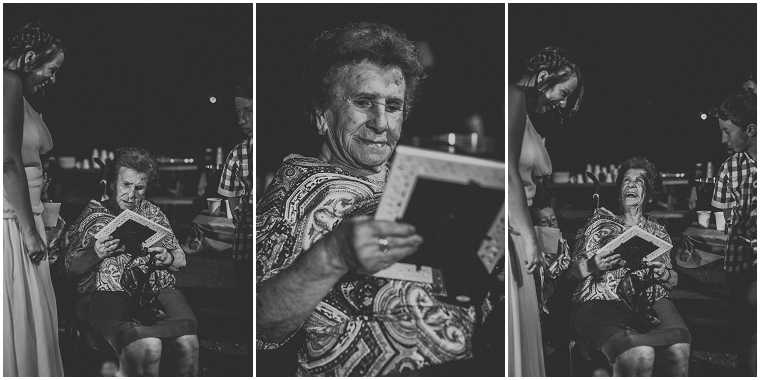 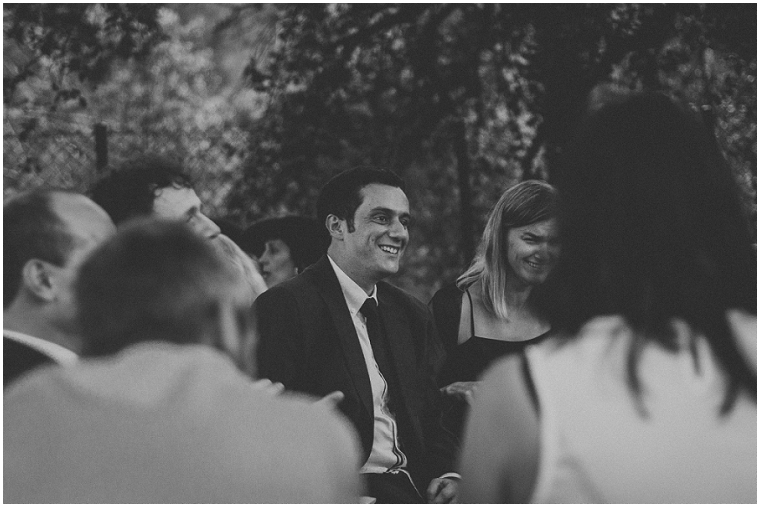 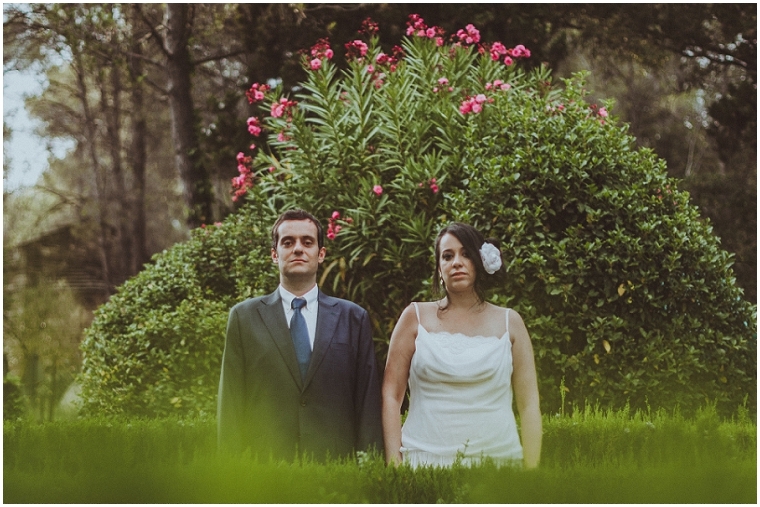 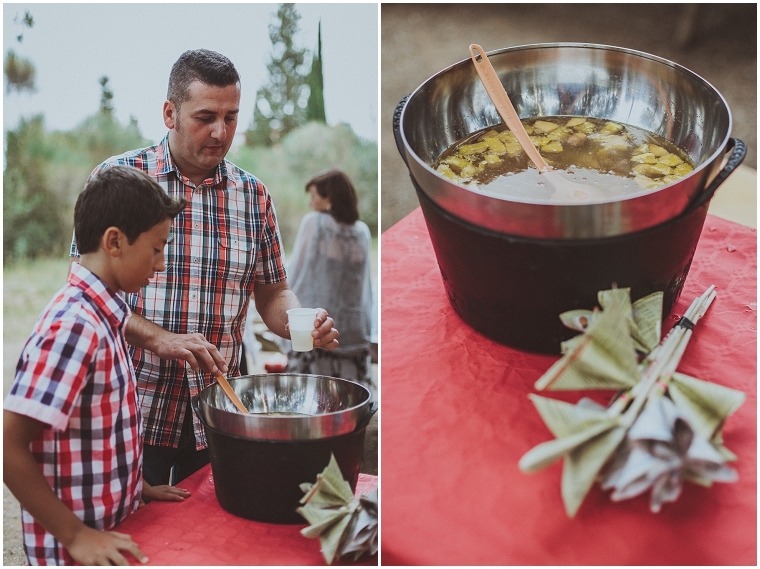 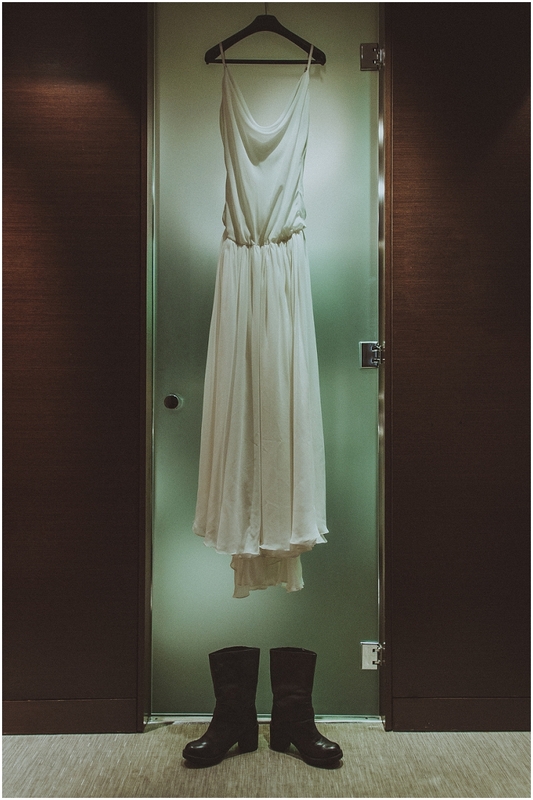 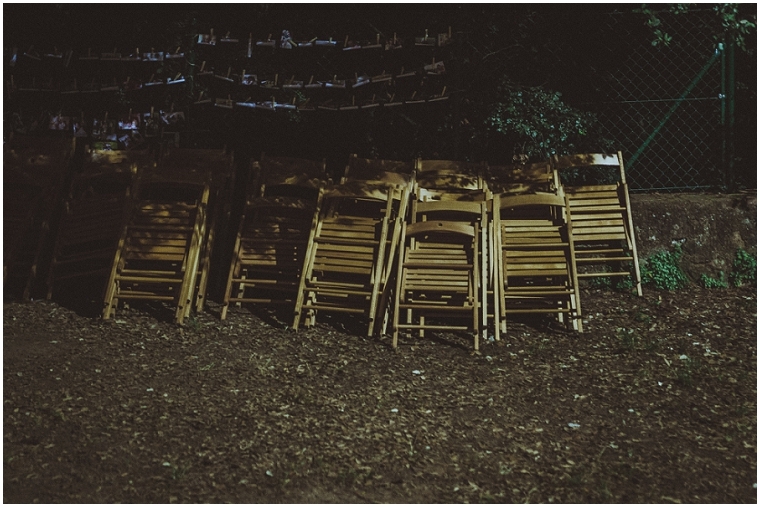 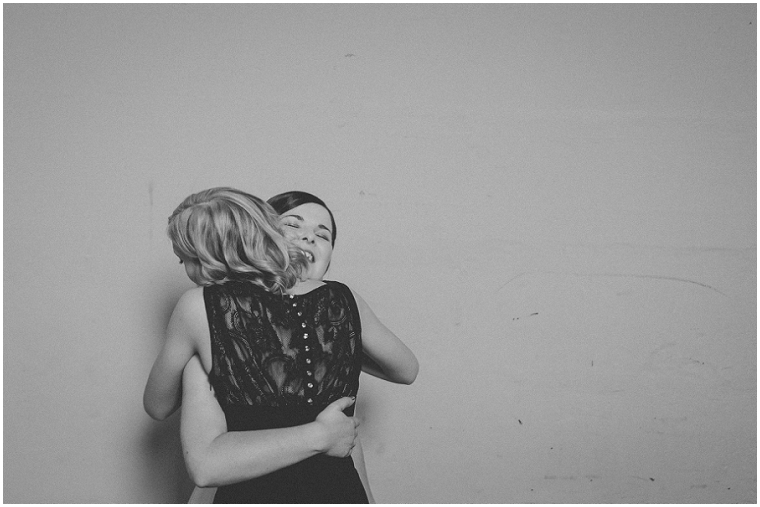 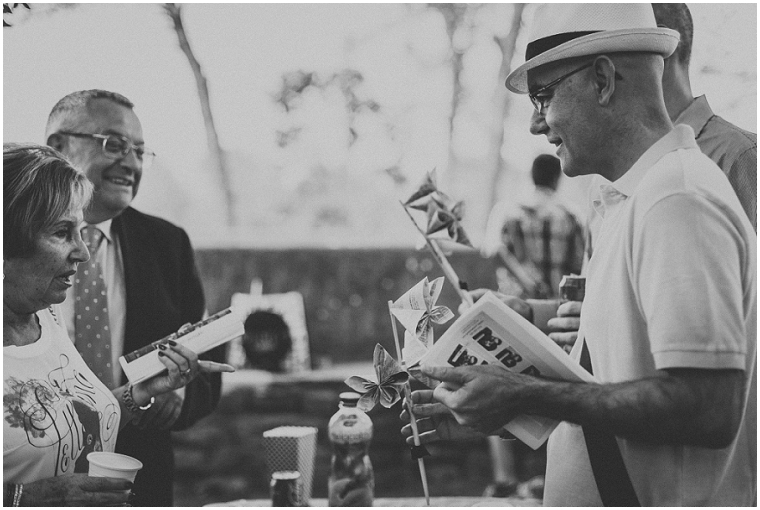 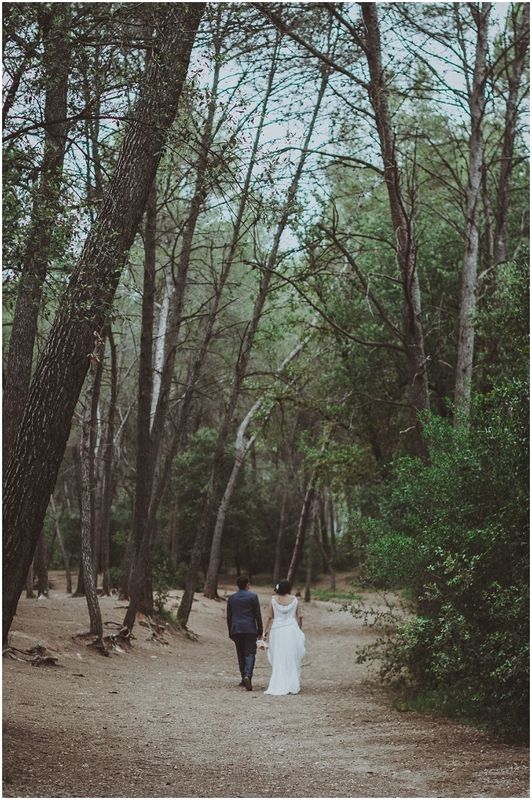 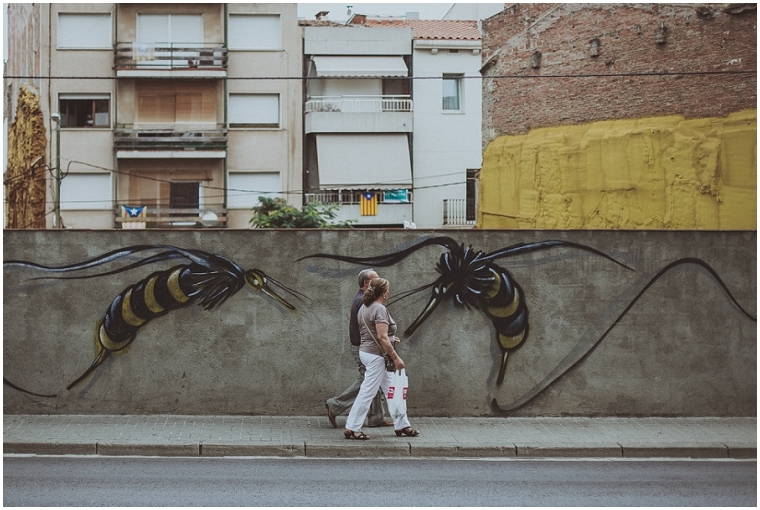 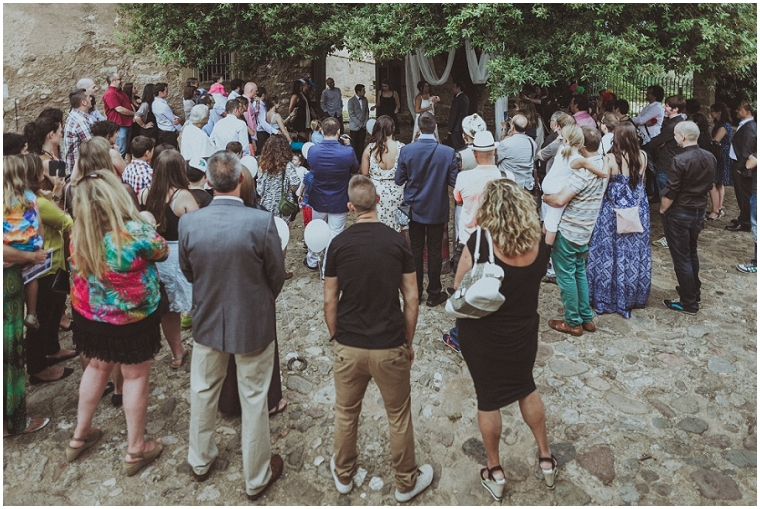 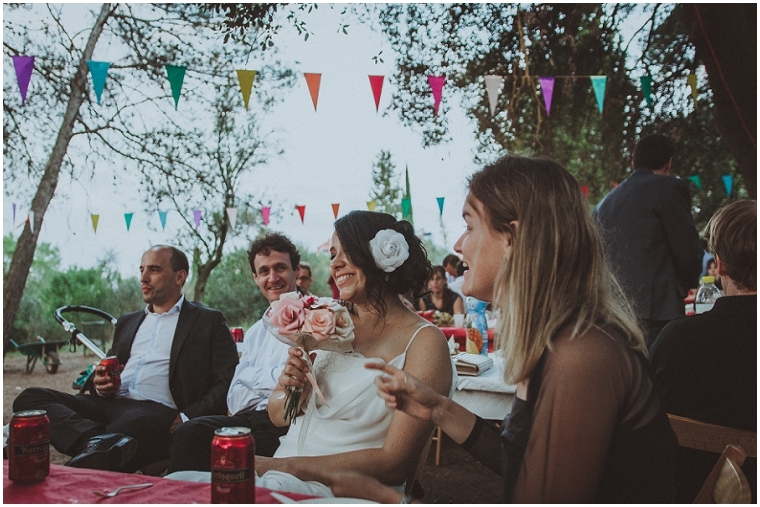 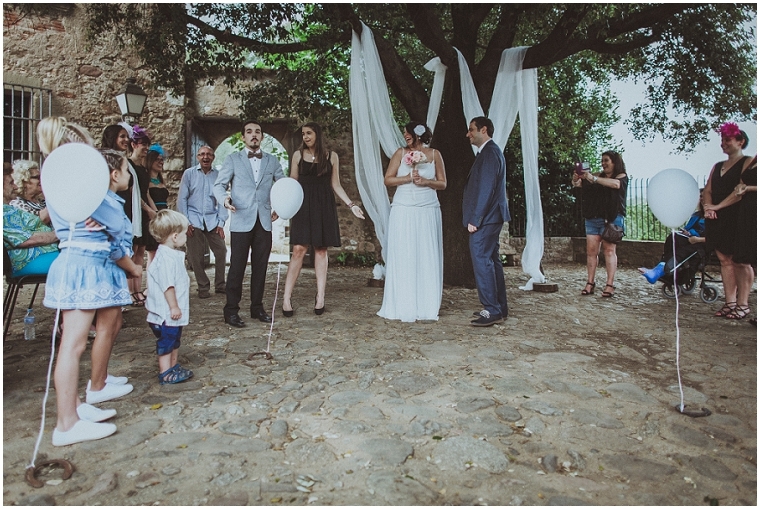 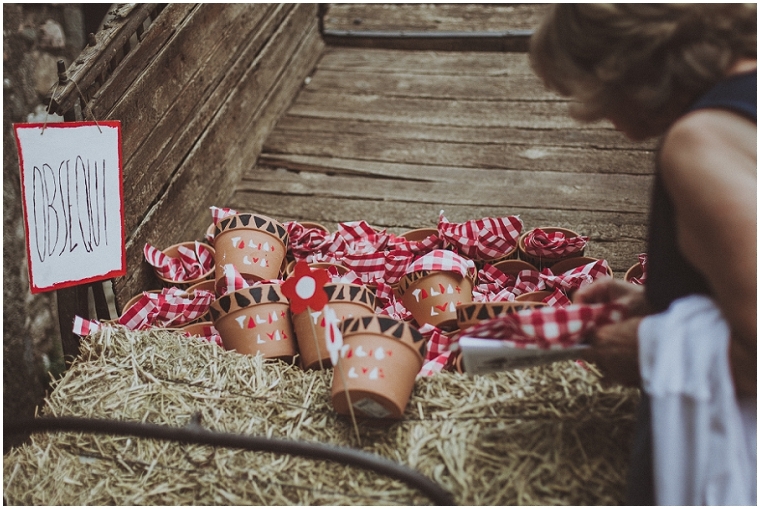 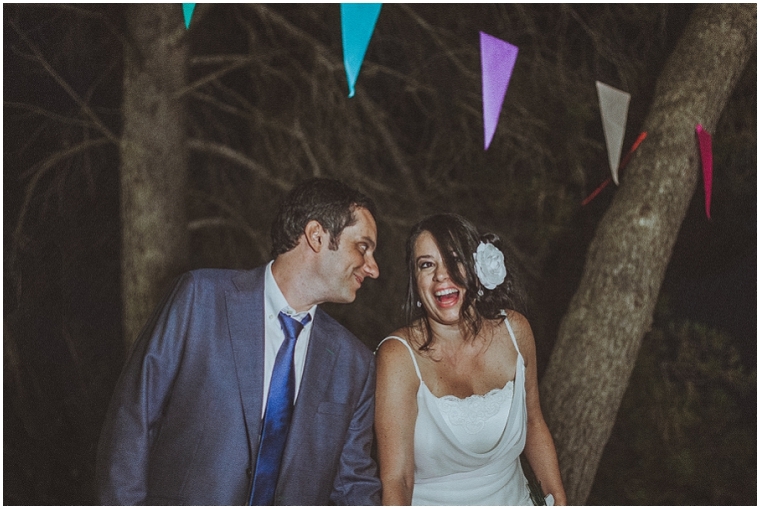 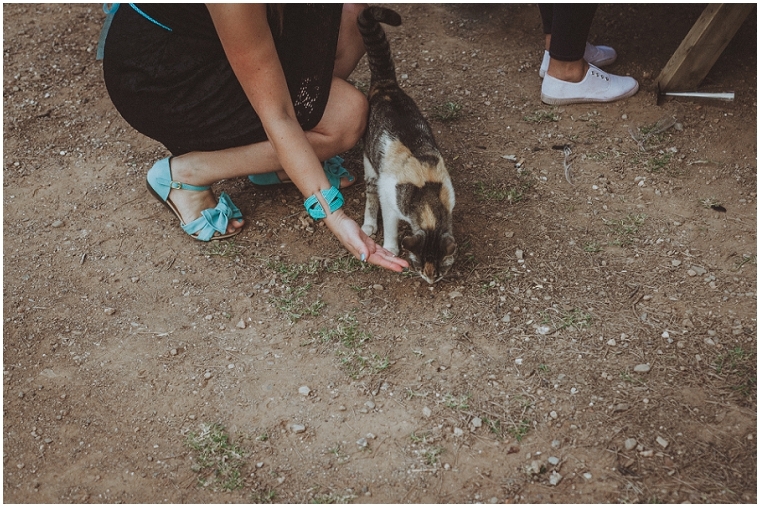 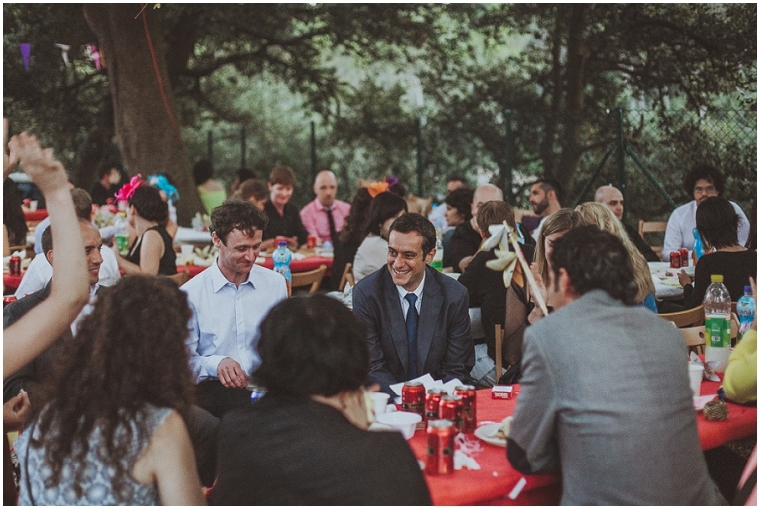 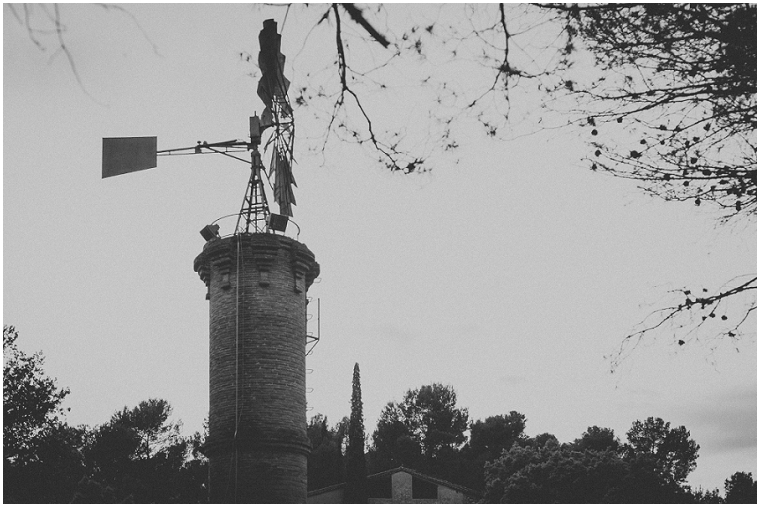 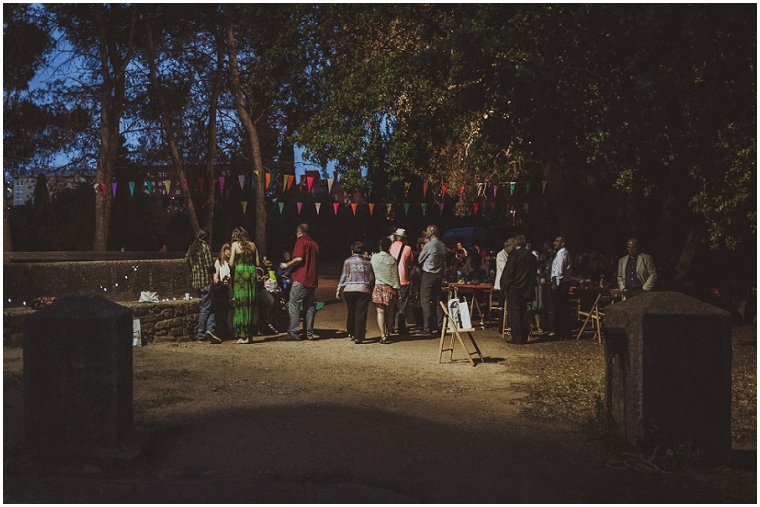 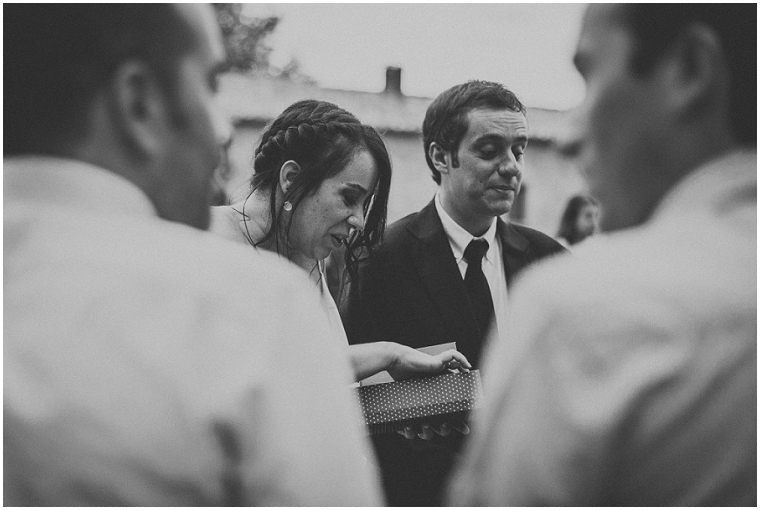 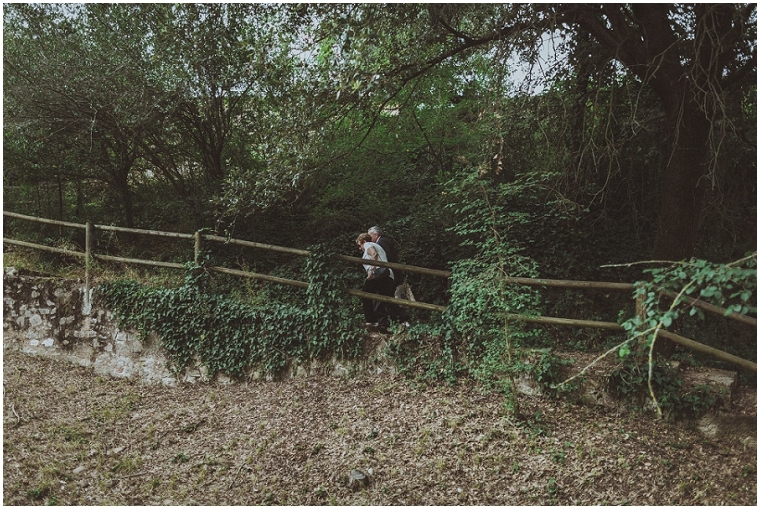 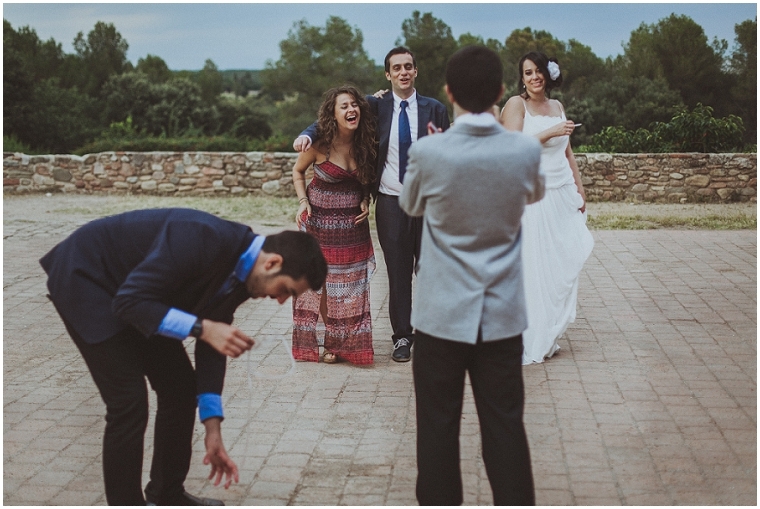 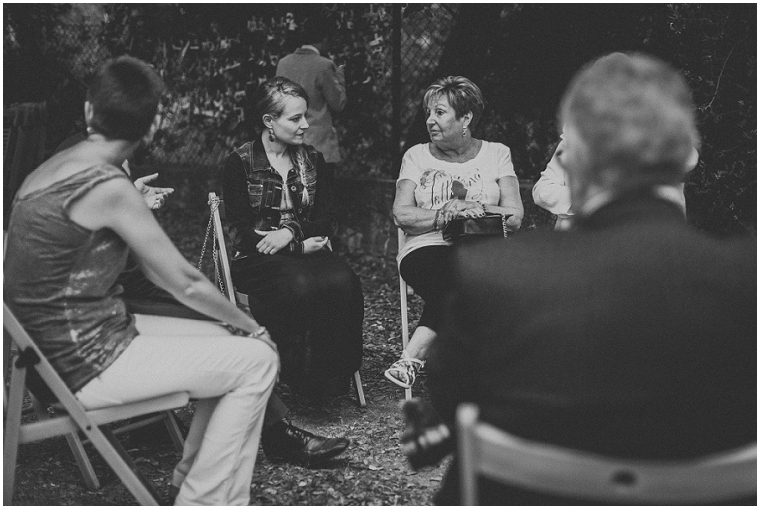 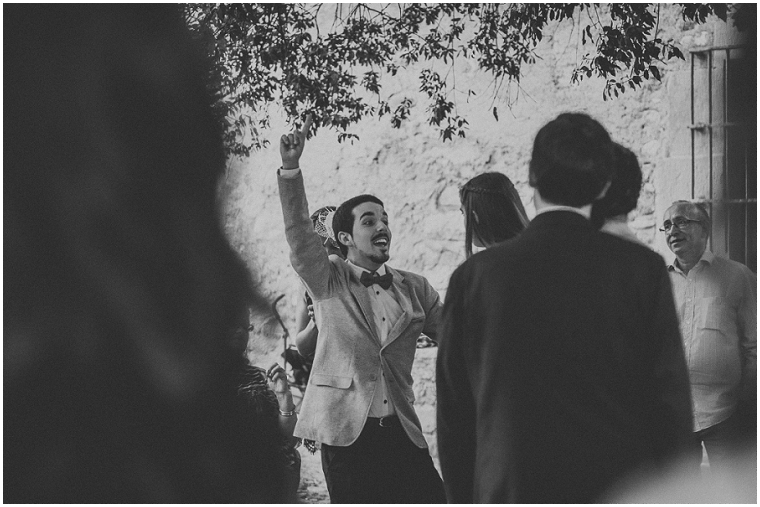 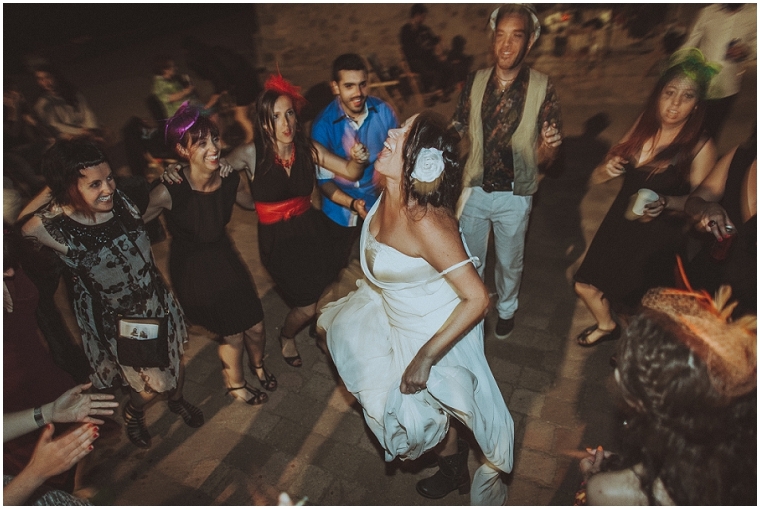 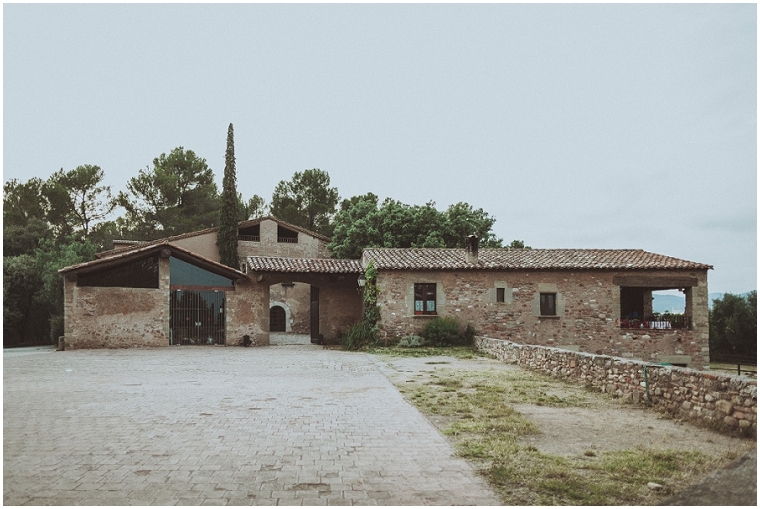 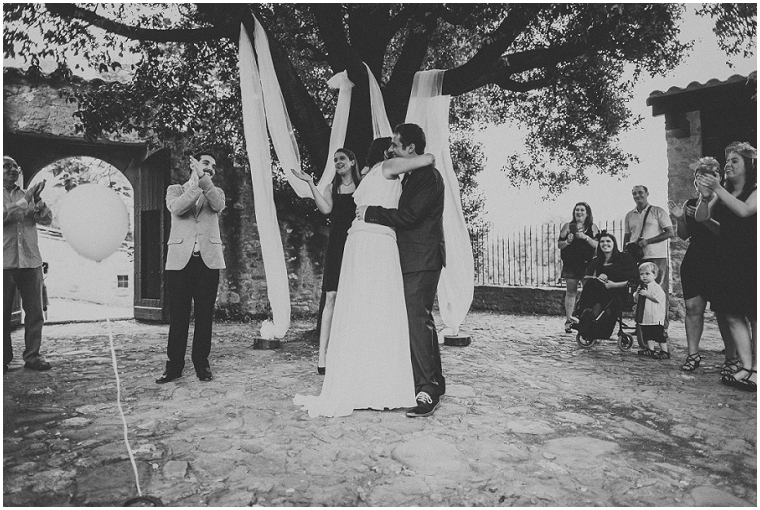 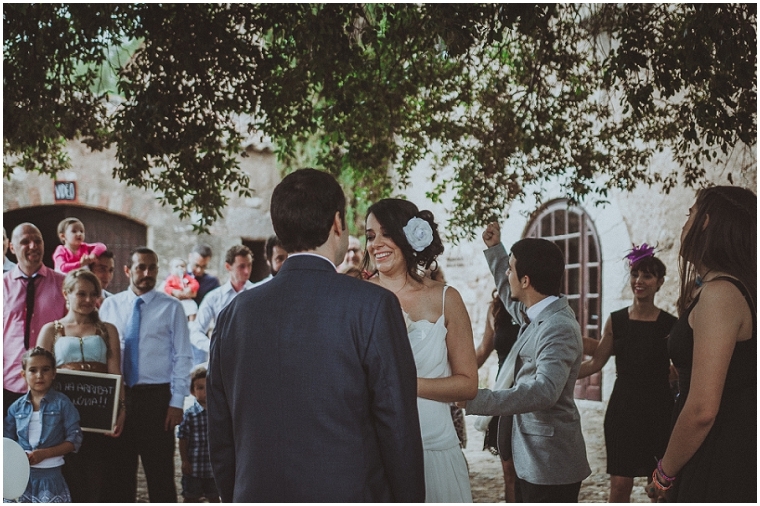 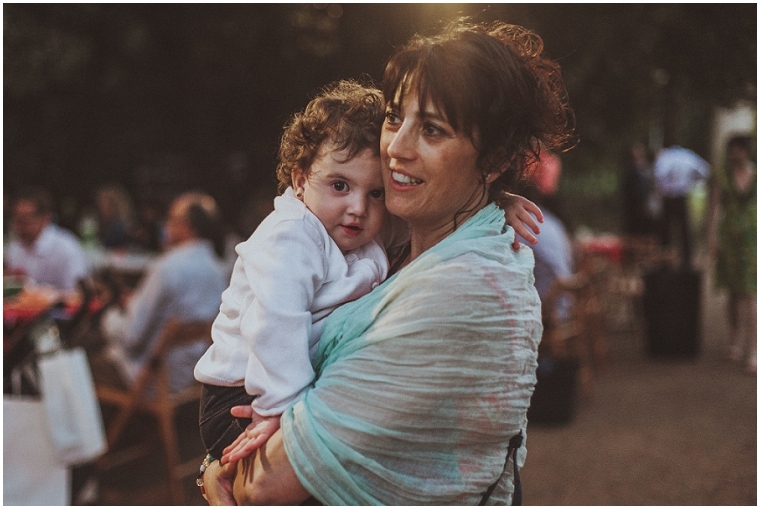 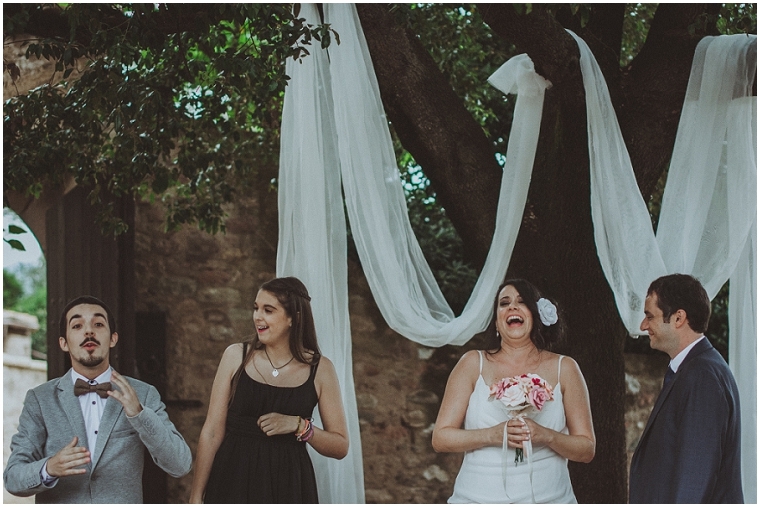 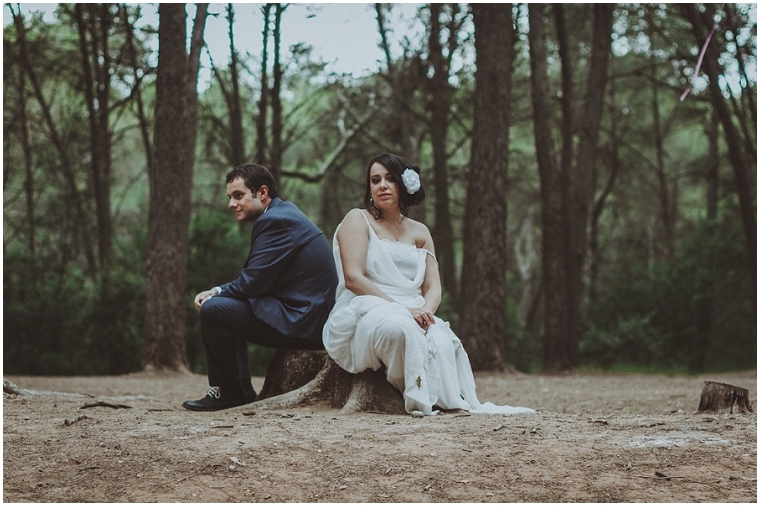 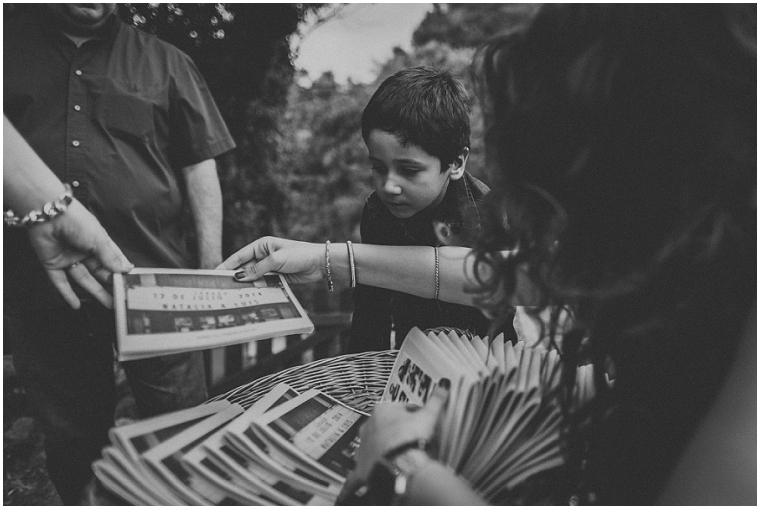 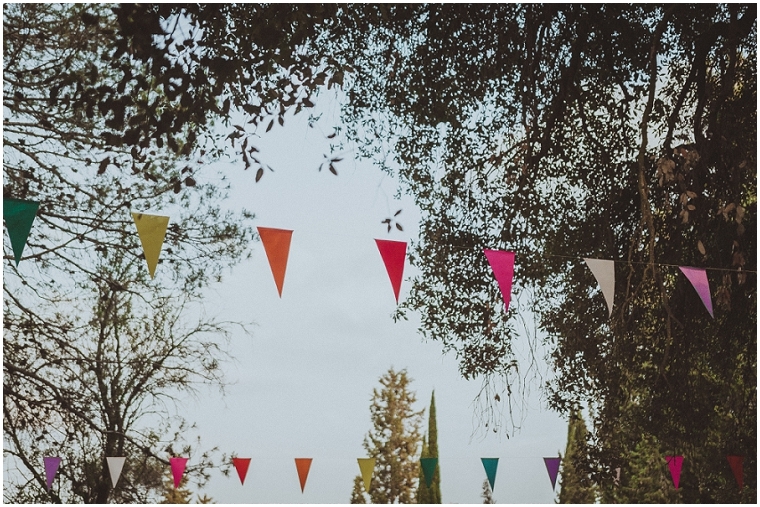 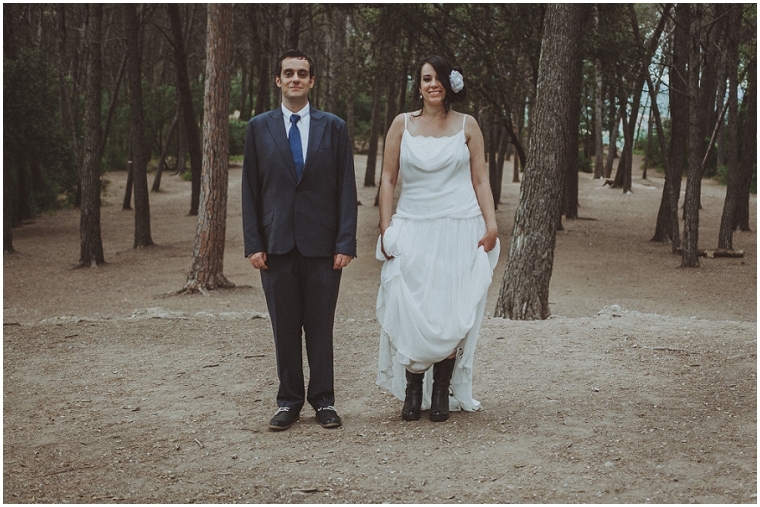 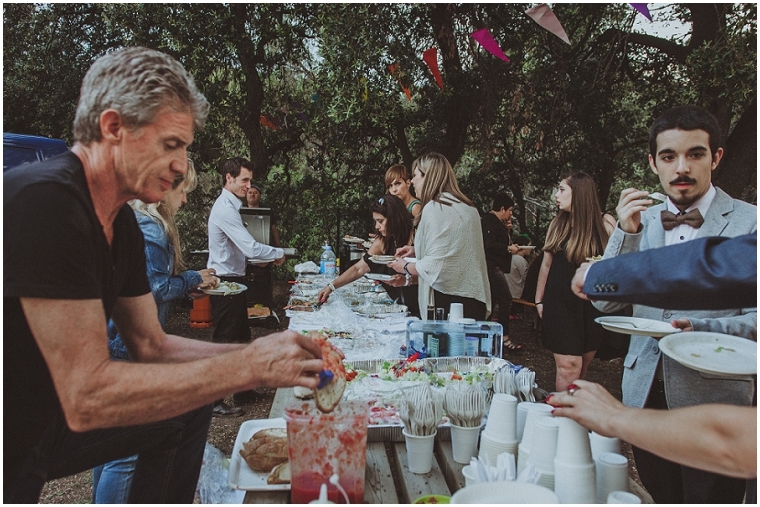 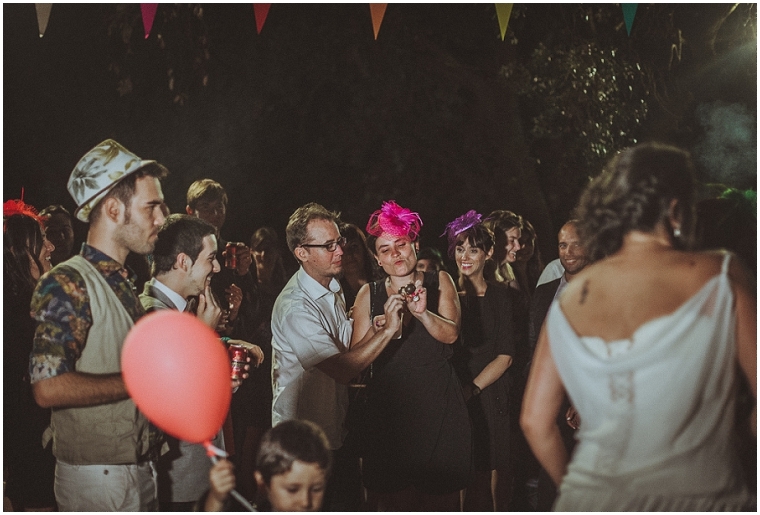 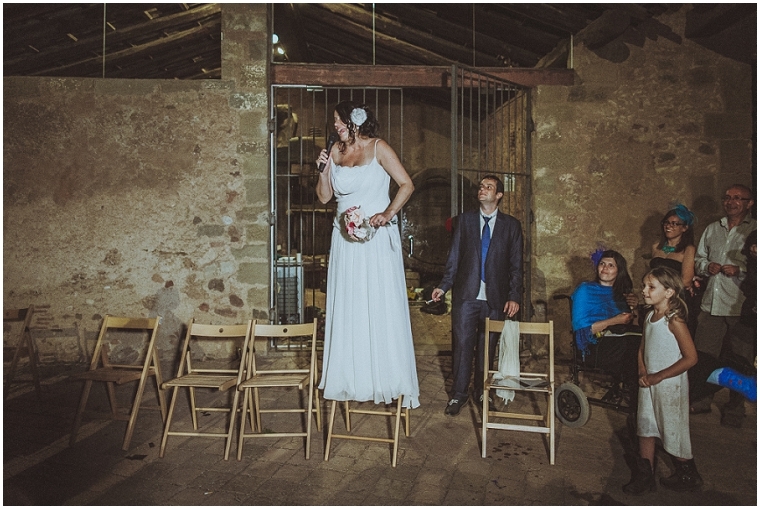 For this wedding in Catalonia, Alex and I decided to write this post in a slightly different way. 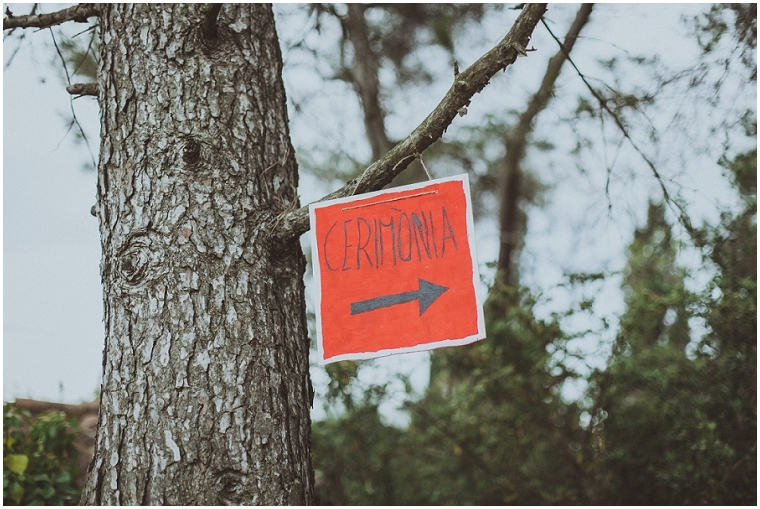 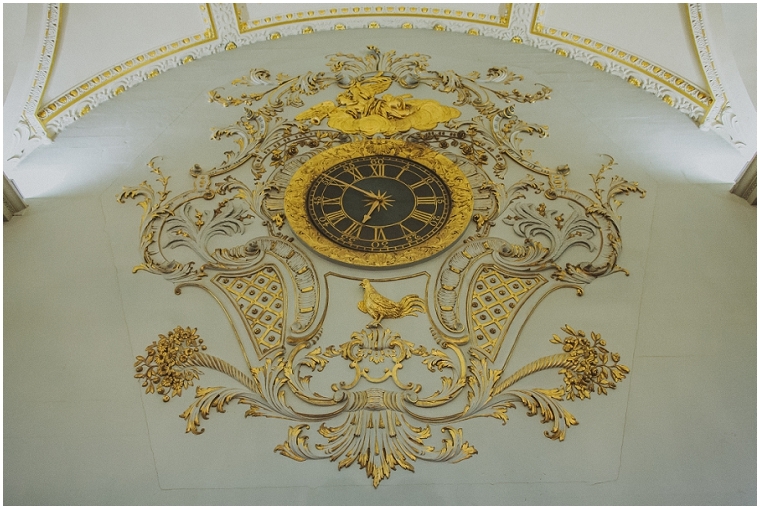 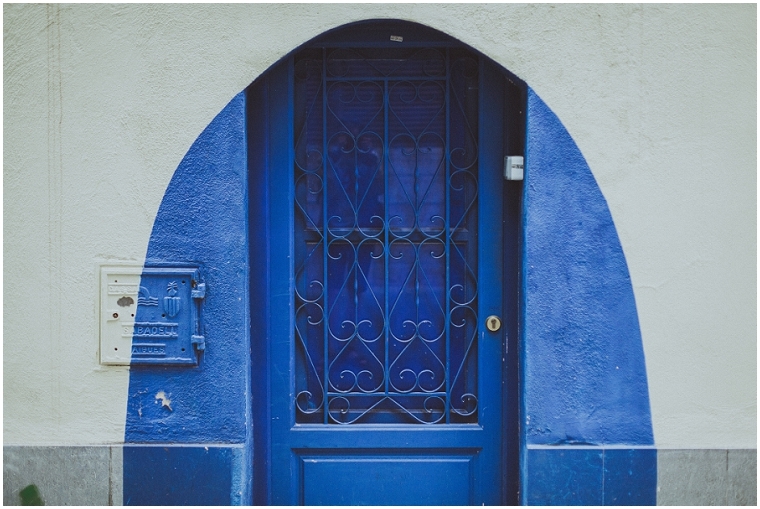 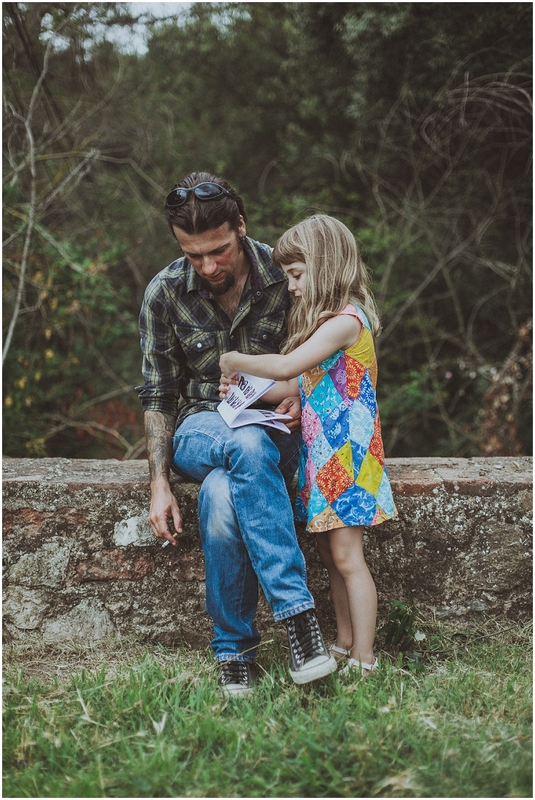 For a bit of reading in English, please scroll down – or just jump to the photos if you are the visual type! 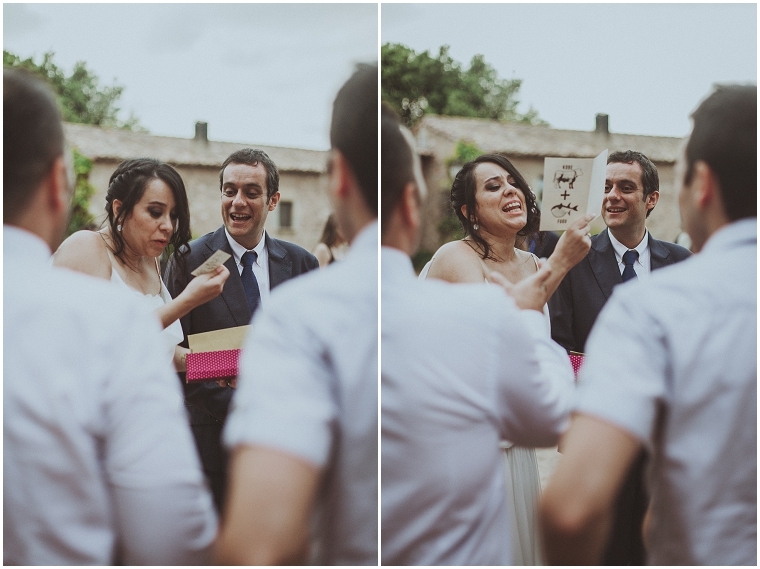 Cuando Natalia y Luis anunciaron que se casaban, todos sabíamos que organizarían una buena fiesta. 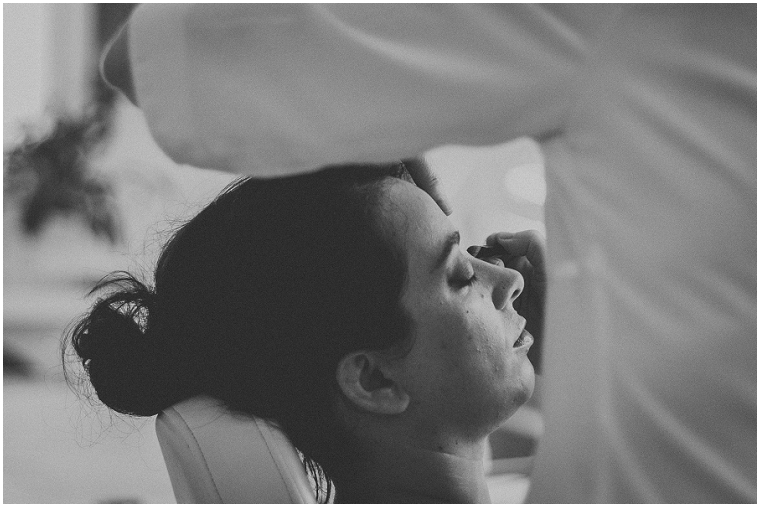 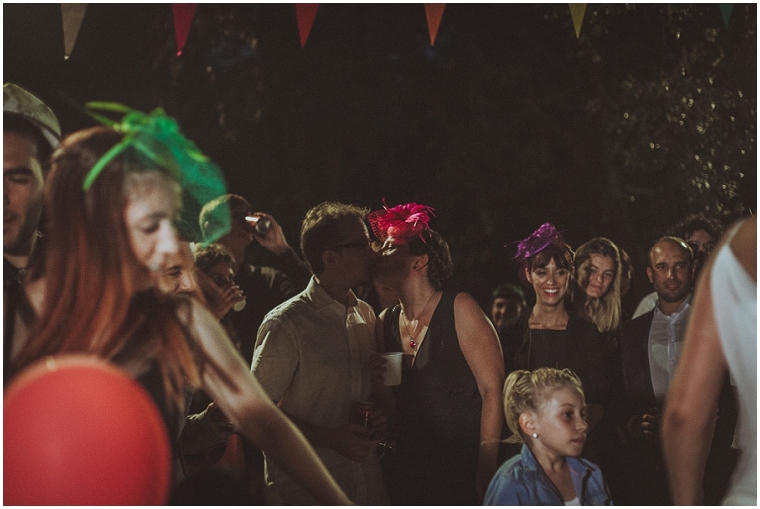 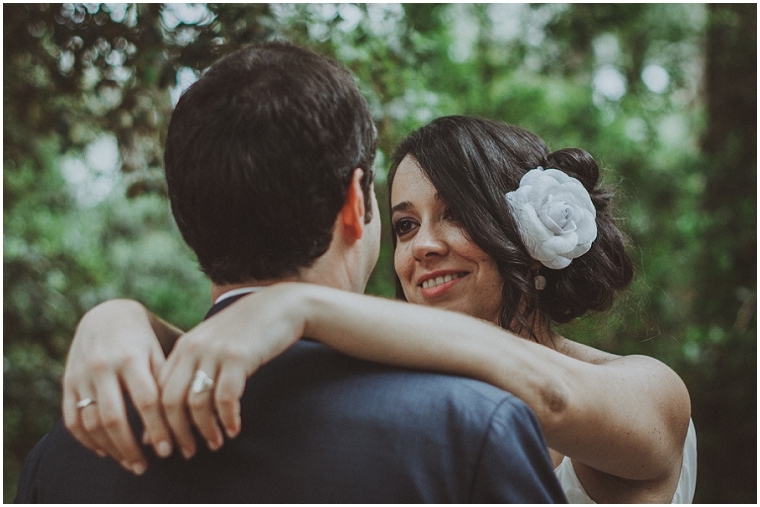 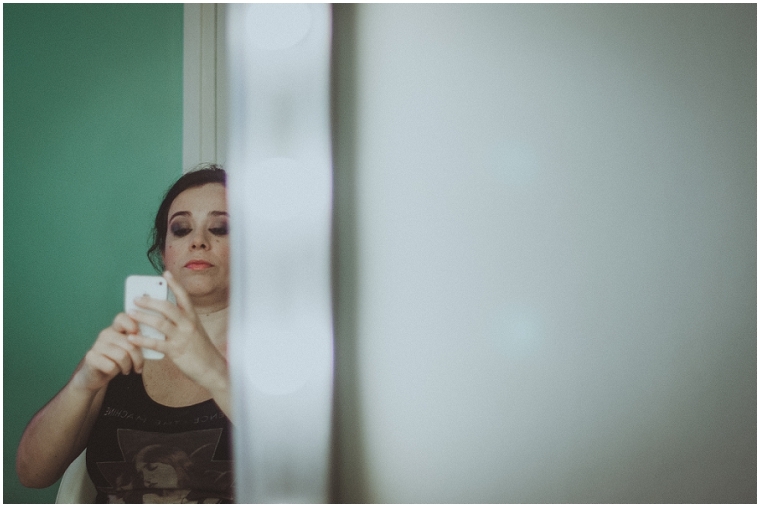 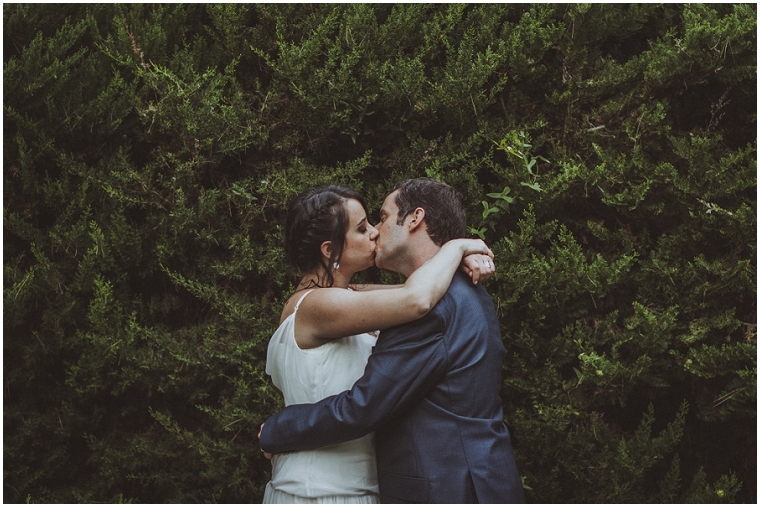 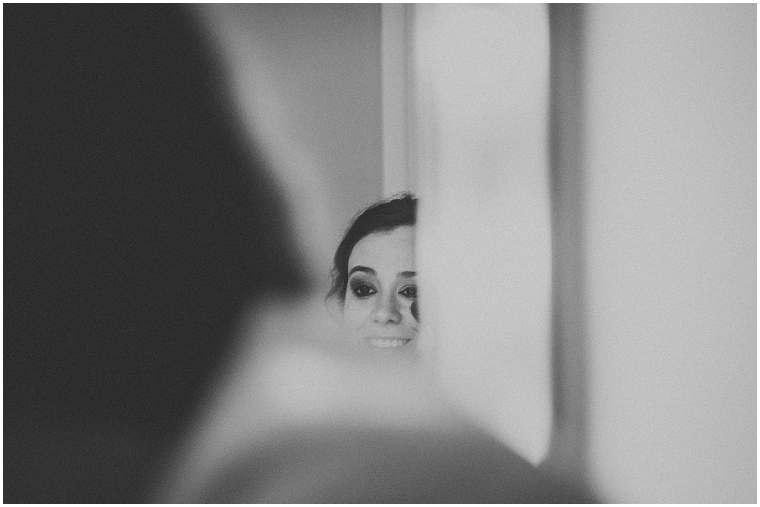 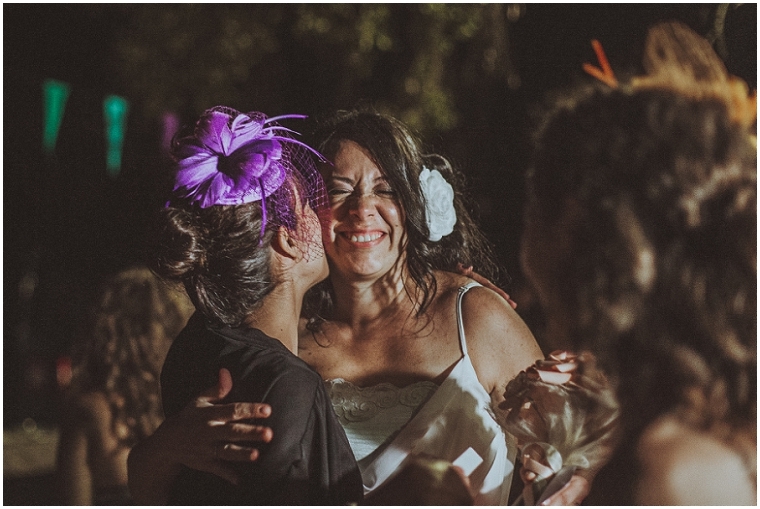 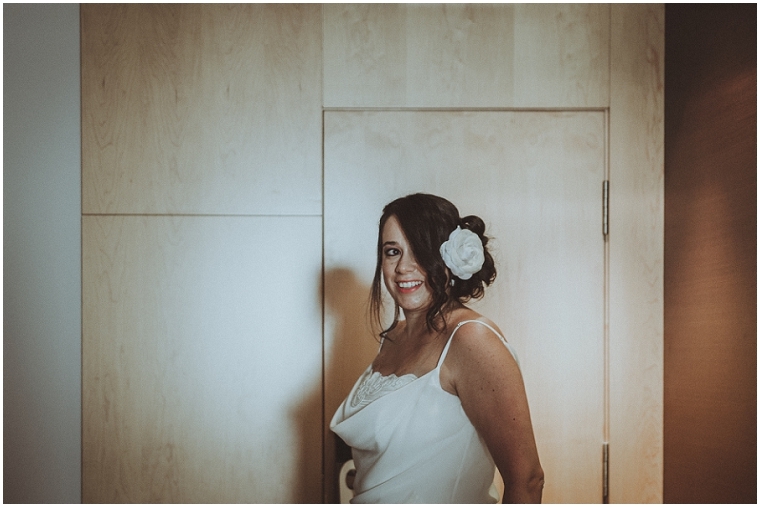 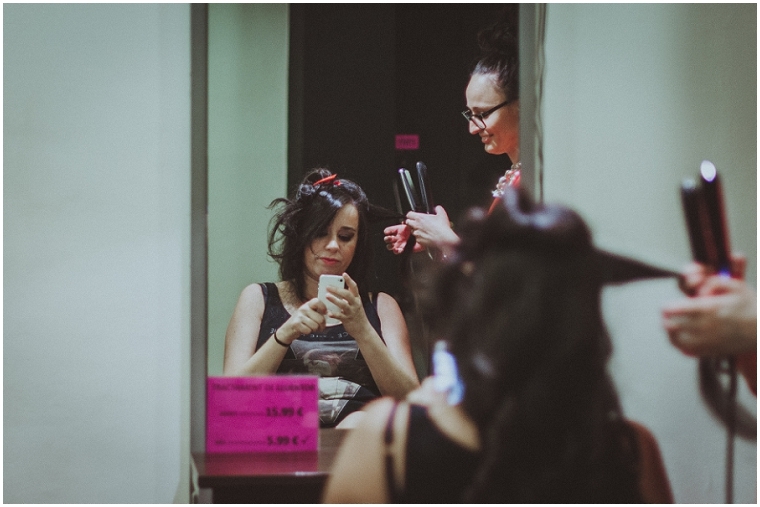 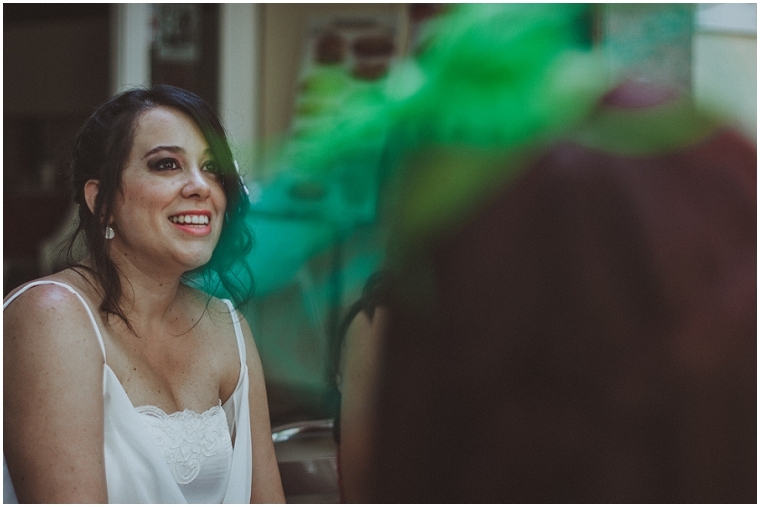 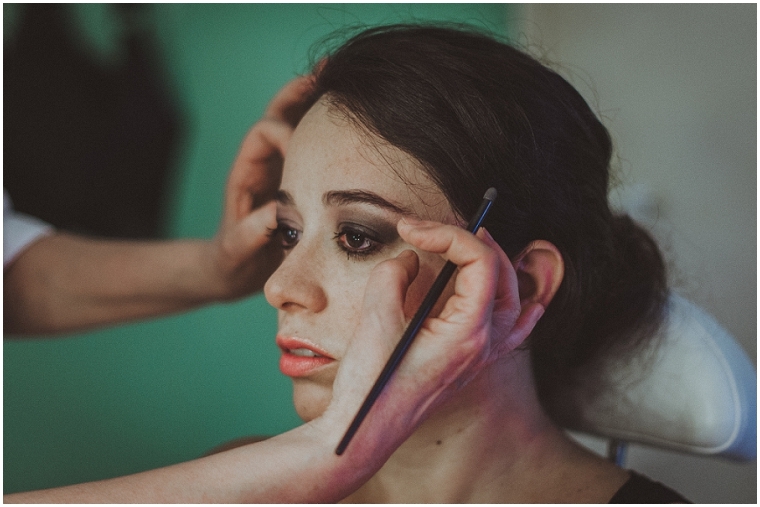 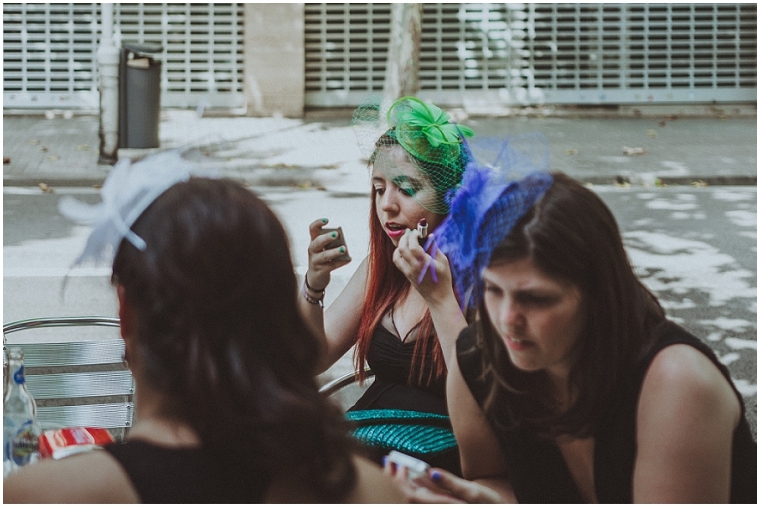 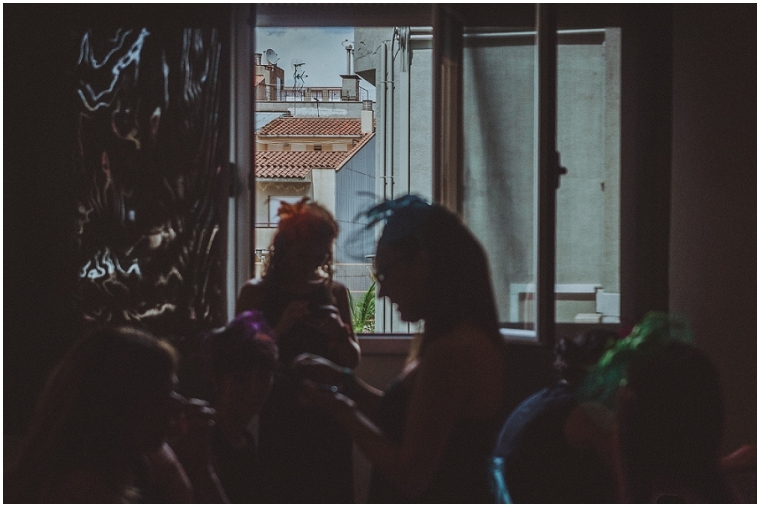 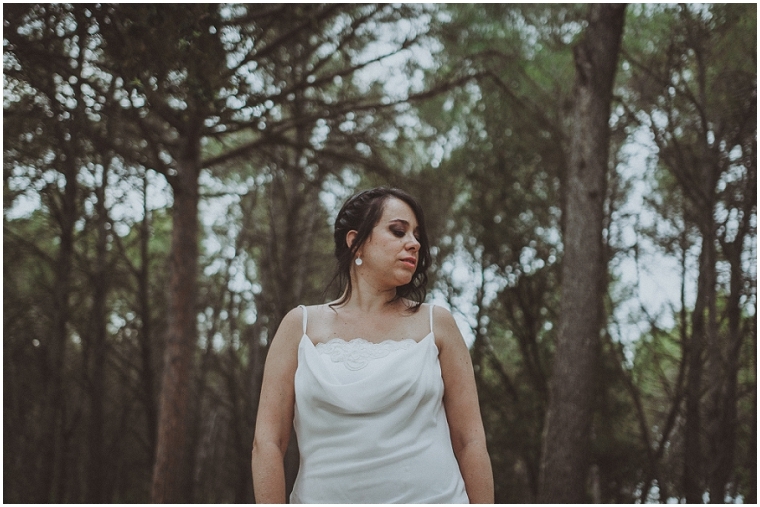 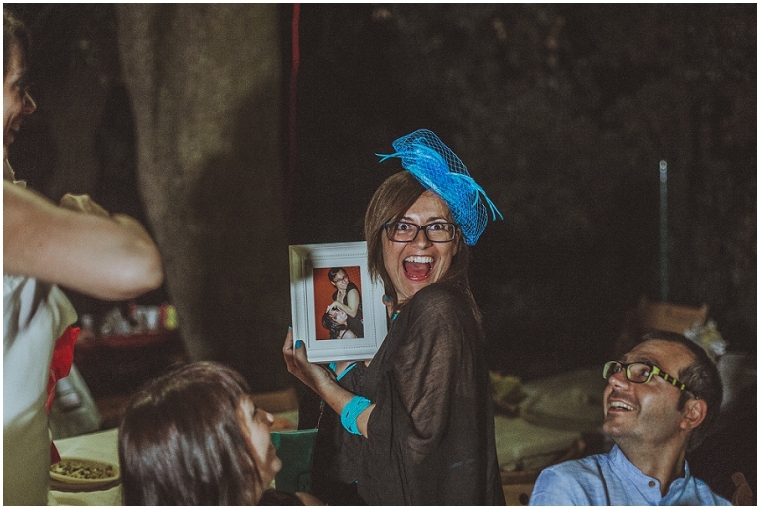 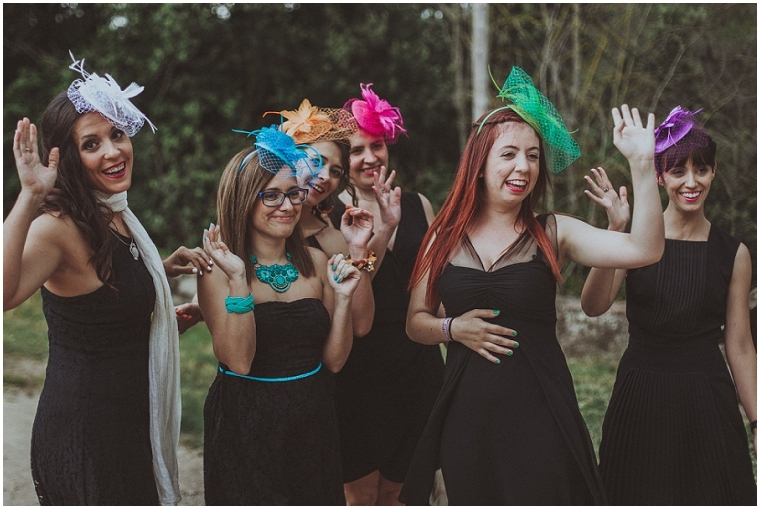 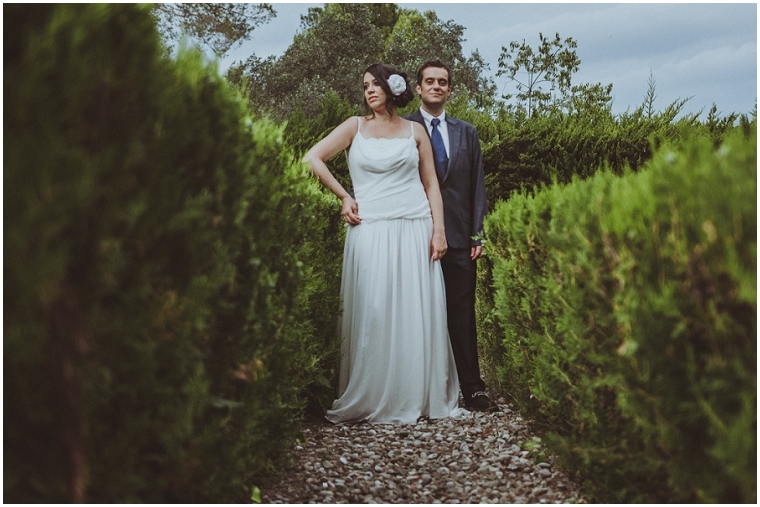 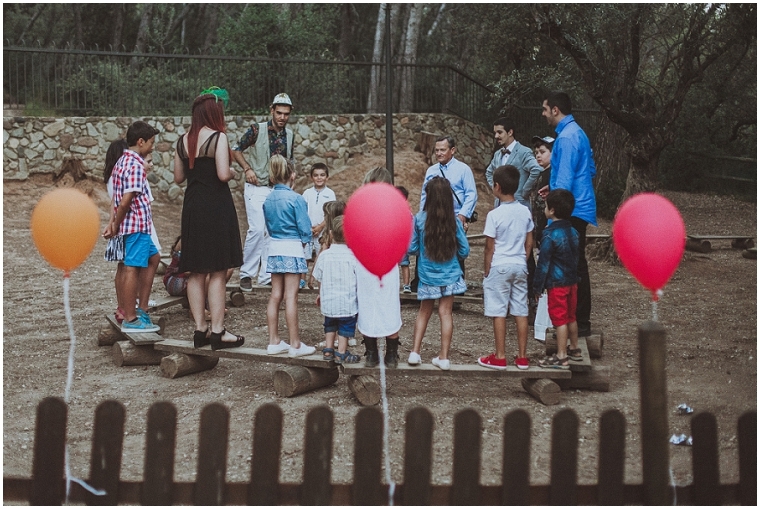 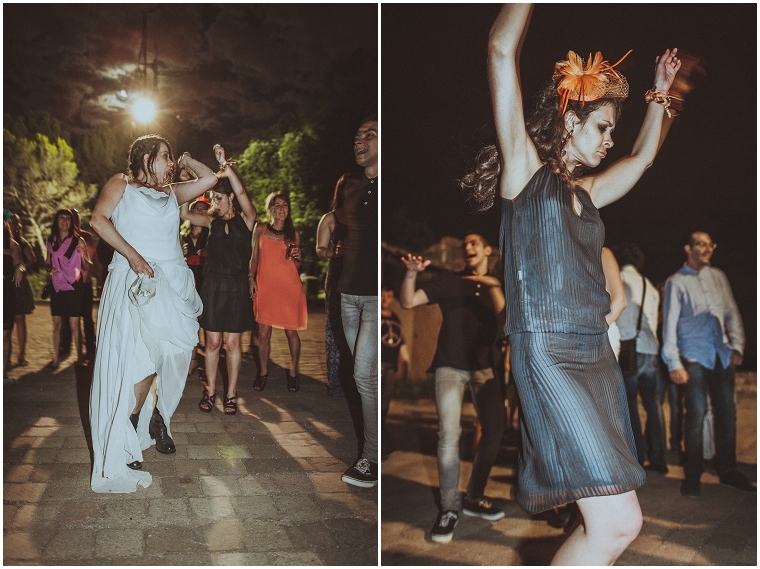 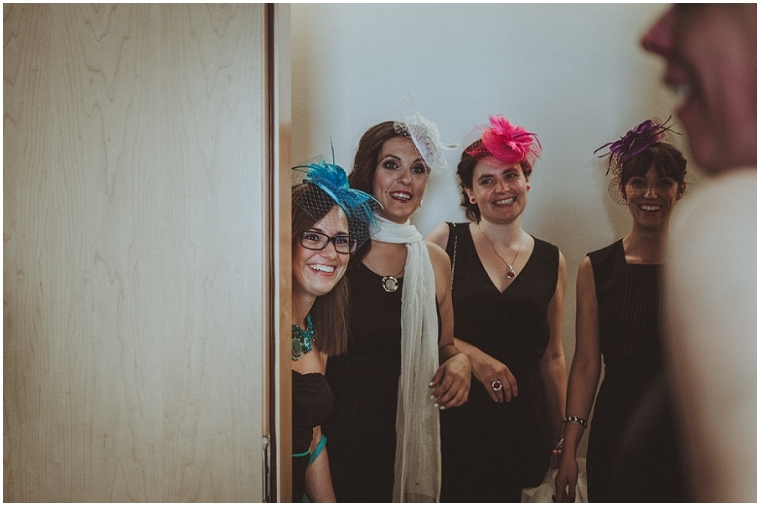 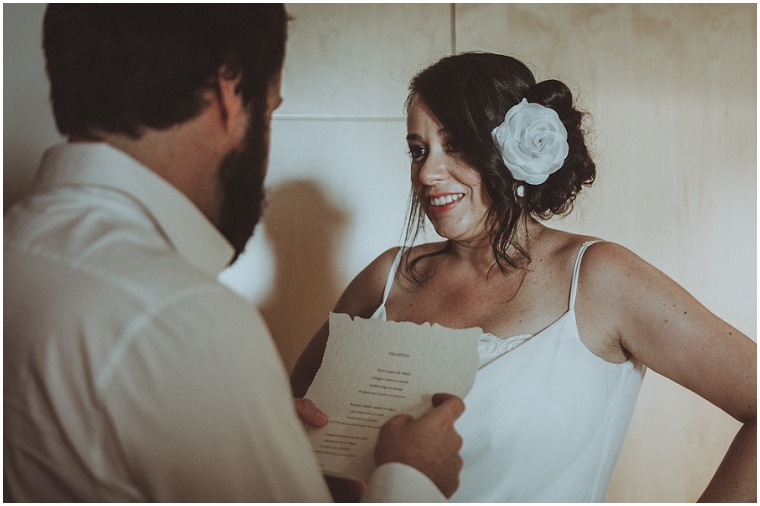 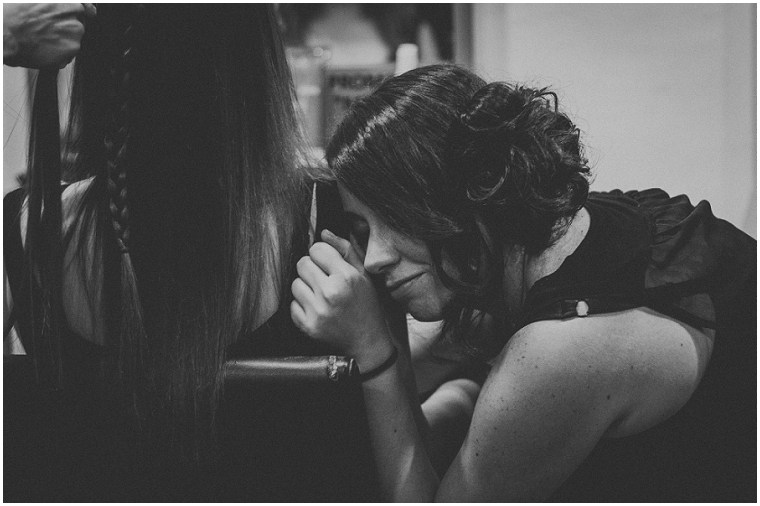 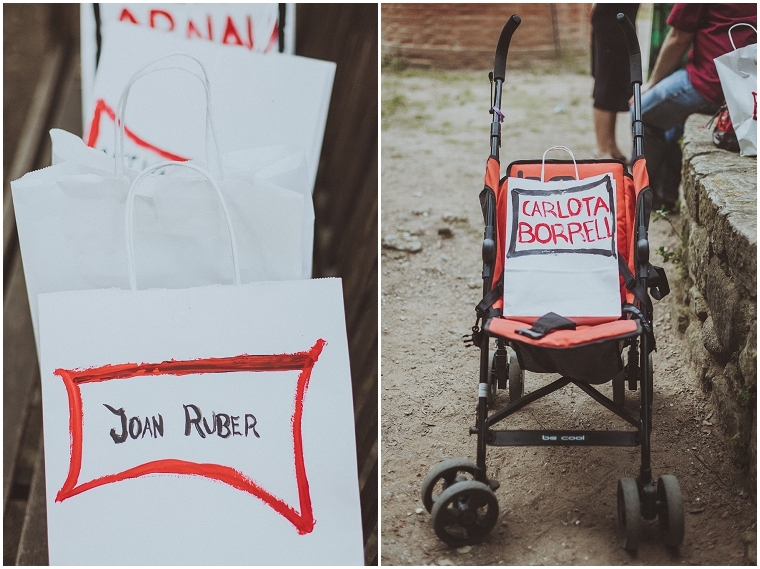 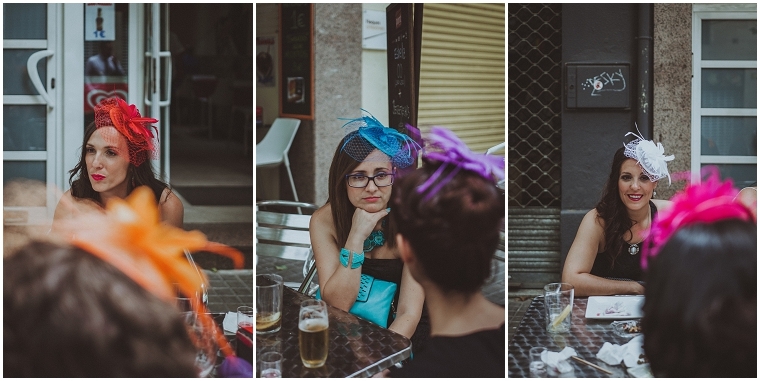 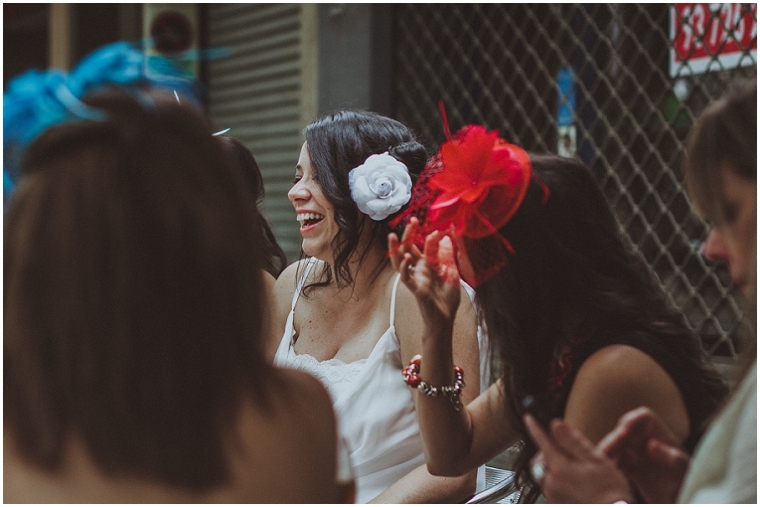 Cuando nos desvelaron algunos de los detalles de antemano (ventajas de ser los fotógrafos), quedó claro que su boda en Sabadell sería como poco, un pelín diferente. 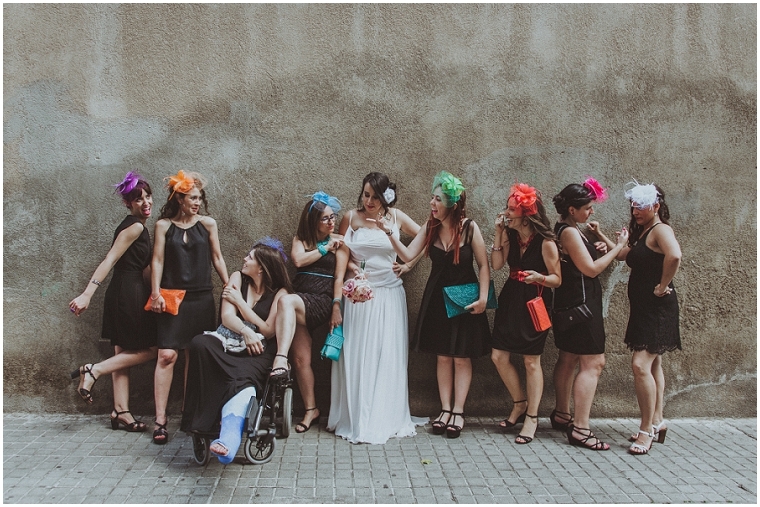 Sin ser una experta en nupcias catalanas, imagino que una novia enfundada en botas que se va de cañas con las damas de honor antes de la boda, una ceremonia con toques teatrales oficiada por amigos o el presentar los anillos en la barita de Harry Potter no es material típico de bodas en Cataluña. 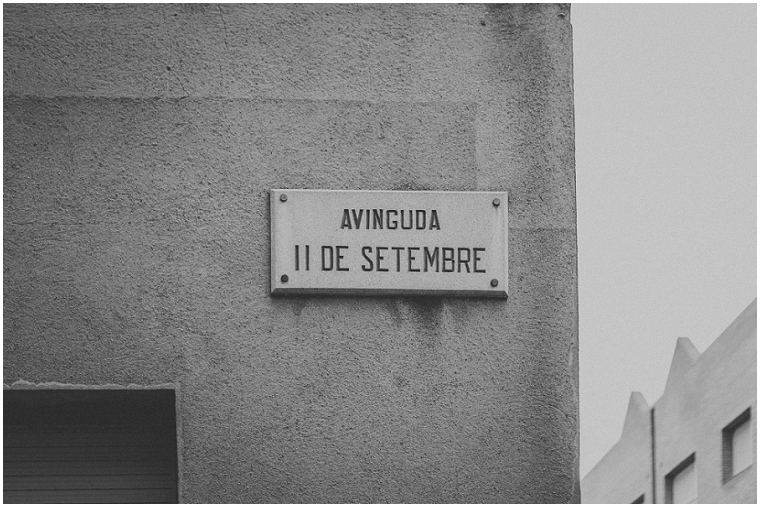 ¿O me equivoco? 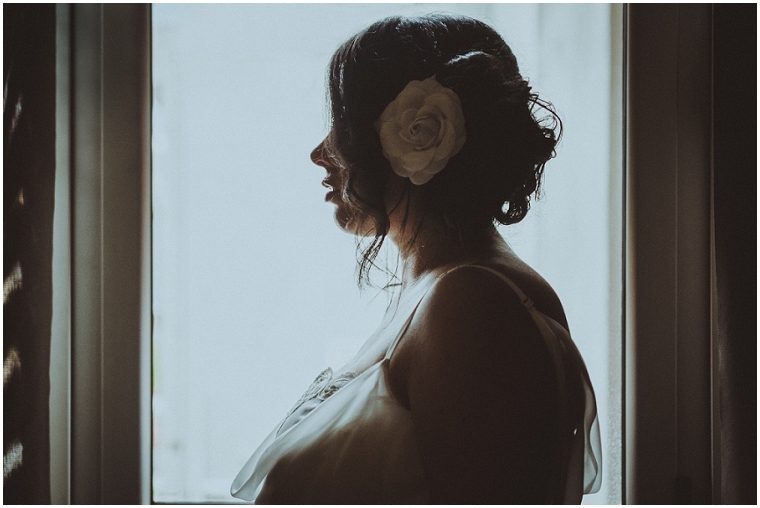 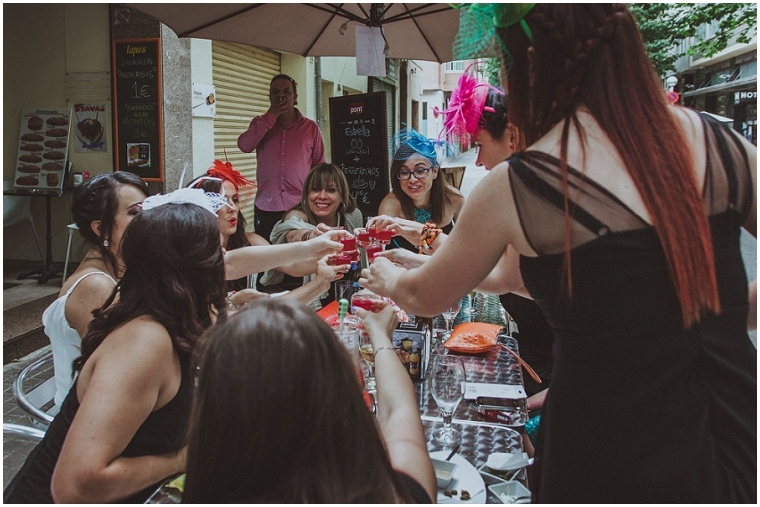 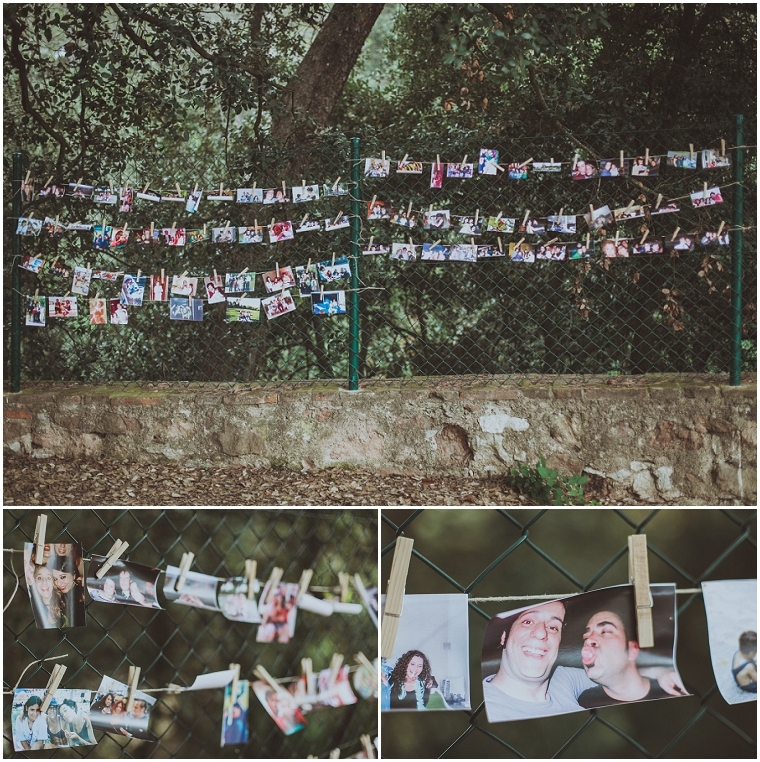 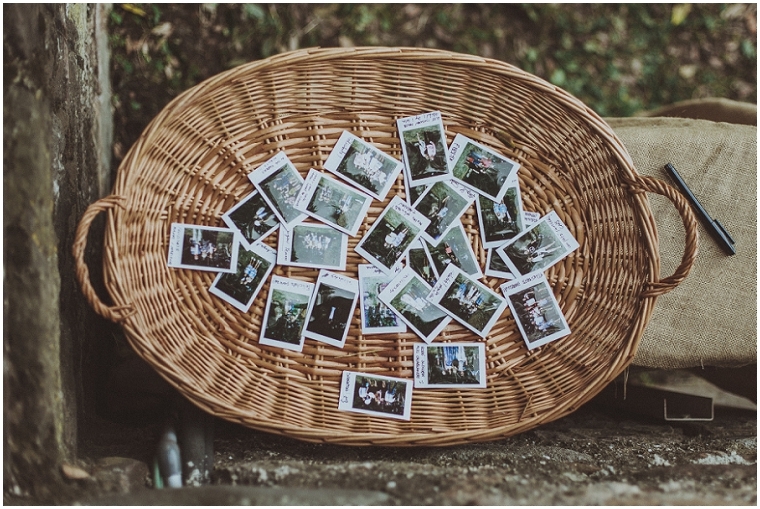 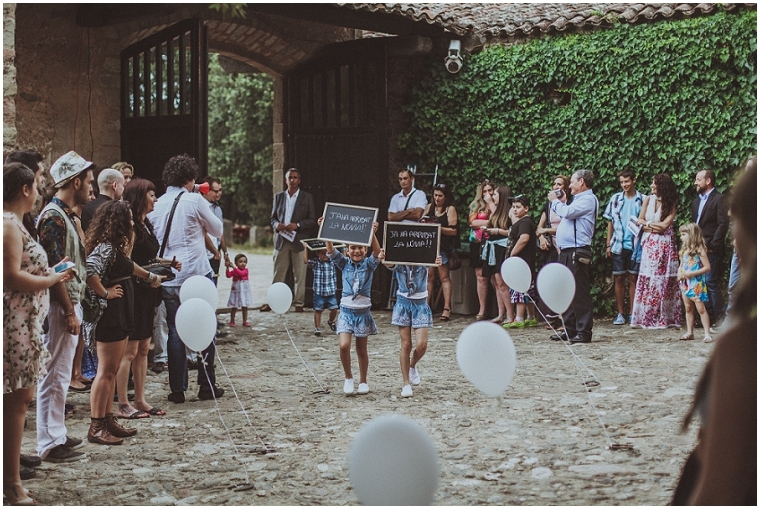 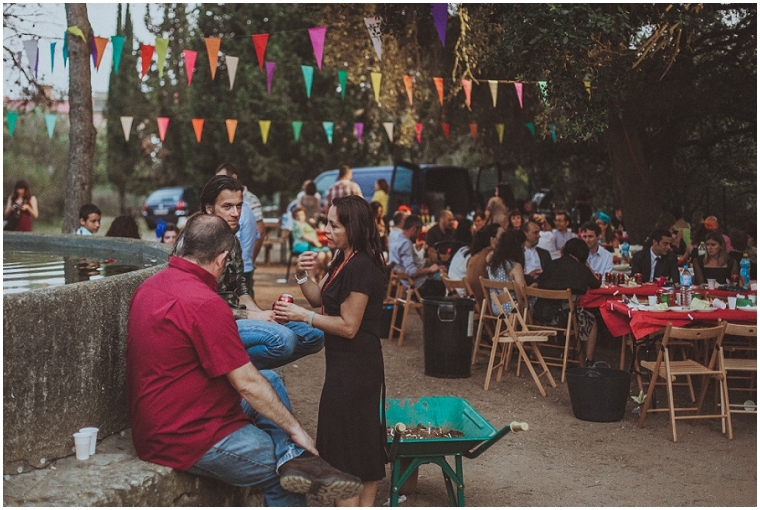 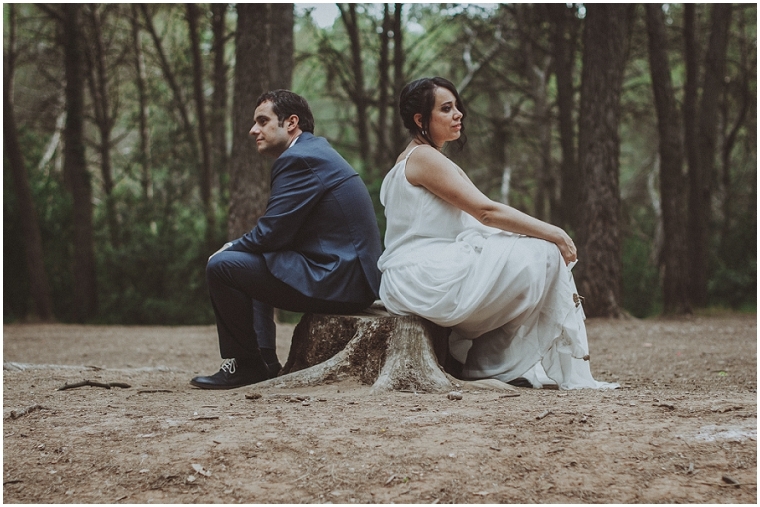 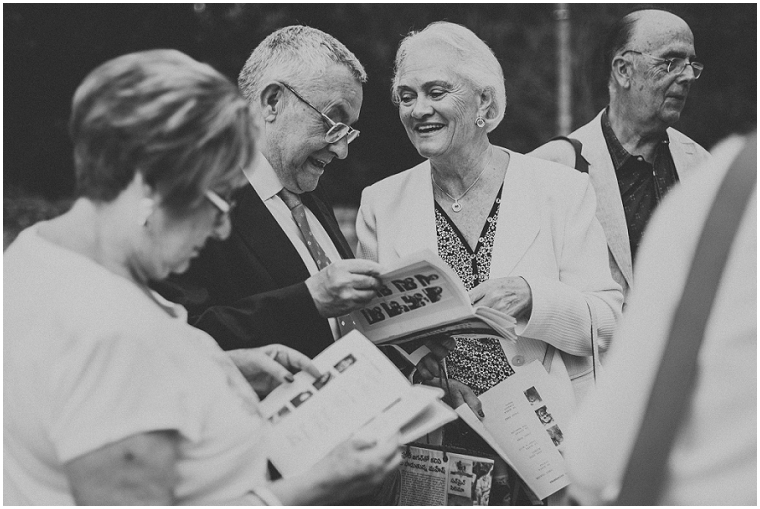 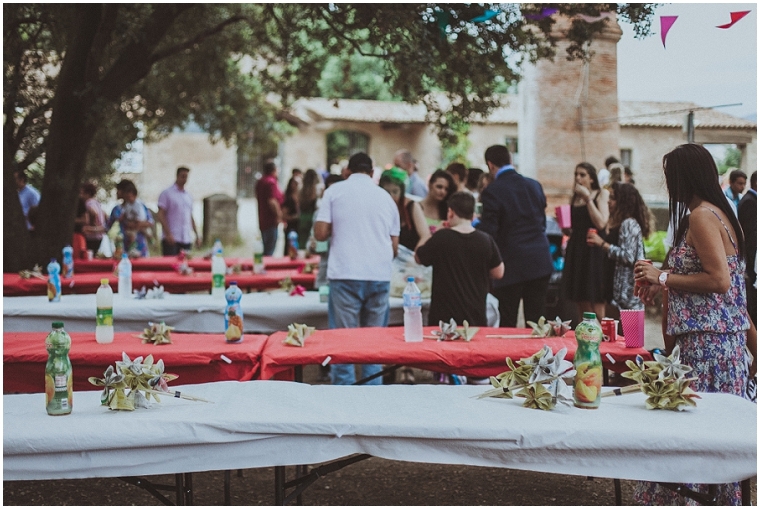 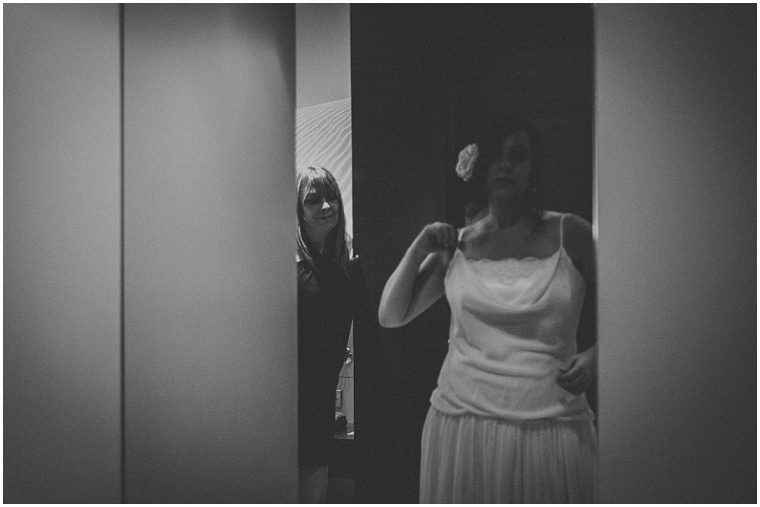 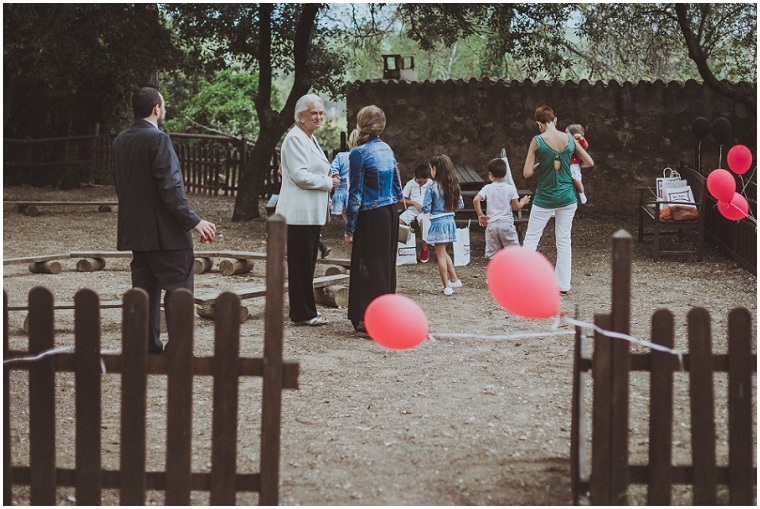 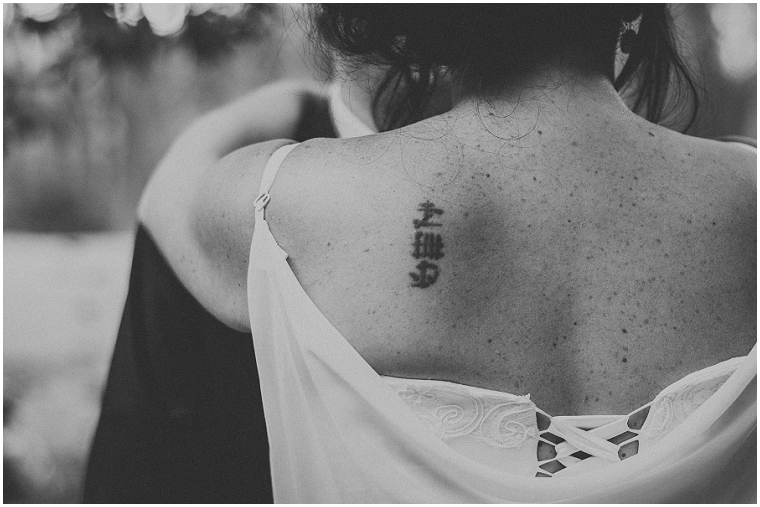 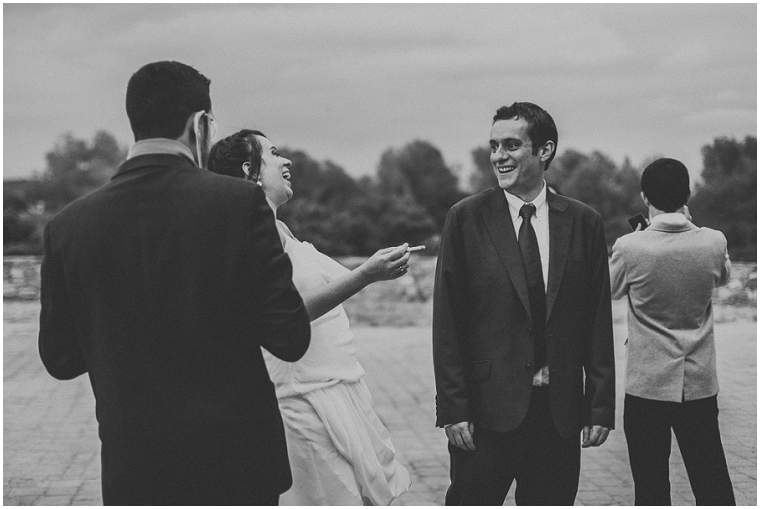 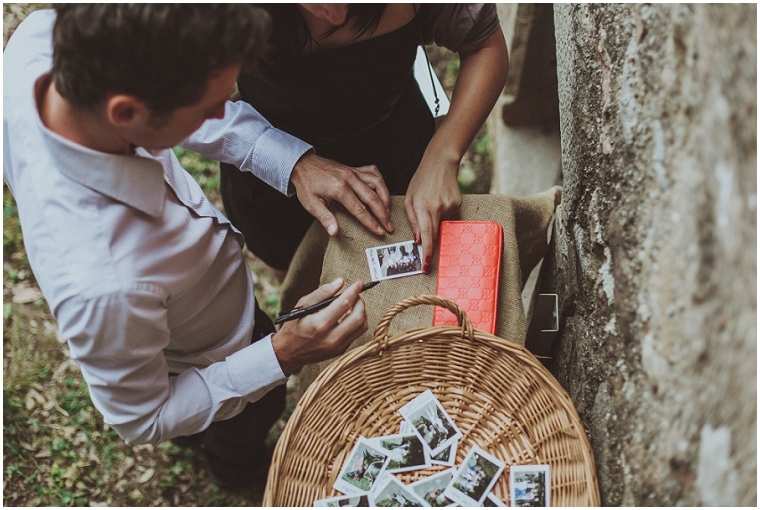 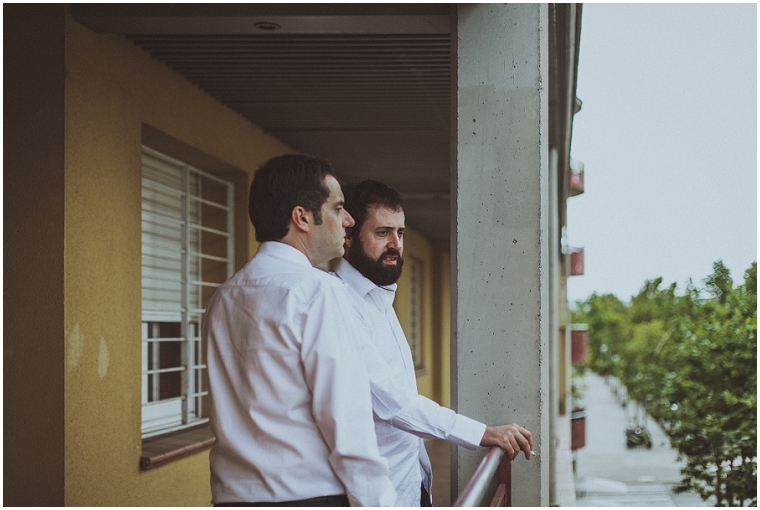 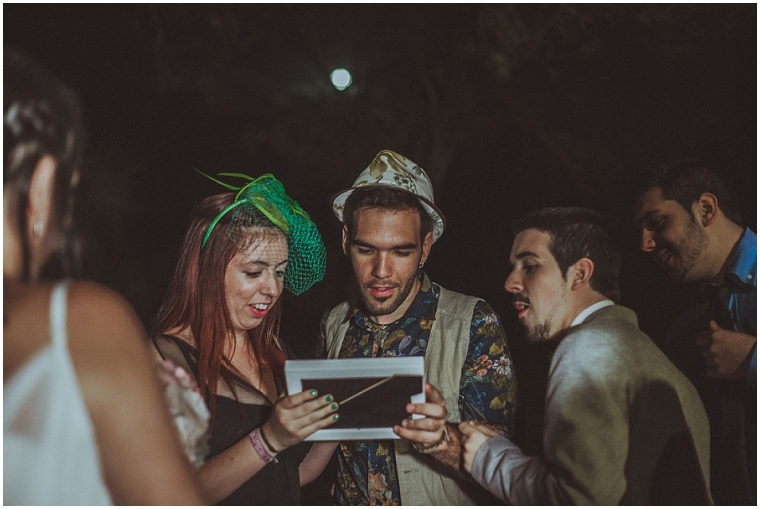 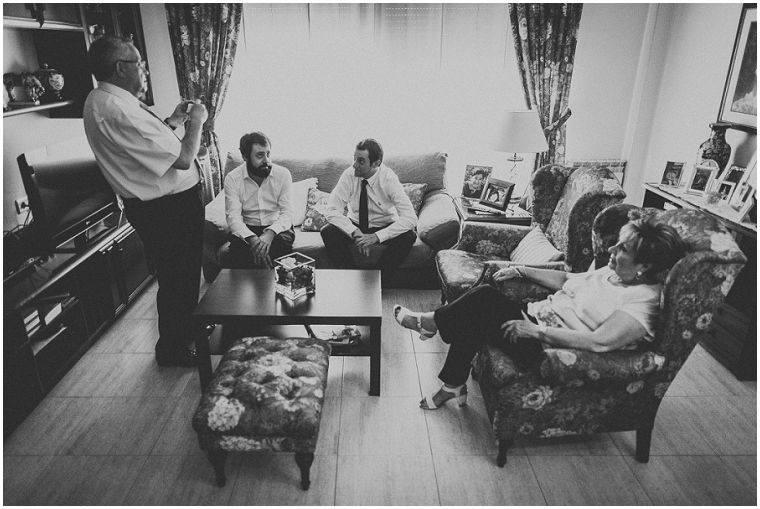 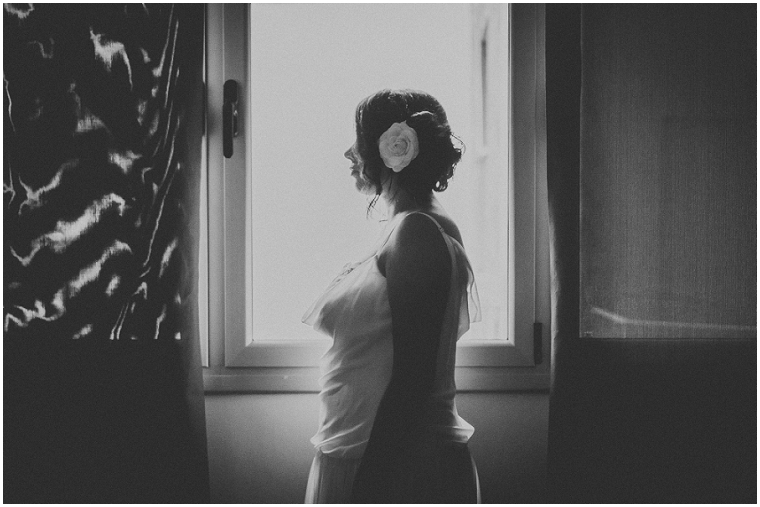 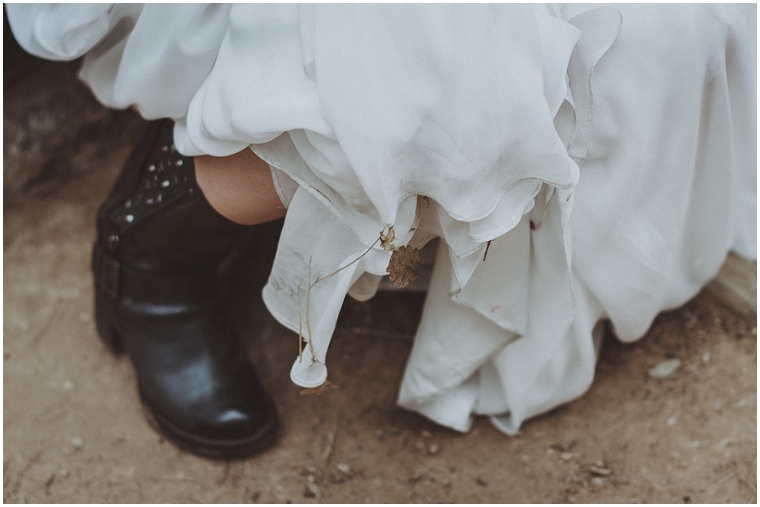 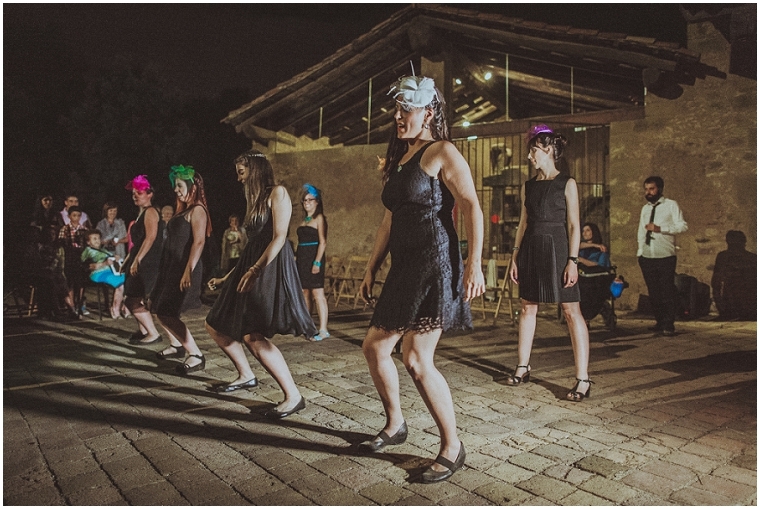 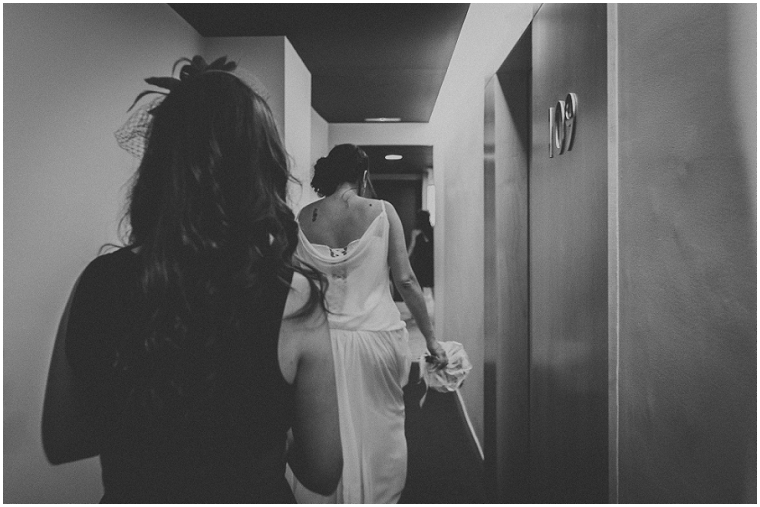 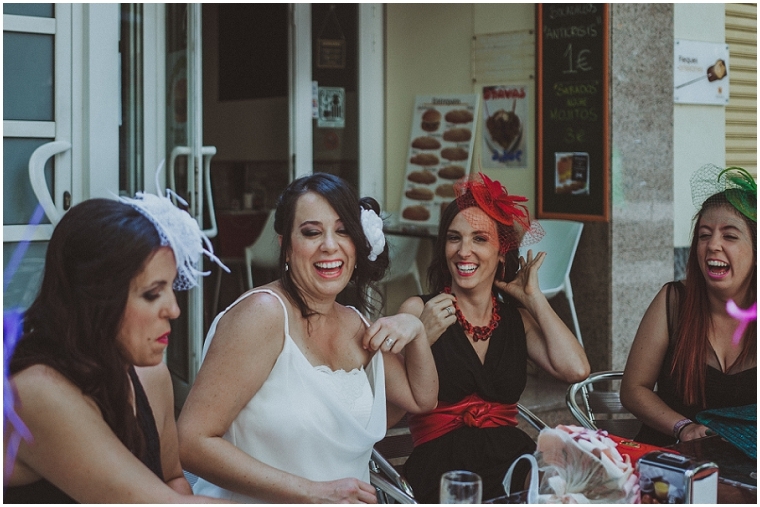 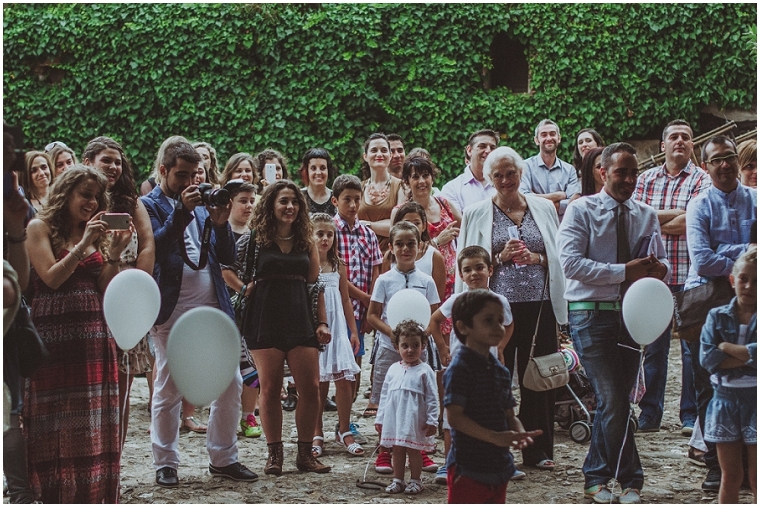 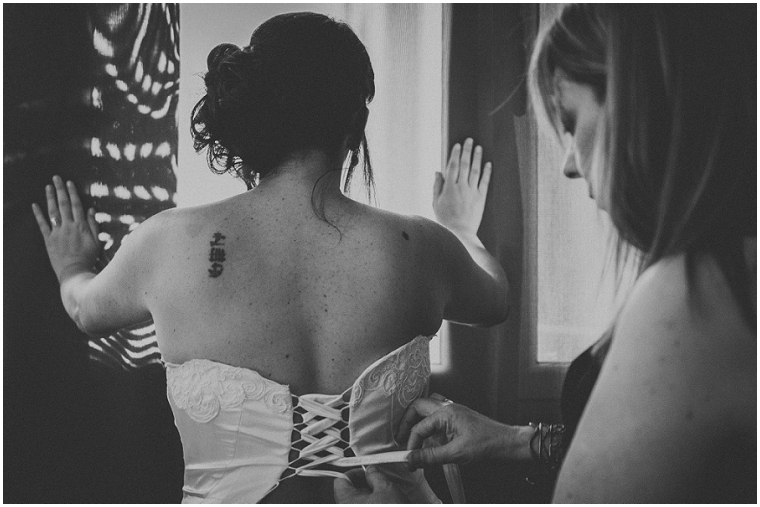 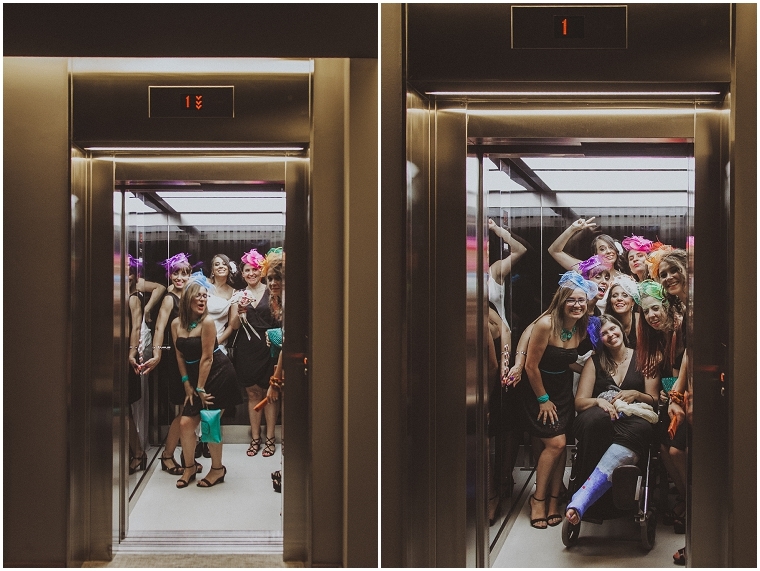 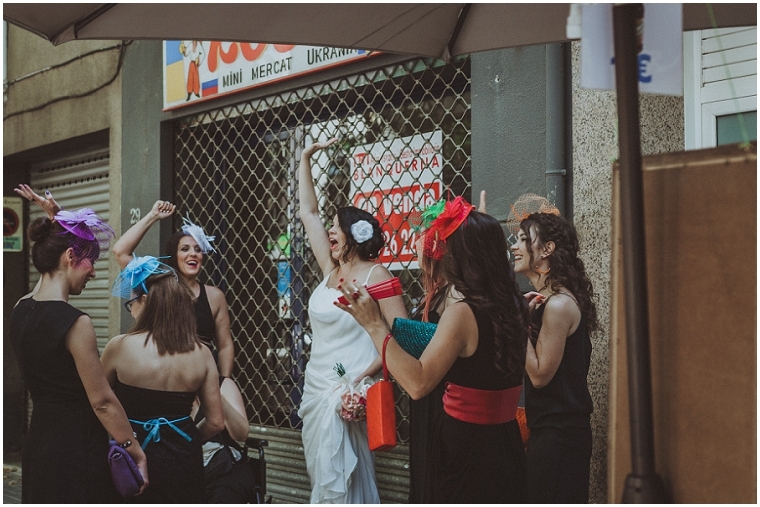 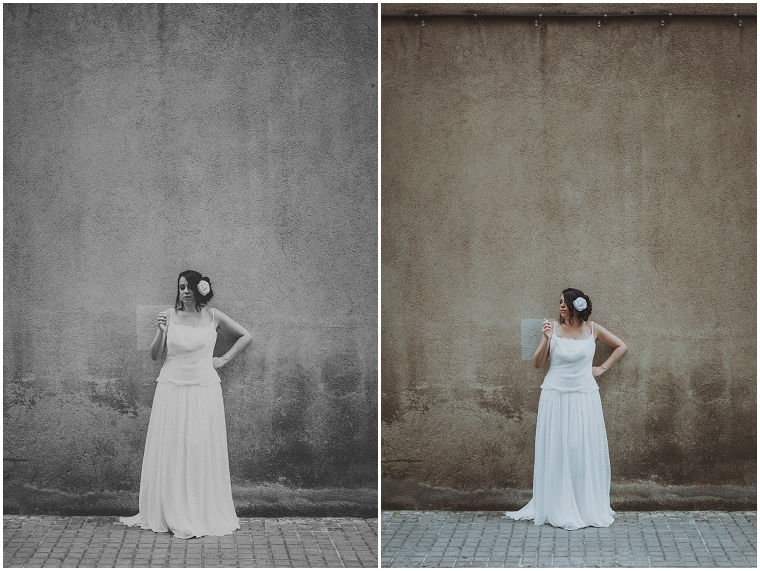 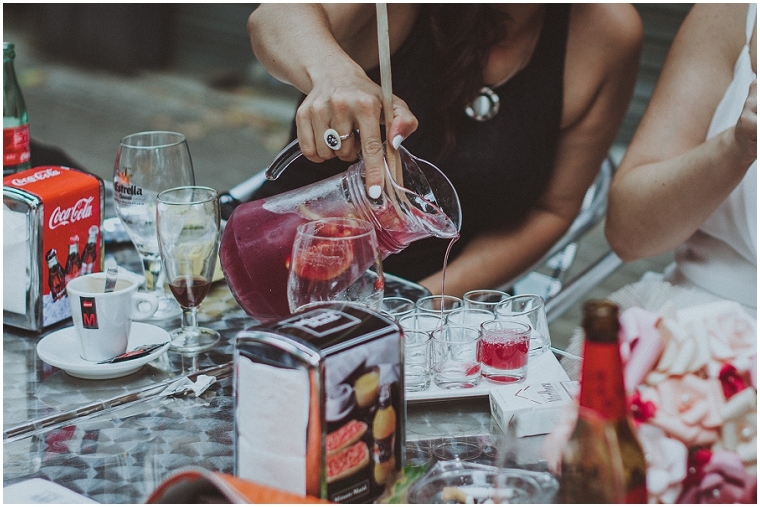 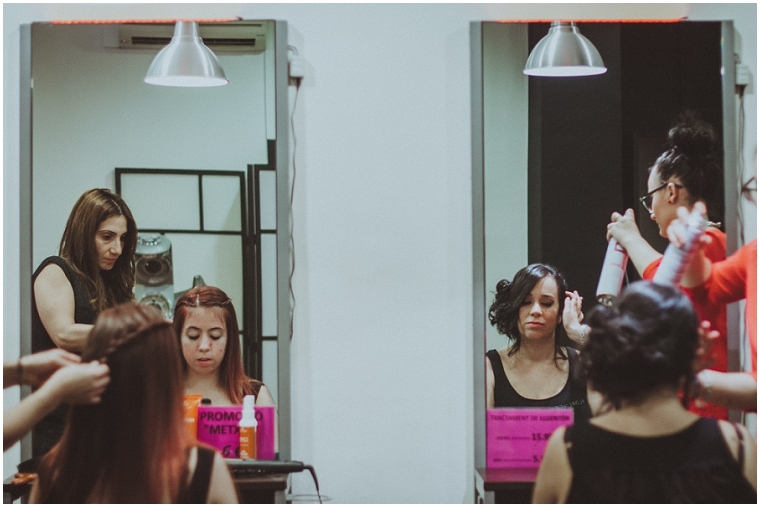 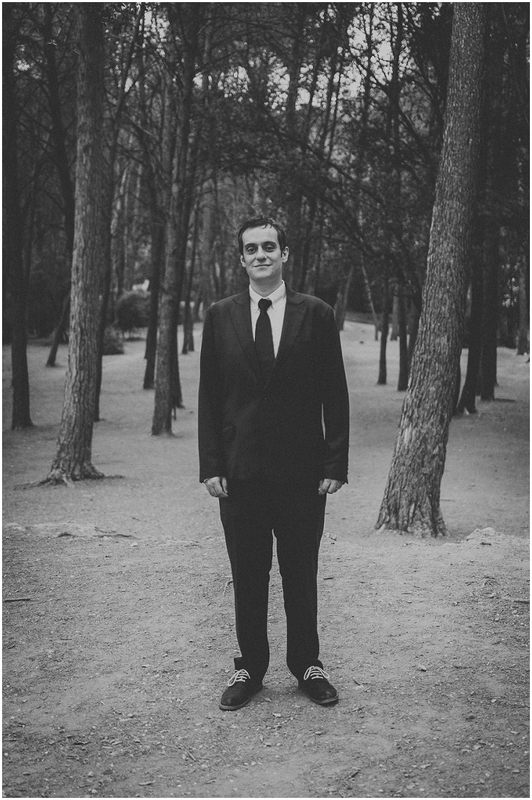 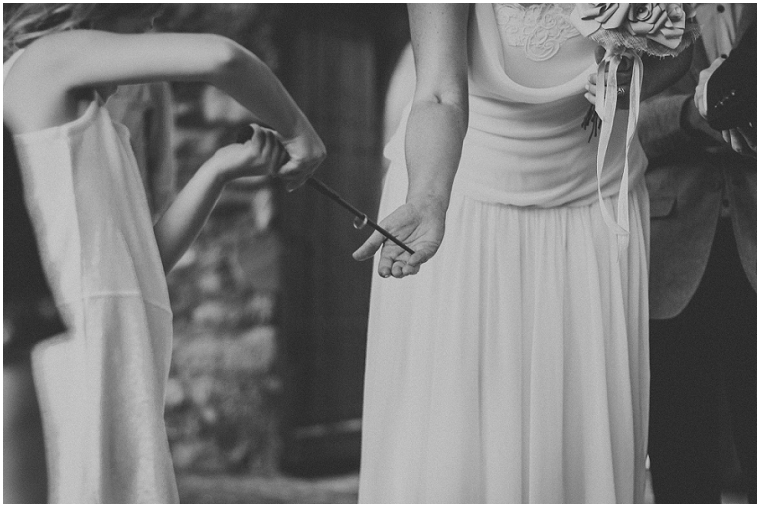 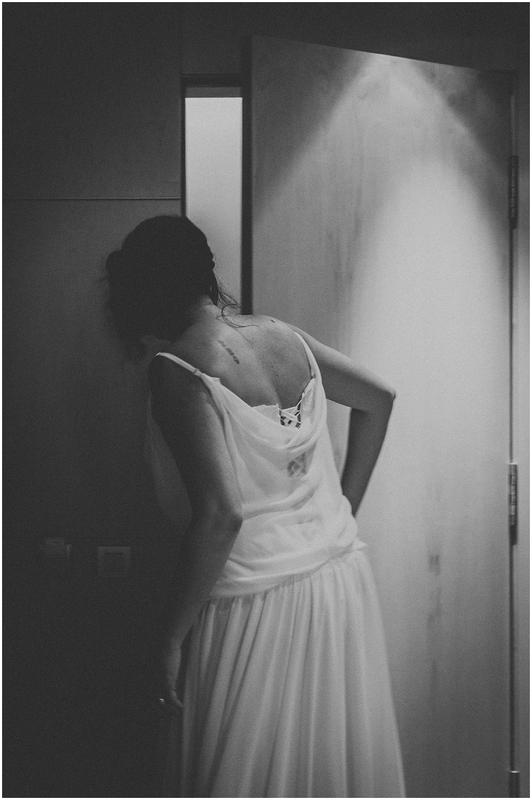 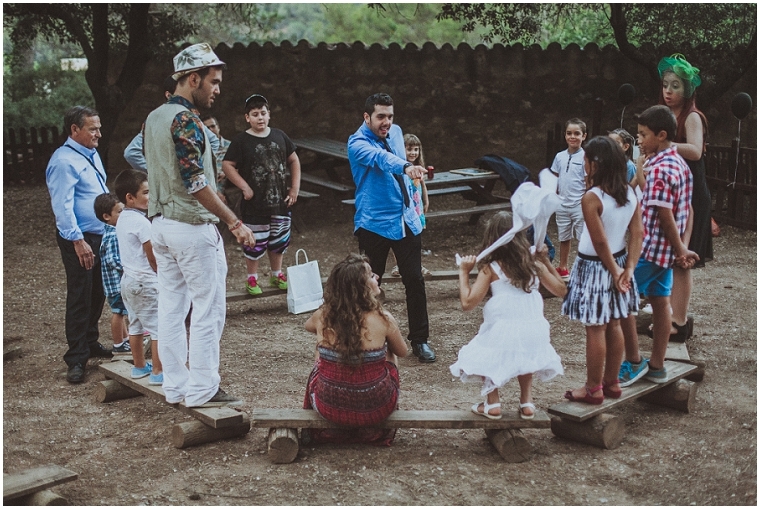 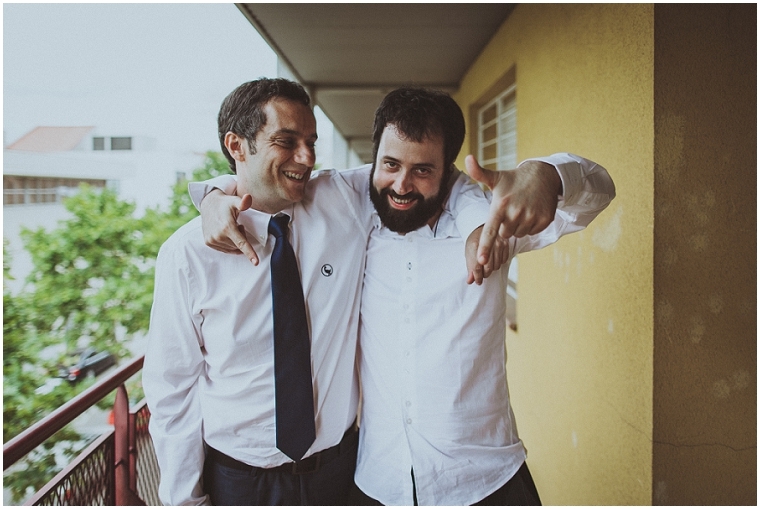 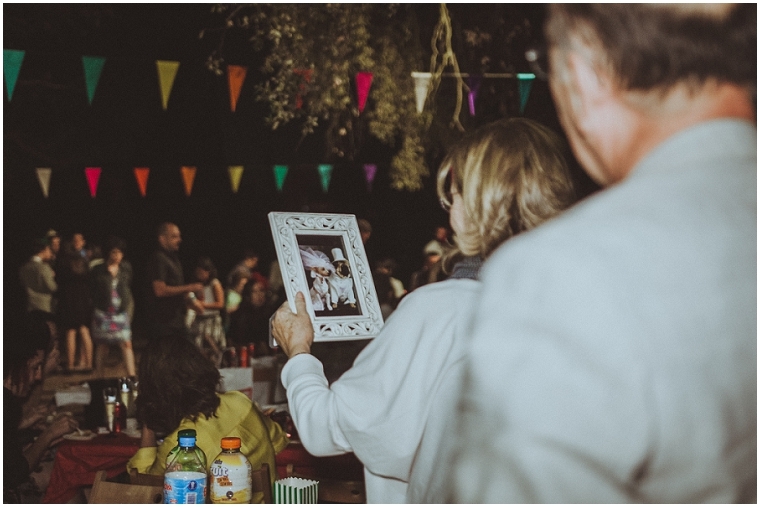 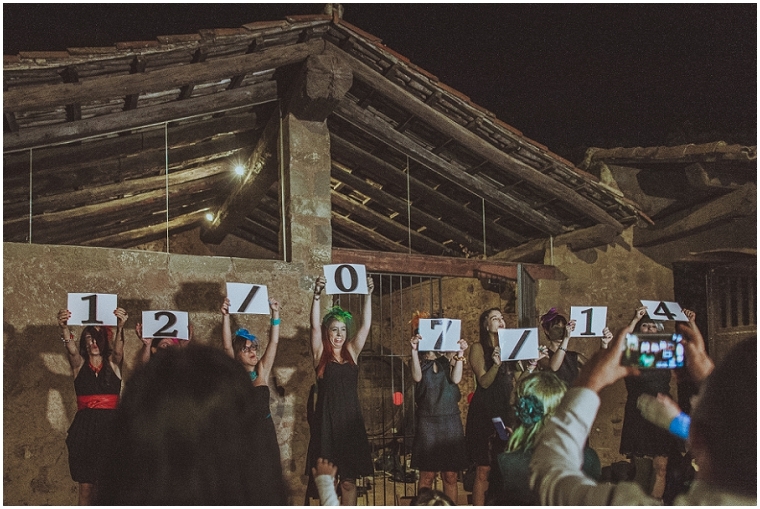 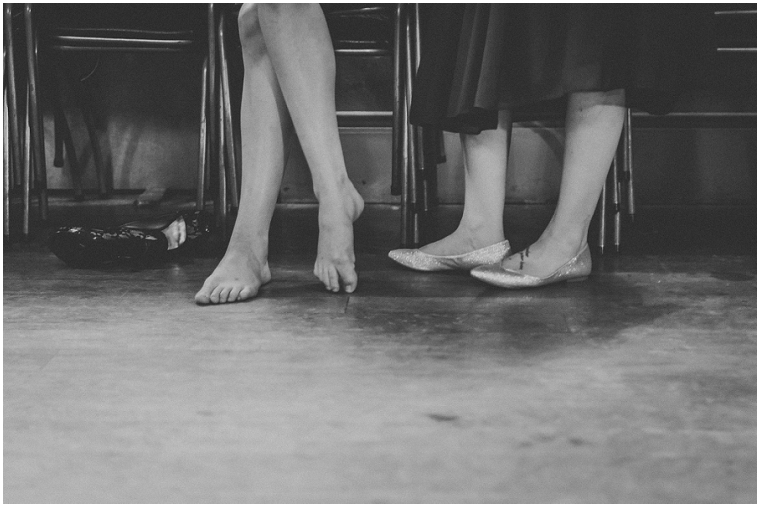 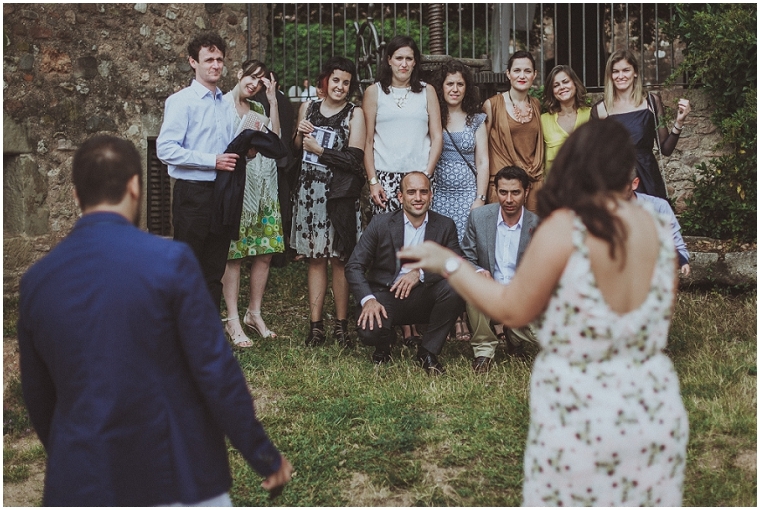 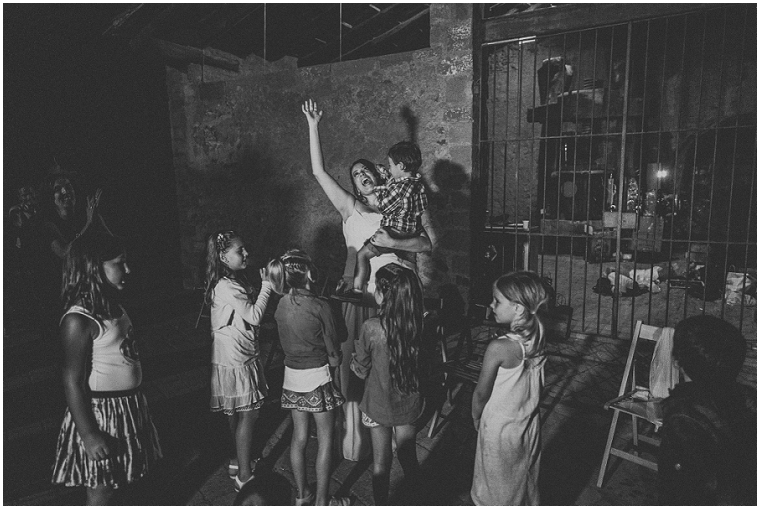 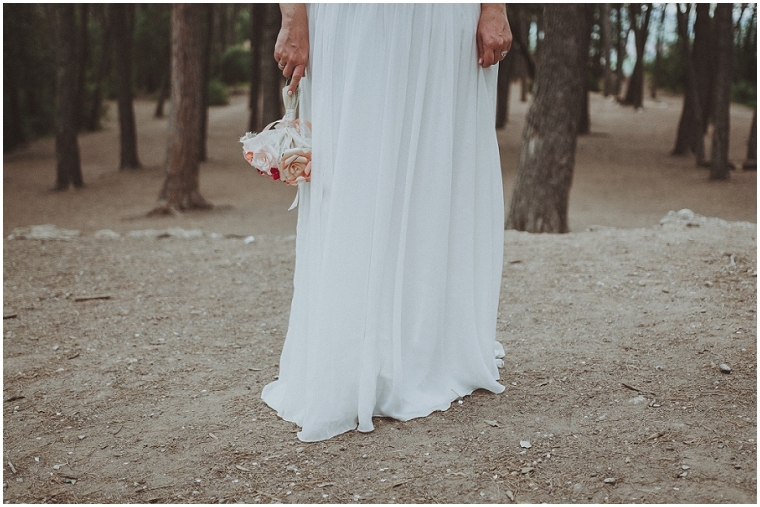 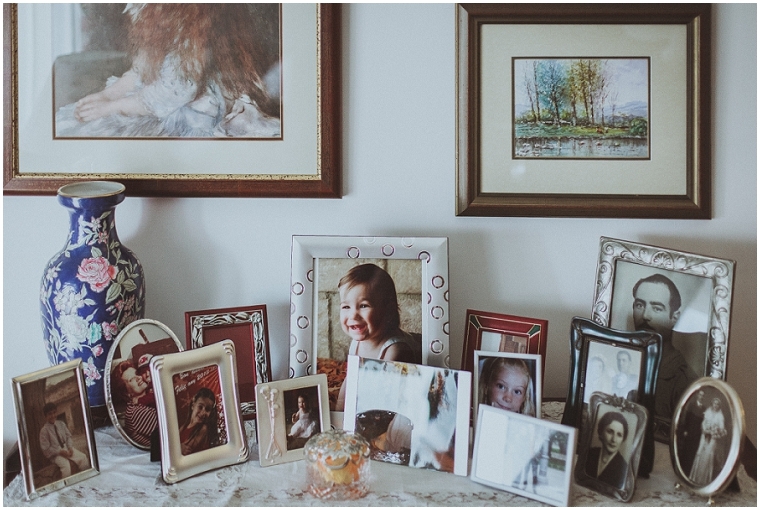 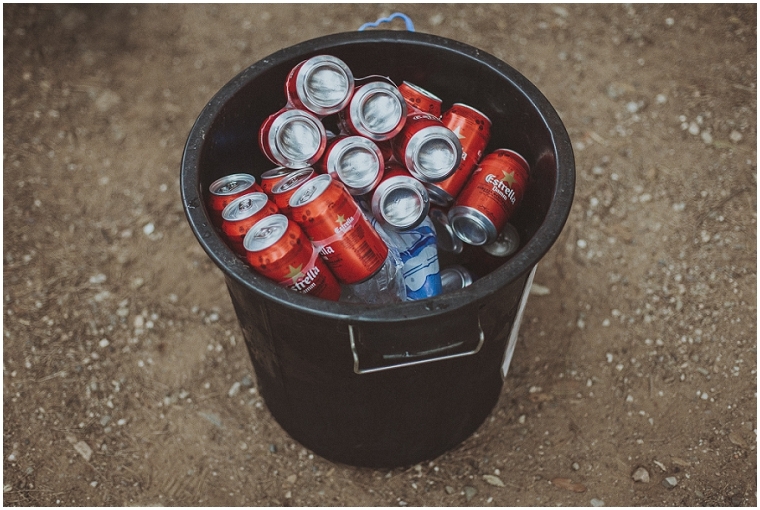 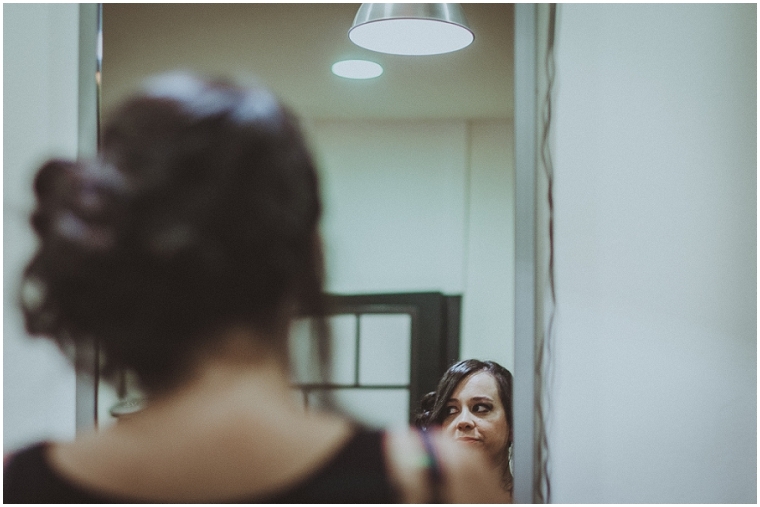 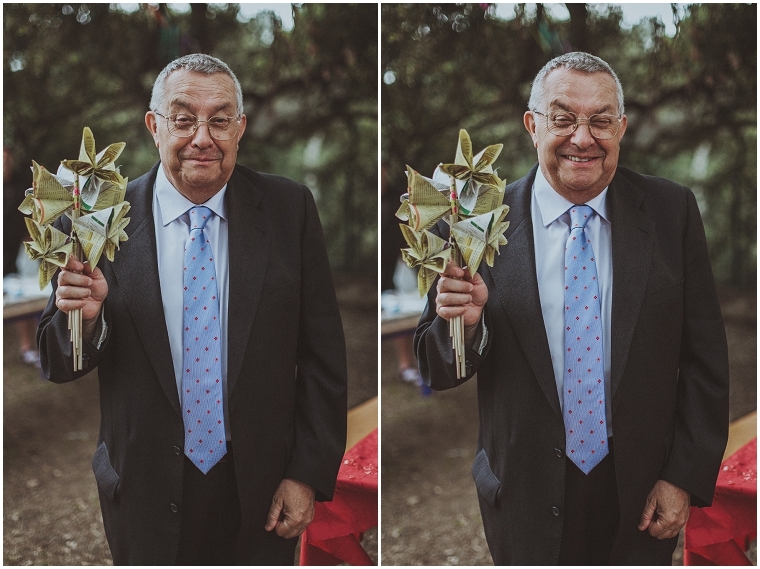 A nosotros, que no nos consideramos fotógrafos tradicionales para nada, a quienes nos encantan las bodas alternativas y las parejas que piensan más allá de la norma, nos entusiasmaron sus planes para el gran día. 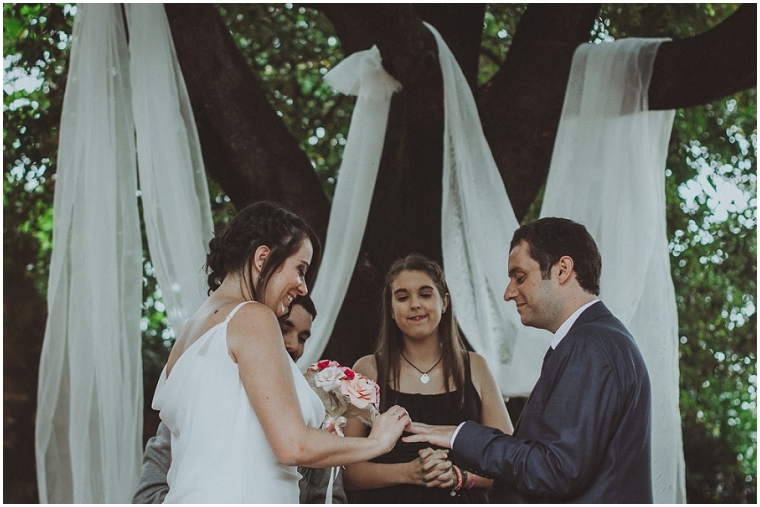 ¡Y que día fue aquel! 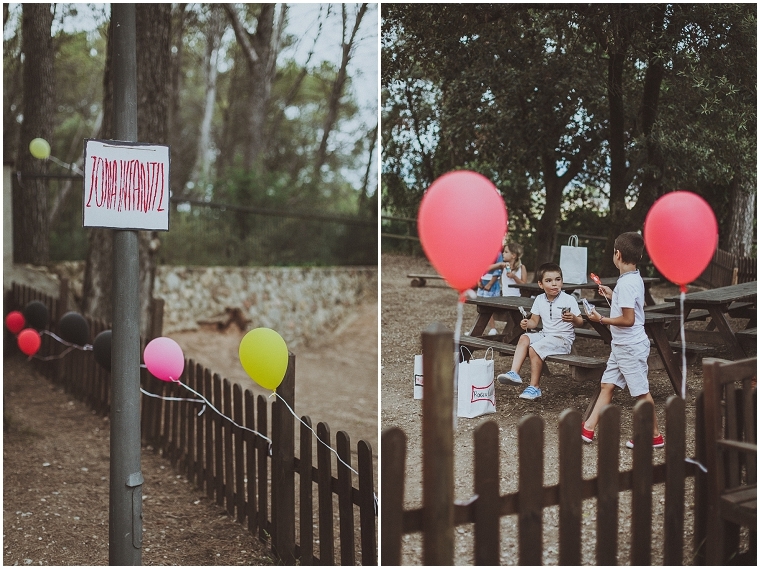 La boda de Natalia y Luis en la Masía de Can Deu fue una gran celebración veraniega, desenfadada y divertidísima. 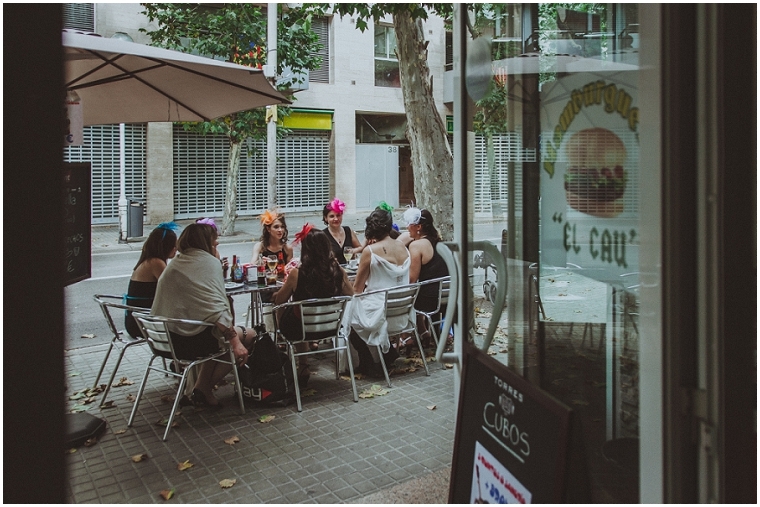 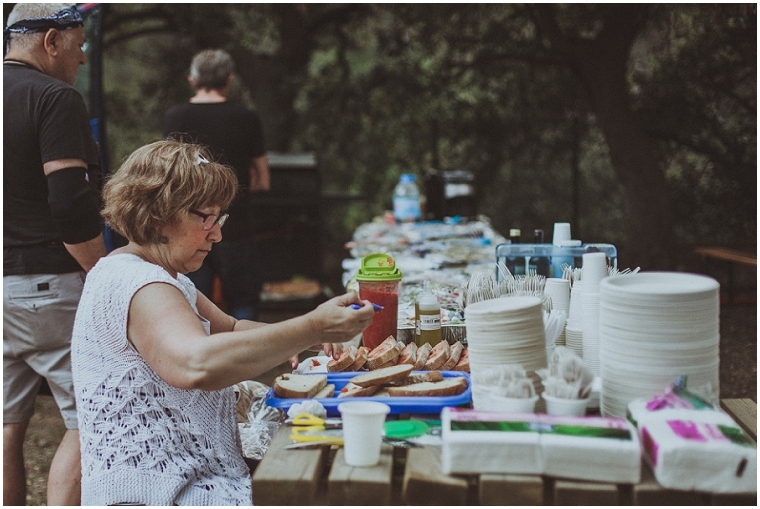 Todos nos sentamos al aire libre a comernos unas hamburguesas buenísimas y para los que aguantaron, el baile y la fiesta duraron hasta bien entrada la noche – o la mañana, según como se mire. 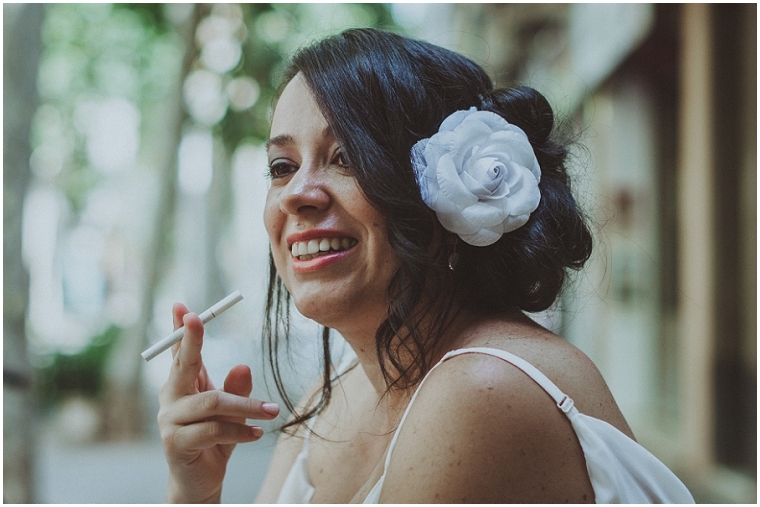 Un día pensado para que tanto los mayores como los críos pasaran un buen rato. 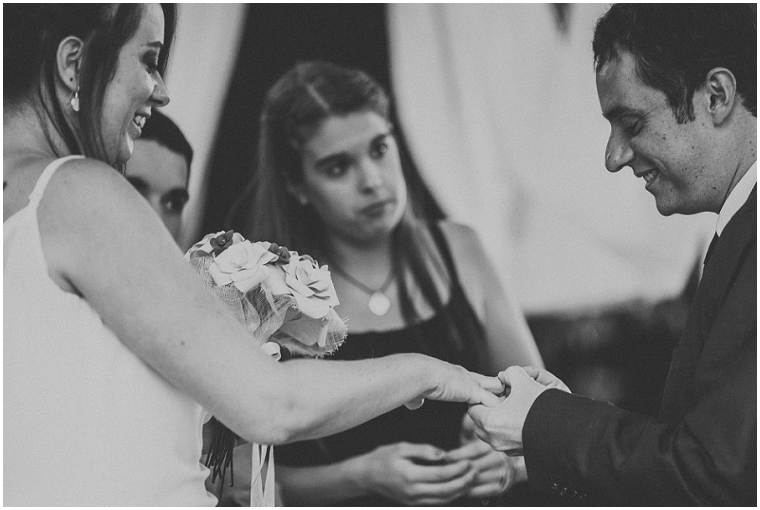 Al fin y al cabo, se trata de celebrar con esa gente que de verdad te importa. 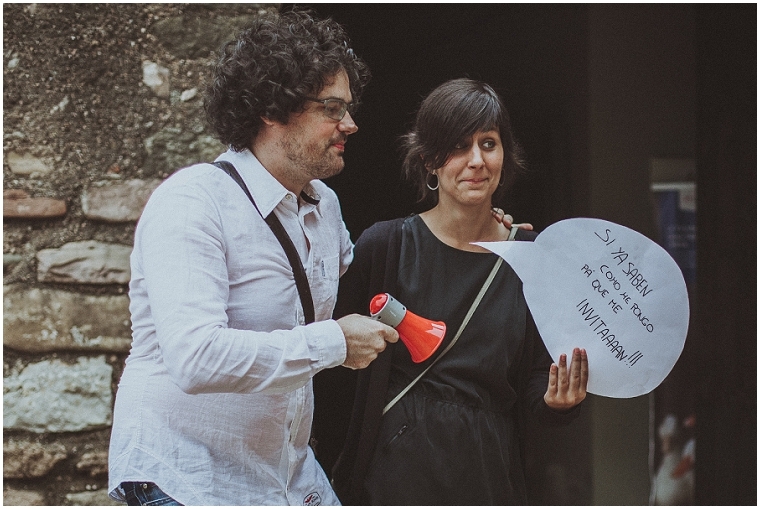 No tenemos suficientes palabras para agradecerles a Luis y Natalia que confiasen en nosotros y permitirnos viajar desde Escocia a Sabadell para documentar el día. 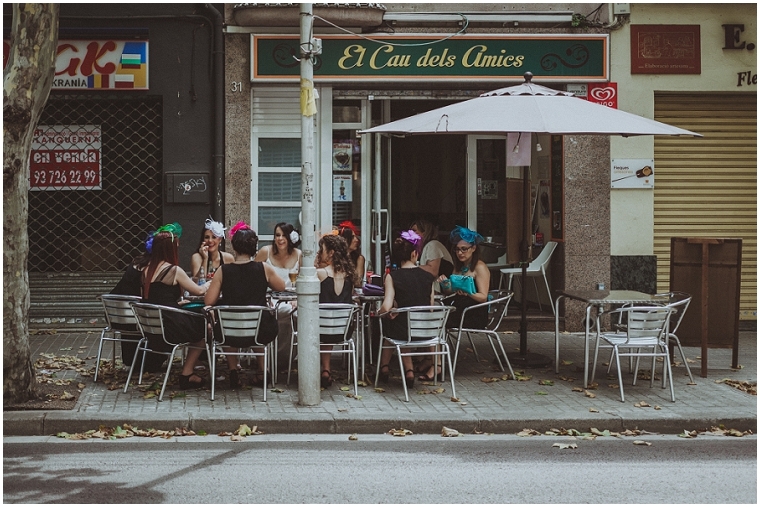 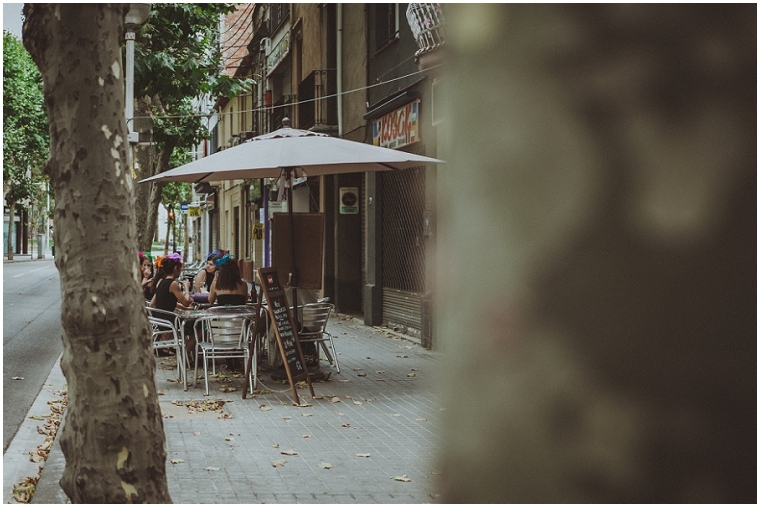 No solo nos dimos el lujo de pasar unos días de vacaciones en Barcelona, sino que fue la oportunidad perfecta para reencontrarnos con buenos amigos. 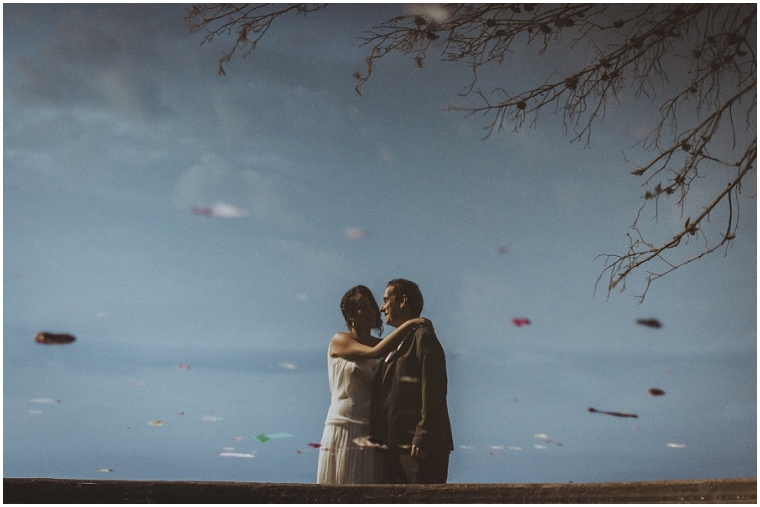 Es lo bonito de ser fotógrafos de bodas, que nos permite viajar y hacer del trabajo una diversión. 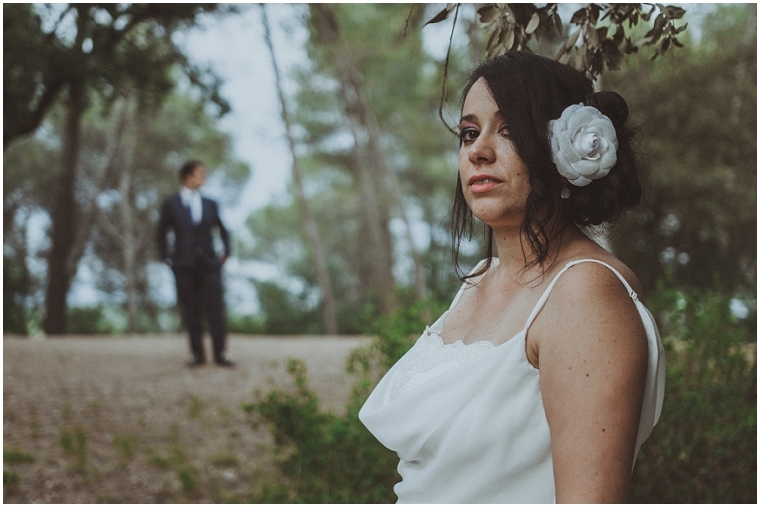 ¡Esperemos que ésta no sea la última boda que fotografiamos en Cataluña! 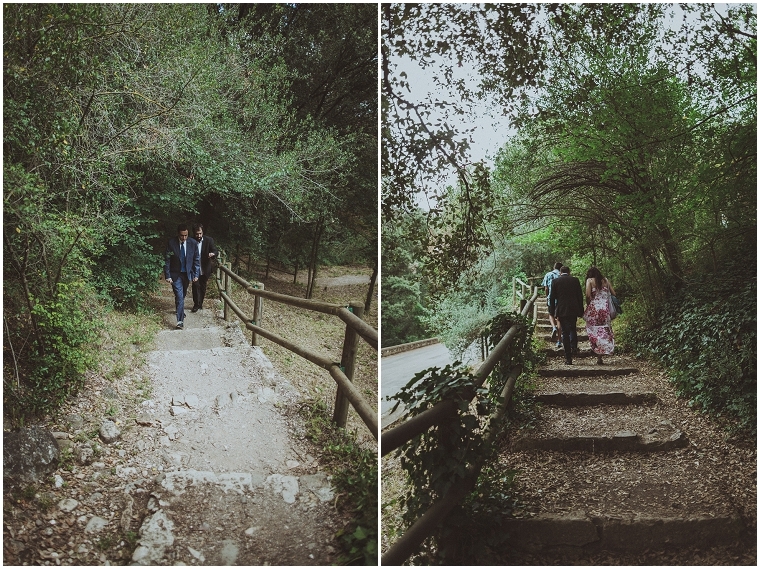 Getting to visit Spain to photograph the wedding of Ingrid’s good friends Natalia and Luis was our first taste of international wedding photography and with such an adventurous couple the celebrations always promised to be totally unique, and not just because of the glorious Spanish summer weather! 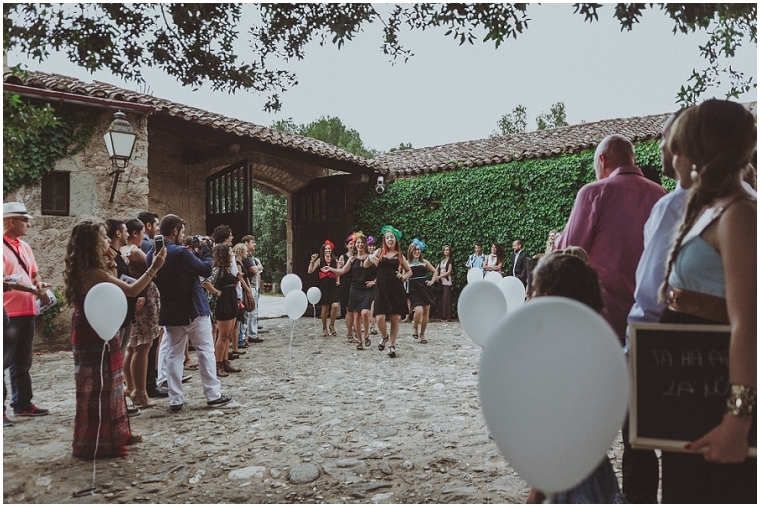 Taking over the grounds of an old Catalan farmhouse on the outskirts of the city of Sabadell, just north of Barcelona, their wedding day was more of a great big party than anything else; a fun-filled, laid-back, totally non-traditional celebration with friends and family, laden with moments of laugh-out-loud theatricality, dance, comedy and drama! 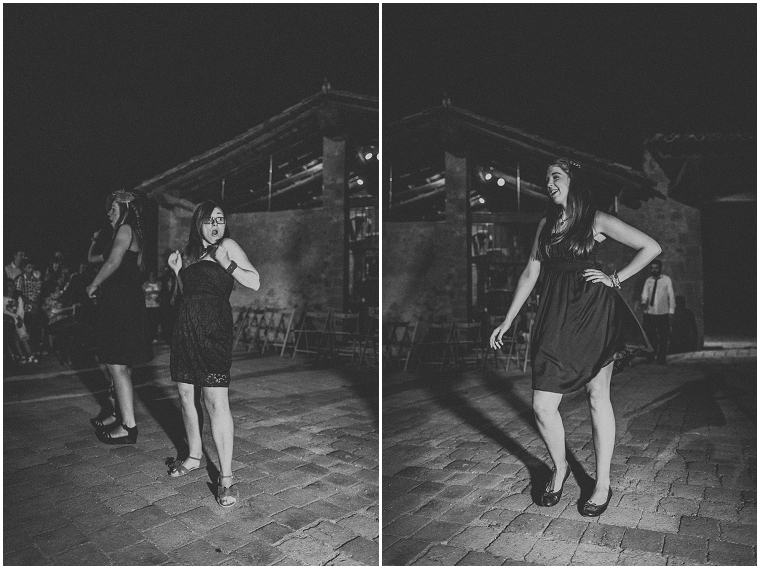 From the bridesmaids’ song-and-dance entrance, through an open-air courtyard ceremony more akin to a piece of uproarious theatre than any wedding tradition, to an immense evening picnic complete with burgers cooked on the grill in front of us, and ending up with the bridesmaids’ amazingly choreographed dance routines leading everyone to late-night shape-throwing on the outdoor dance floor, Natalia and Luis’s wedding was their own perfectly different celebration and we loved being a part of it! 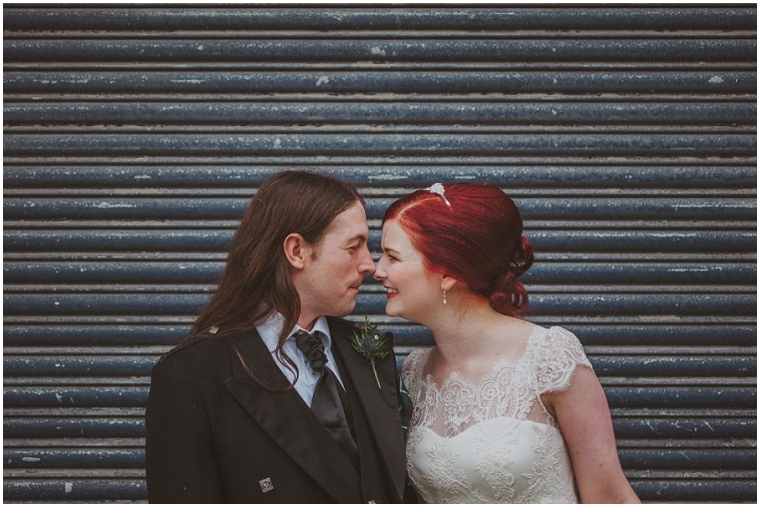 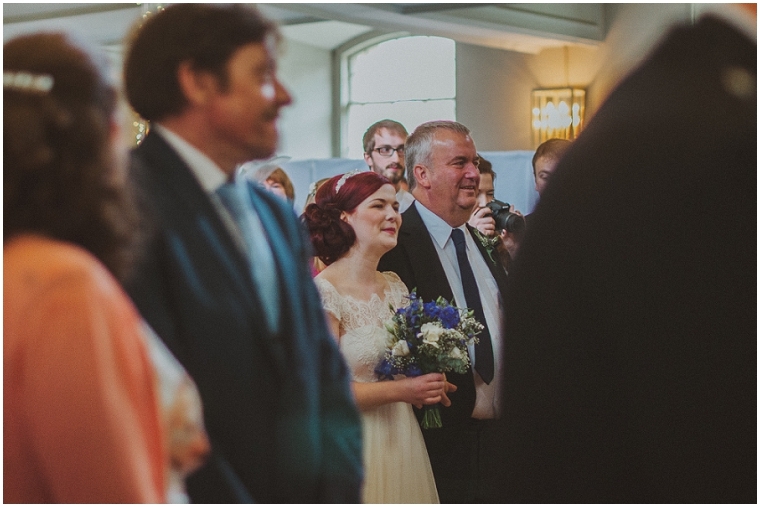 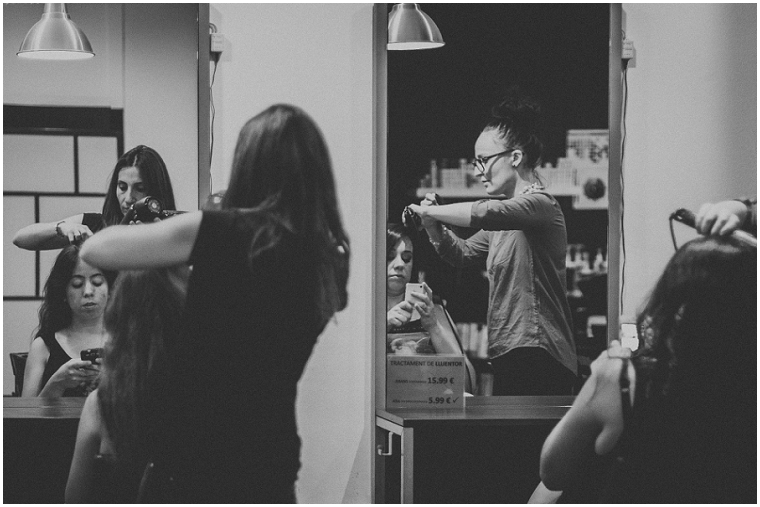 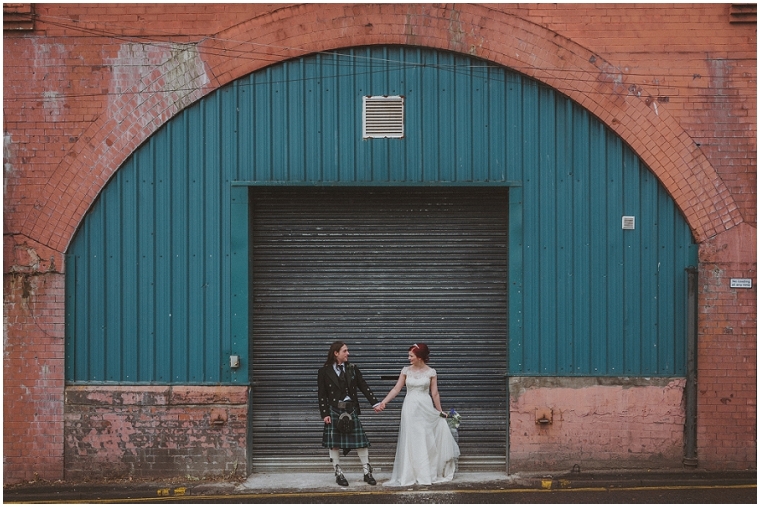 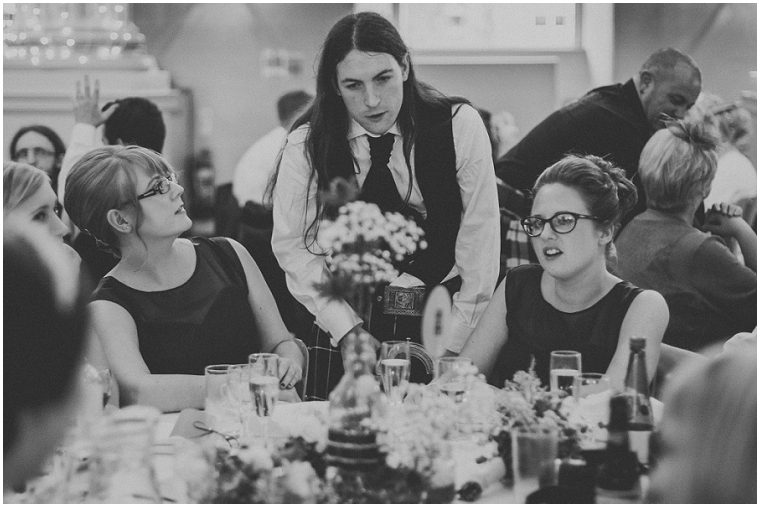 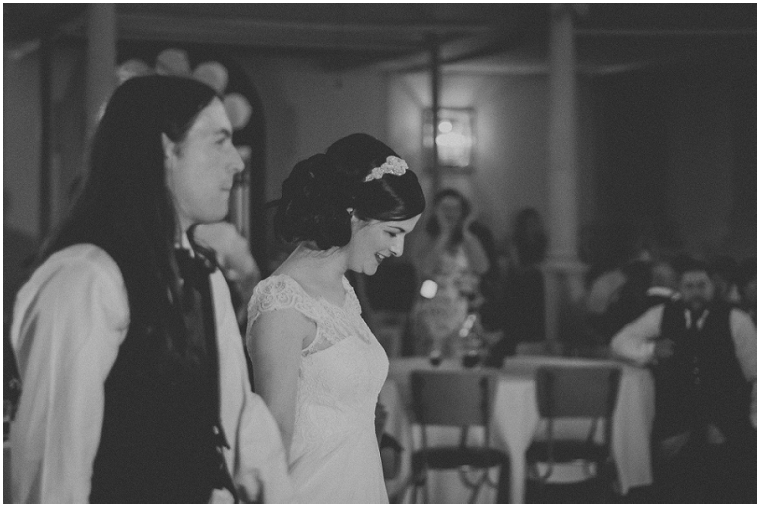 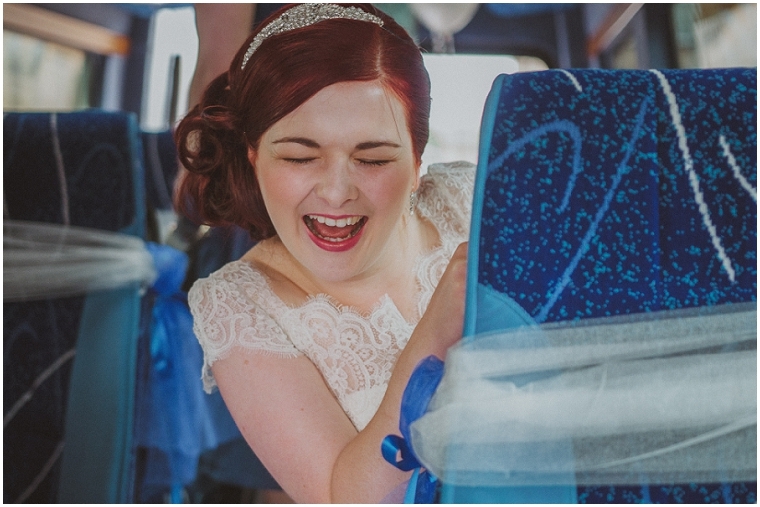 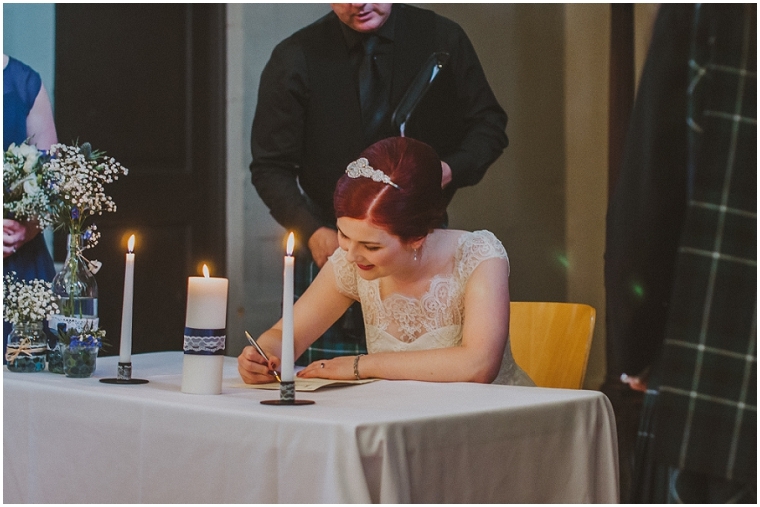 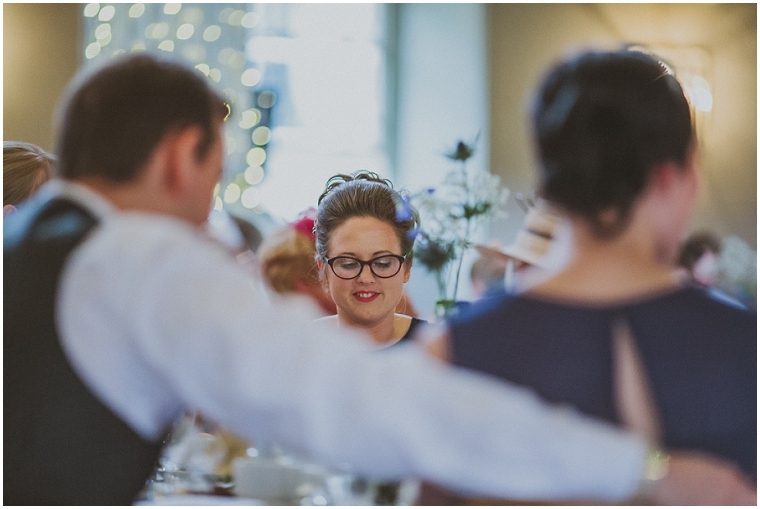 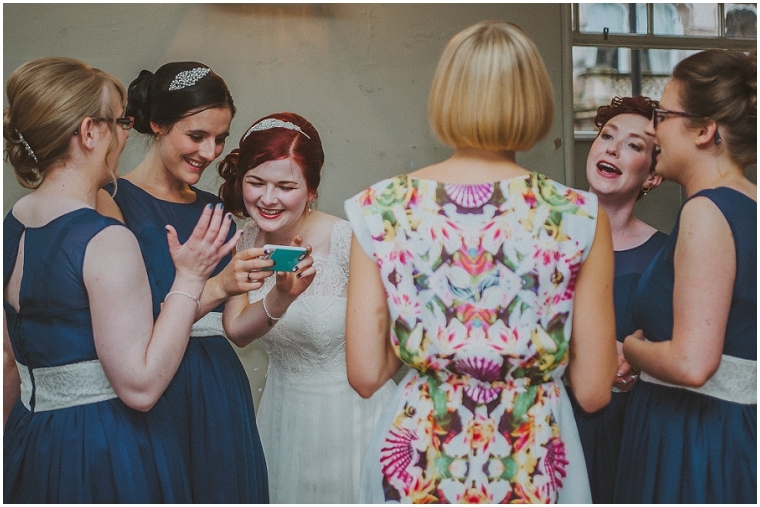 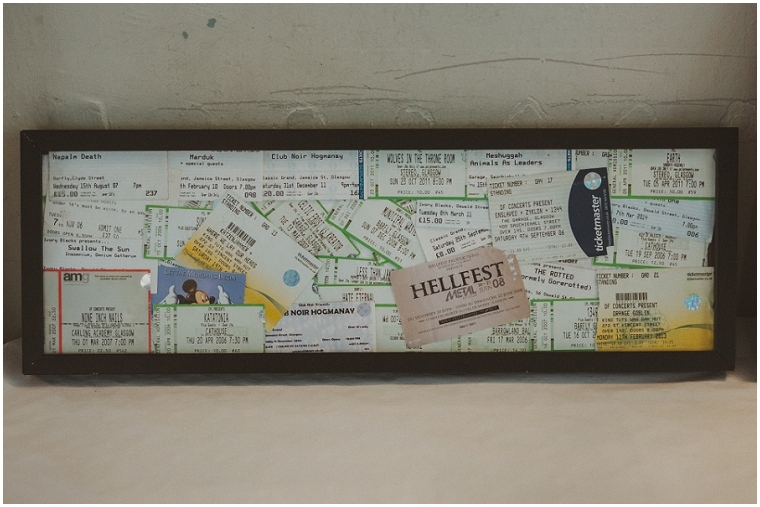 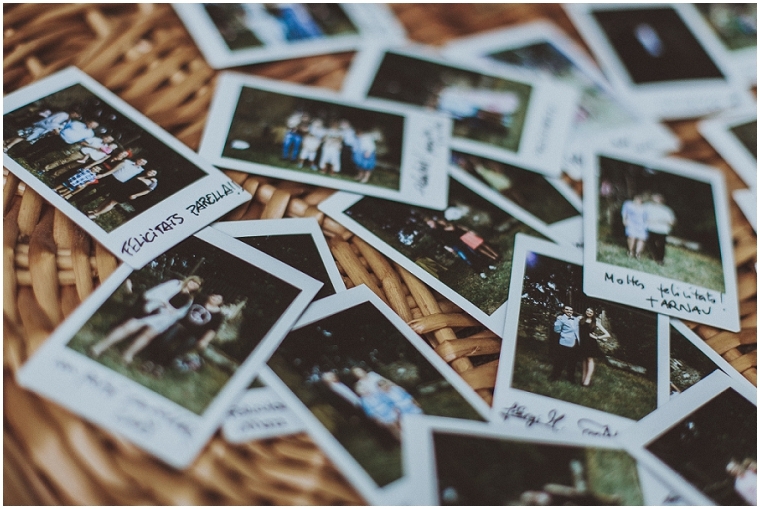 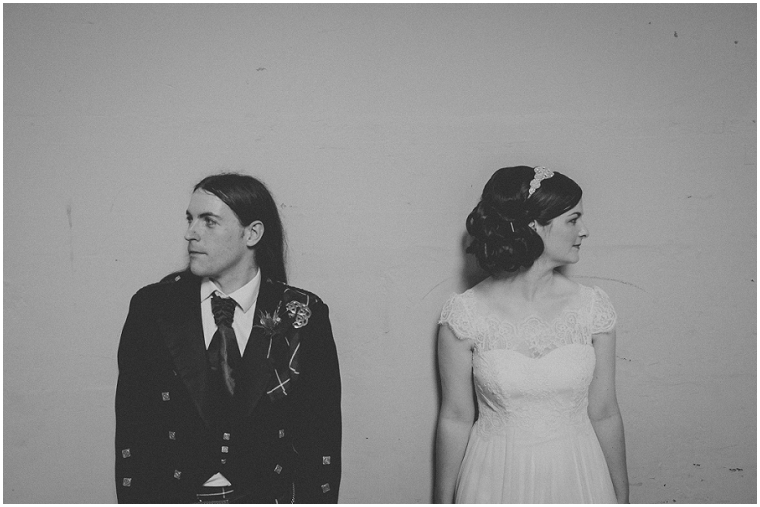 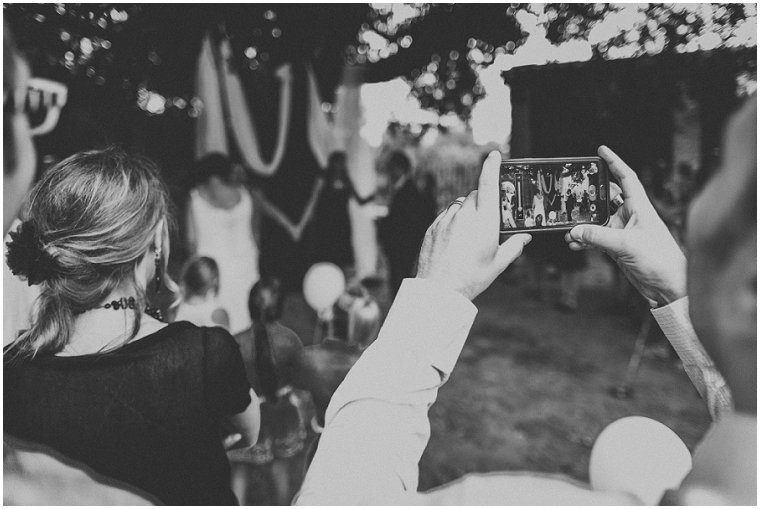 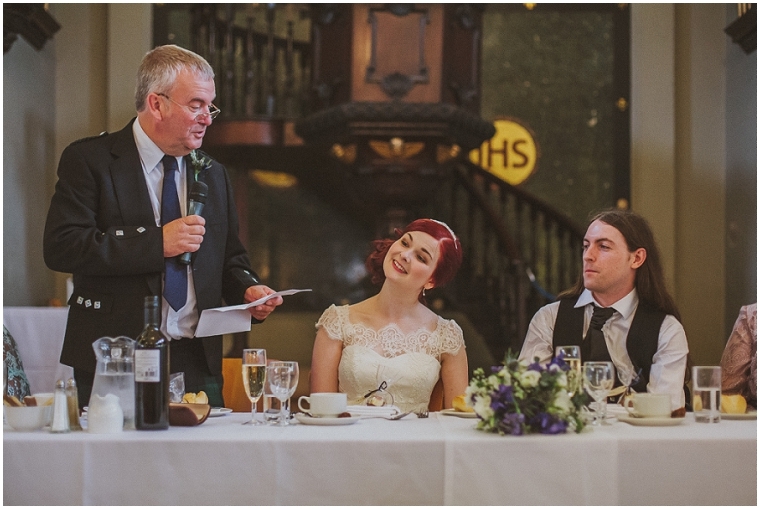 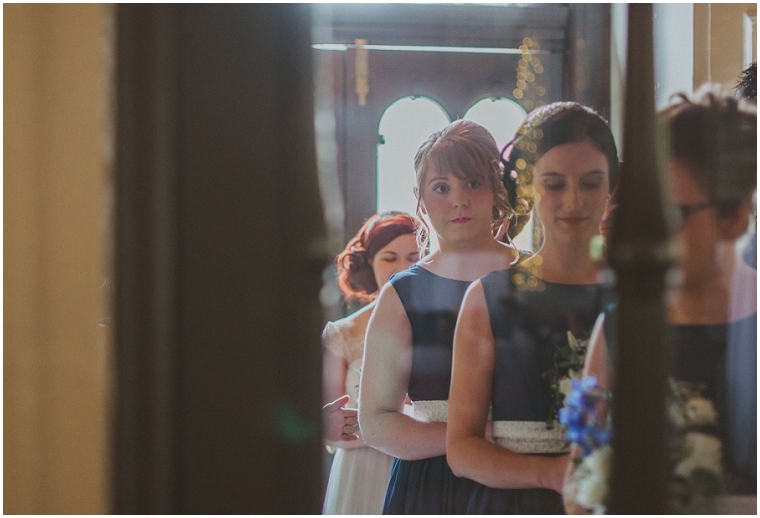 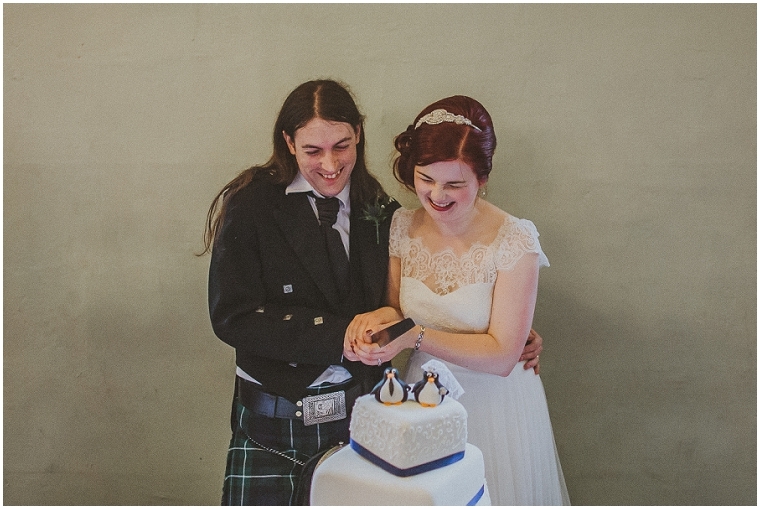 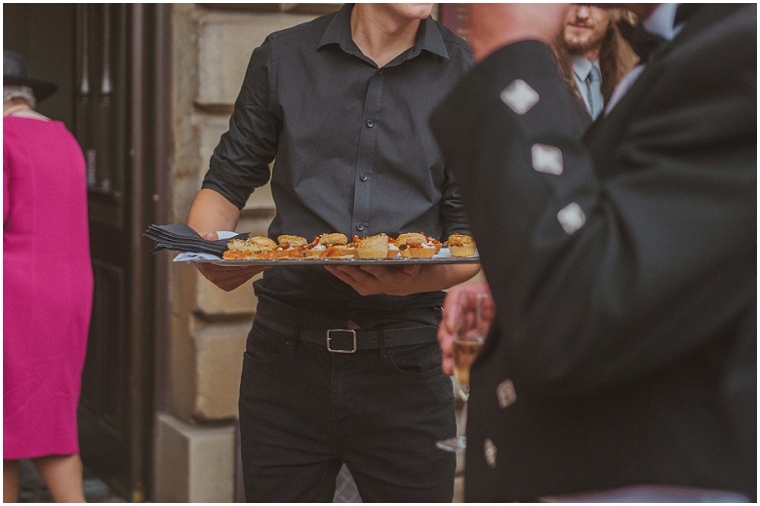 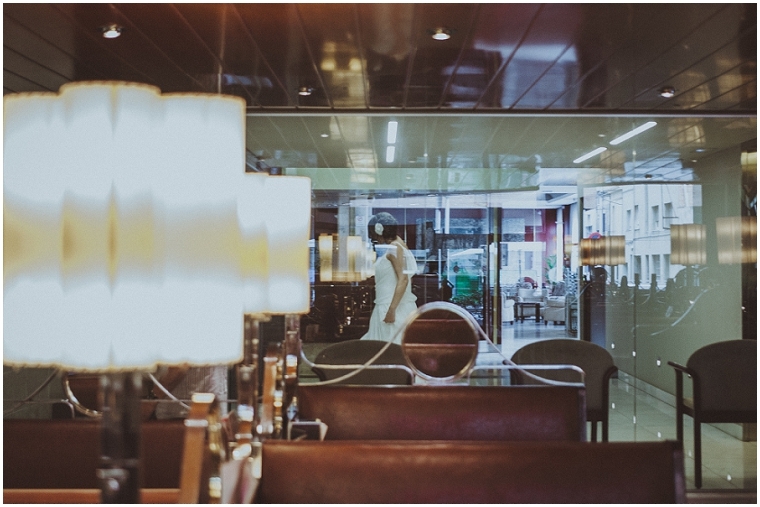 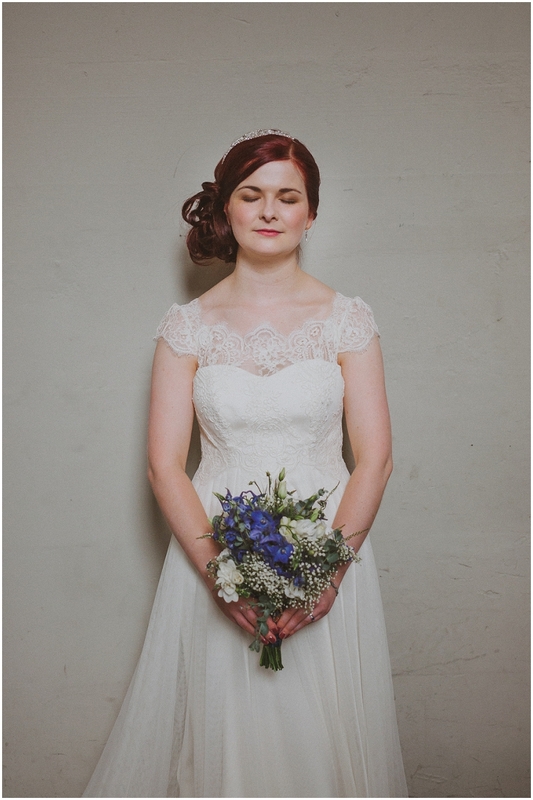 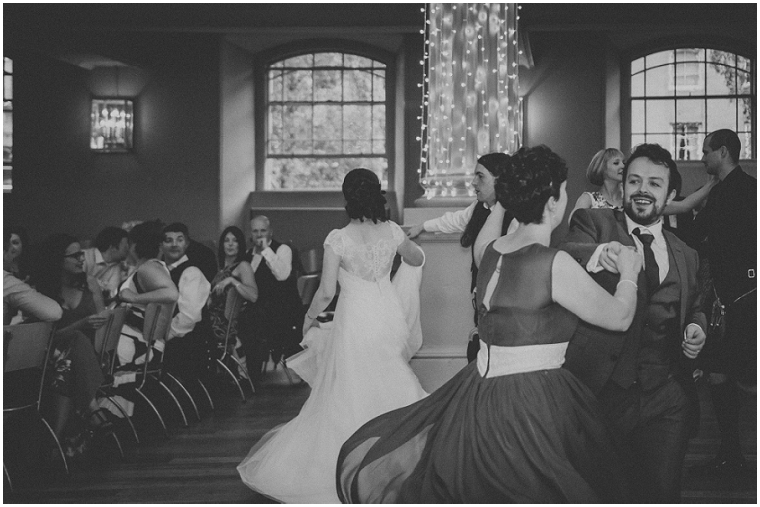 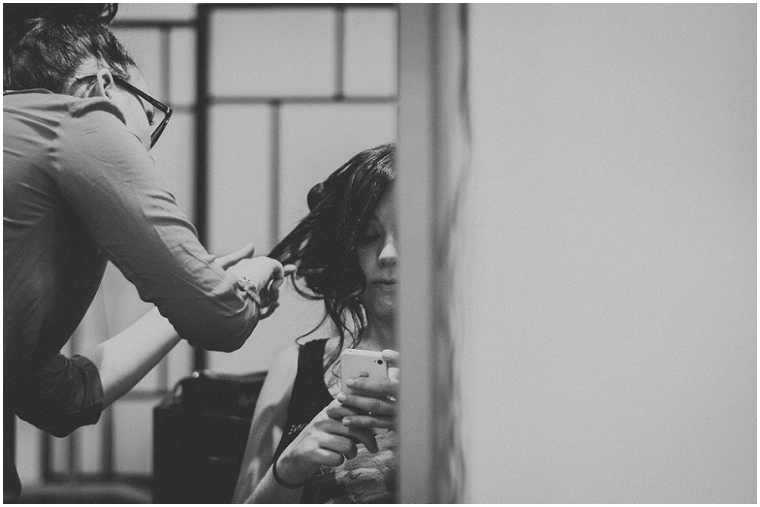 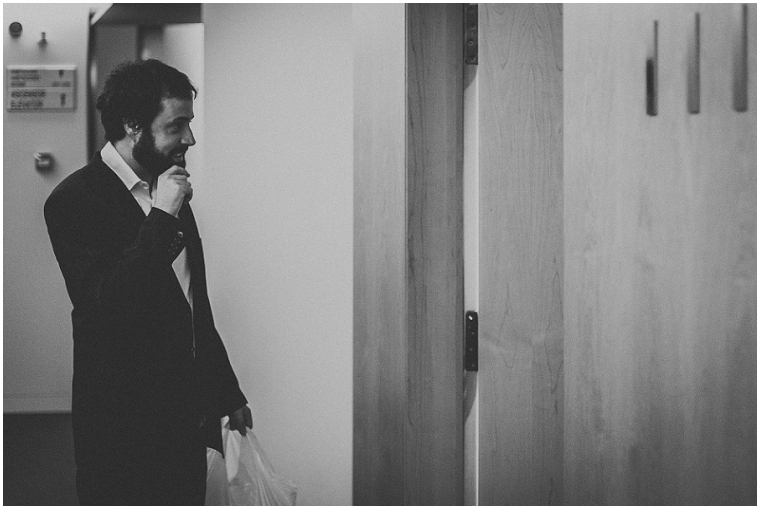 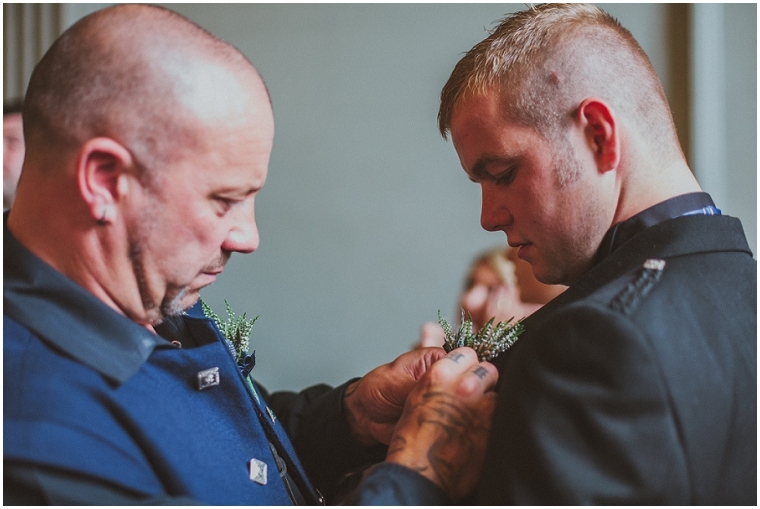 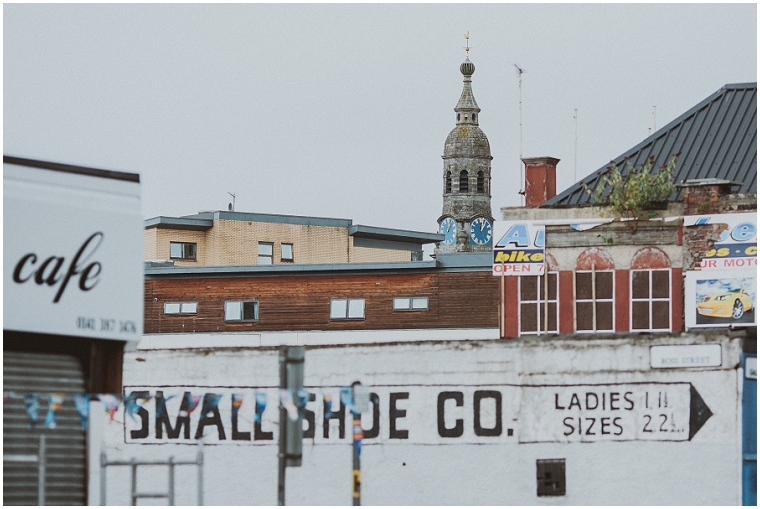 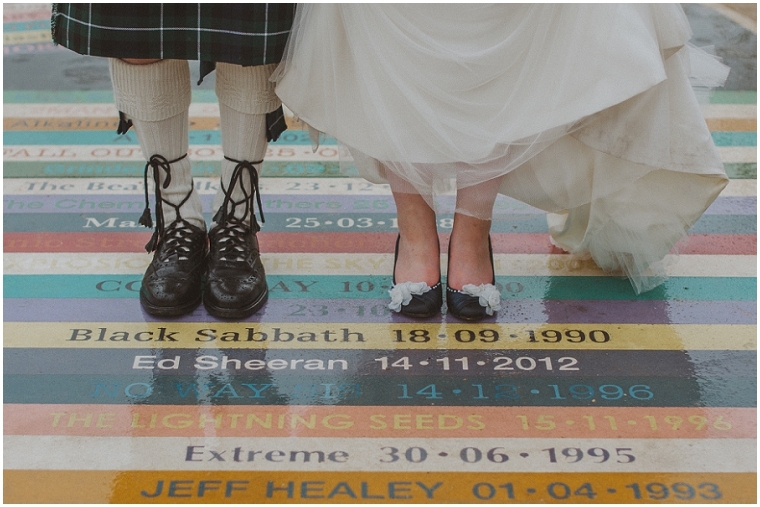 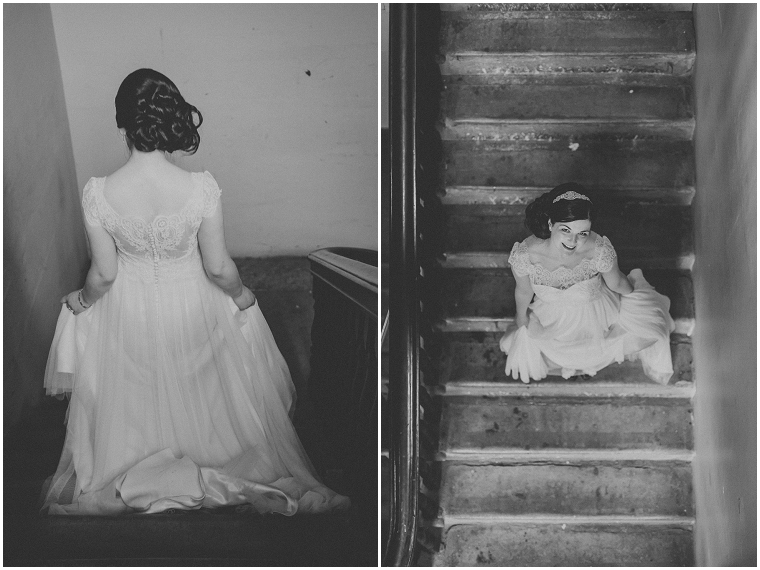 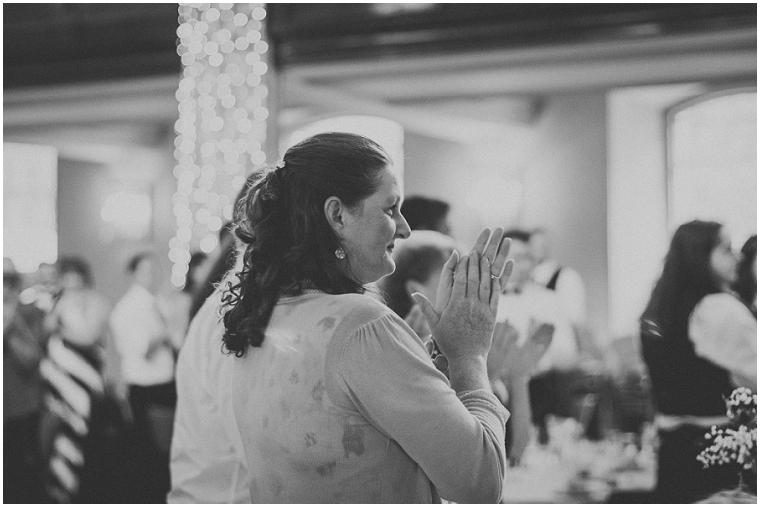 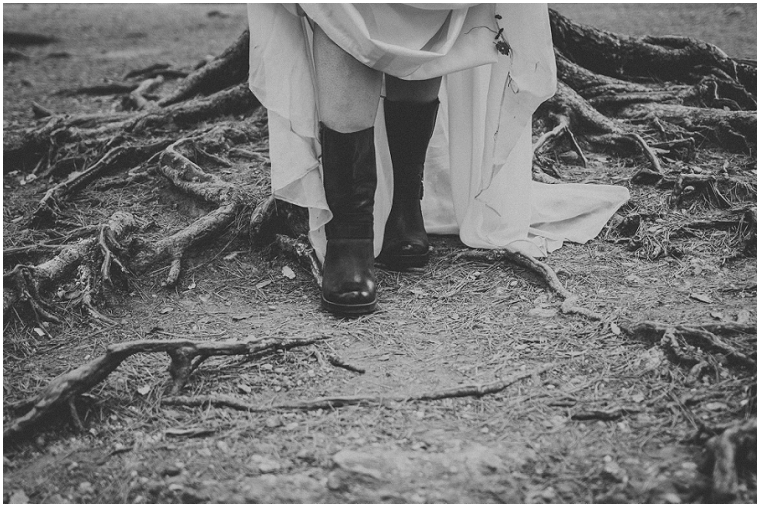 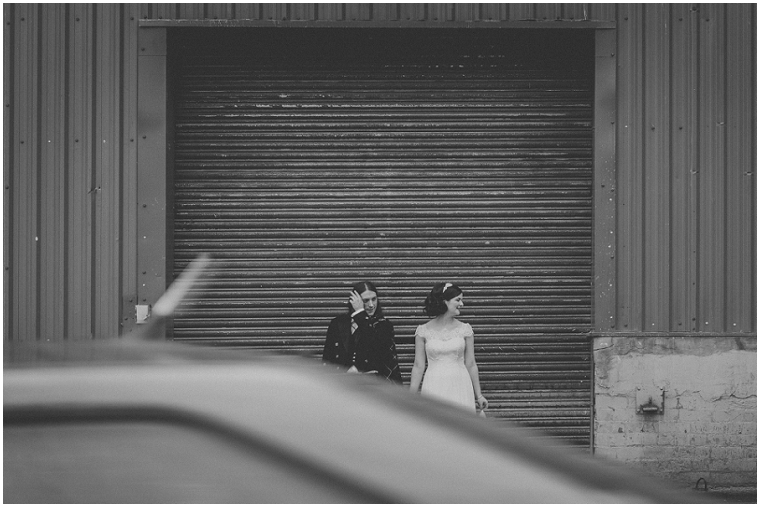 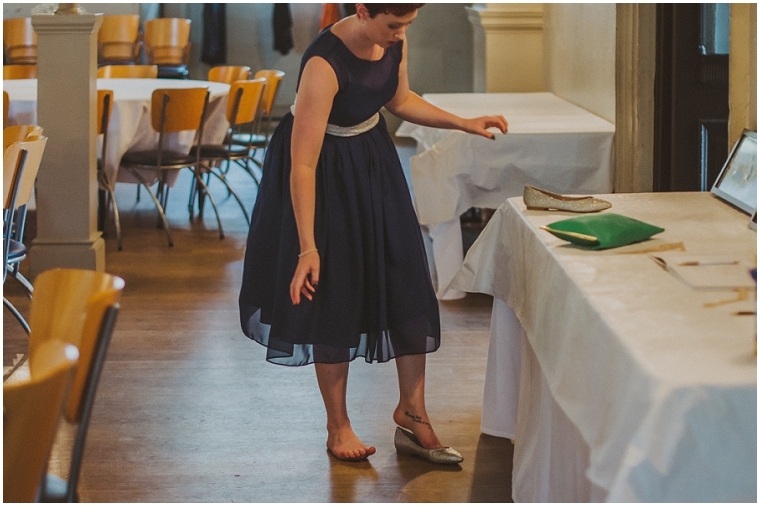 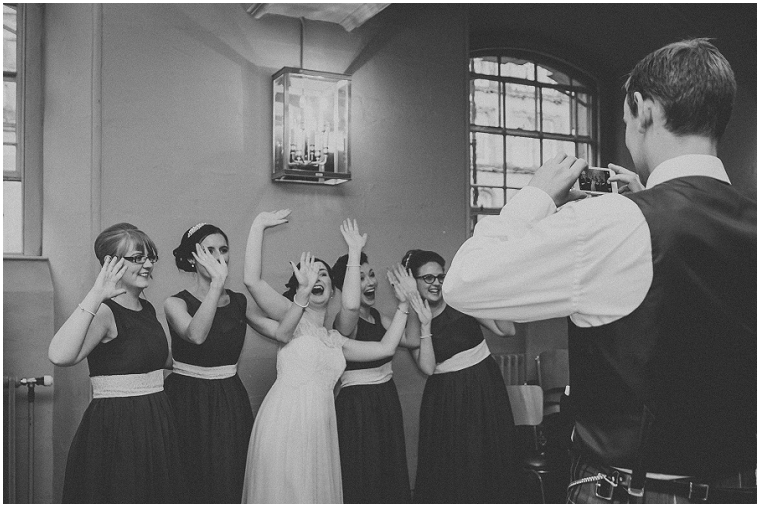 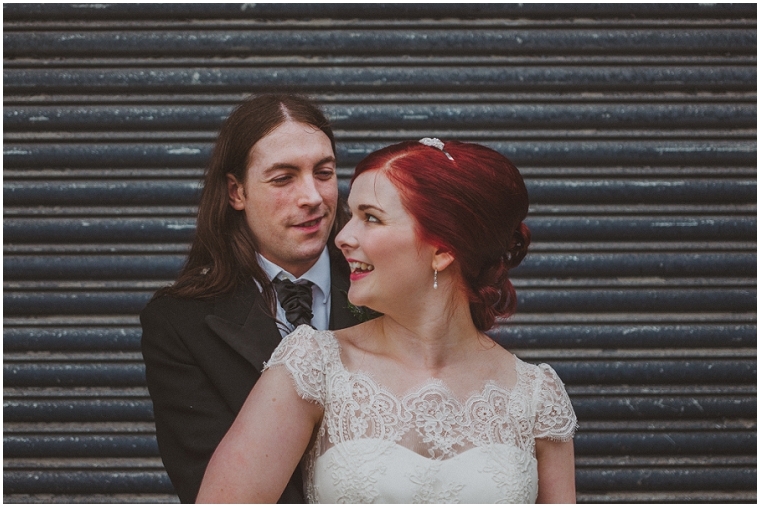 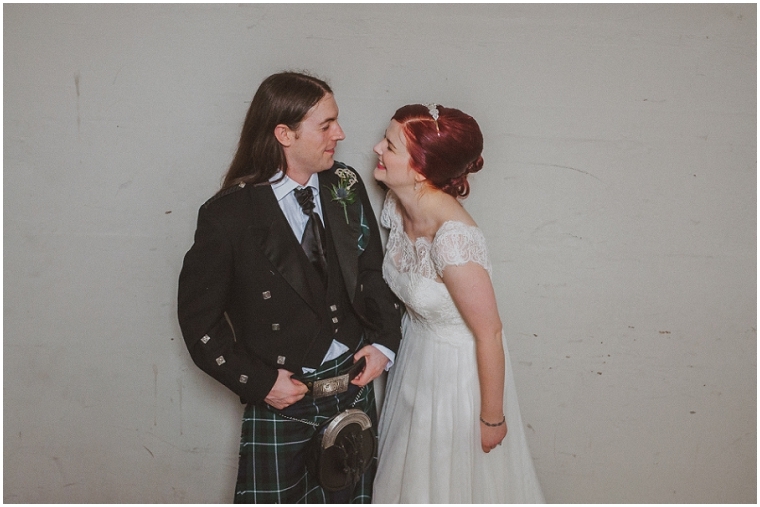 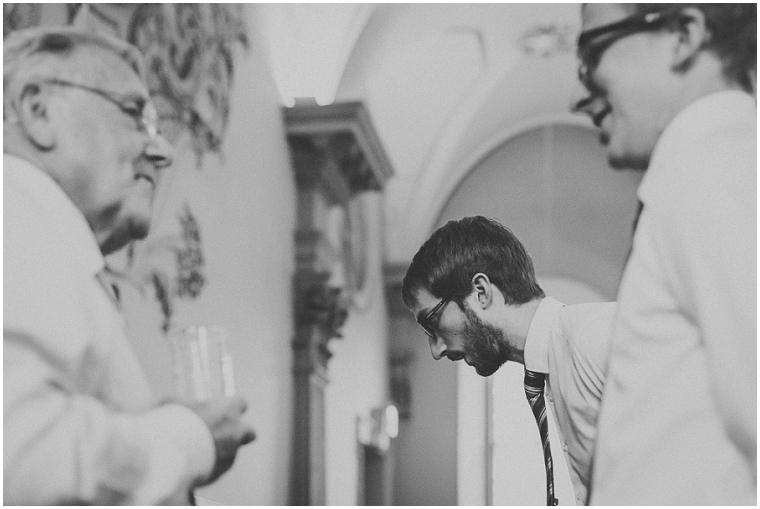 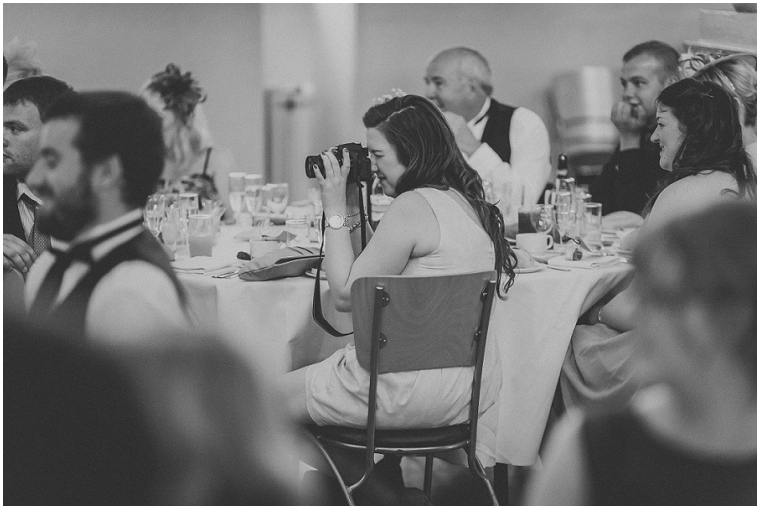 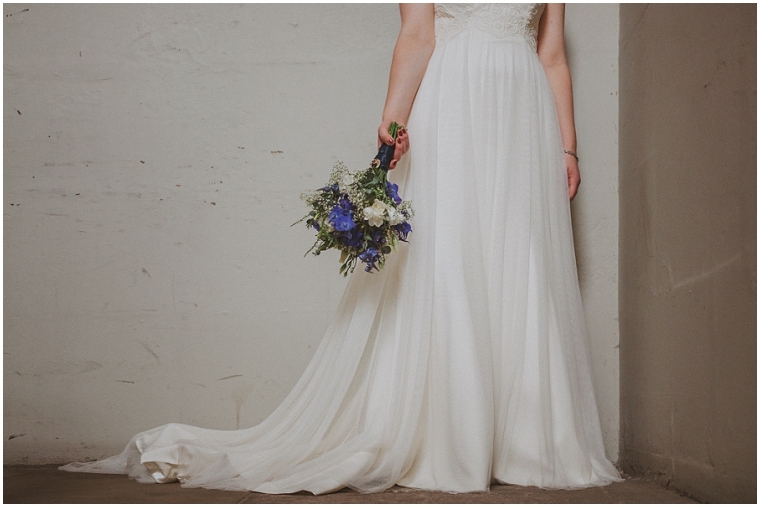 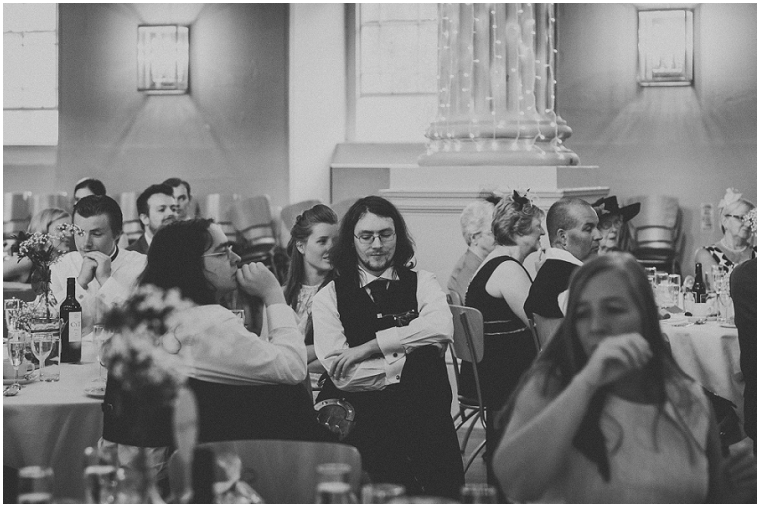 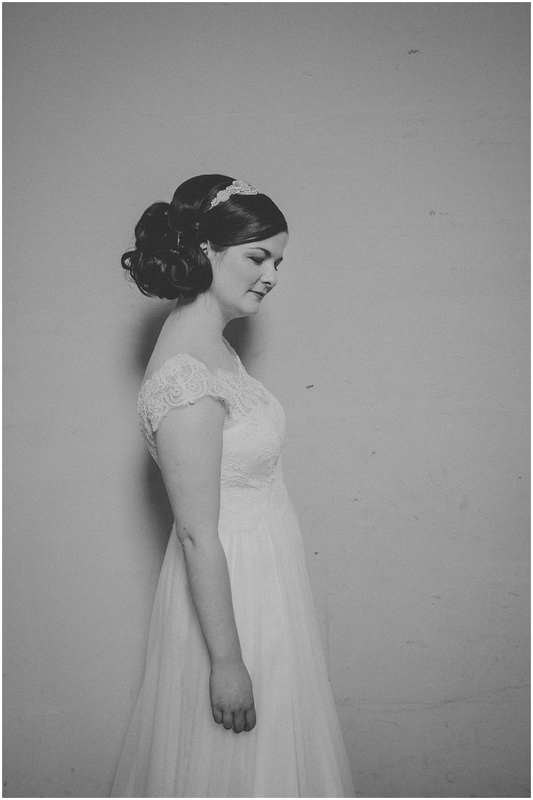 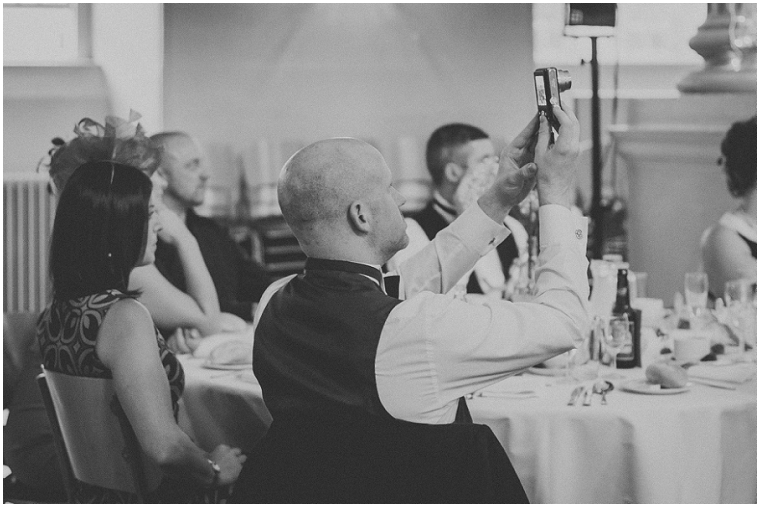 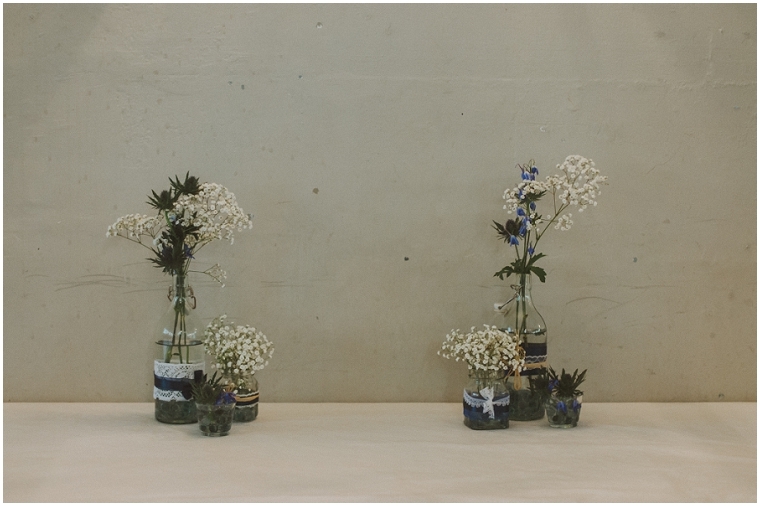 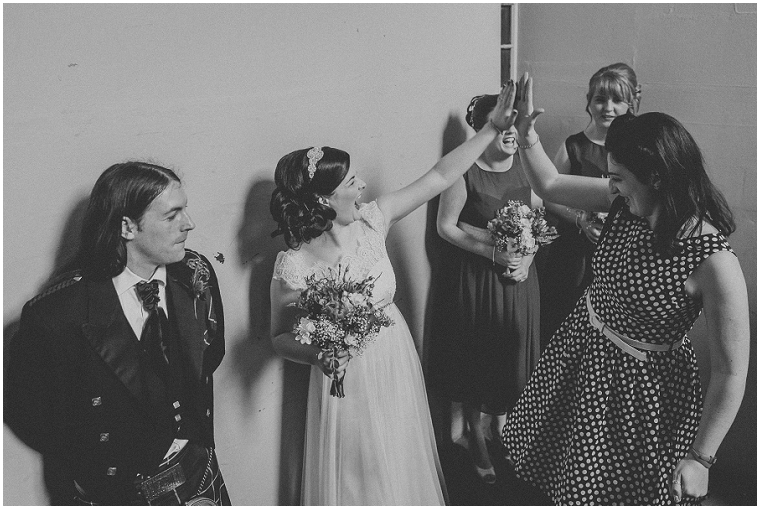 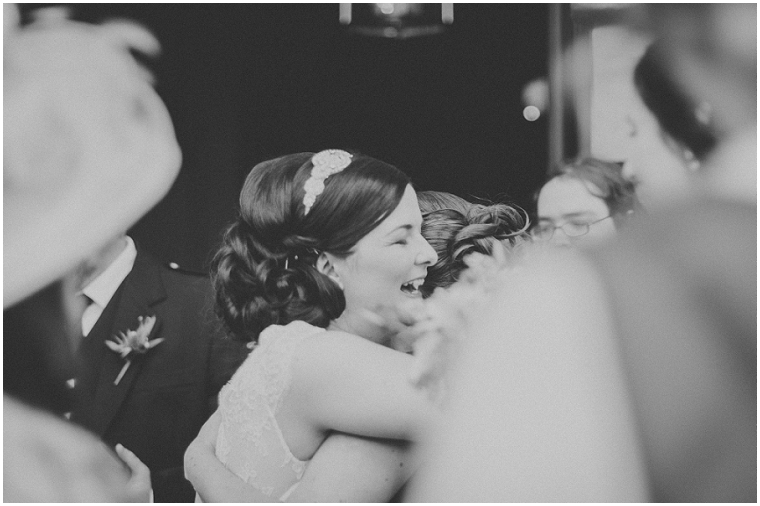 Back at the end of 2013 when I made the jump to full-time photography, the plan was finding a good balance between my commercial photography (which usually involves working with local art organisations) and my wedding photography (which usually involves working with some awesome couples). 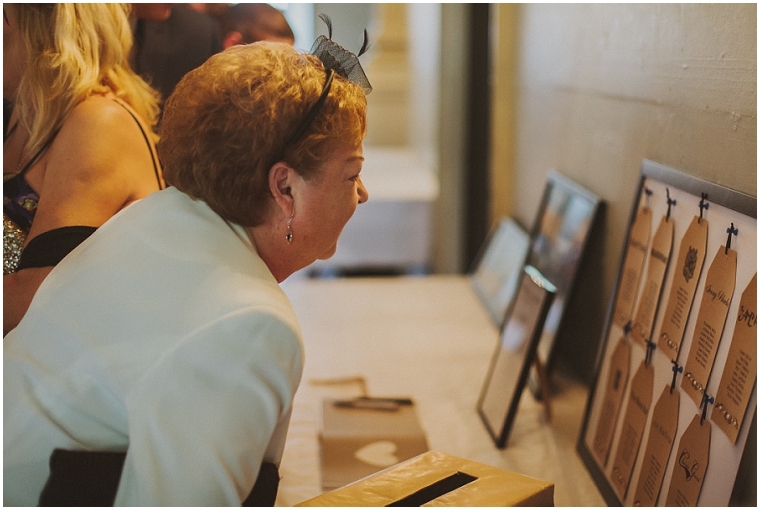 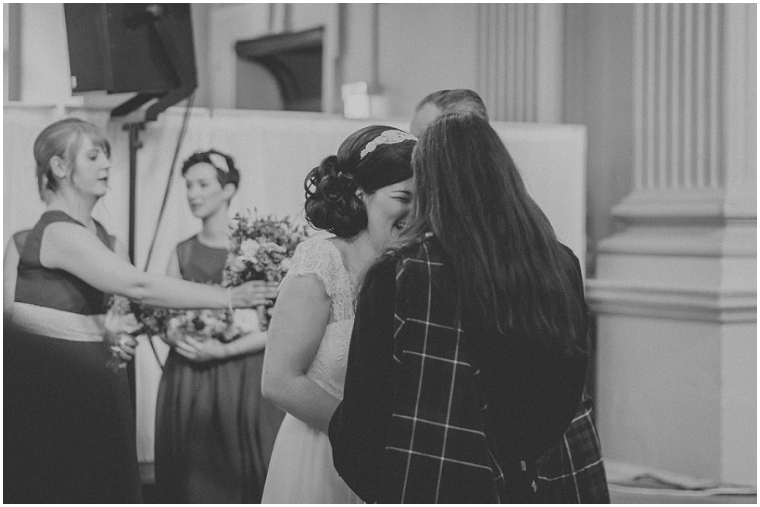 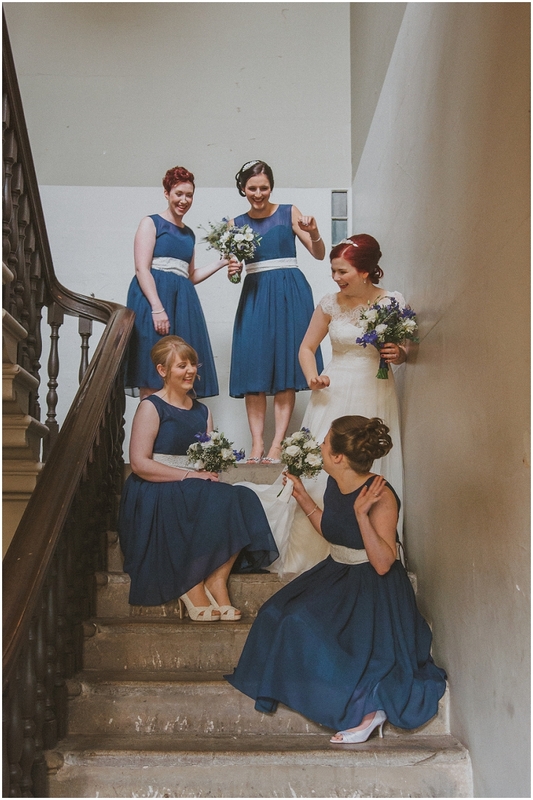 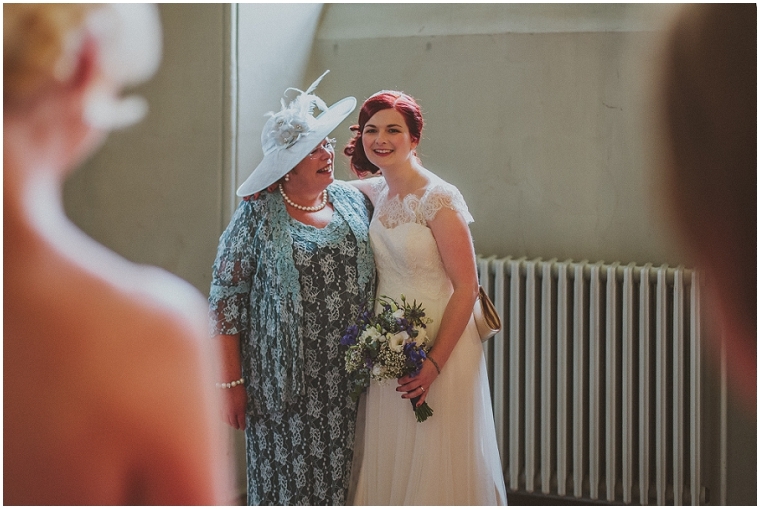 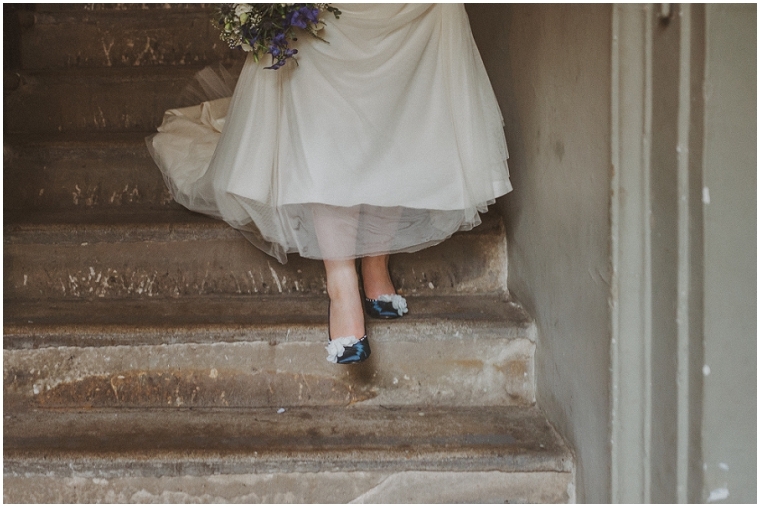 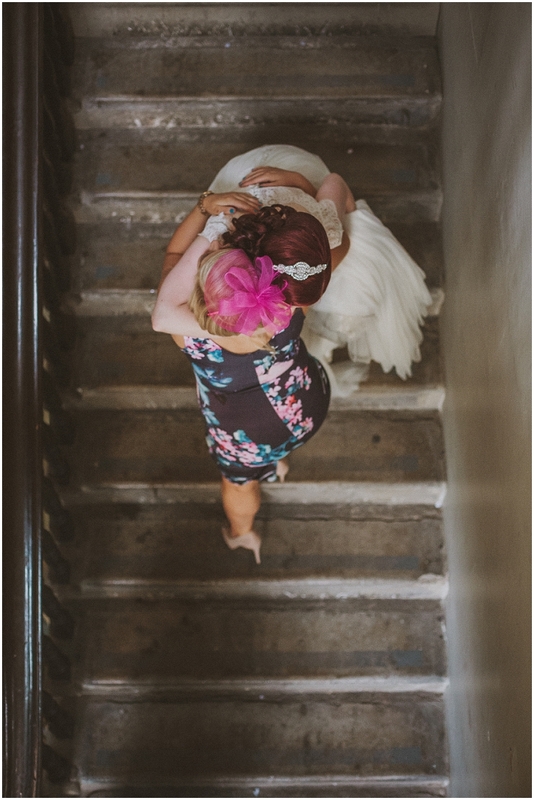 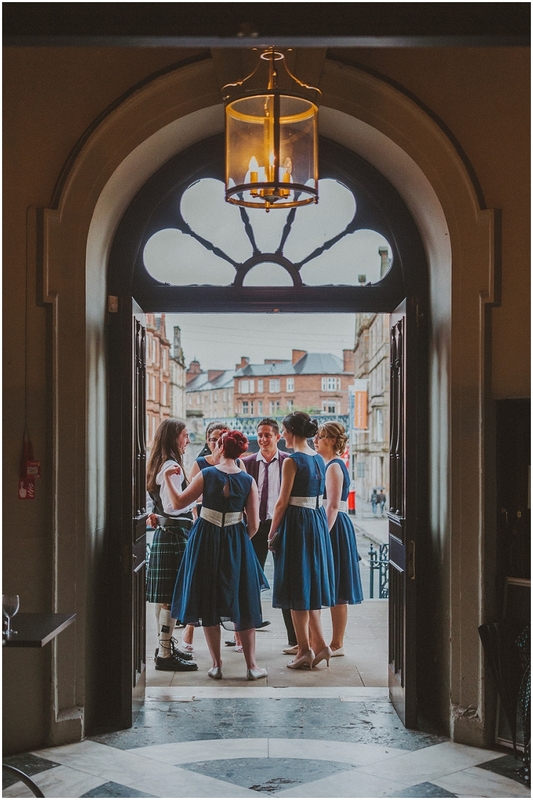 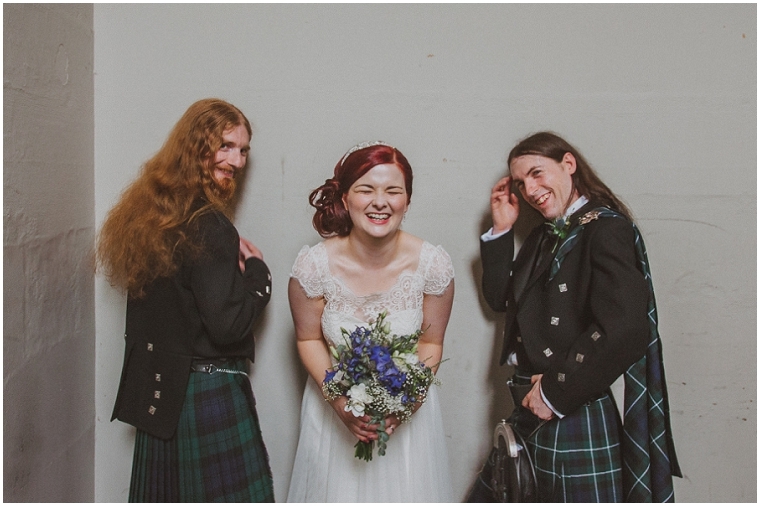 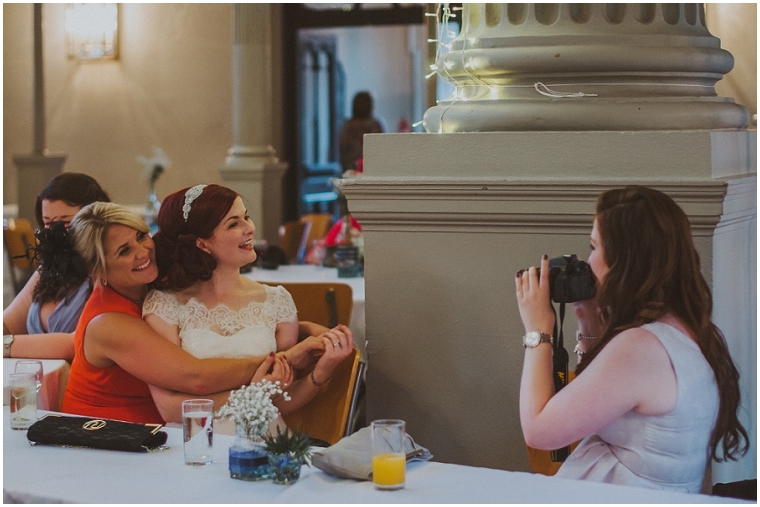 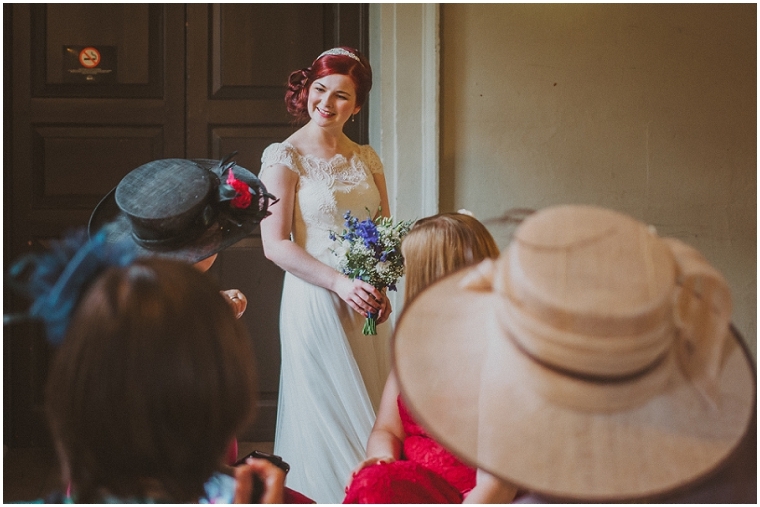 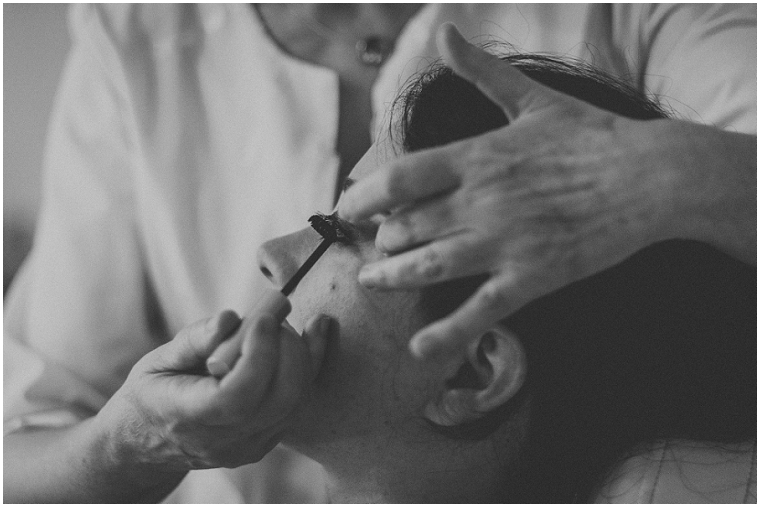 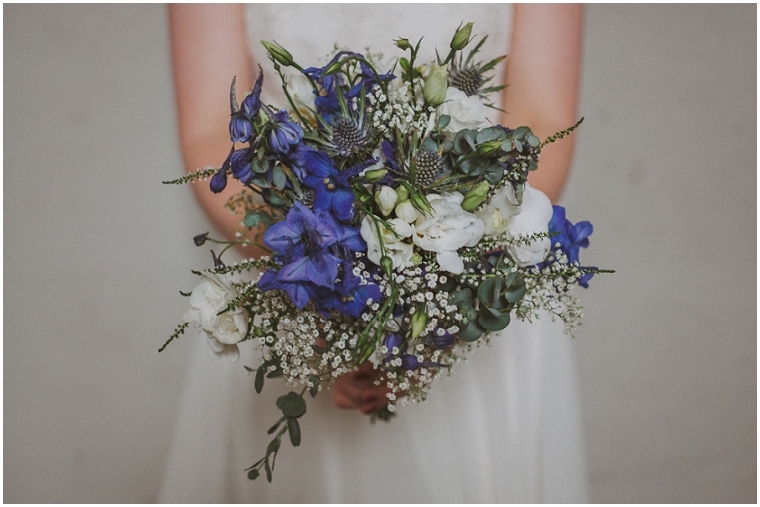 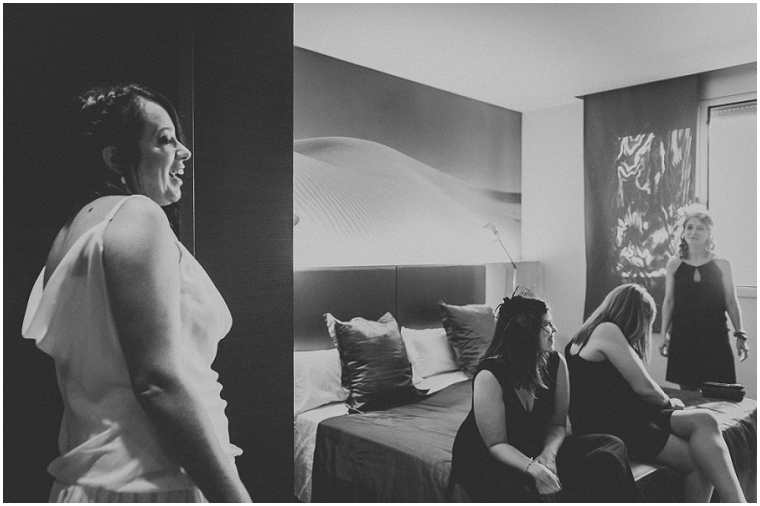 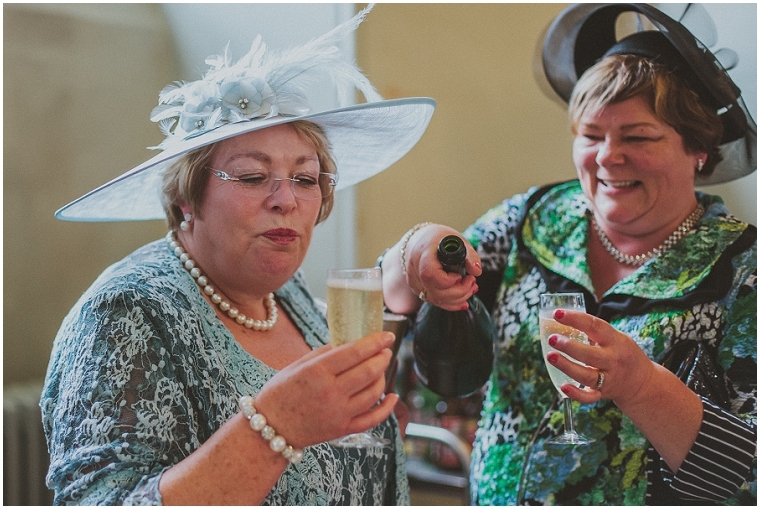 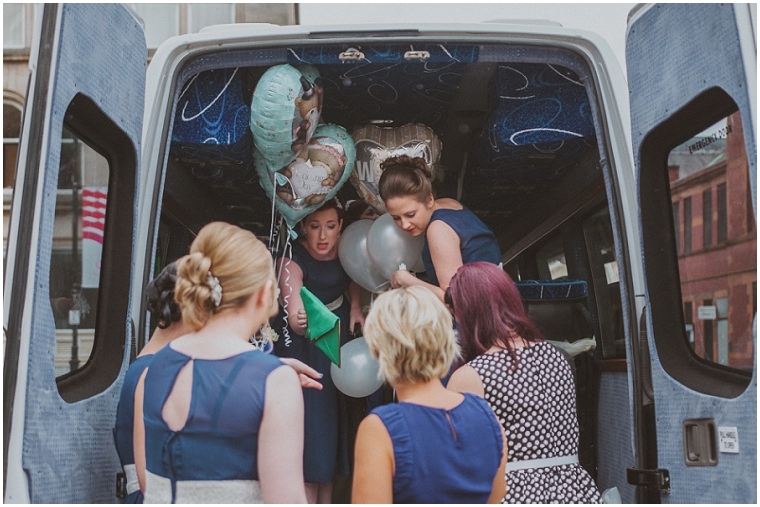 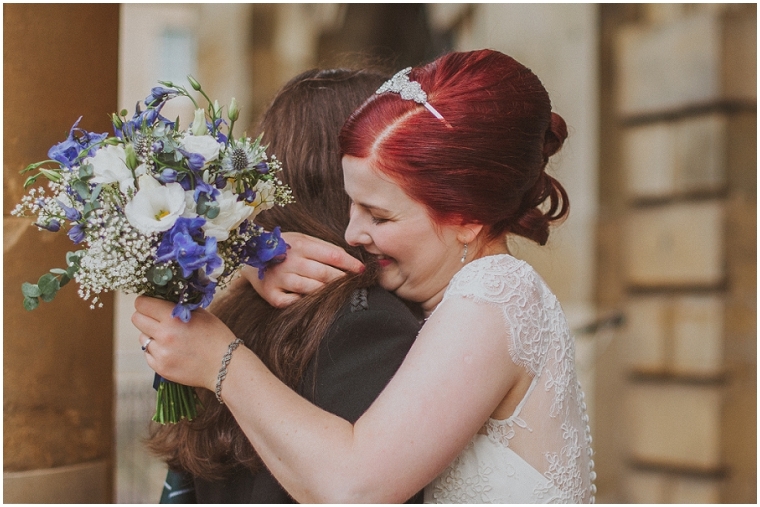 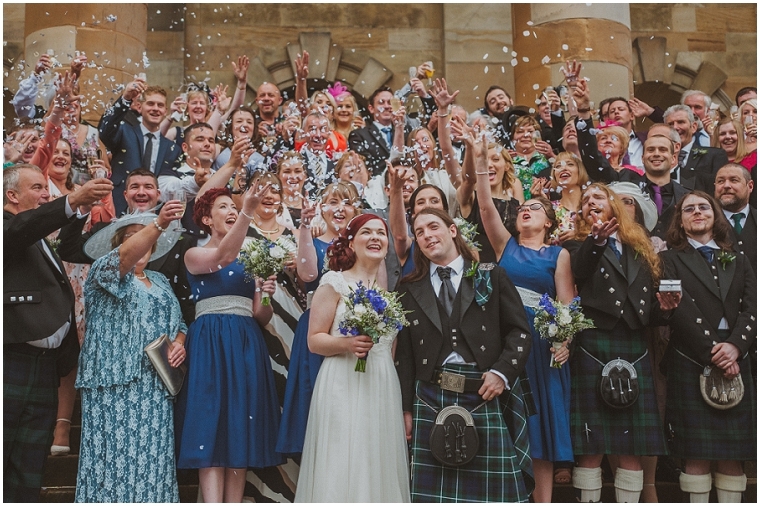 Then 2014 came along and I found myself very busy with the wedding photography side of my business – not that I’m complaining as it was a fantastic year! 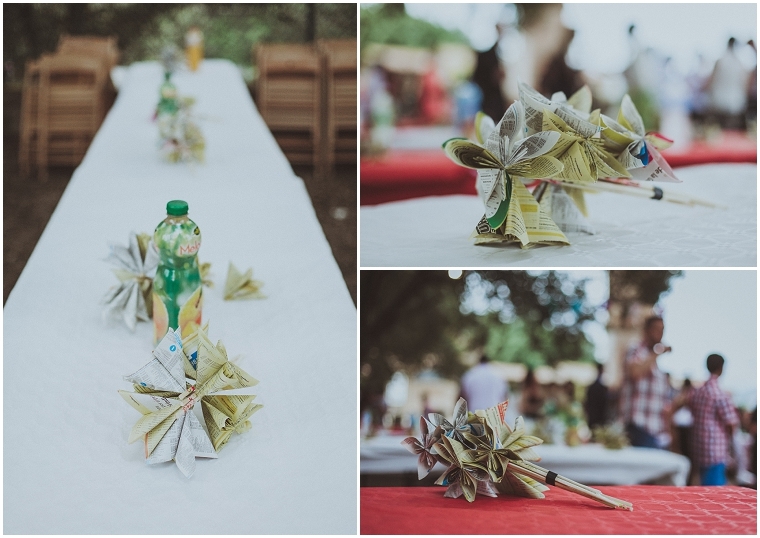 But it meant that finding the time to do other things was tricky and I have to admit that I like seeing some variety in my work. 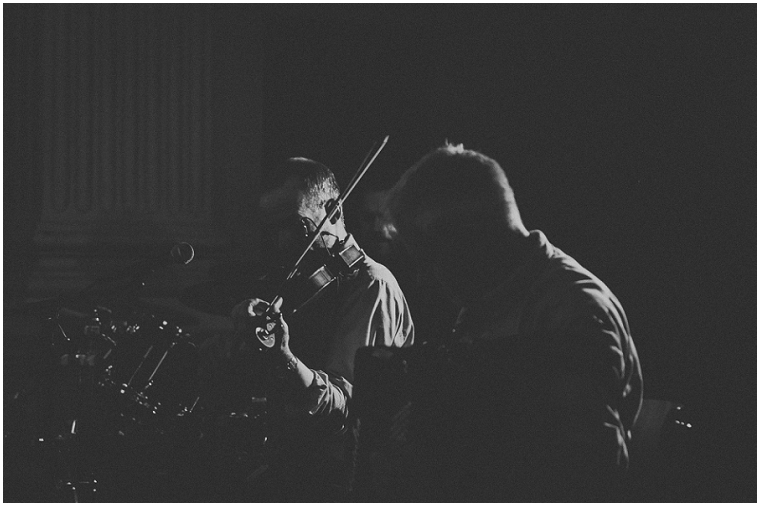 One of those other thing that I had very little time for was drawing; the other one was music photography. 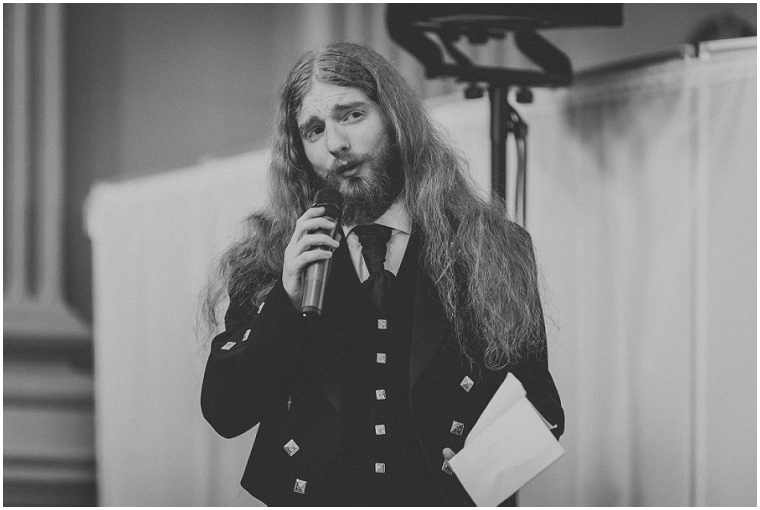 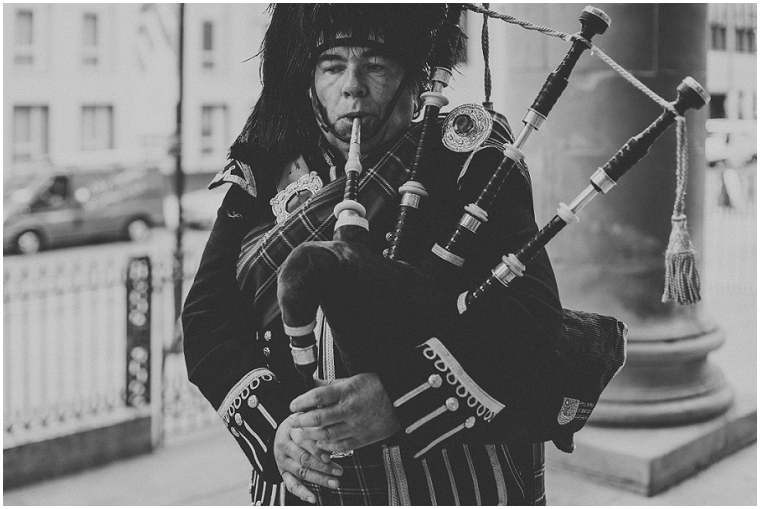 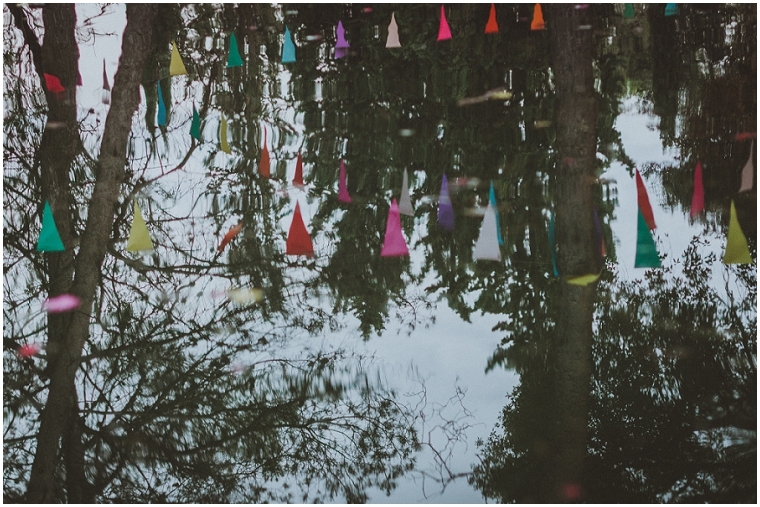 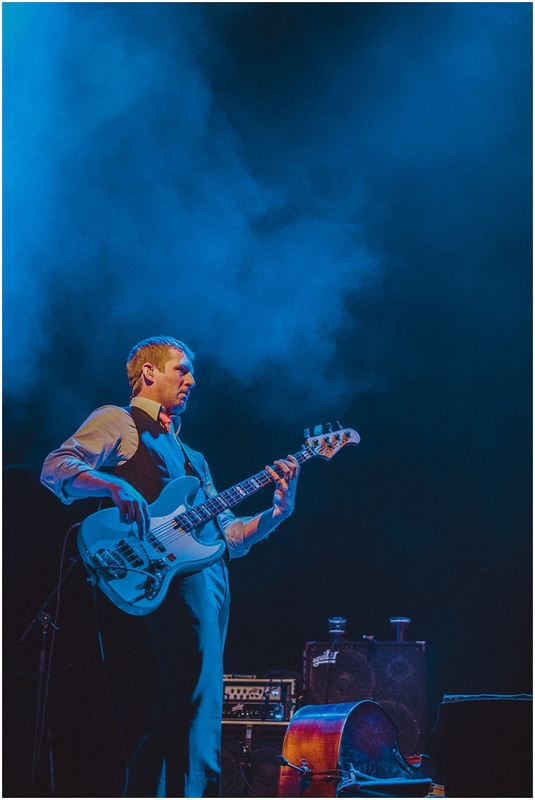 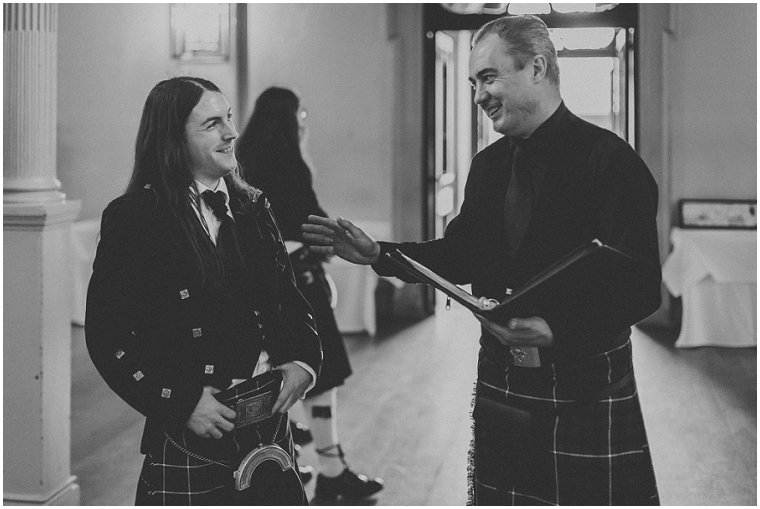 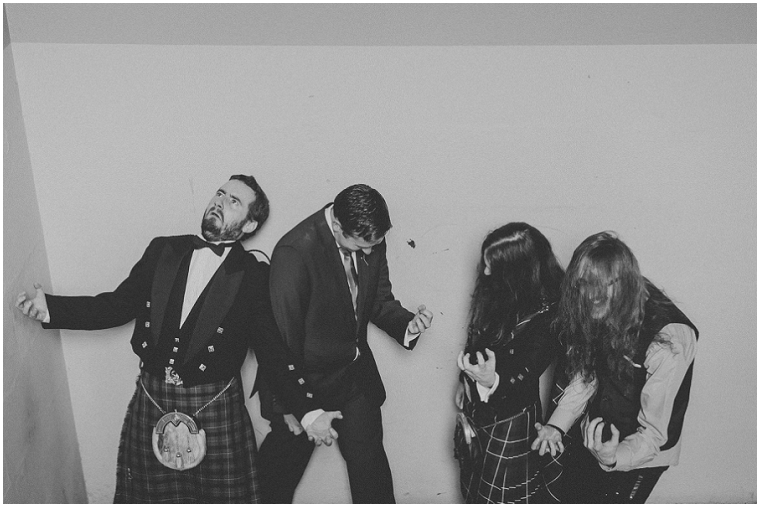 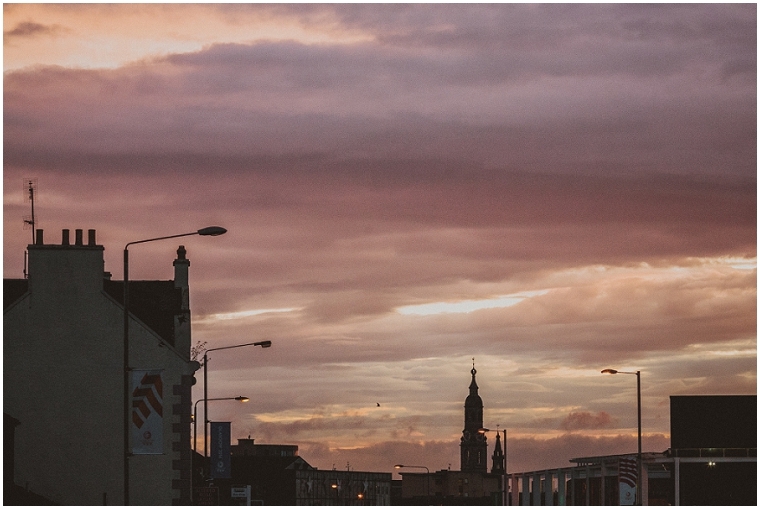 Music was what got me into photography in the first place and Scotland proved to be the right place for it. 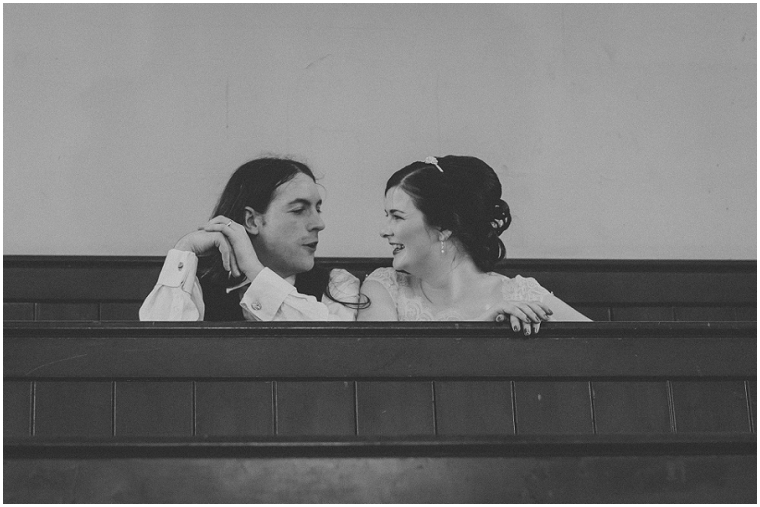 I’ve met fantastic people attending to gigs and festivals, including Rhiannon and Calum who I met at Insider Festival and trusted me to shoot their wedding. 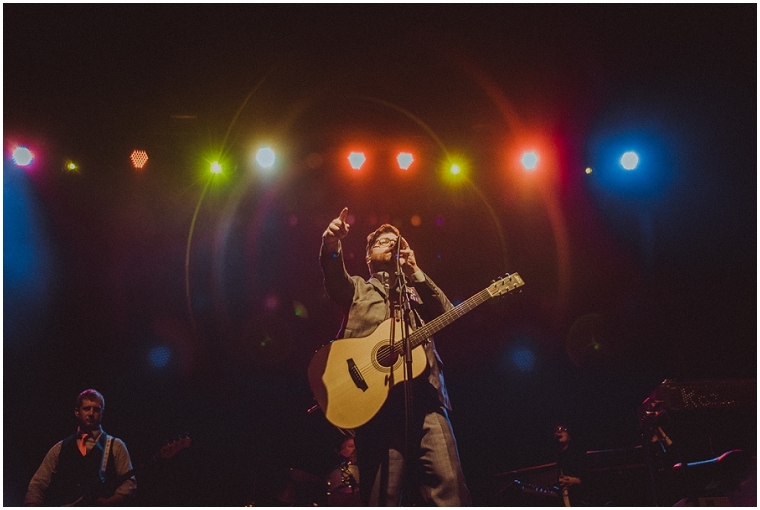 I like photographing gigs, the action on stage, the funny colour lighting, the atmosphere… I’m trying to find that balance again, to find the time to be a music photographer at least for a night. 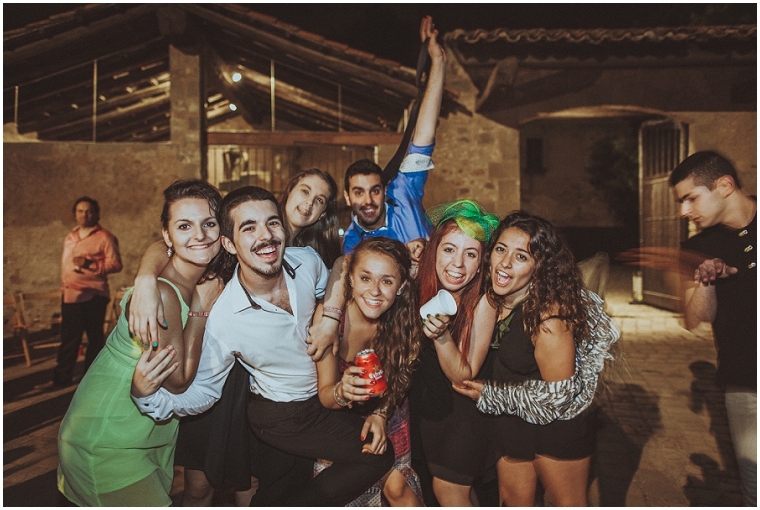 This was one of those nights. 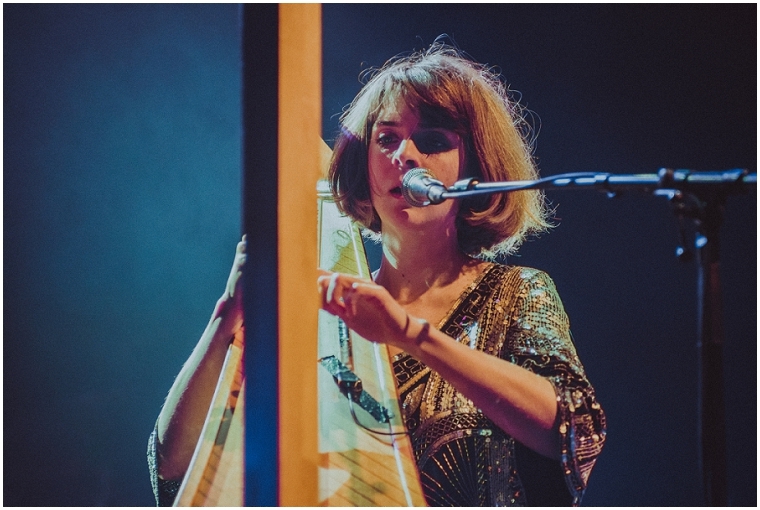 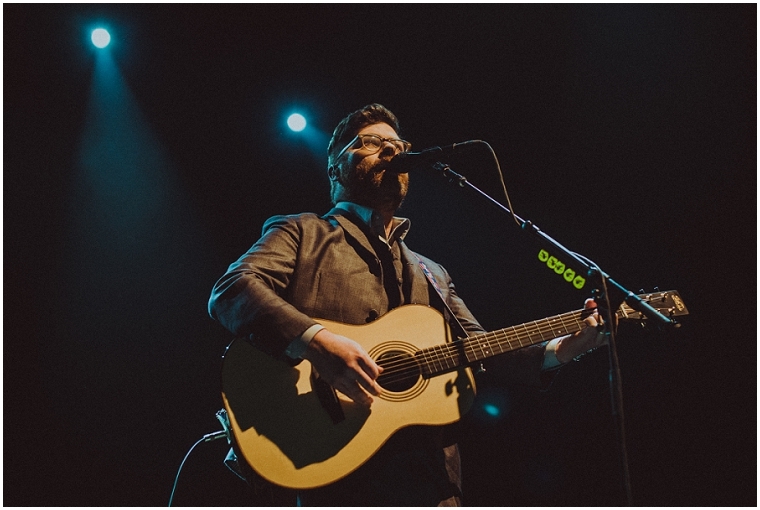 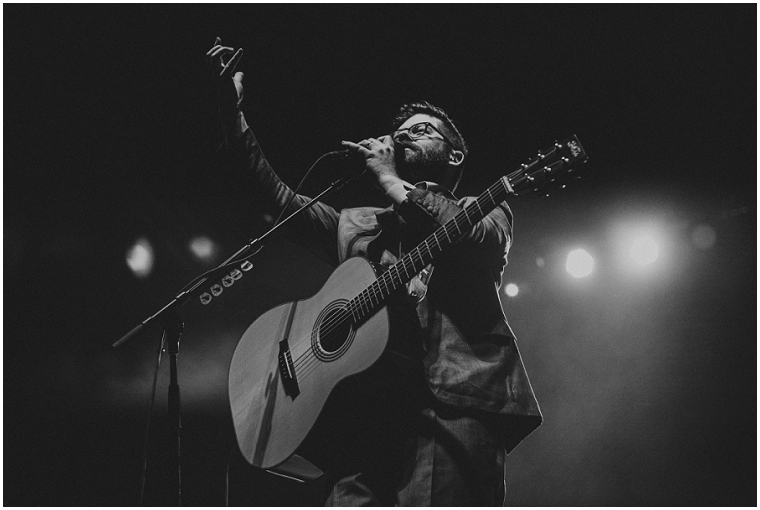 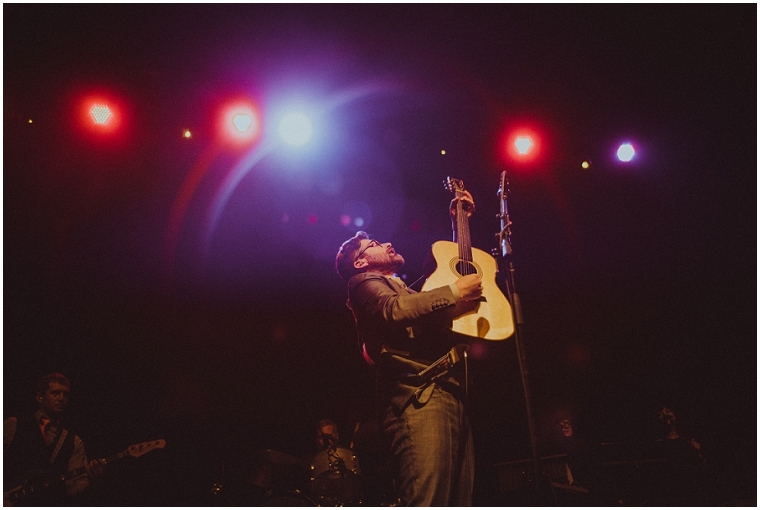 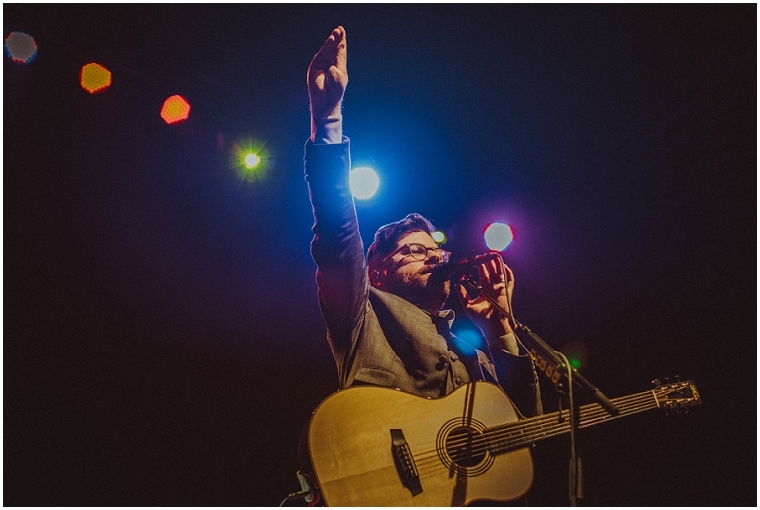 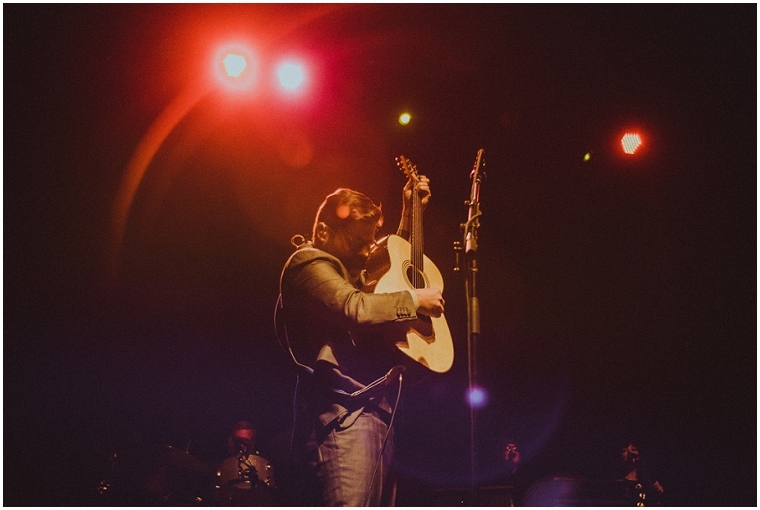 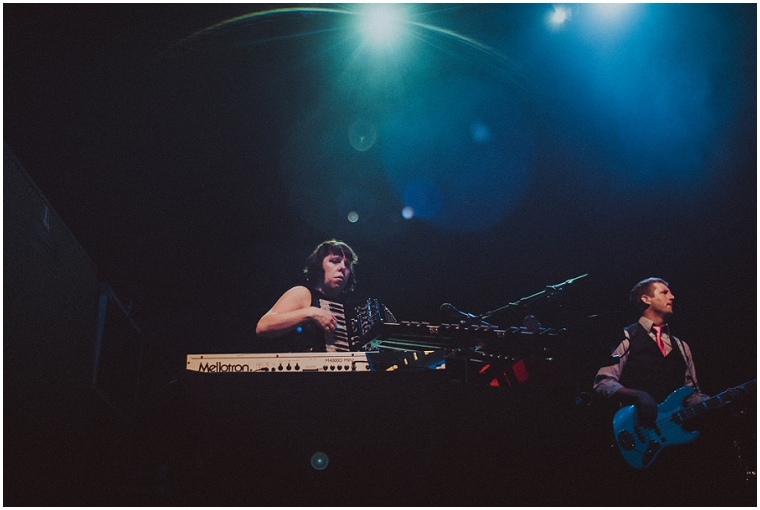 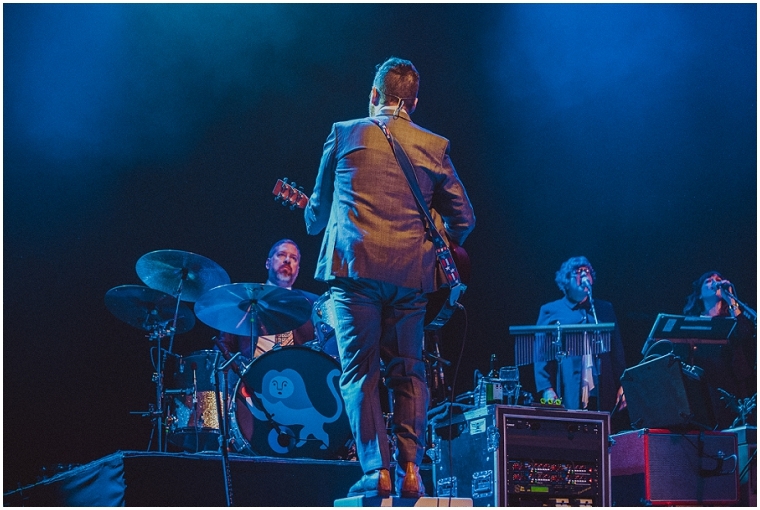 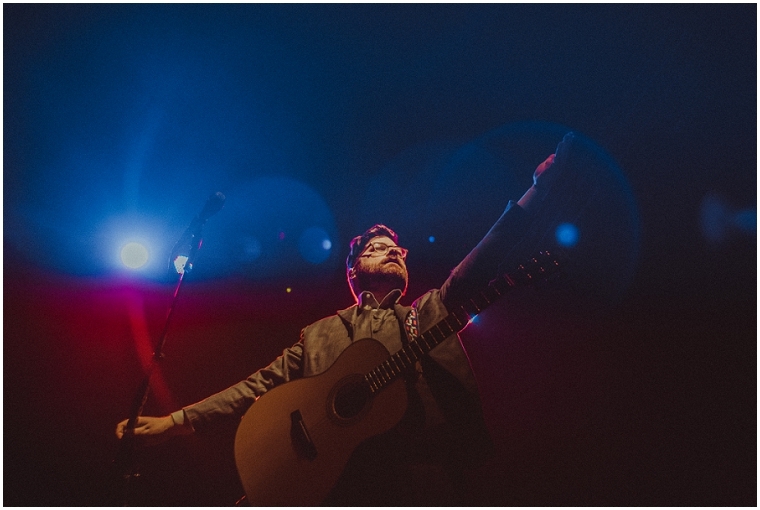 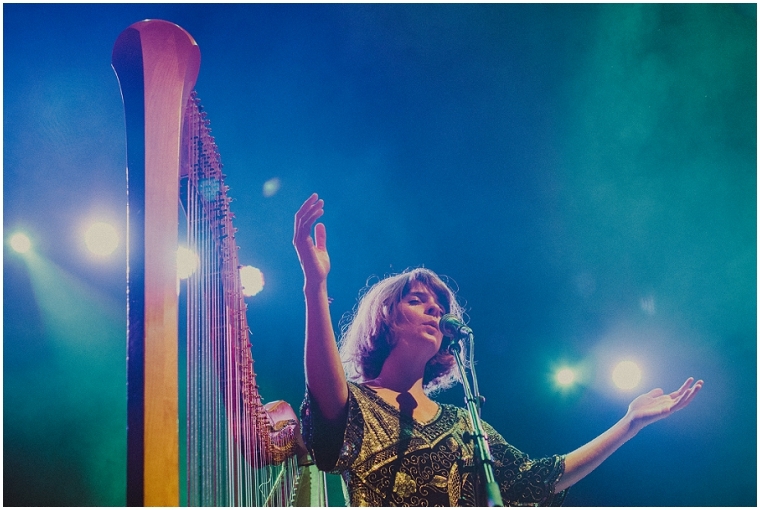 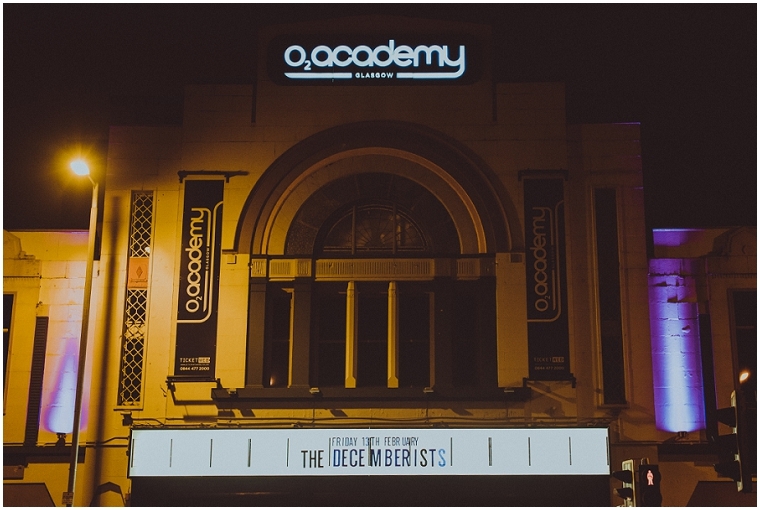 American indie band The Decemberist played the O2 Academy Glasgow last February with support from English songwriter Serafina Steer. 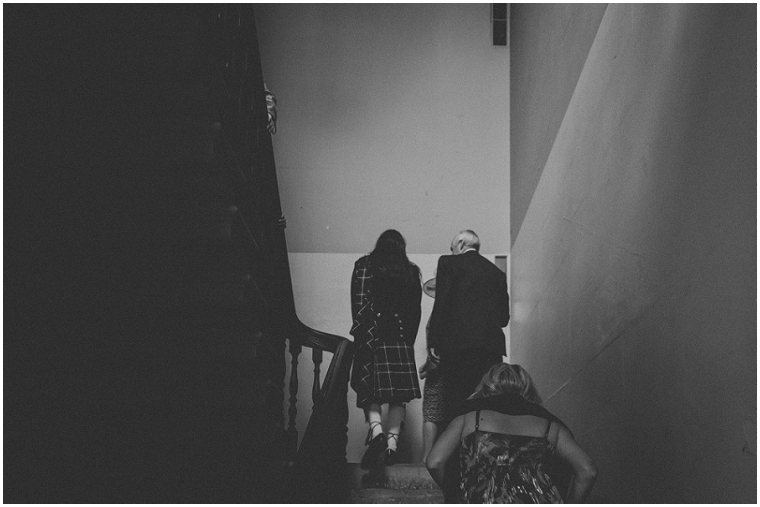 I took these photos for Glasgow’s popular music blog Rave Child. 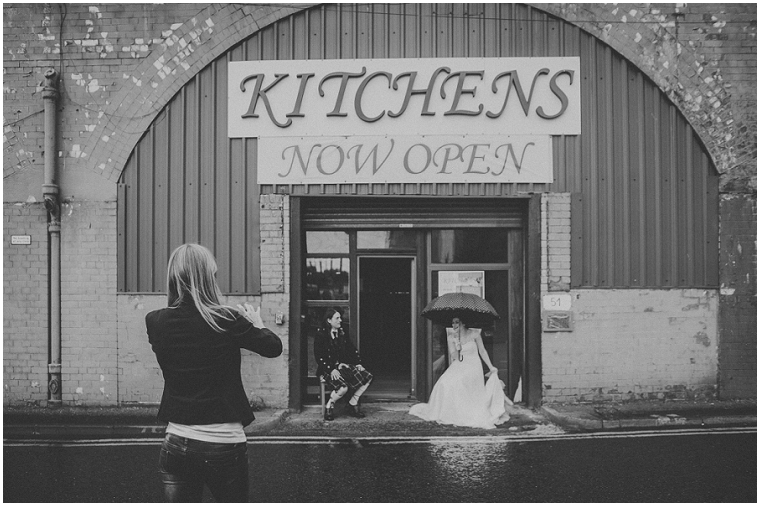 You can read their review here. 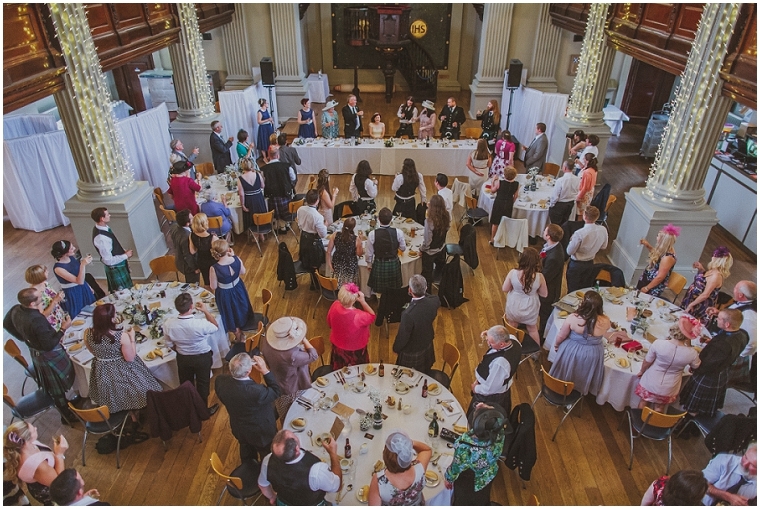 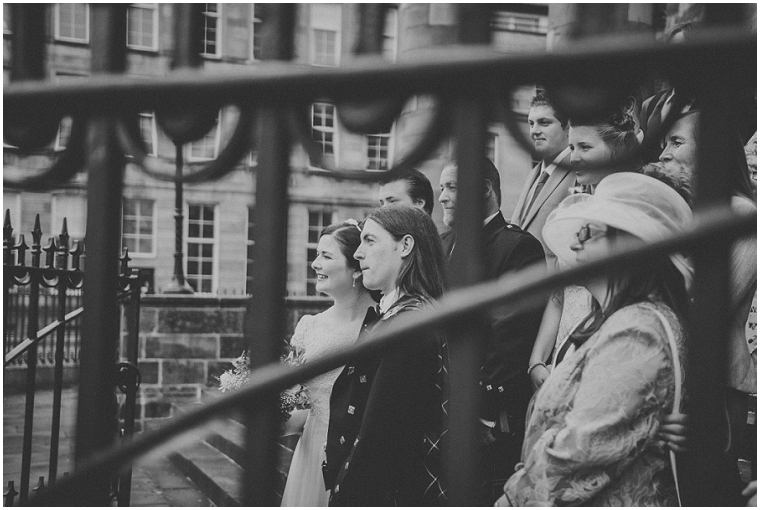 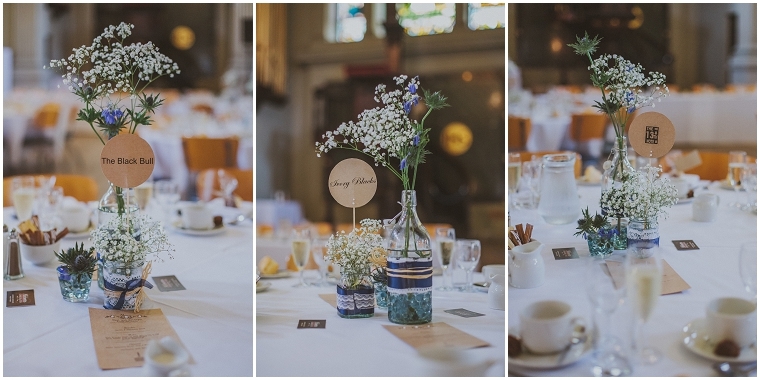 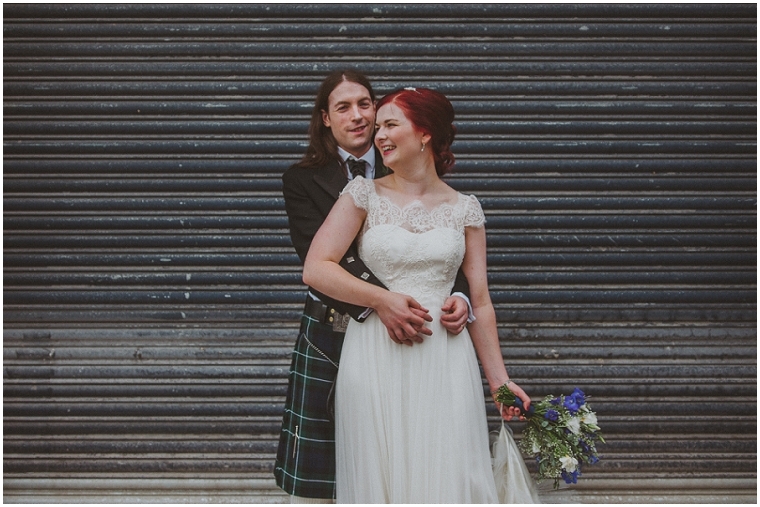 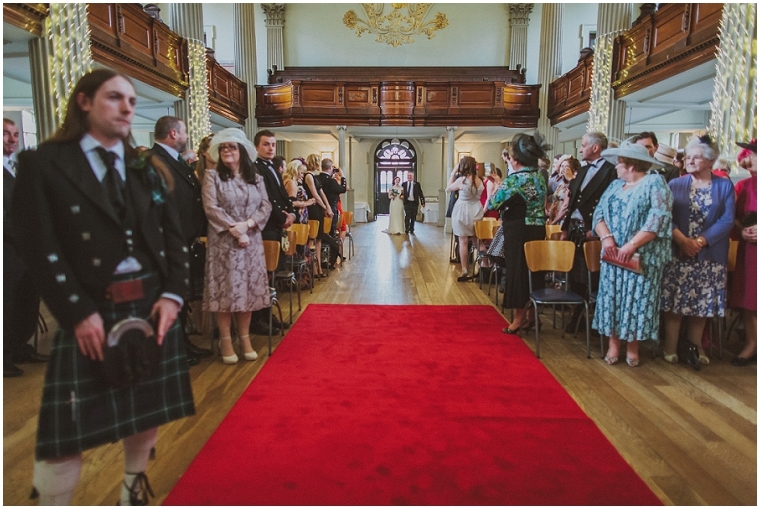 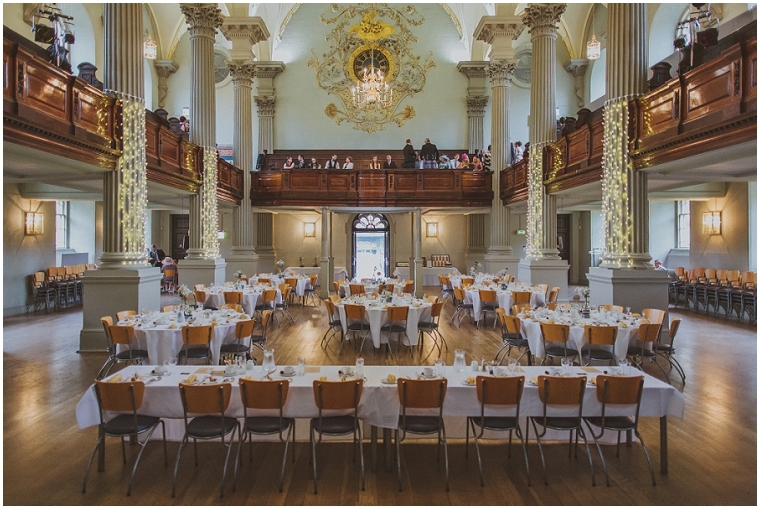 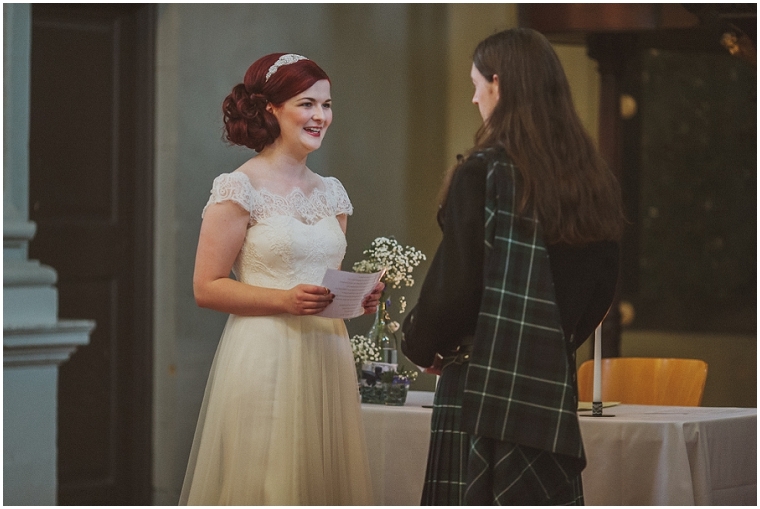 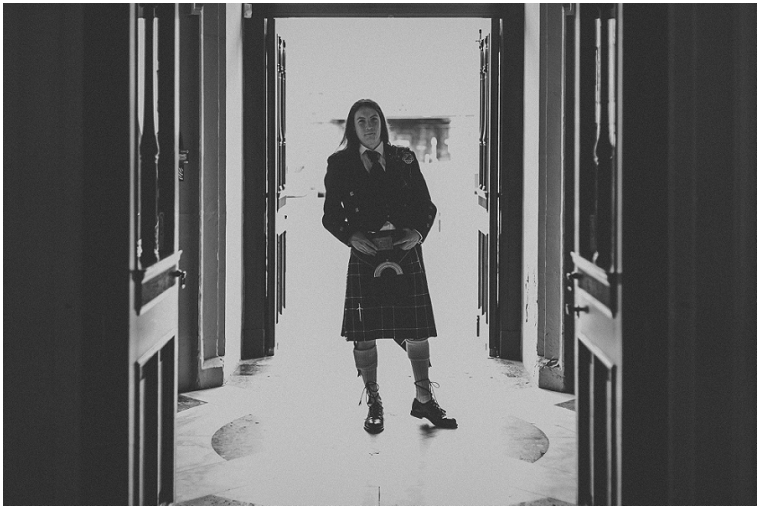 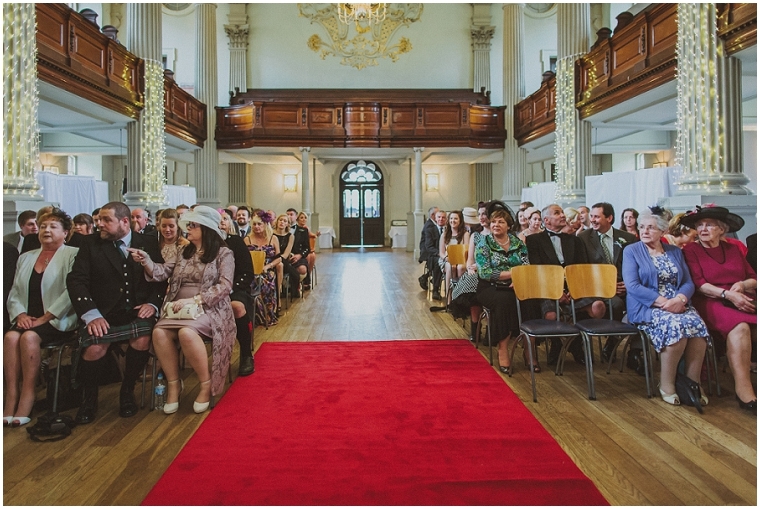 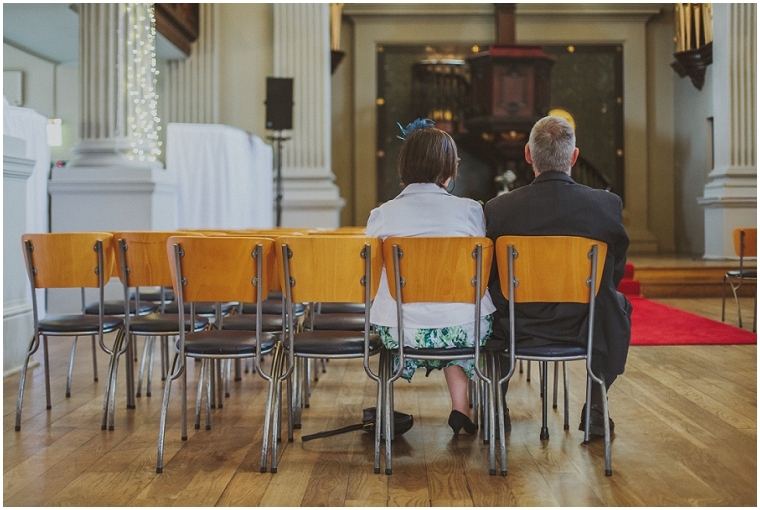 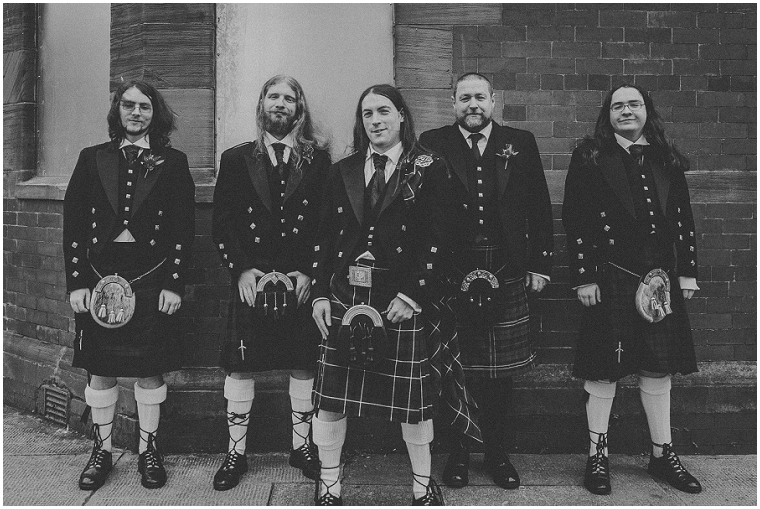 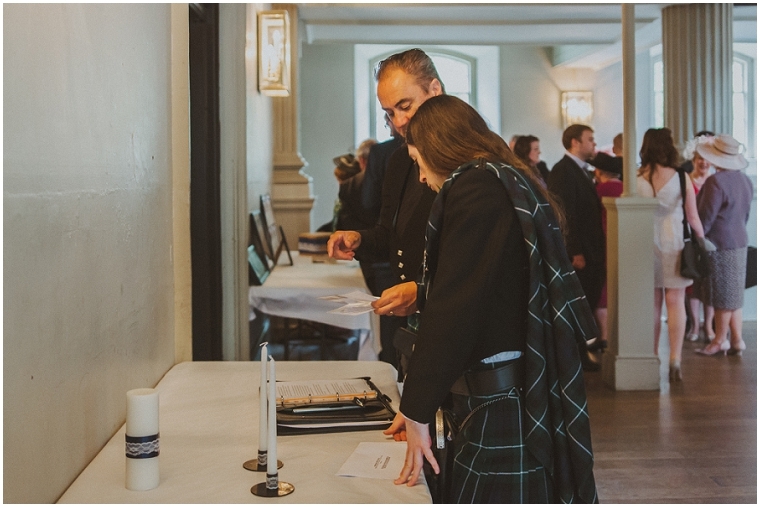 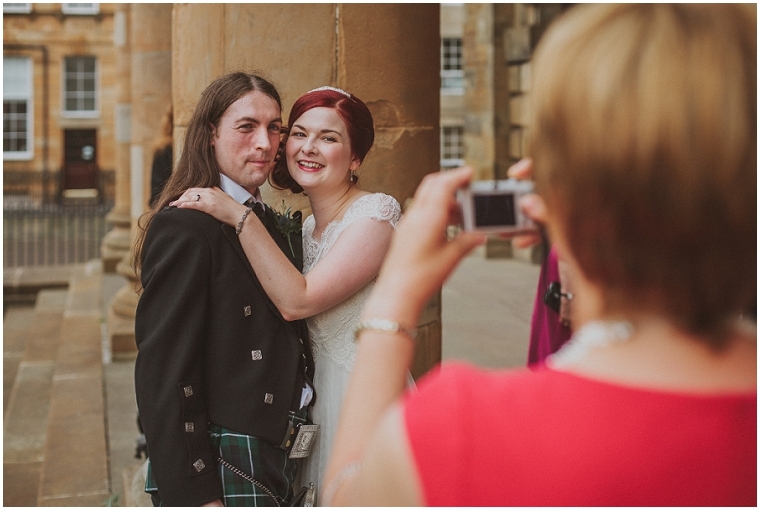 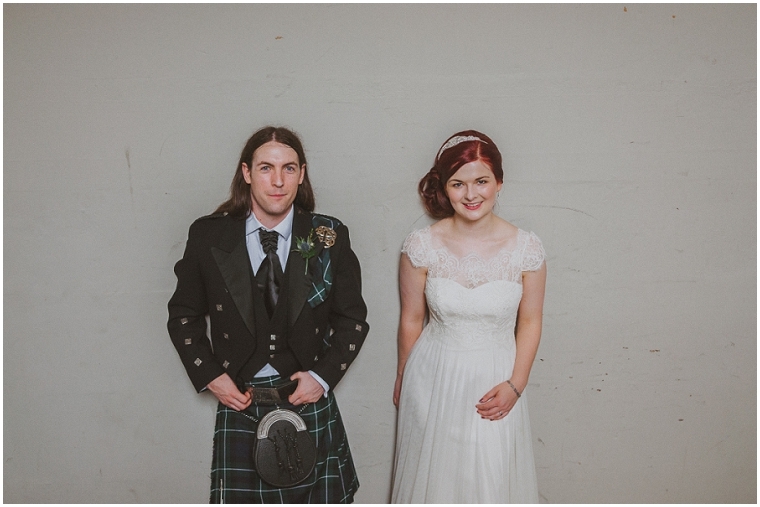 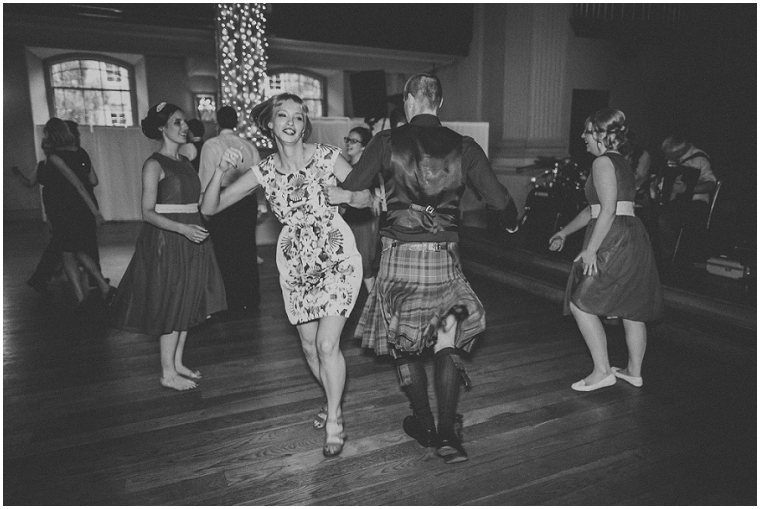 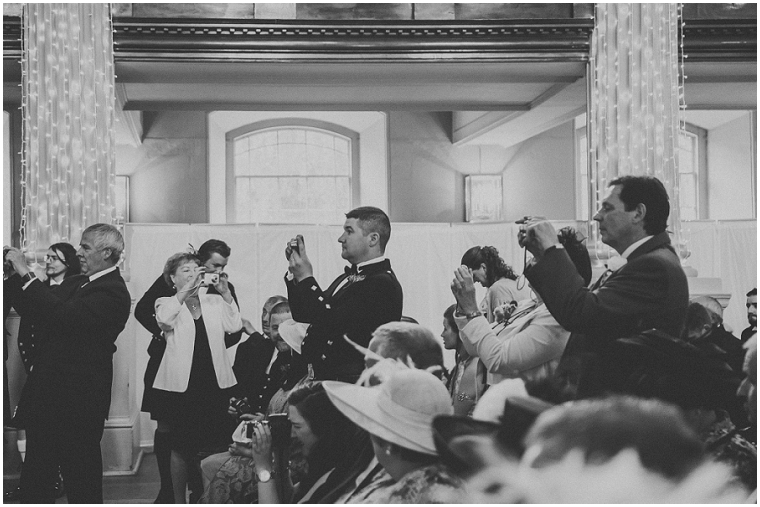 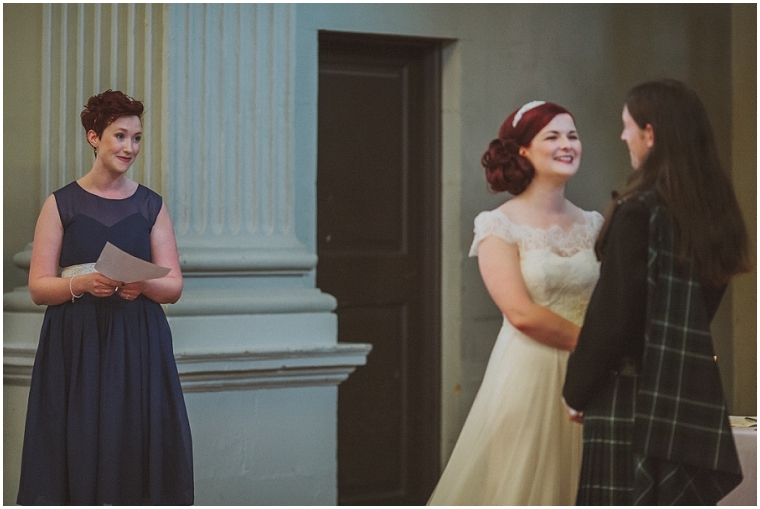 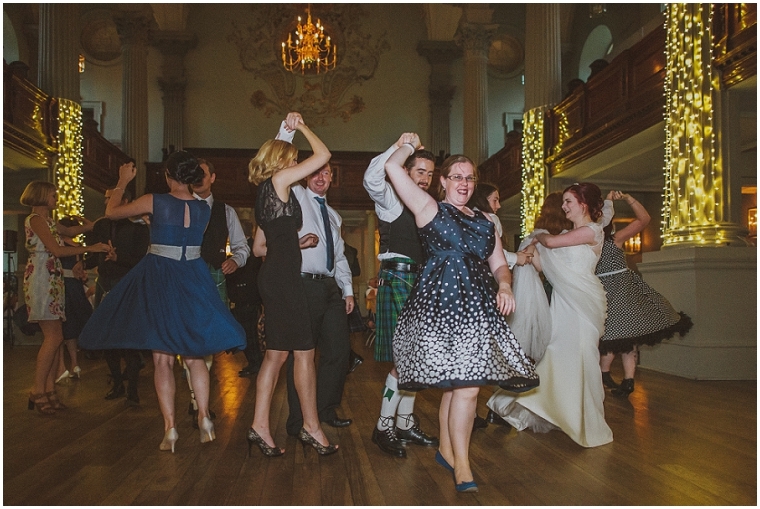 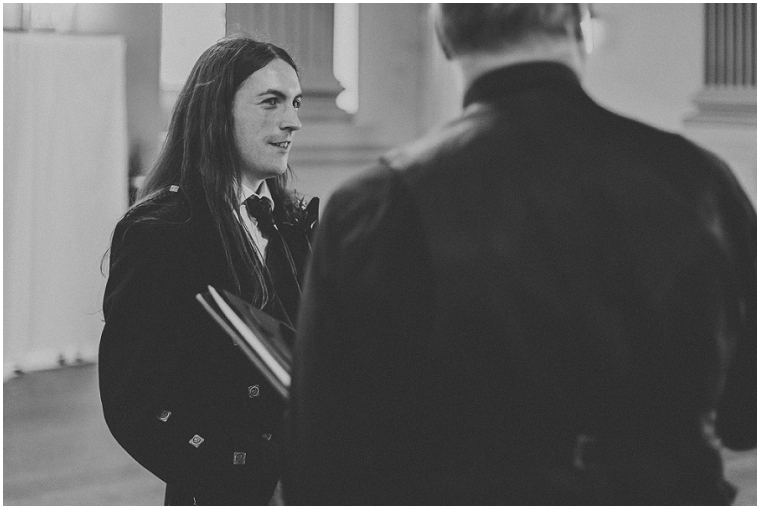 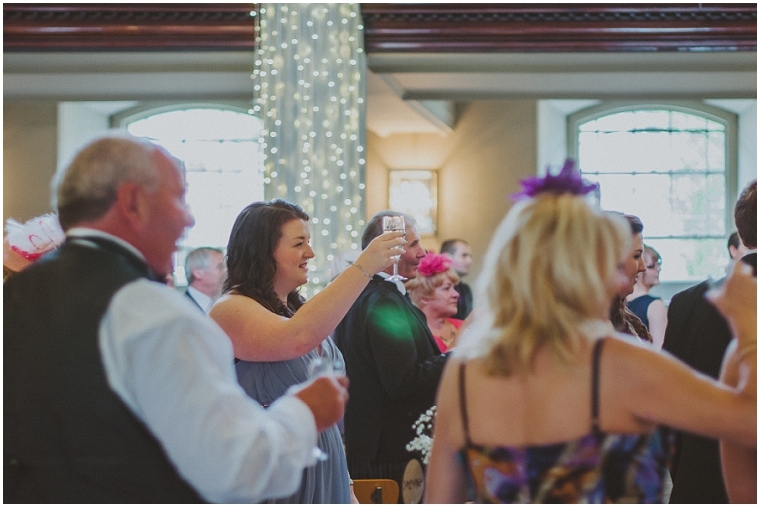 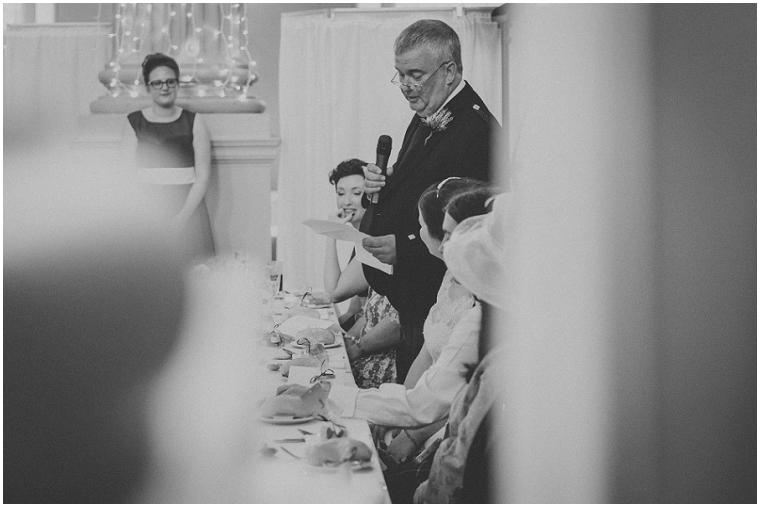 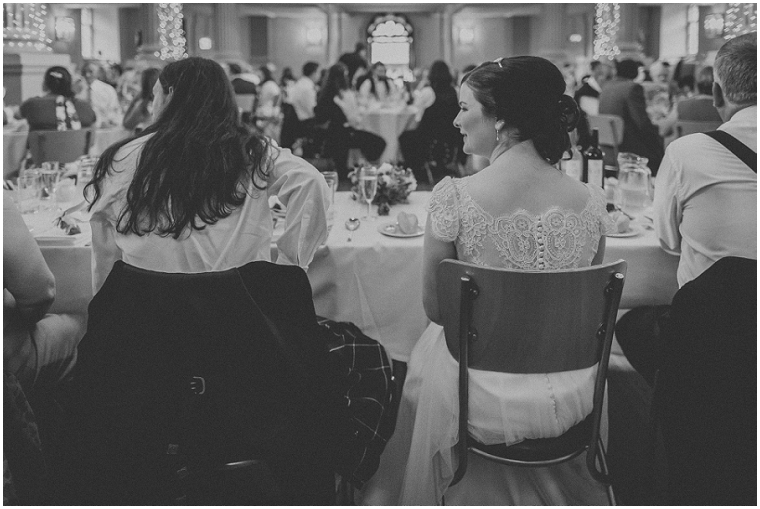 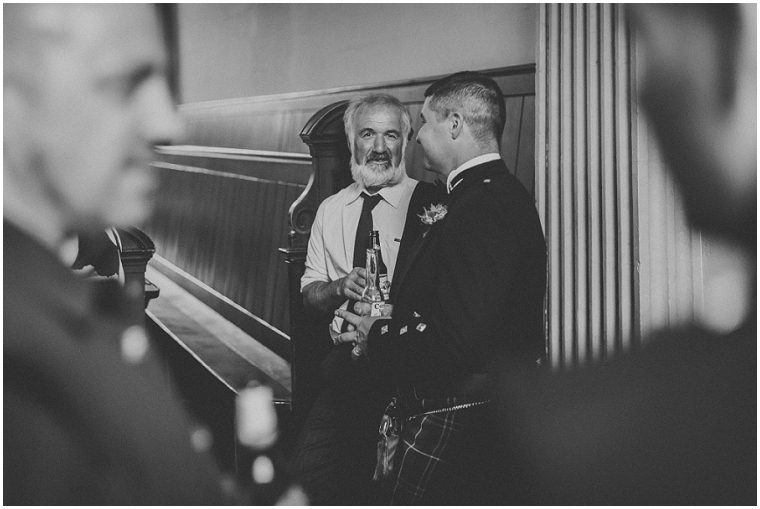 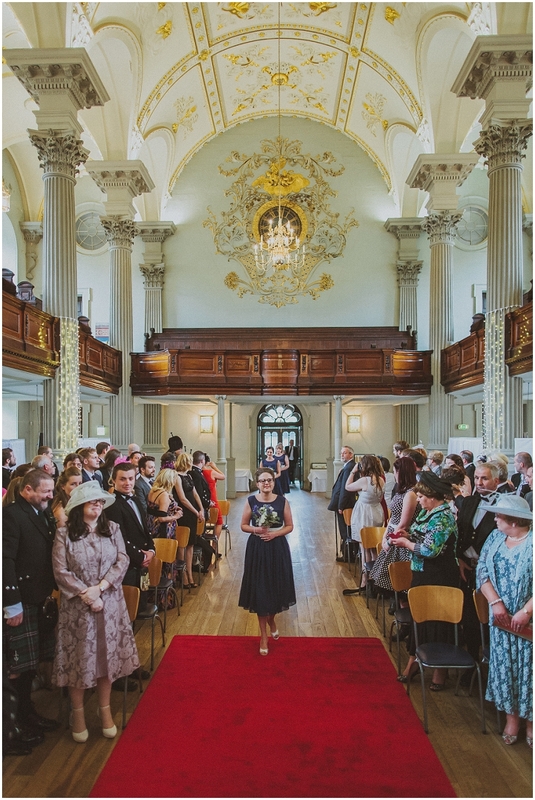 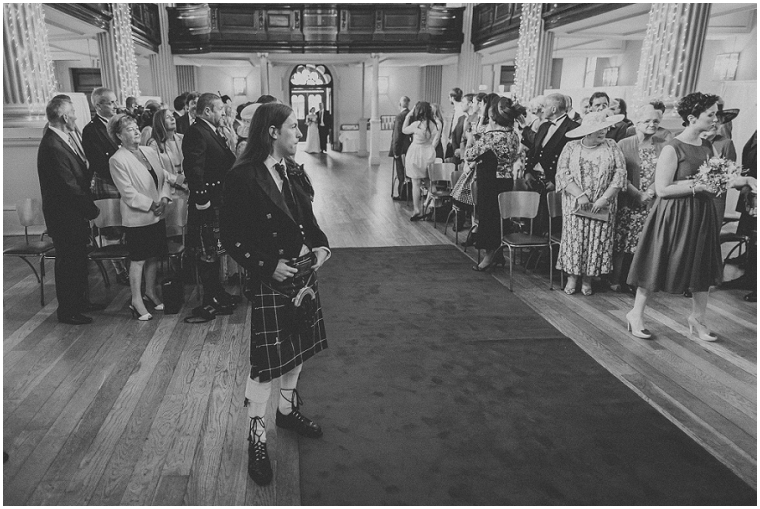 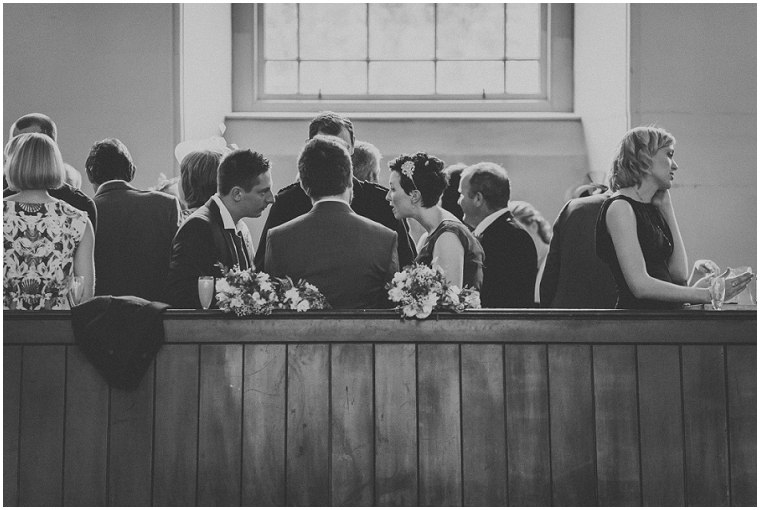 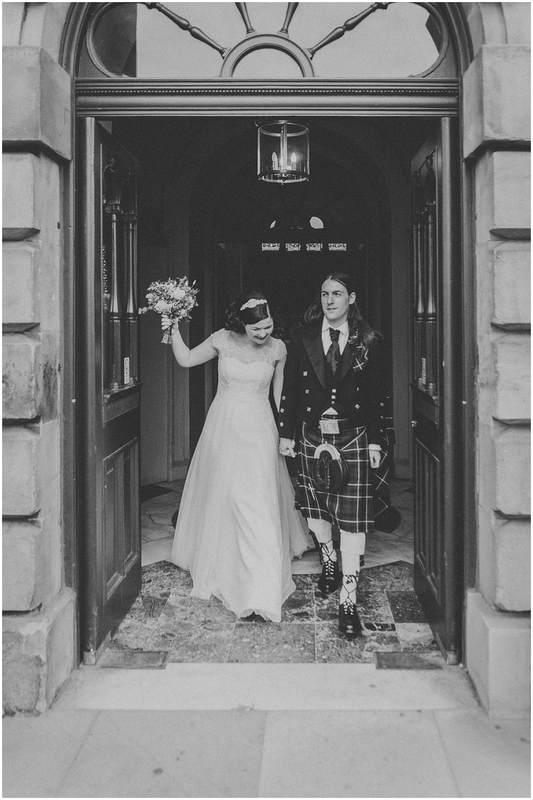 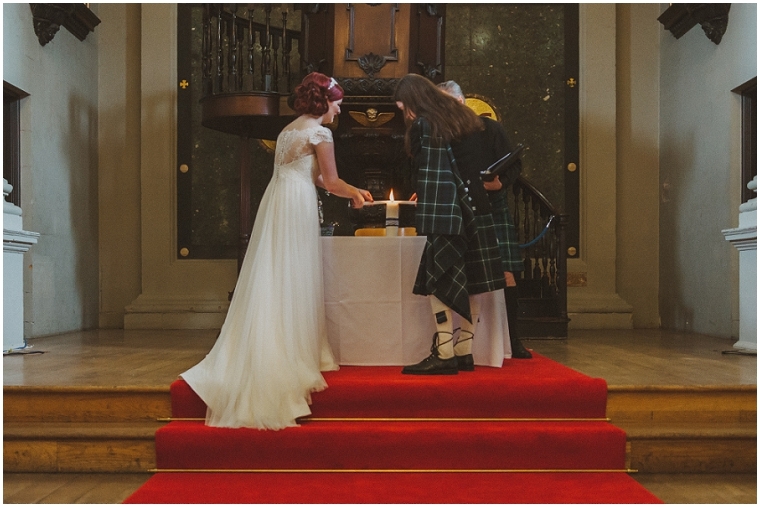 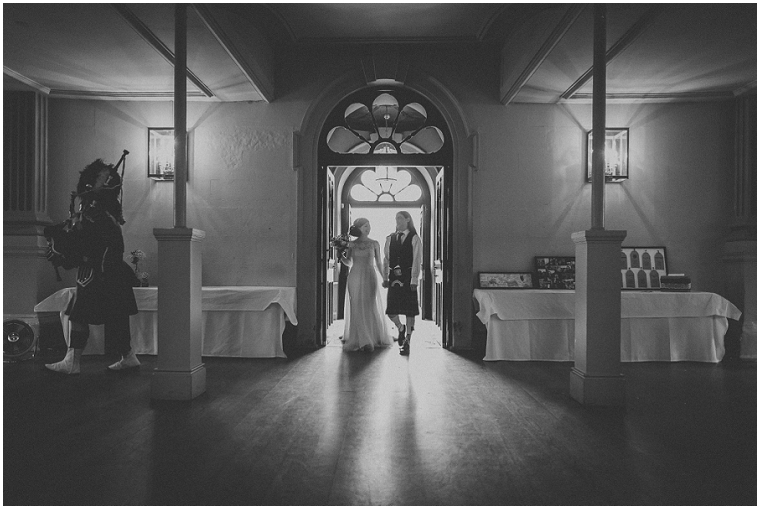 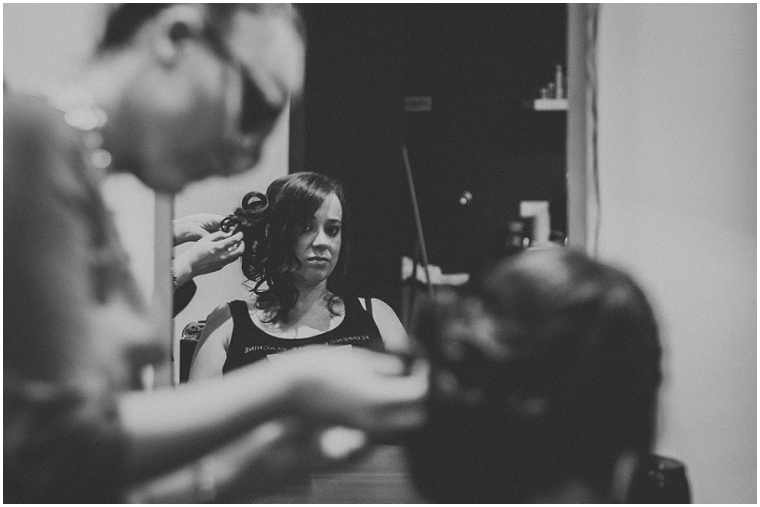 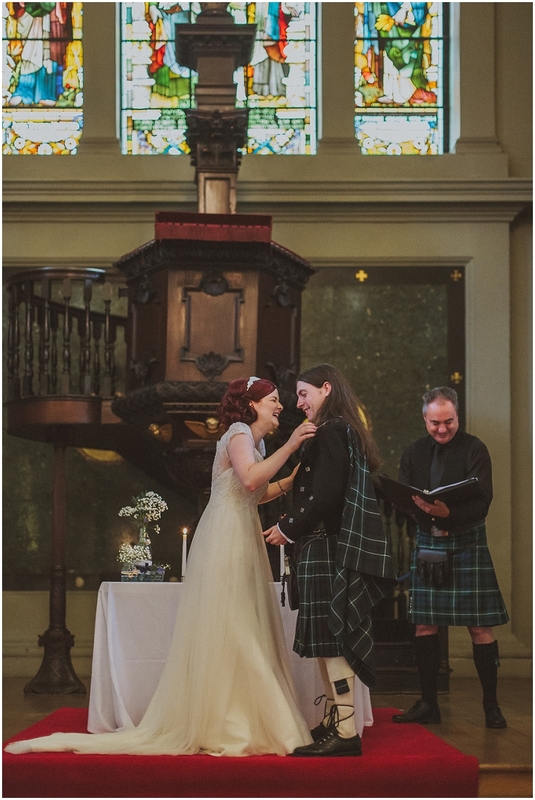 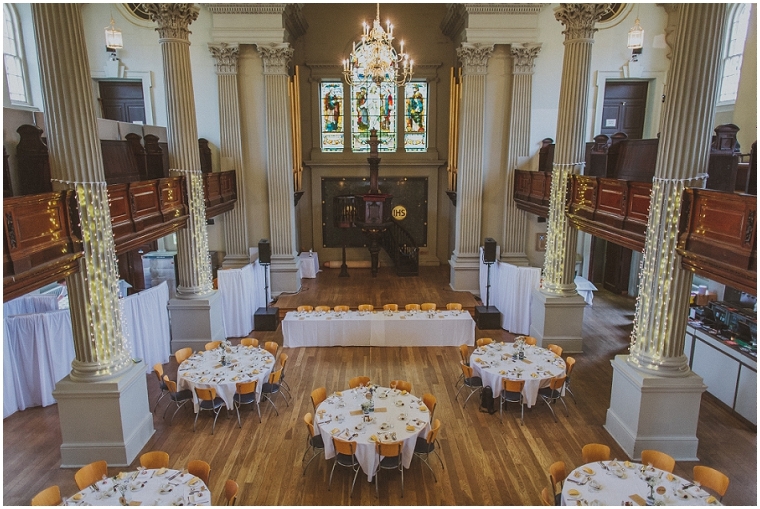 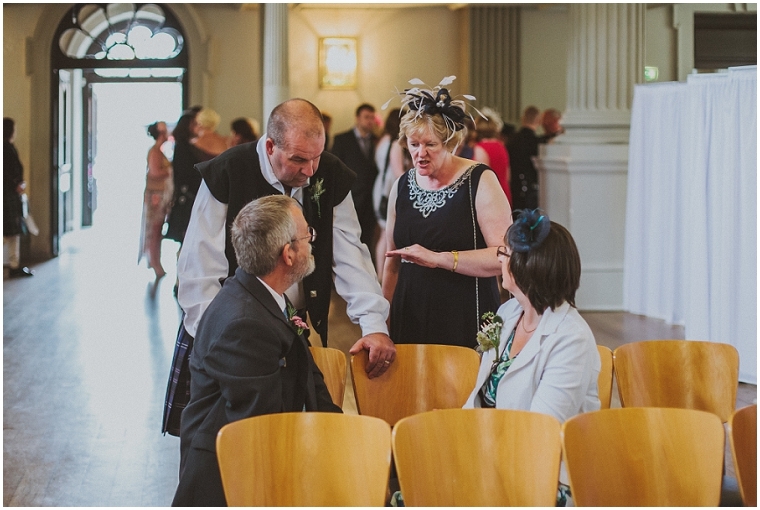 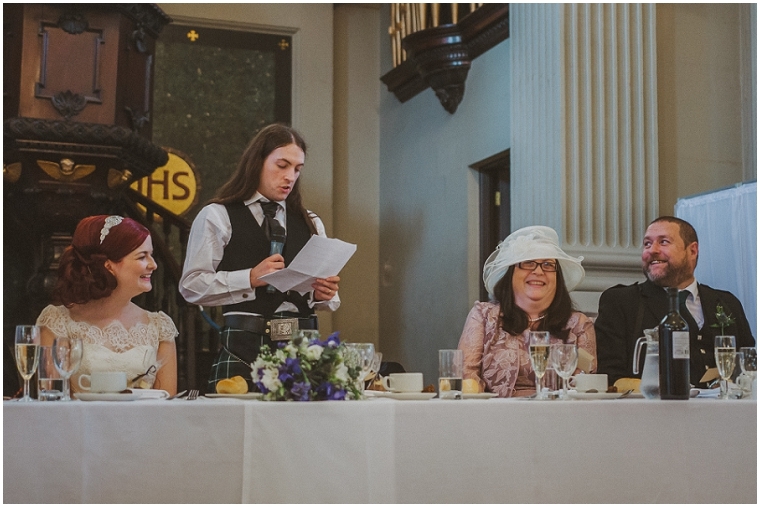 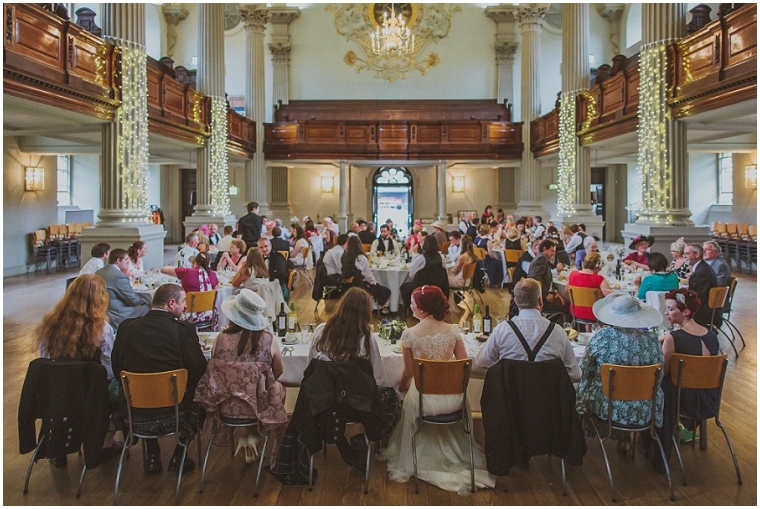 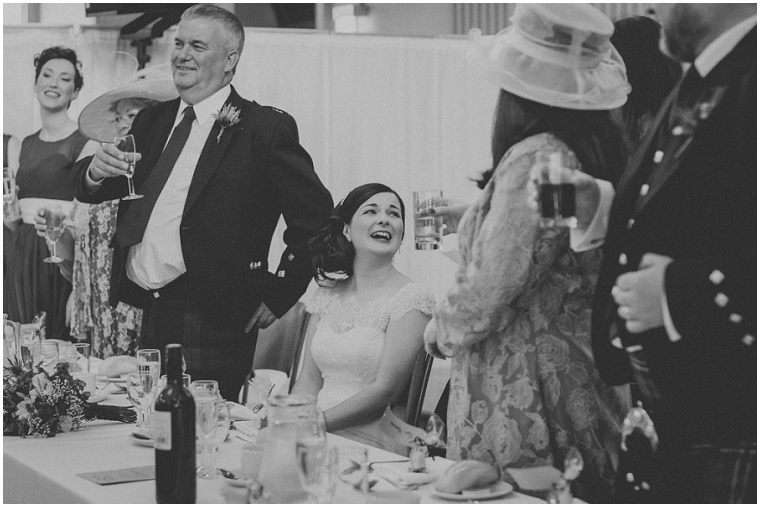 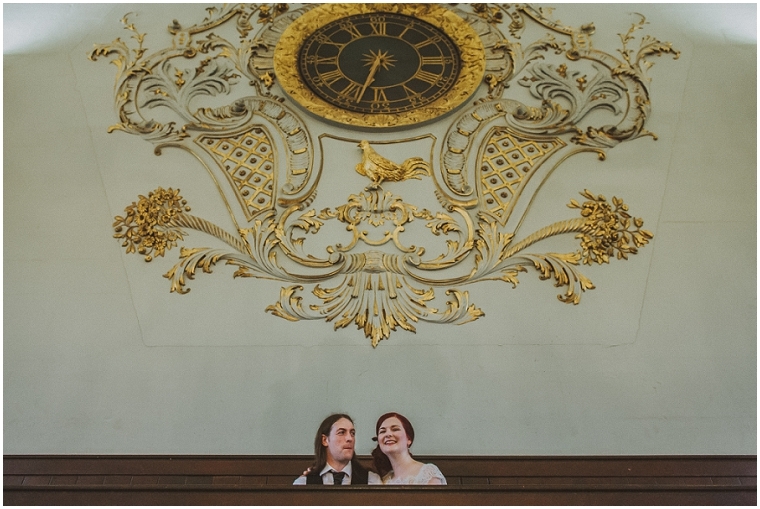 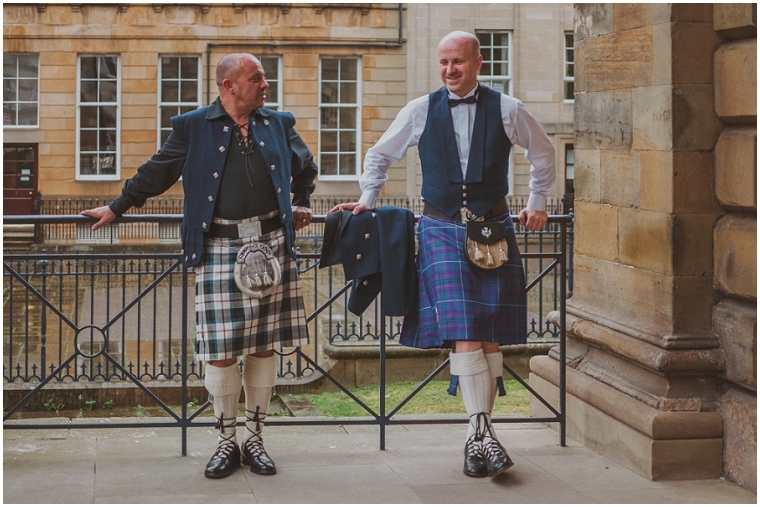 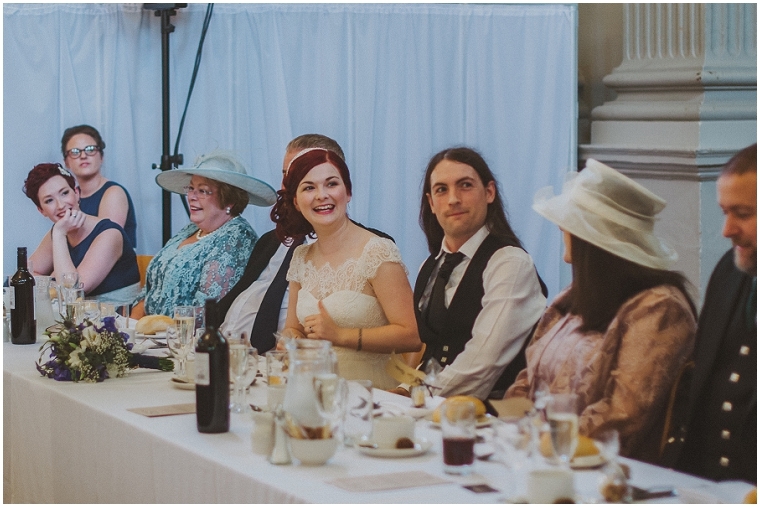 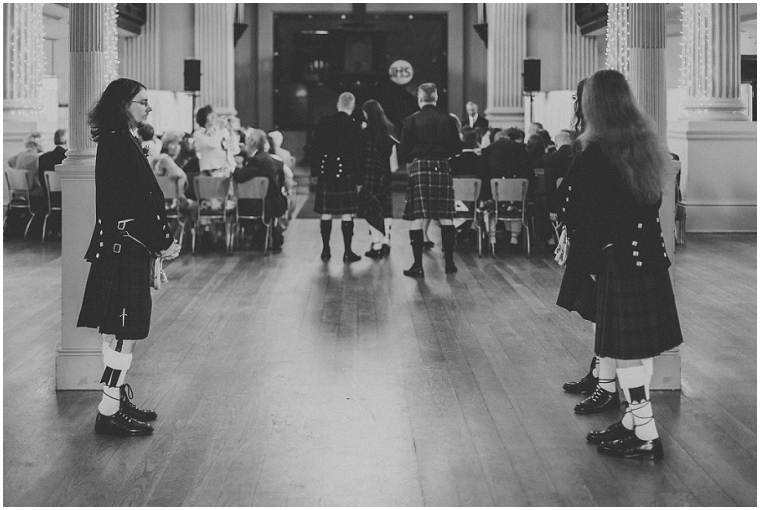 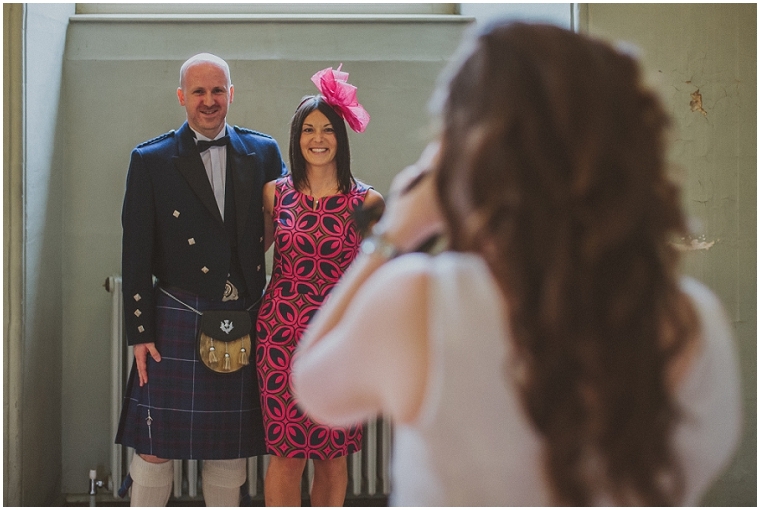 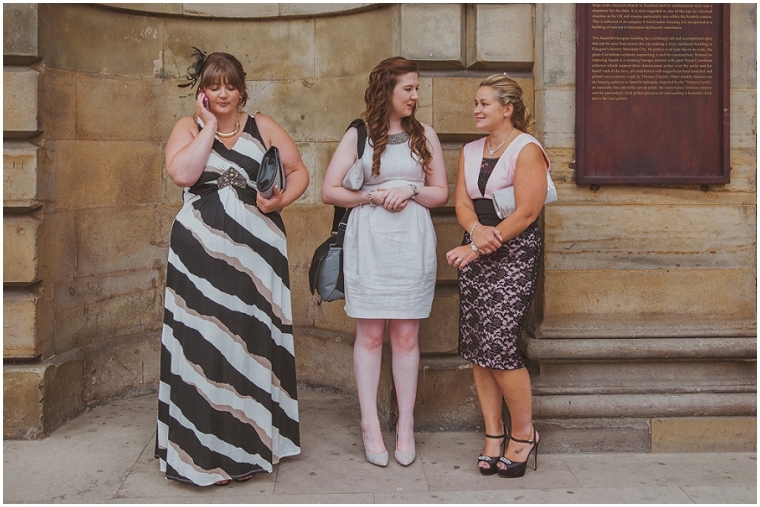 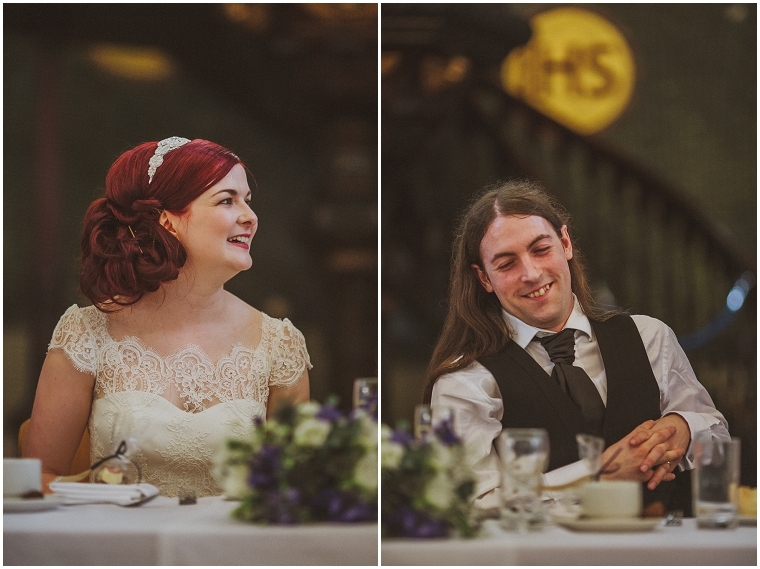 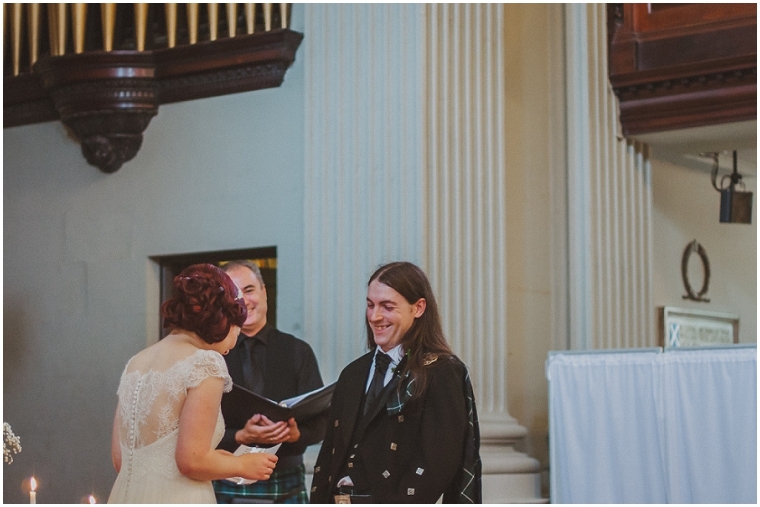 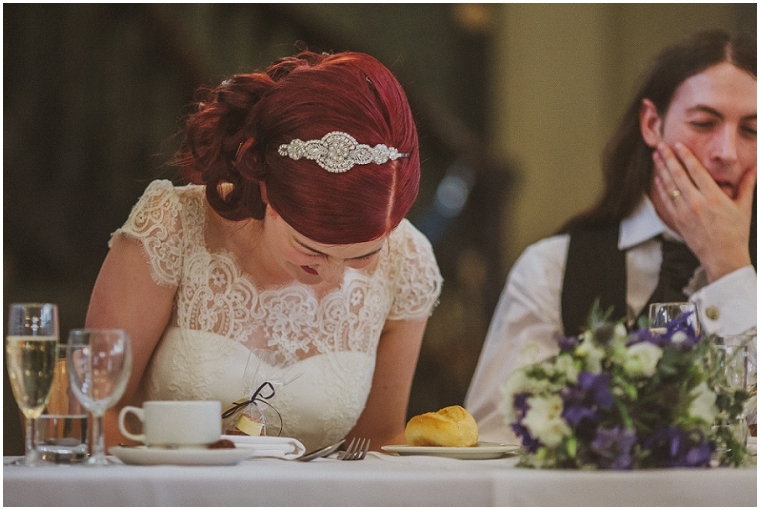 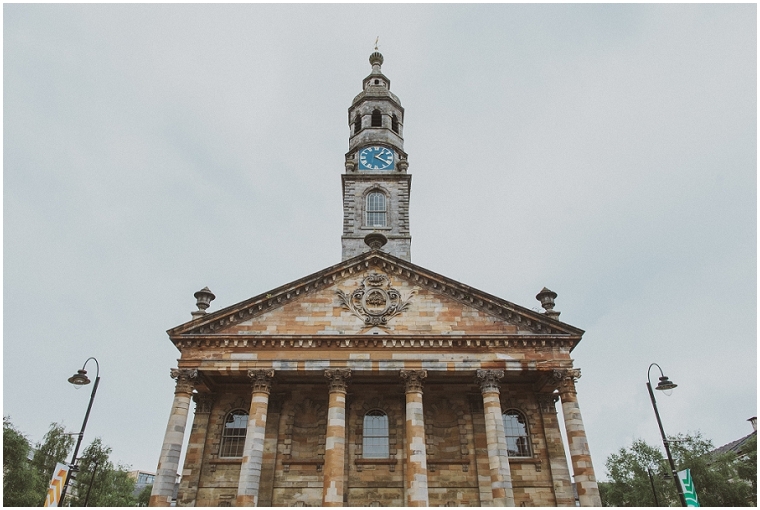 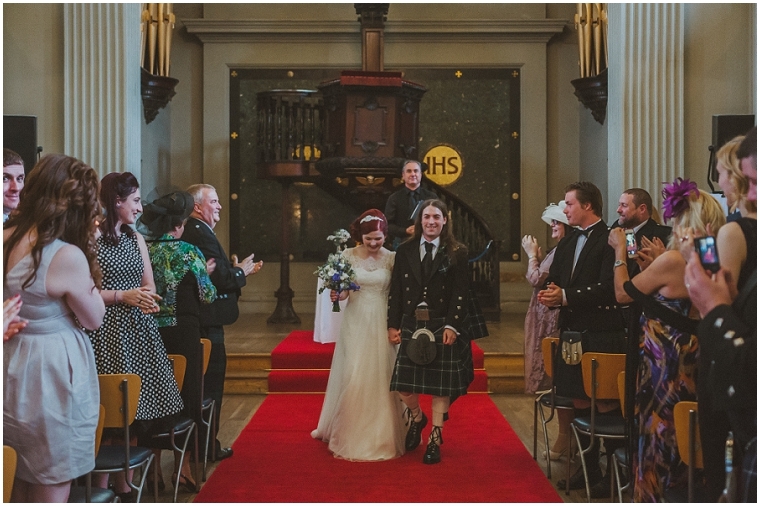 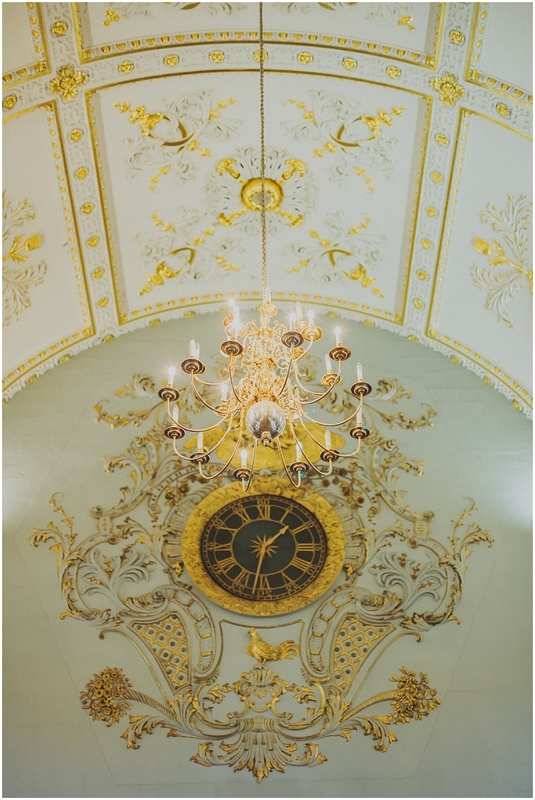 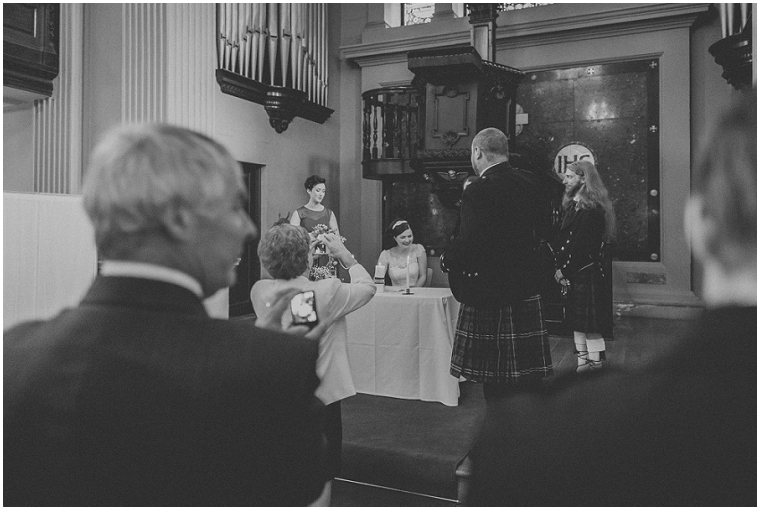 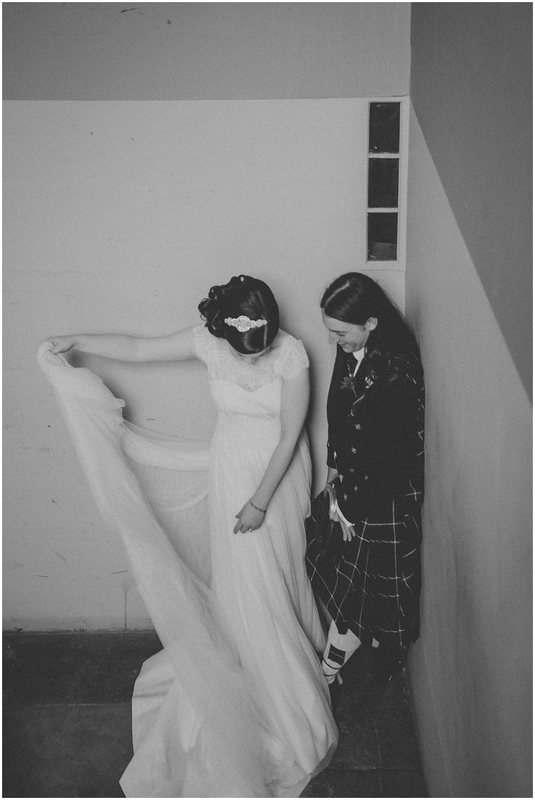 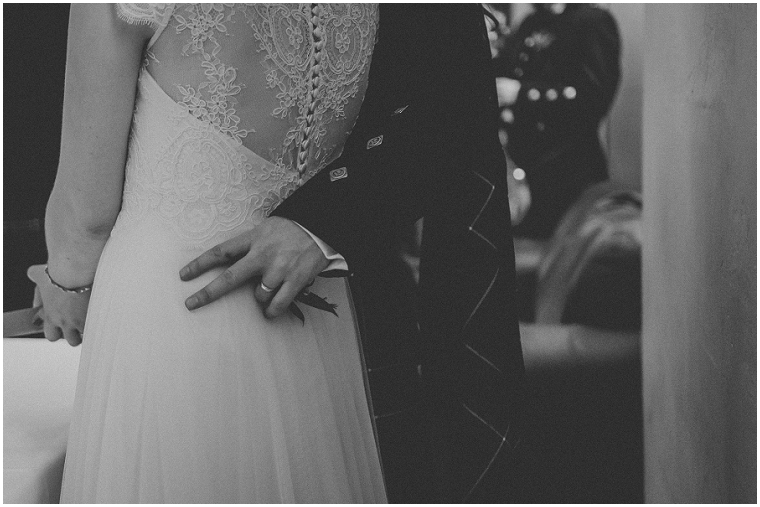 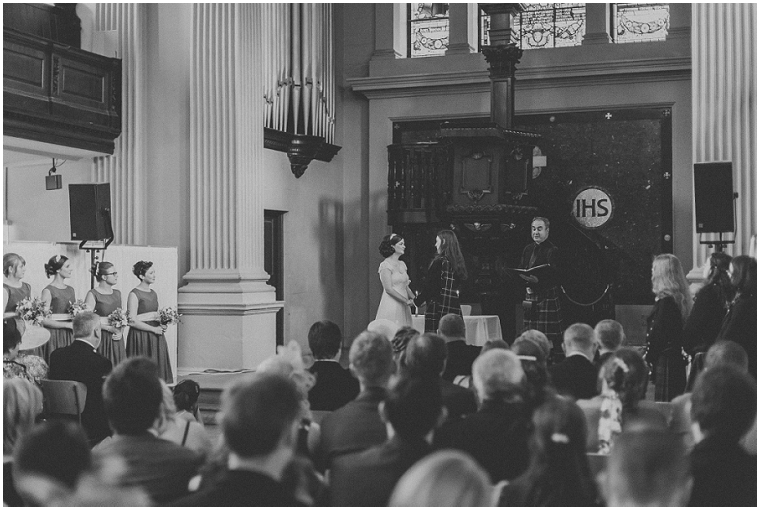 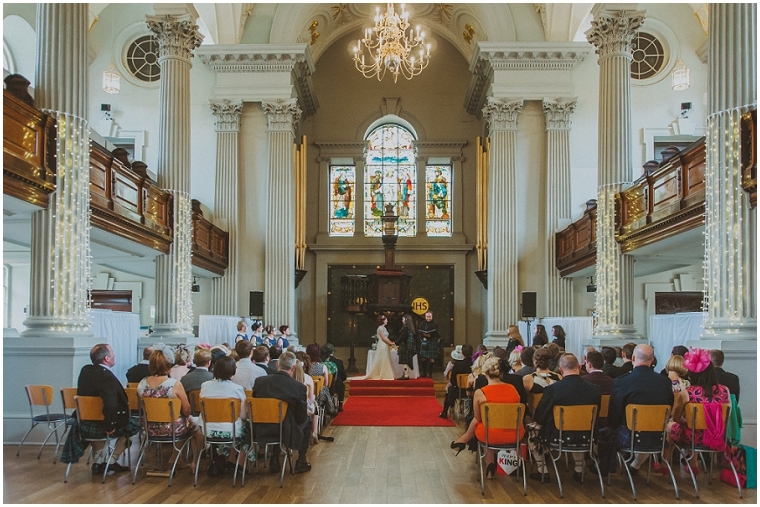 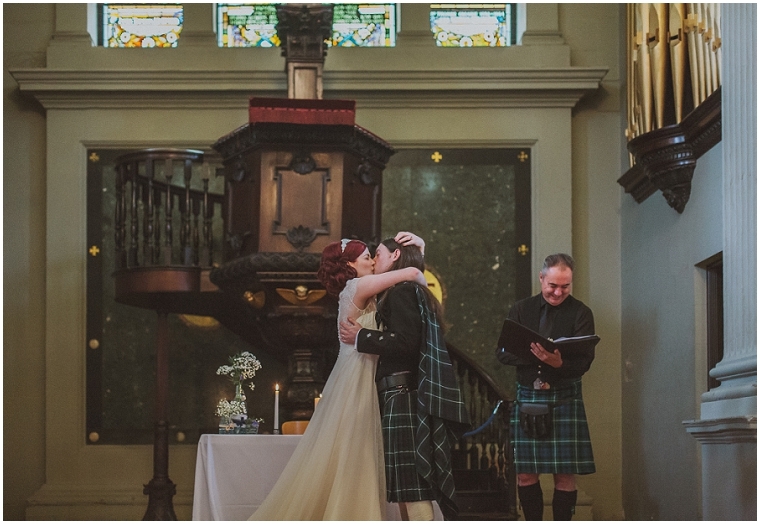 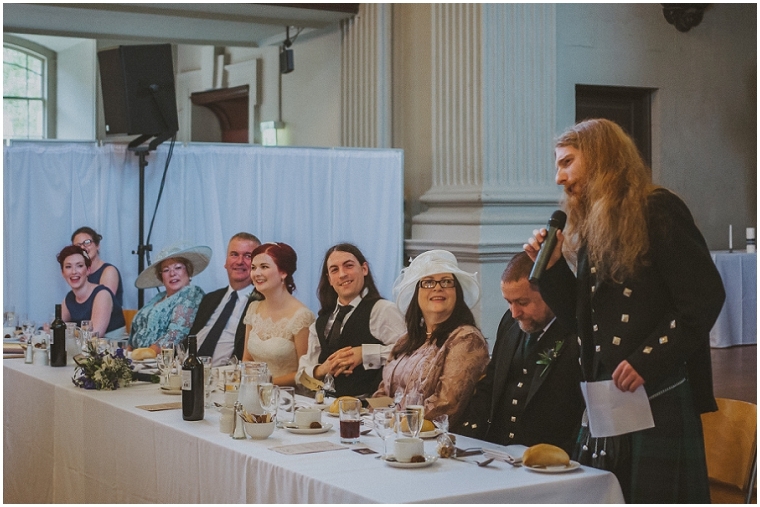 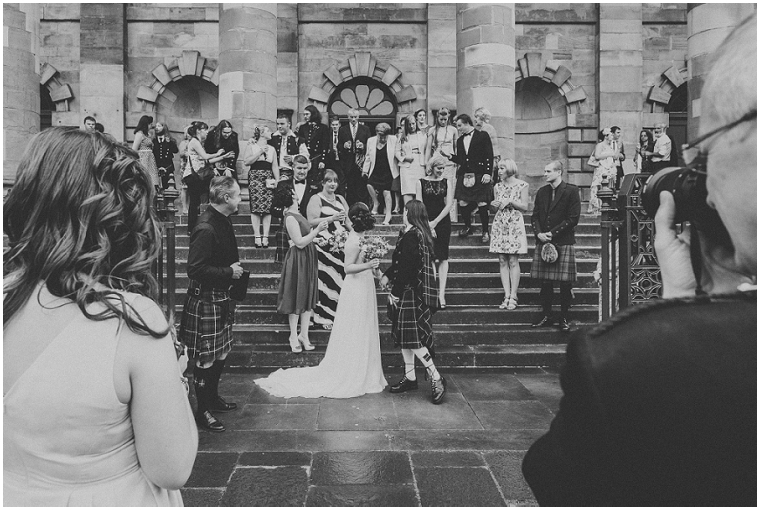 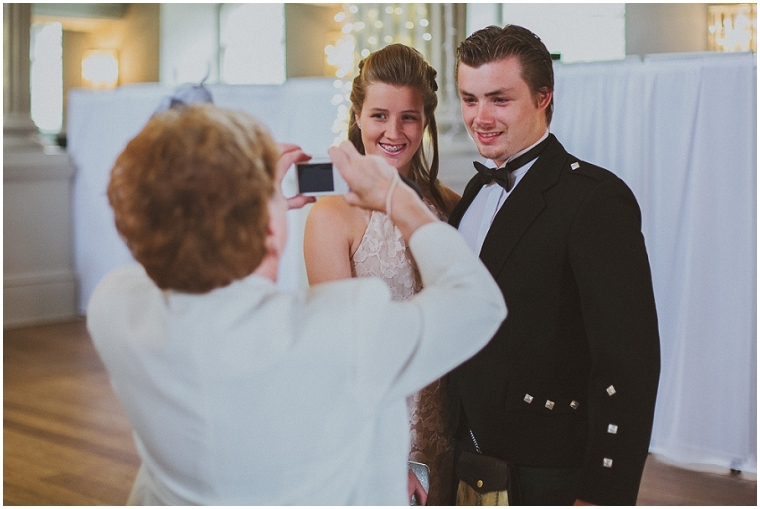 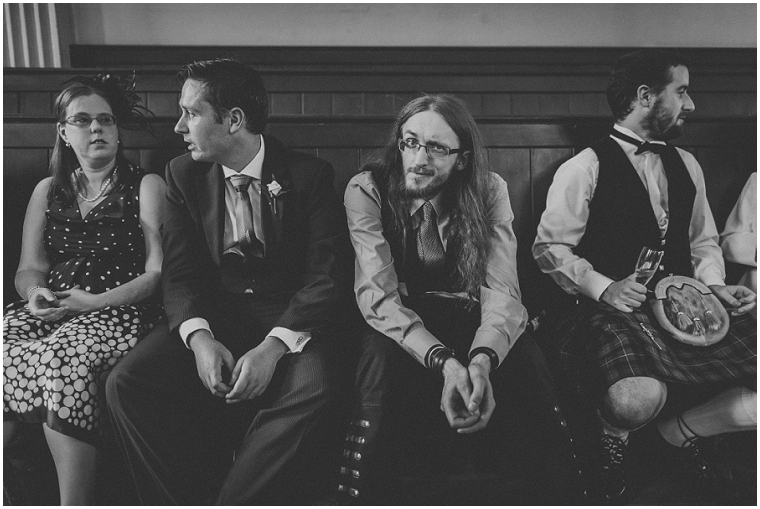 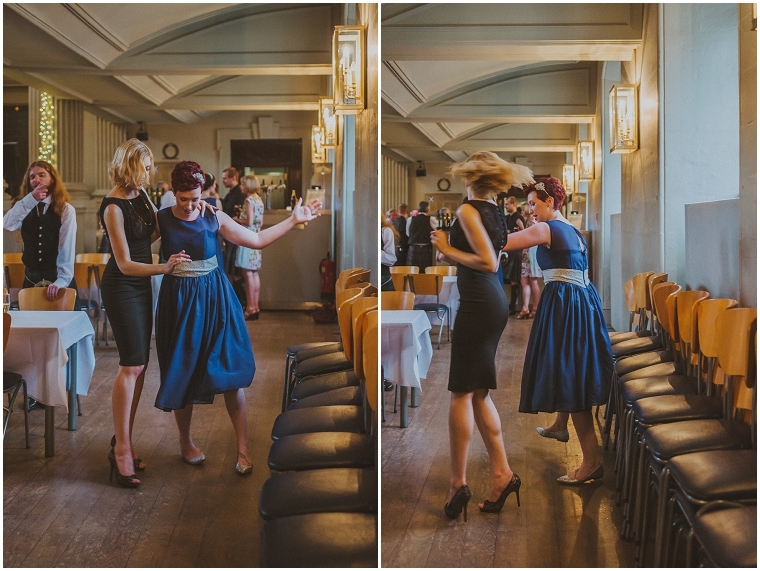 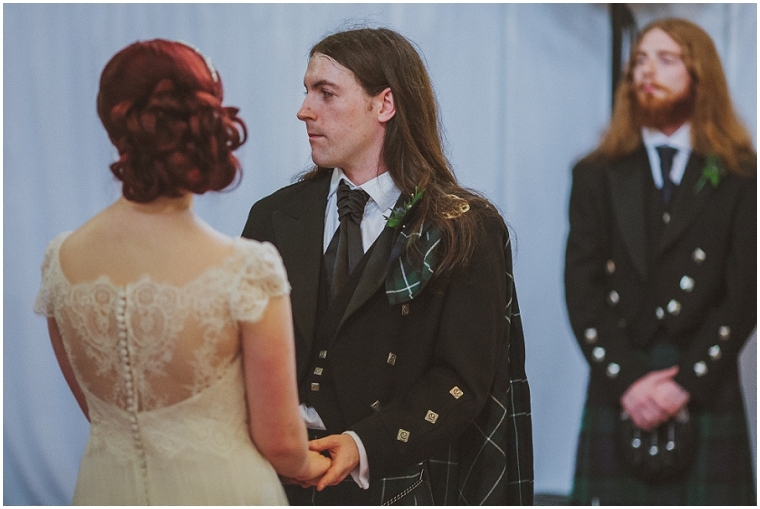 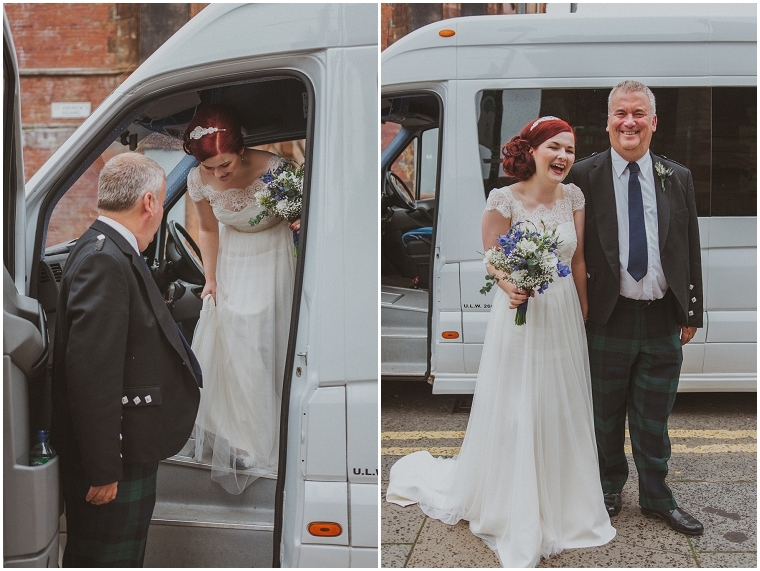 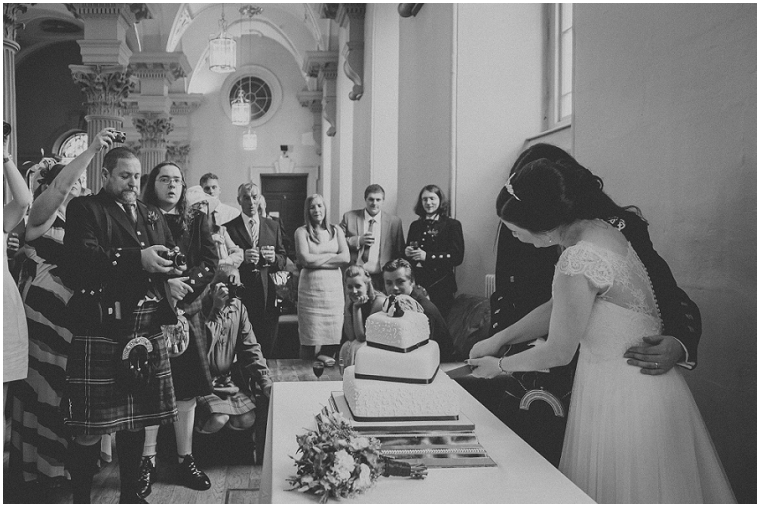 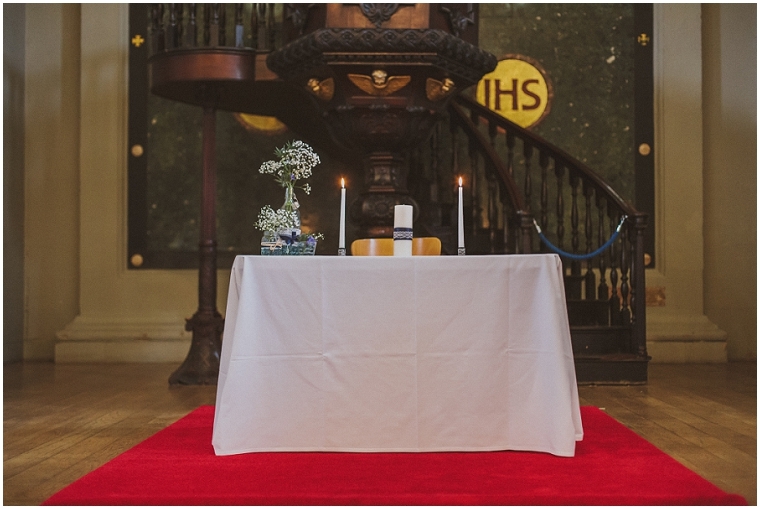 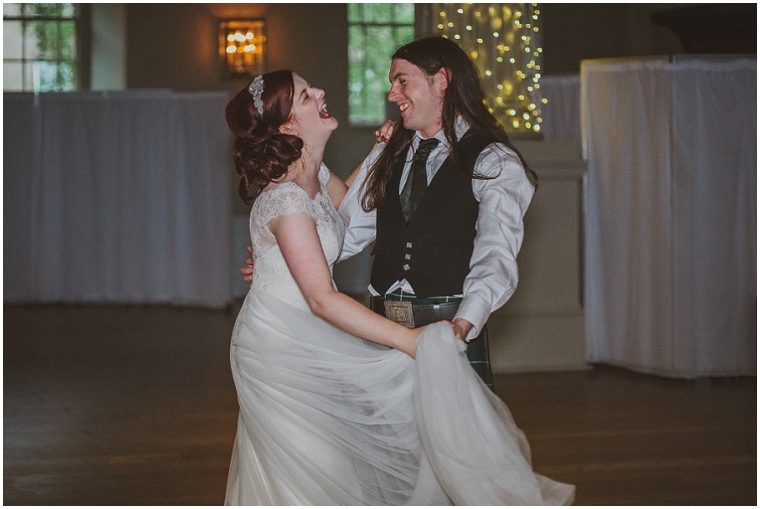 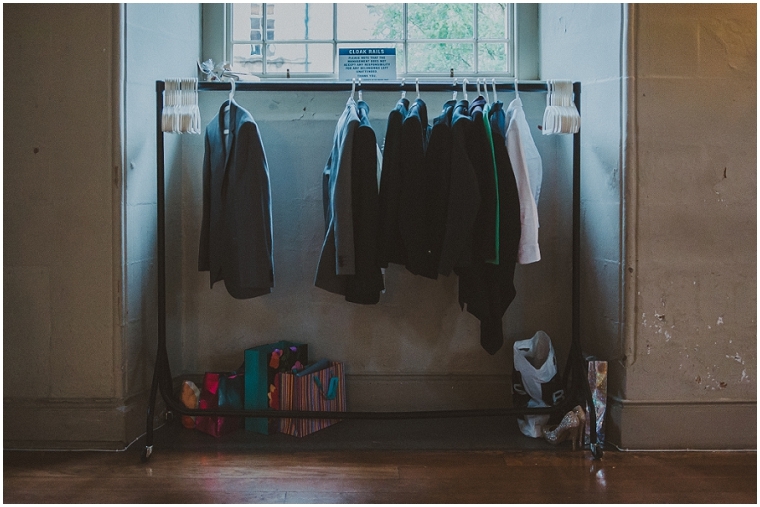 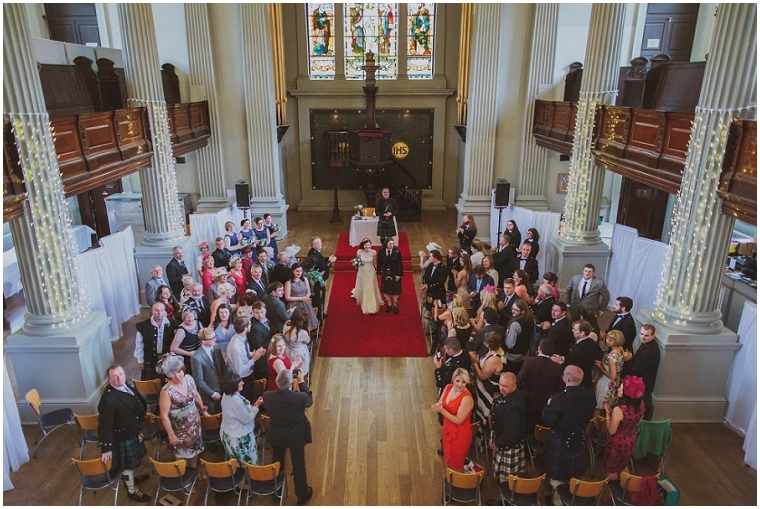 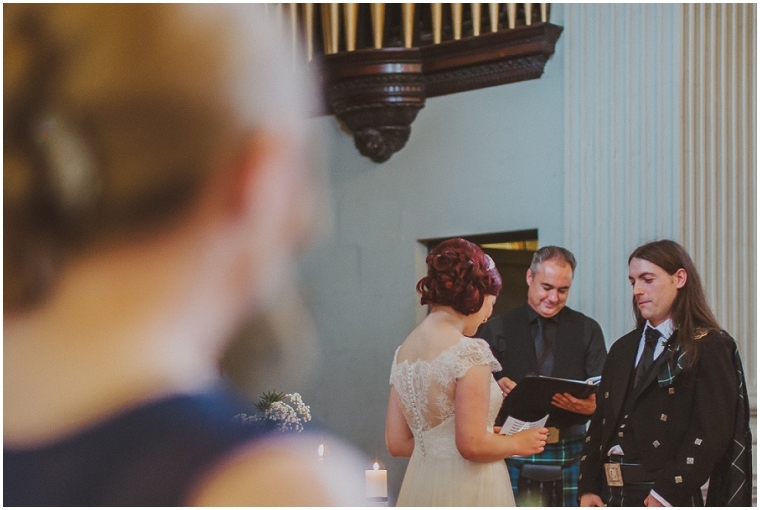 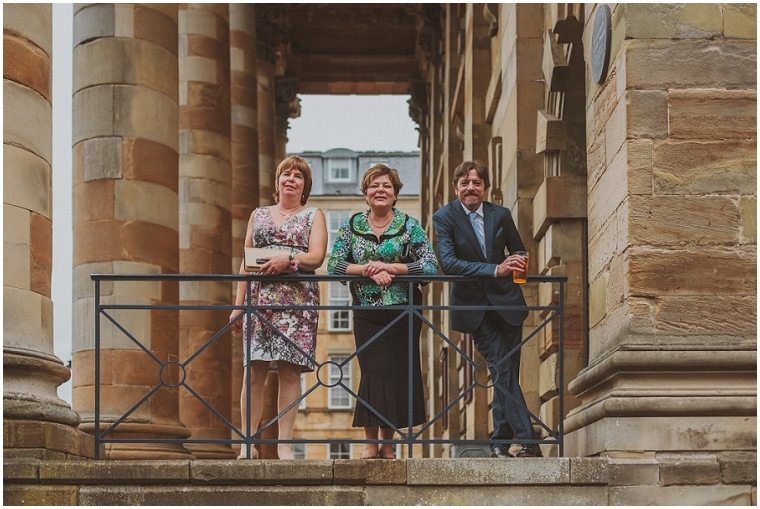 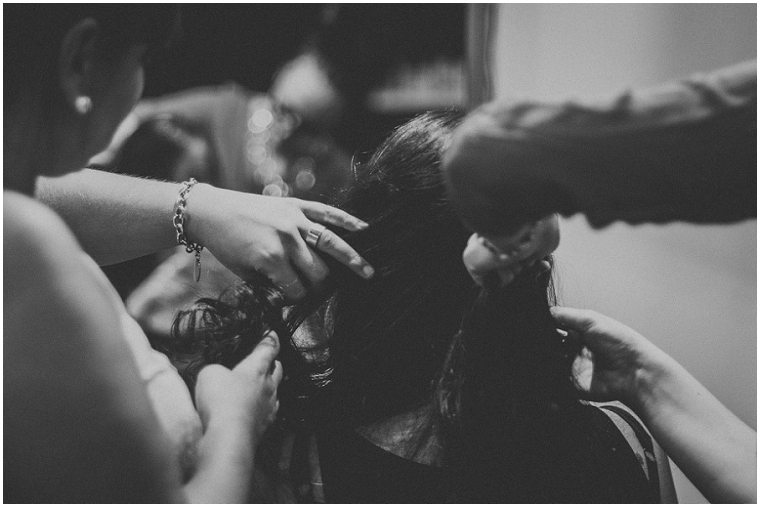 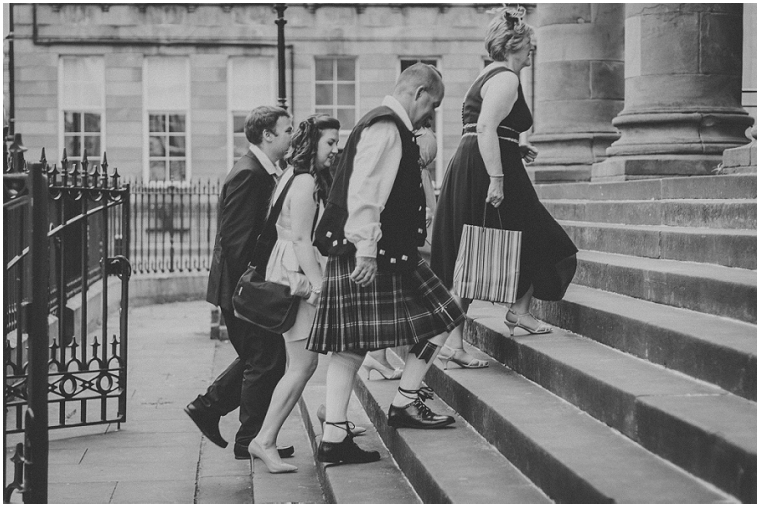 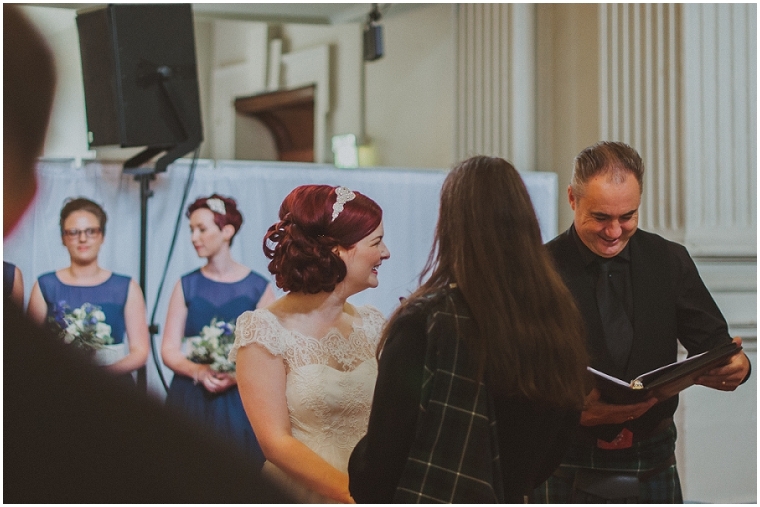 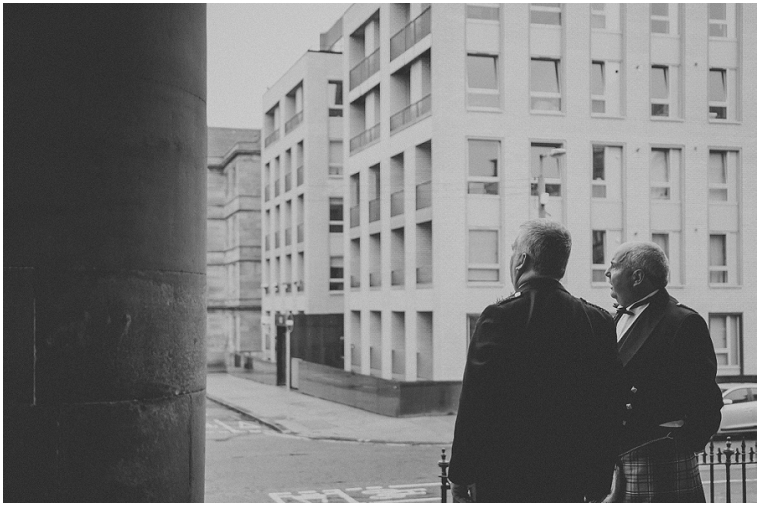 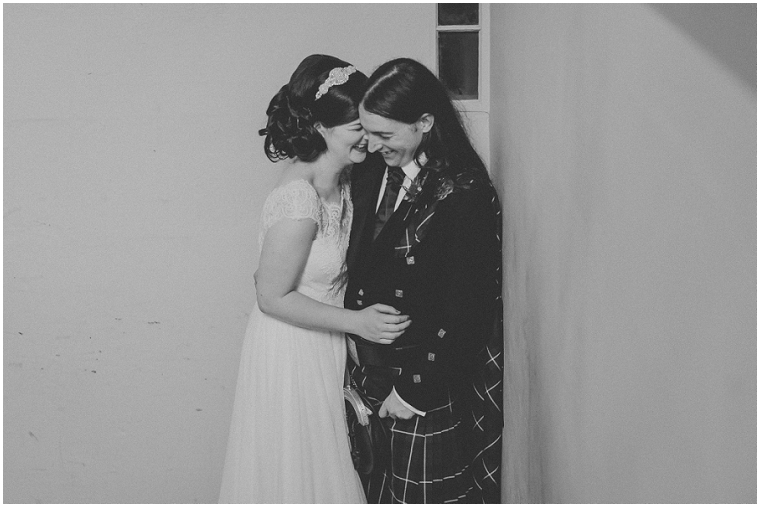 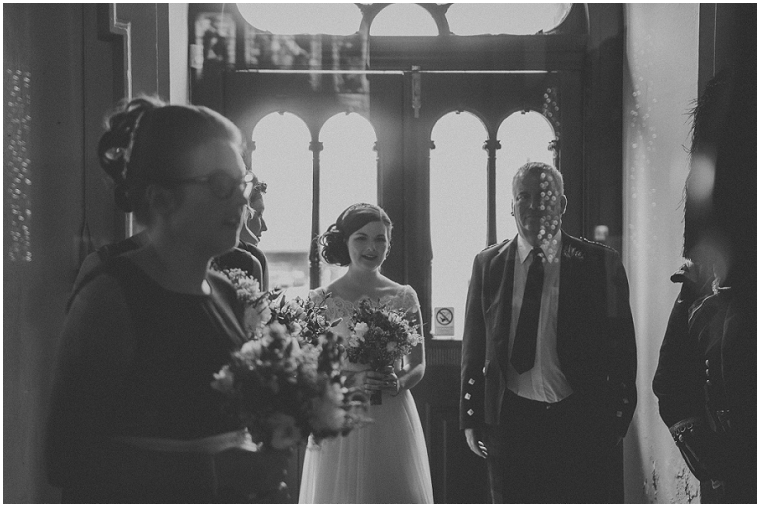 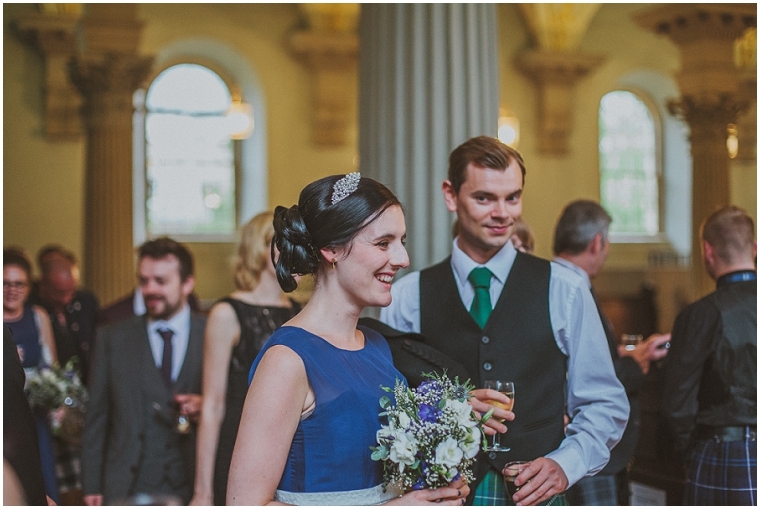 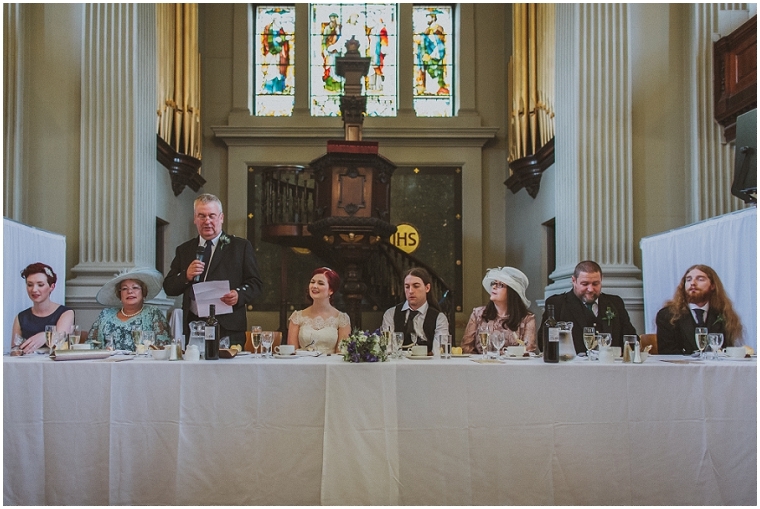 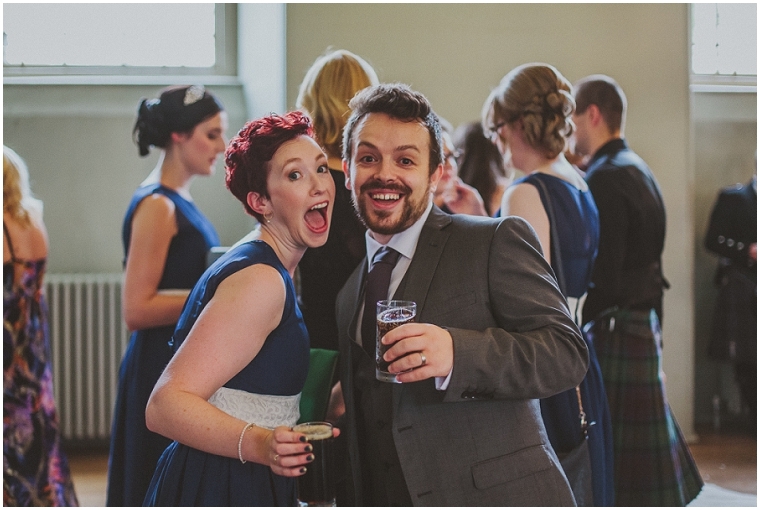 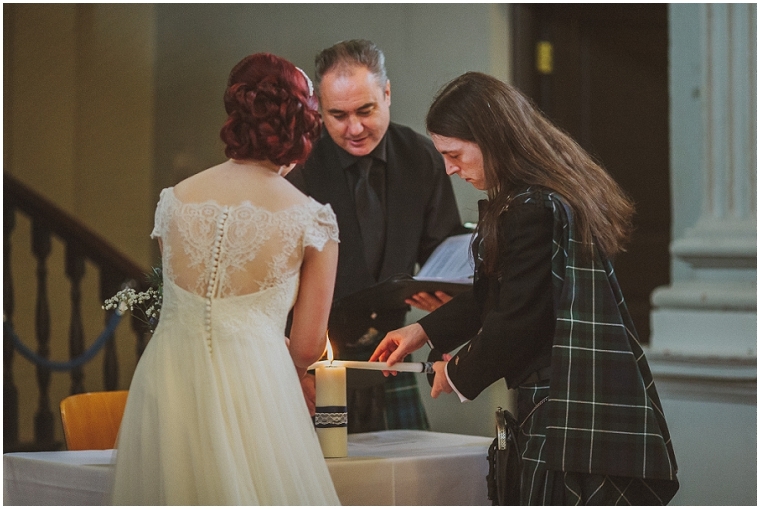 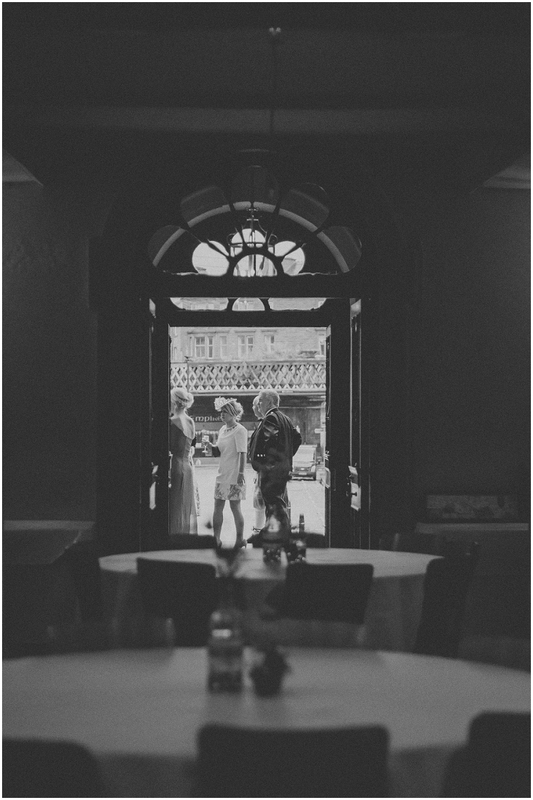 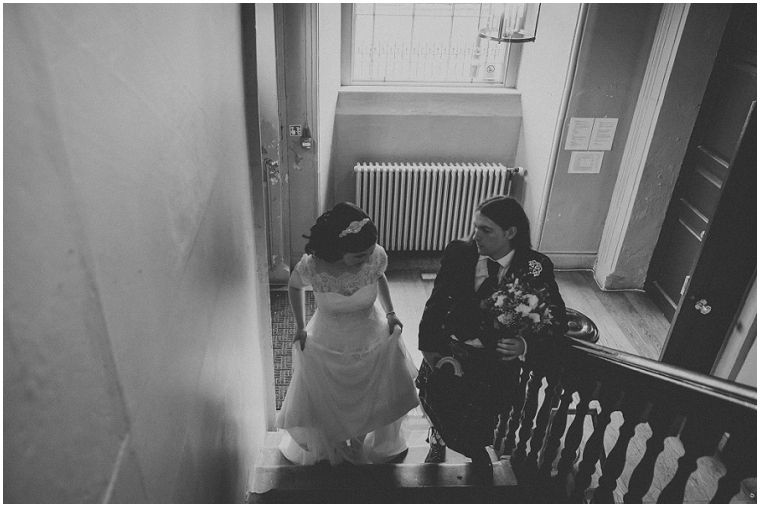 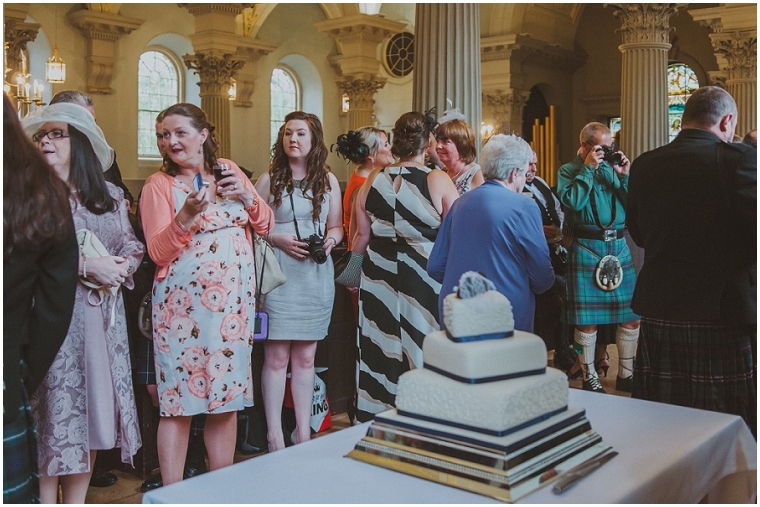 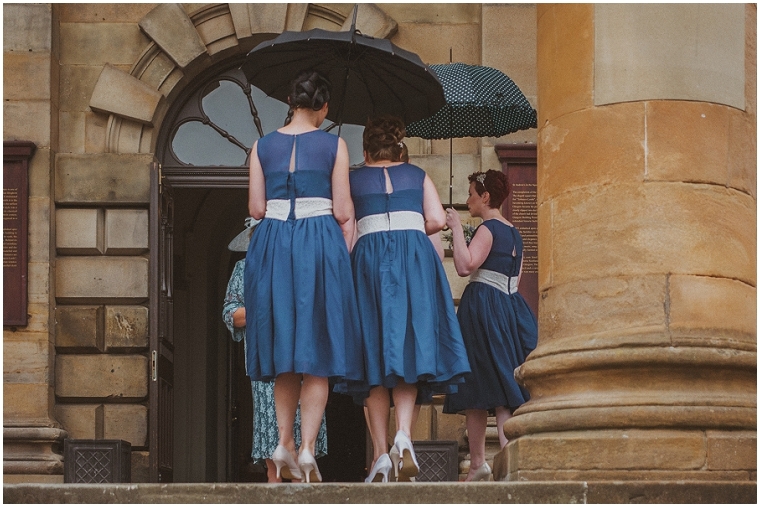 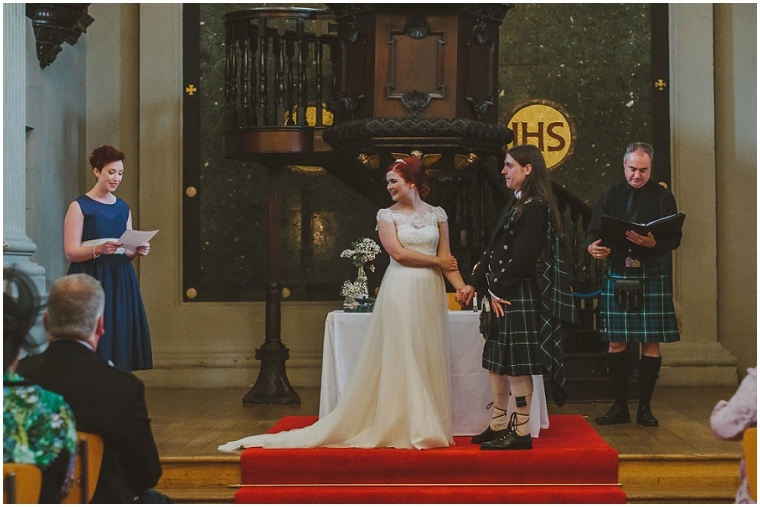 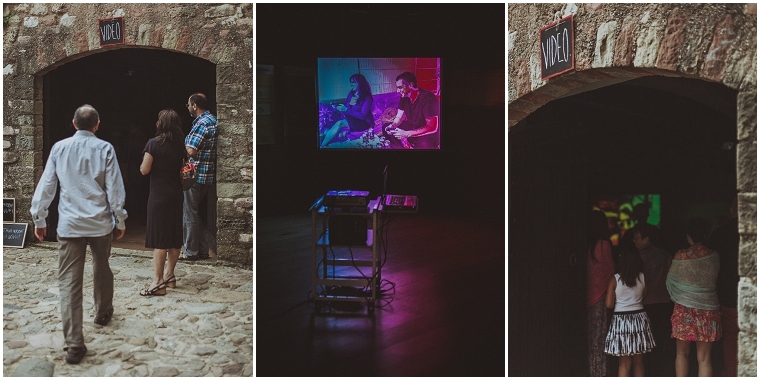 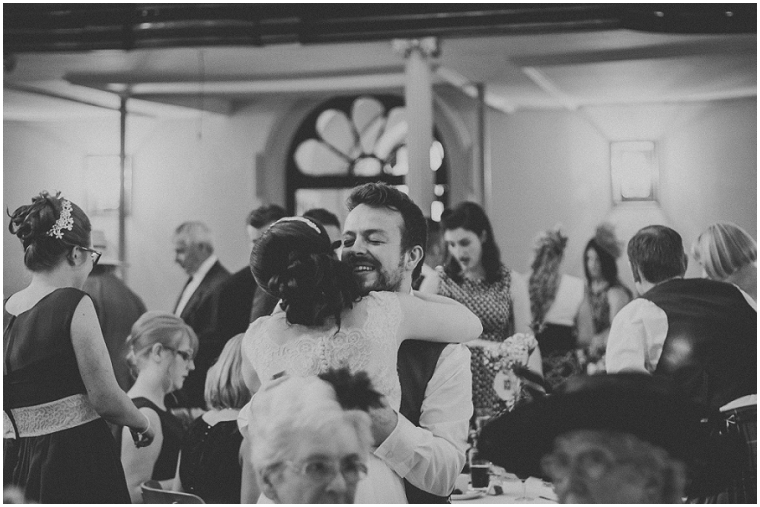 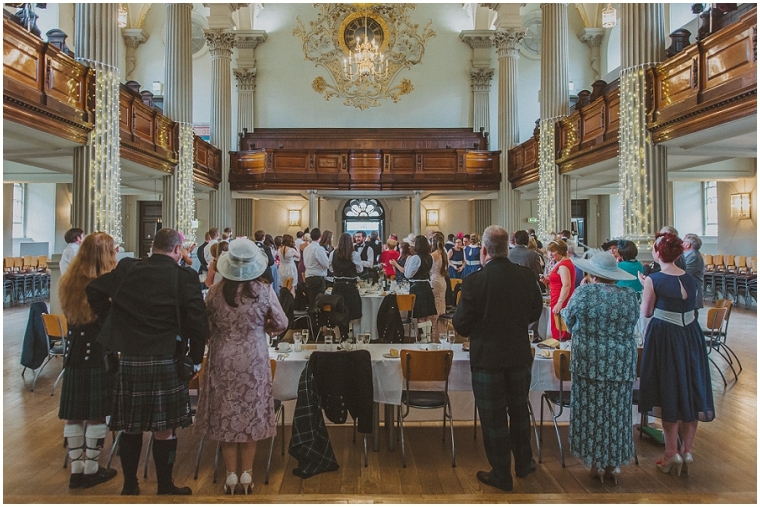 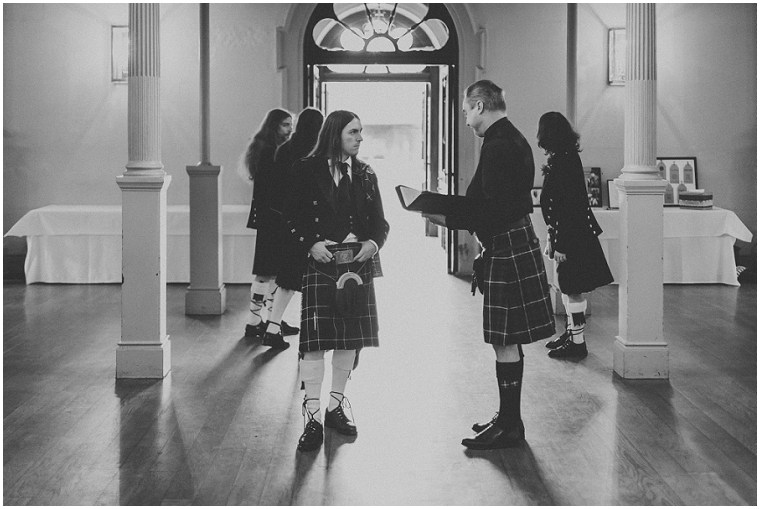 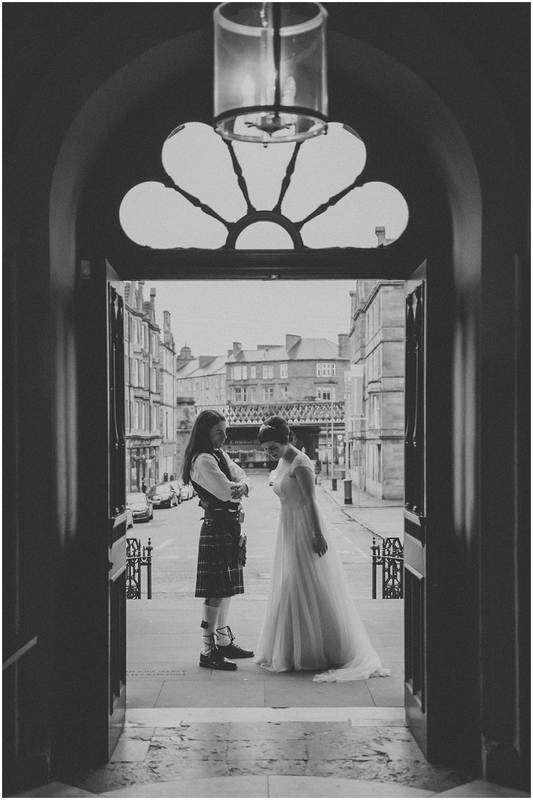 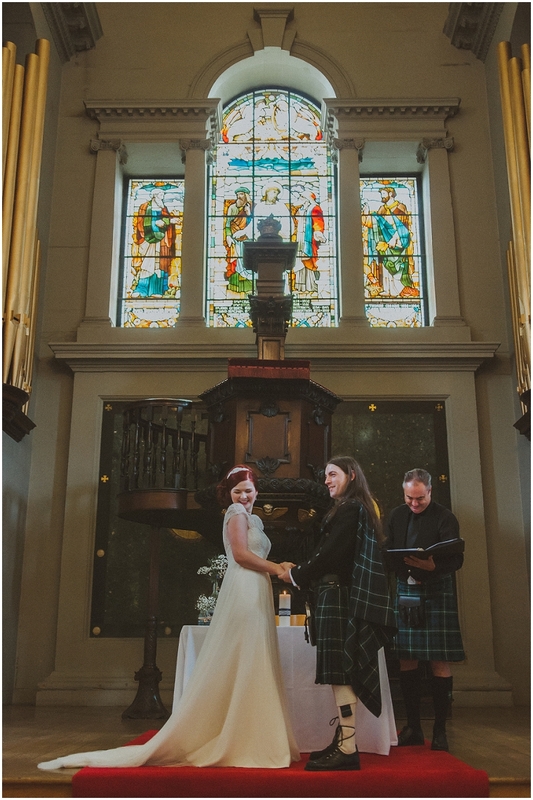 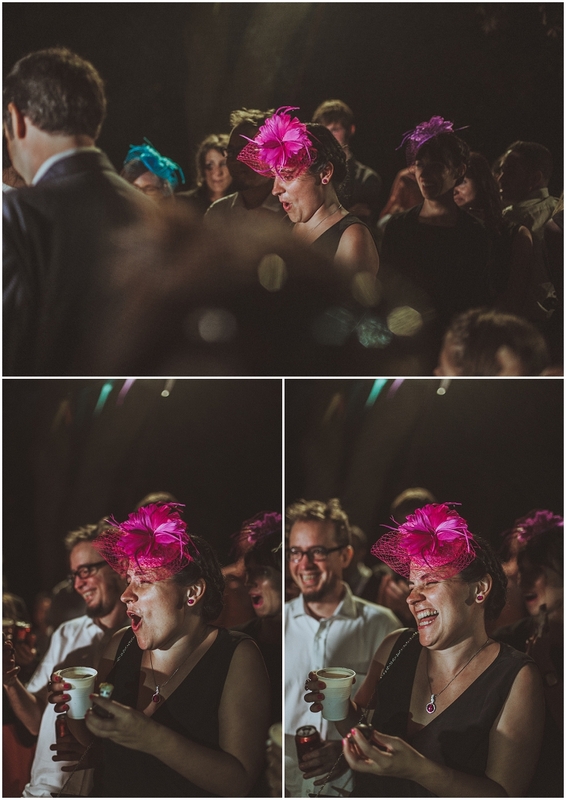 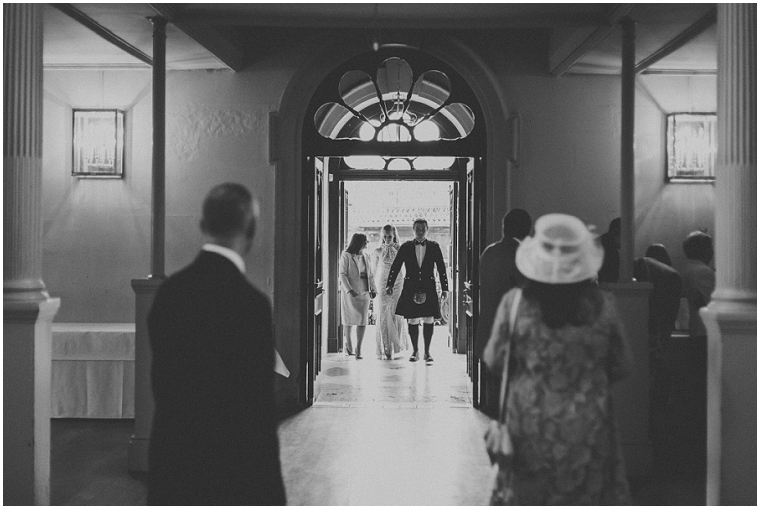 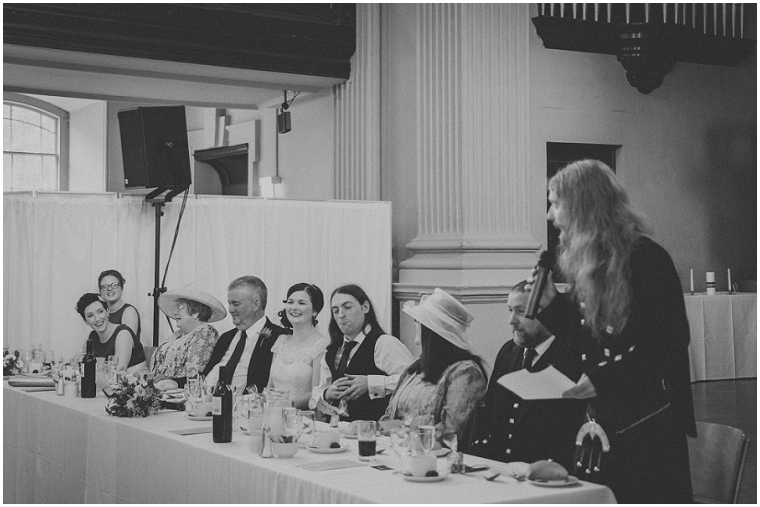 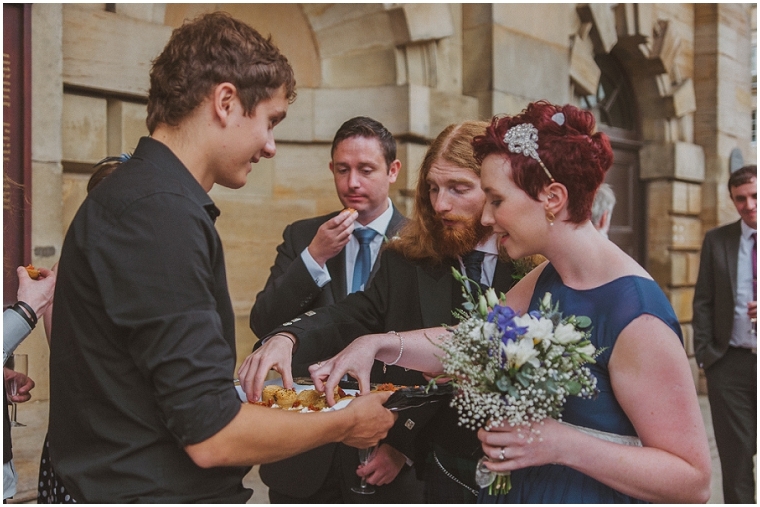 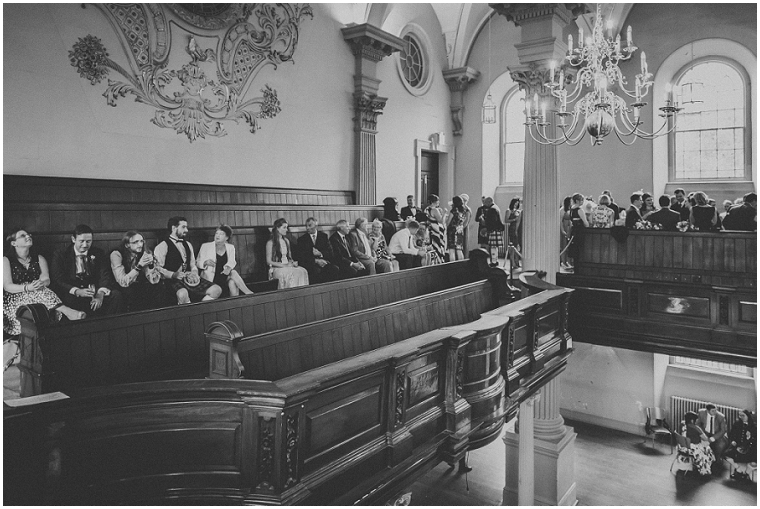 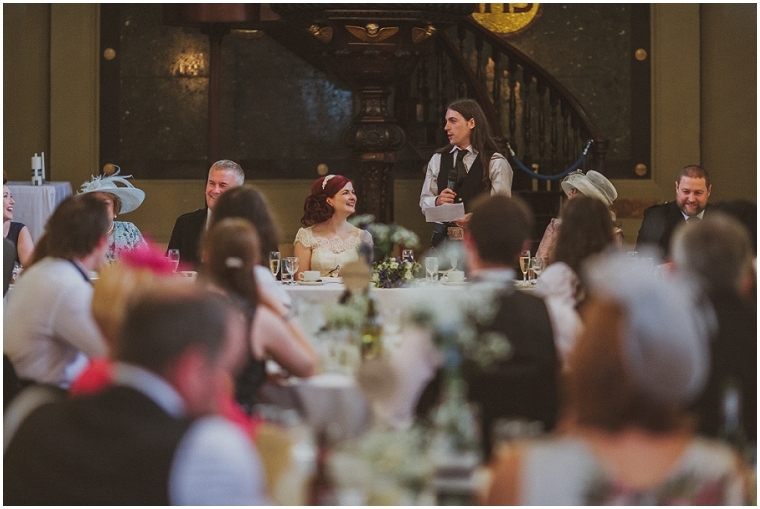 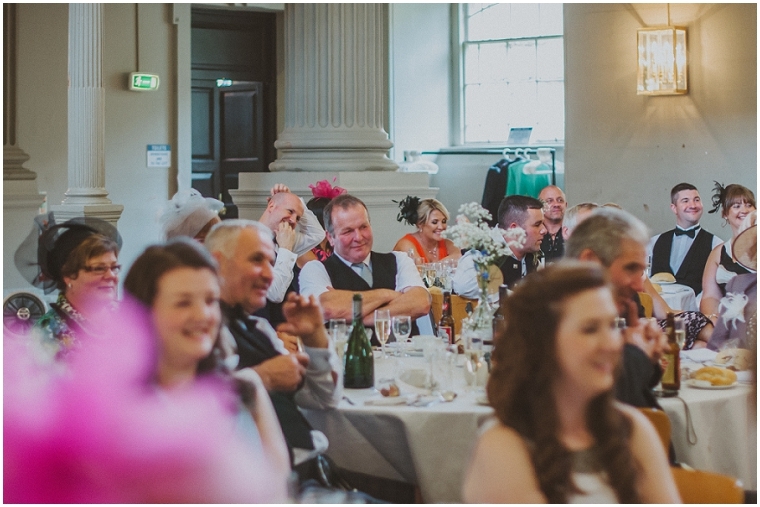 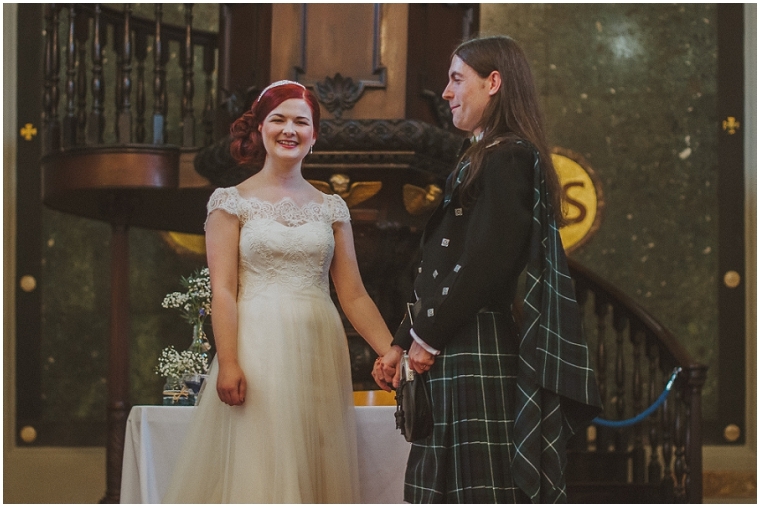 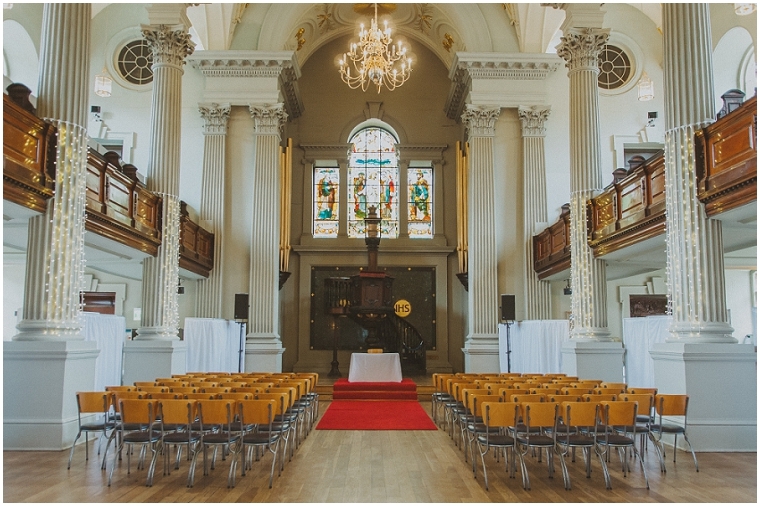 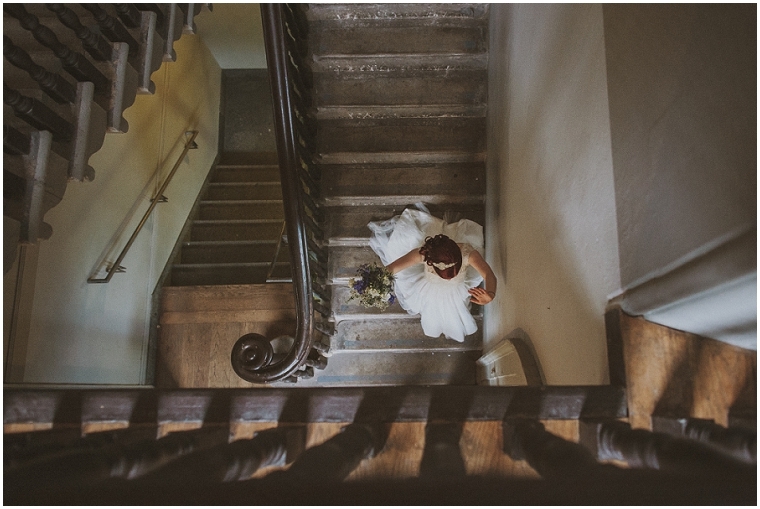 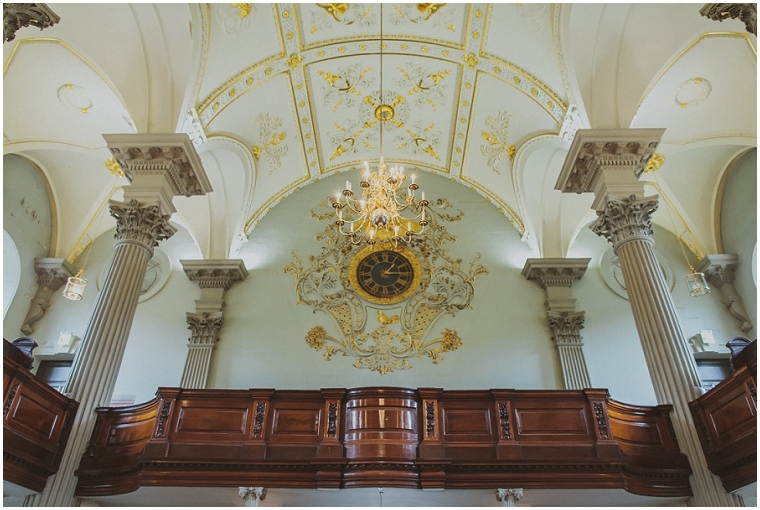 Here is a long awaited post: Kat & Paul’s wedding in the beautiful St Andrew’s in the Square last August. 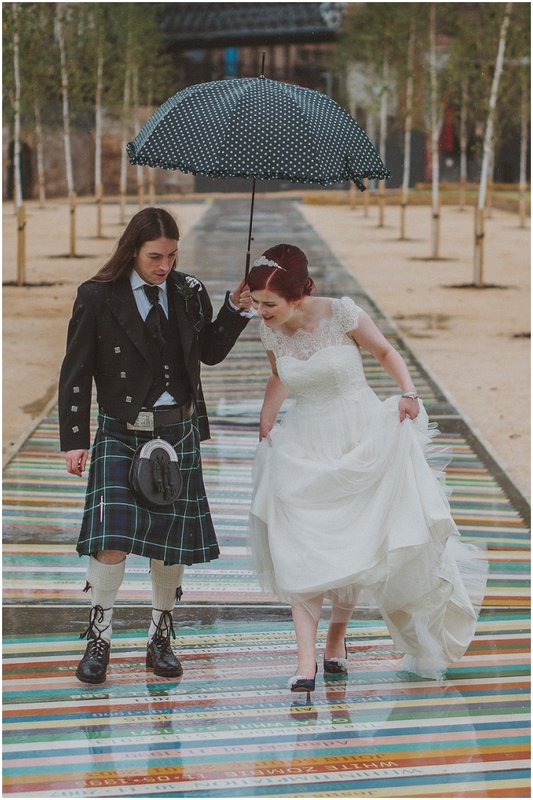 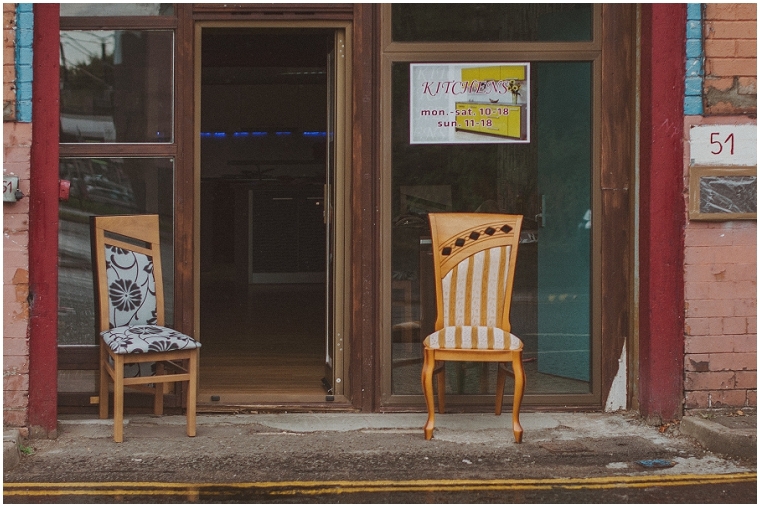 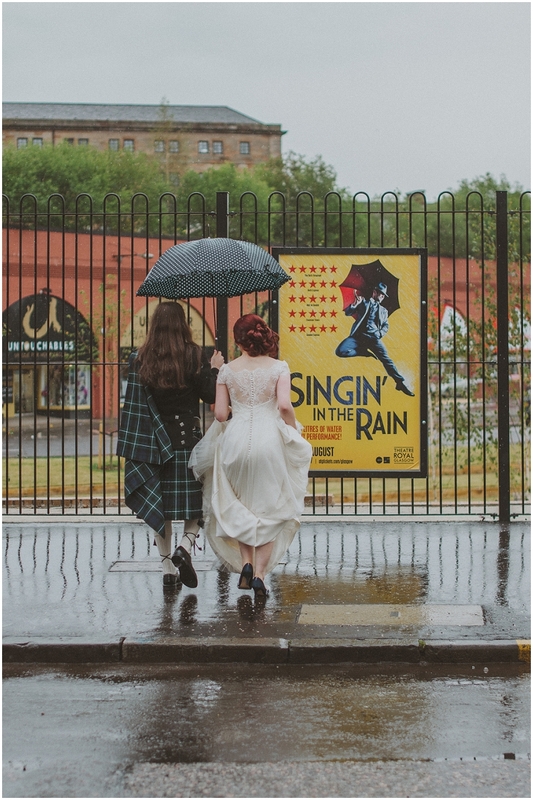 We were hoping for a sunny day of summer in Glasgow, but Scottish weather as many know, it is unpredictable. 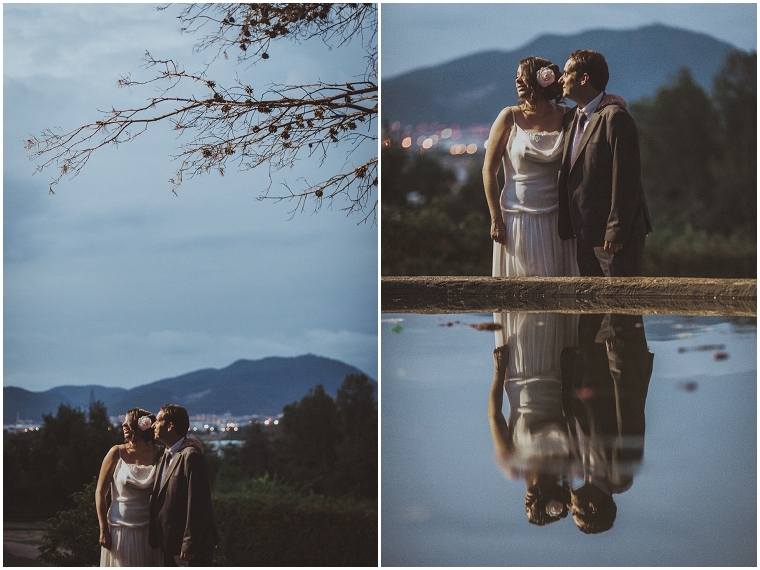 The rain didn’t stop this music lovers couple from laughing and enjoying every second of it.